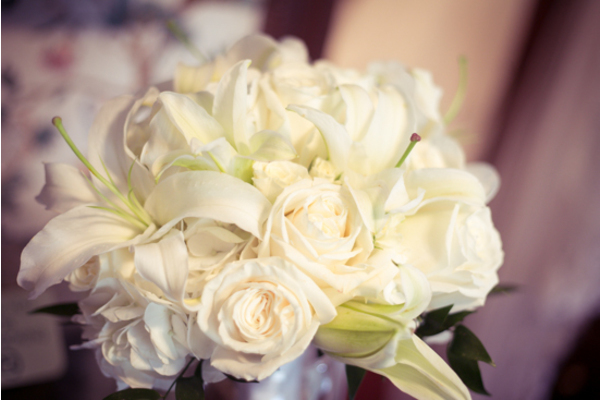 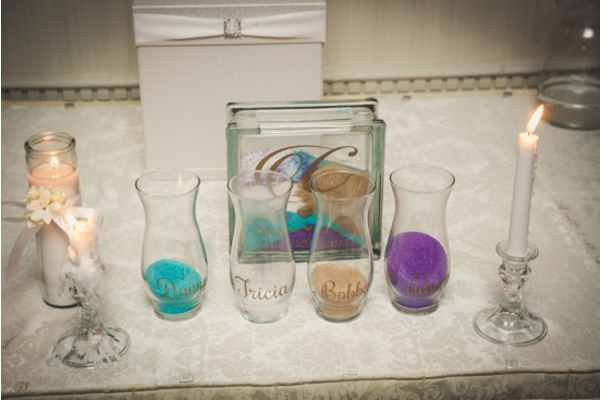 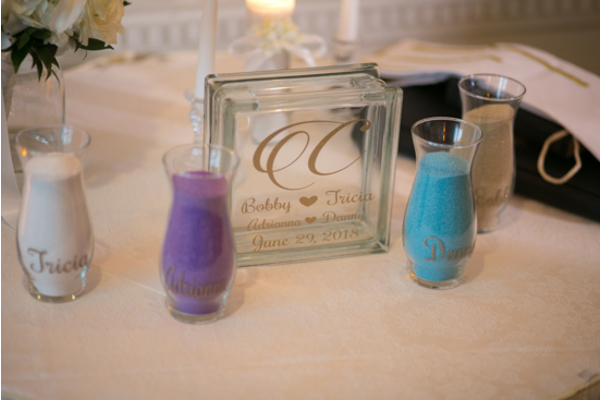 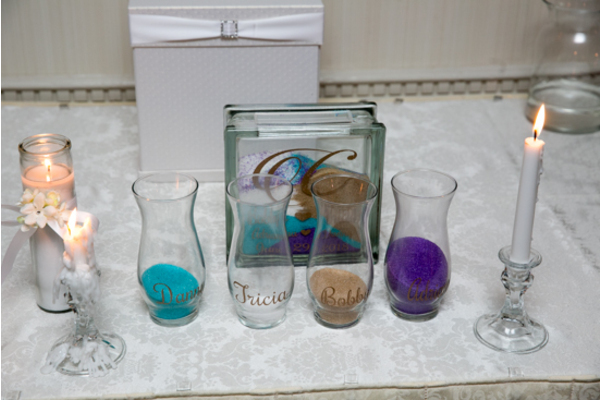 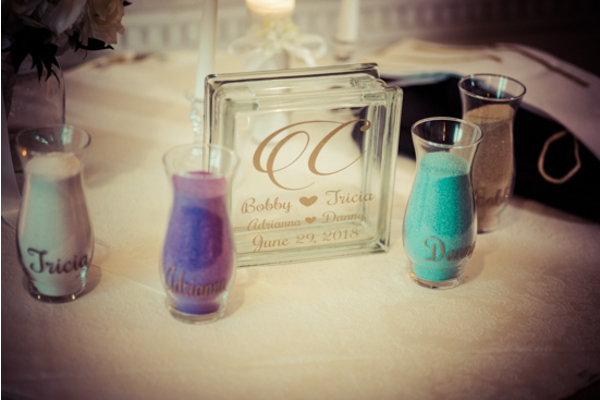 Congratulations to Tricia and Bobby on tying the knot! 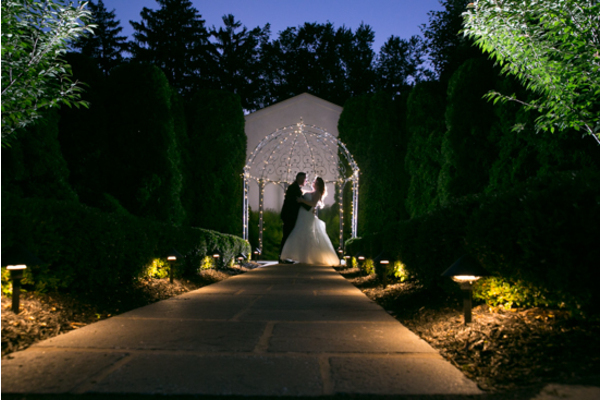 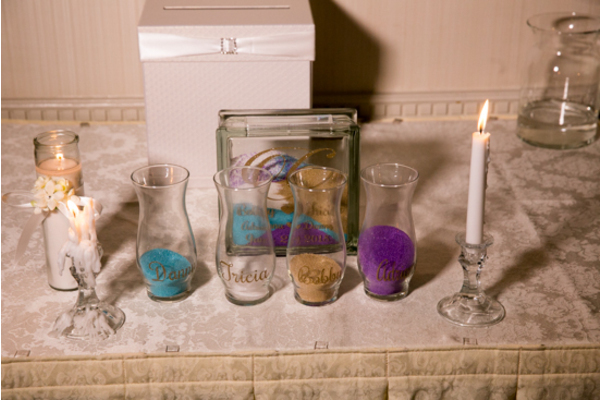 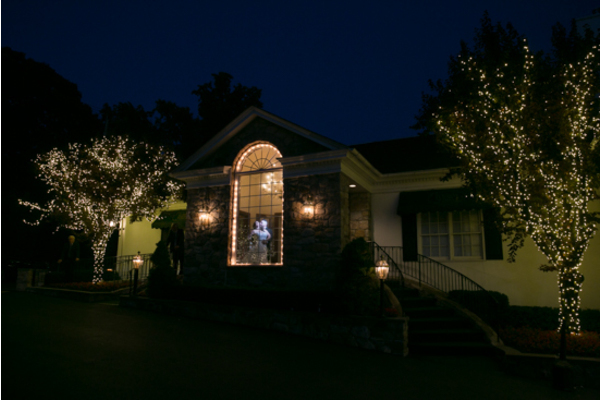 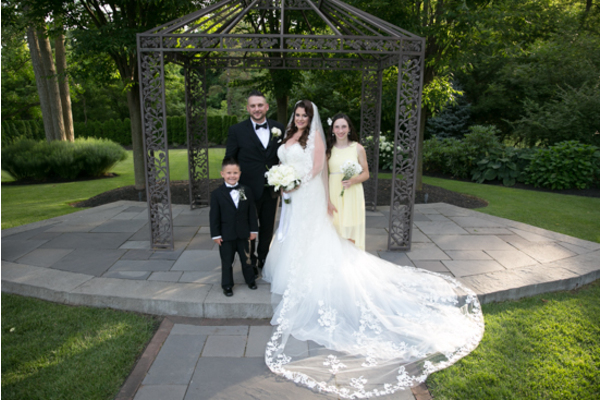 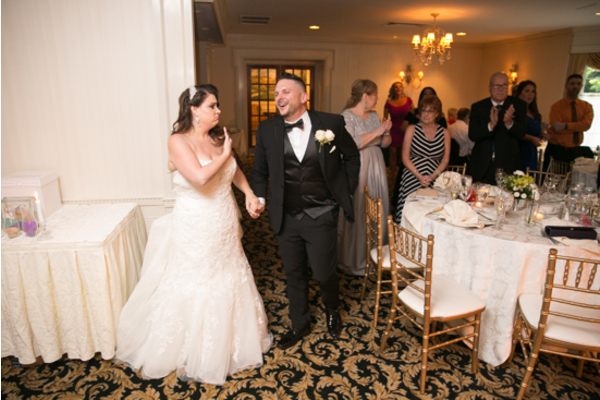 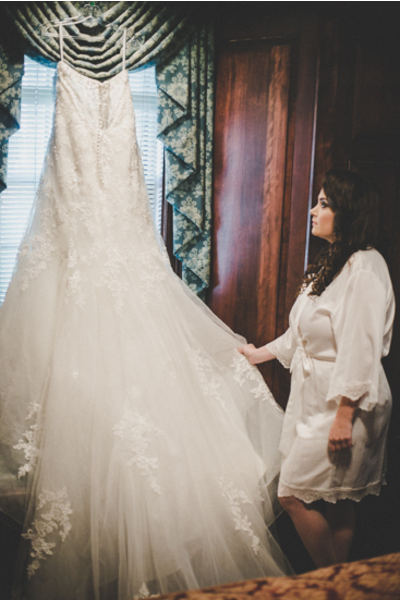 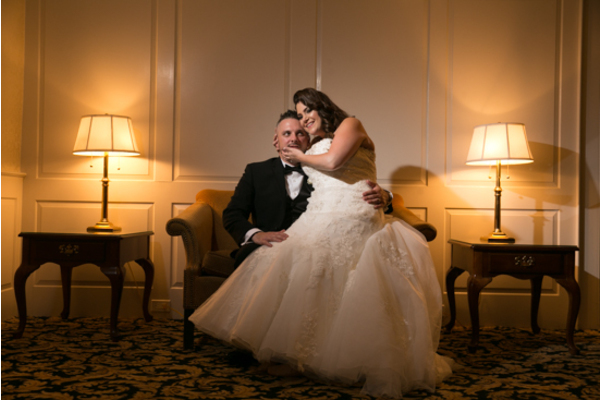 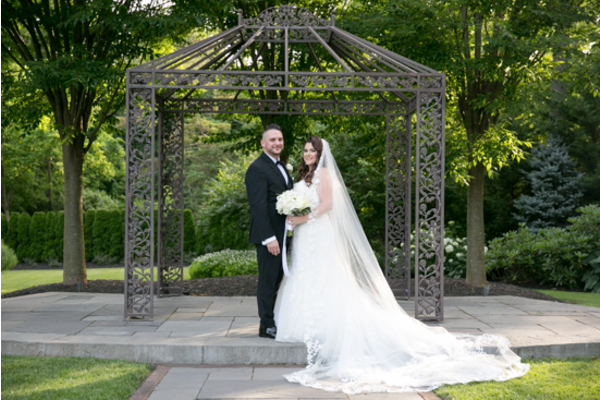 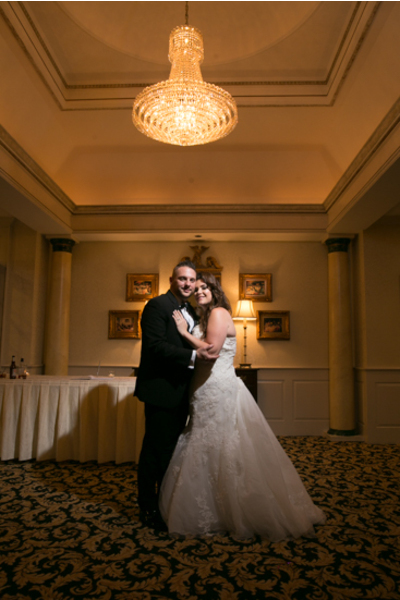 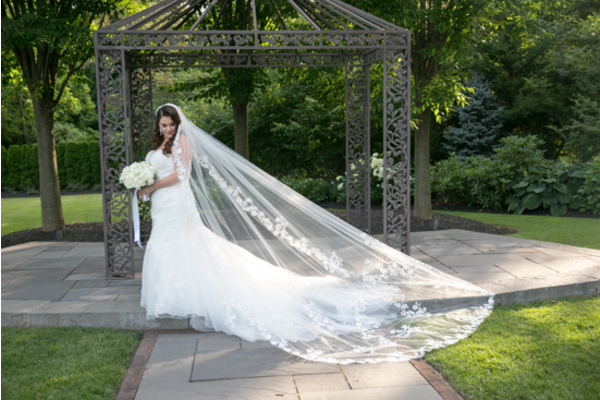 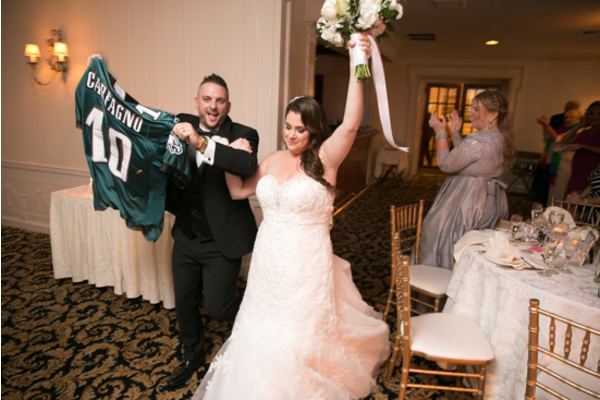 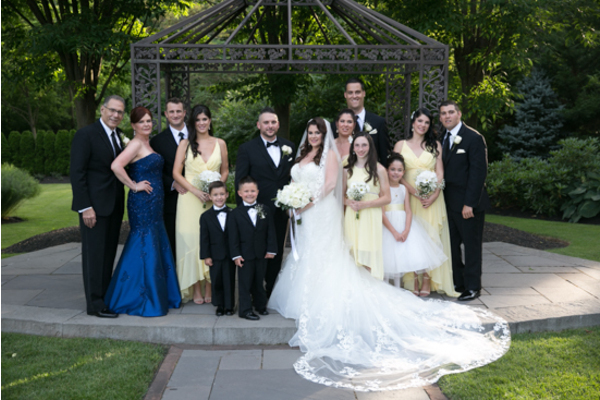 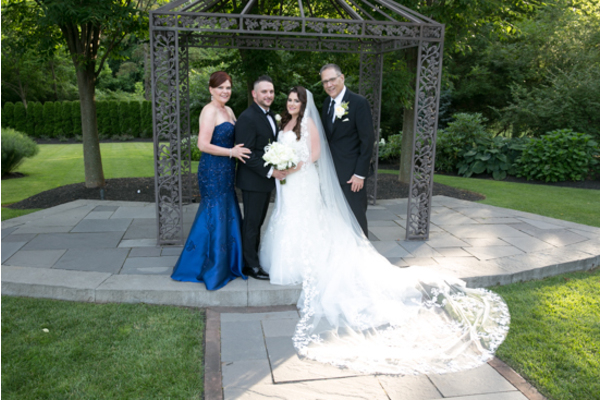 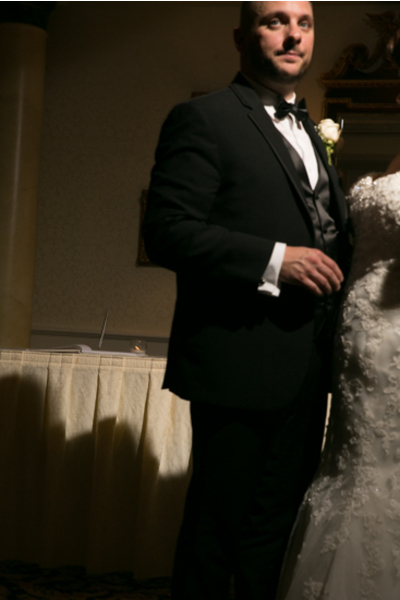 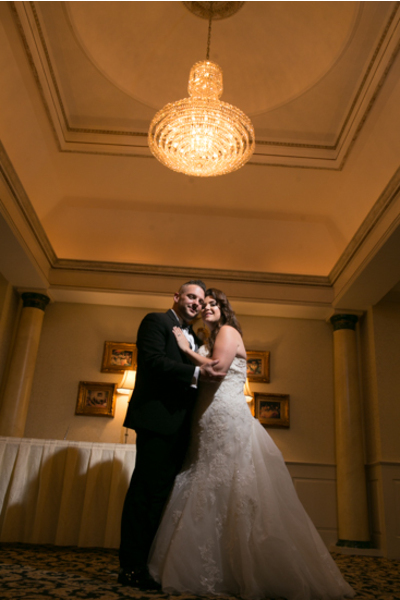 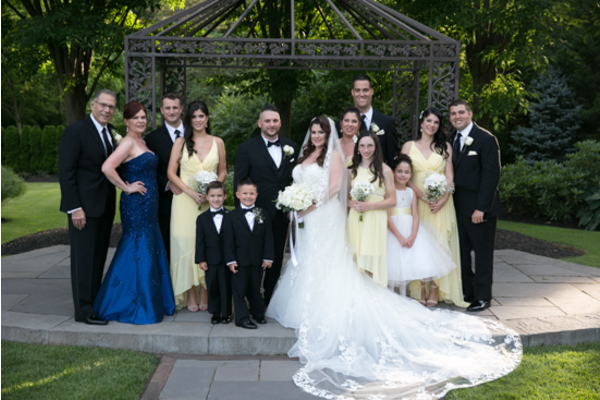 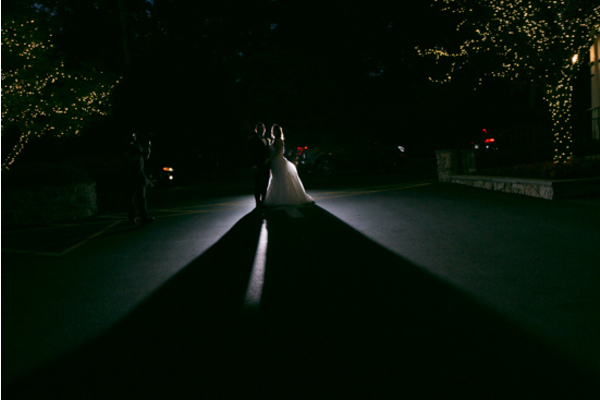 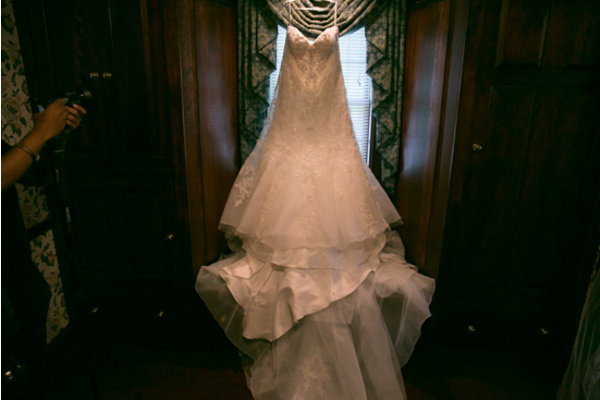 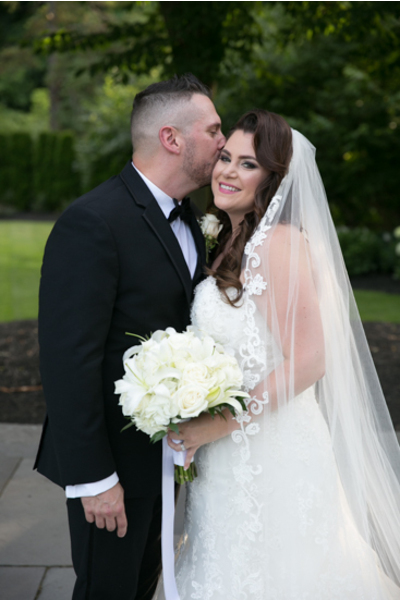 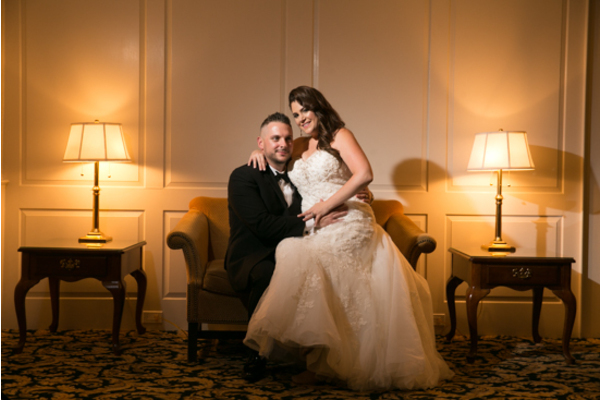 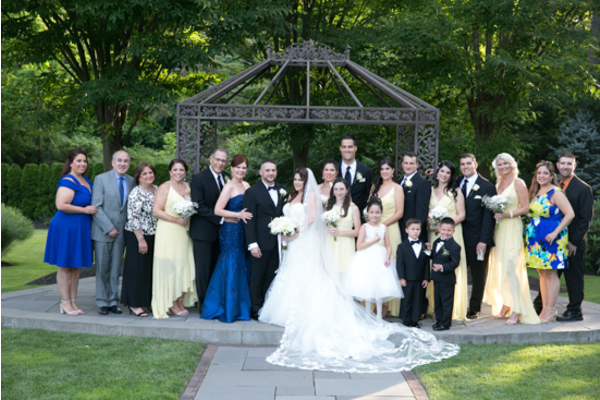 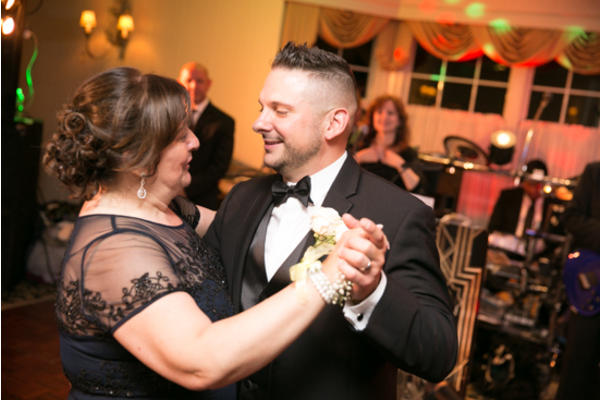 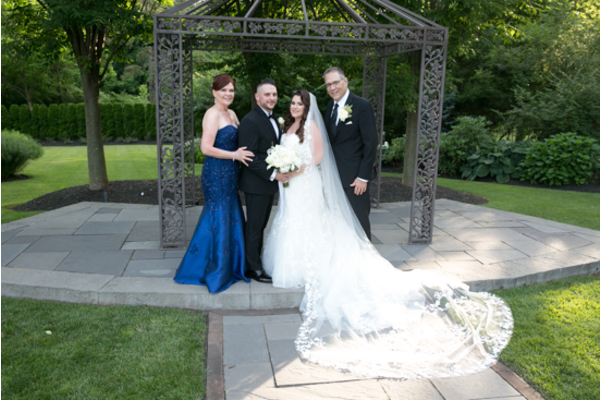 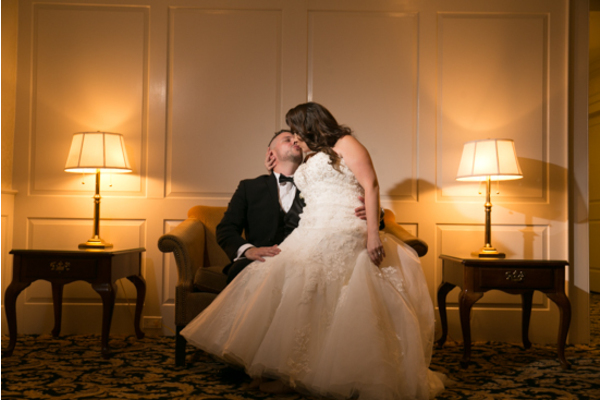 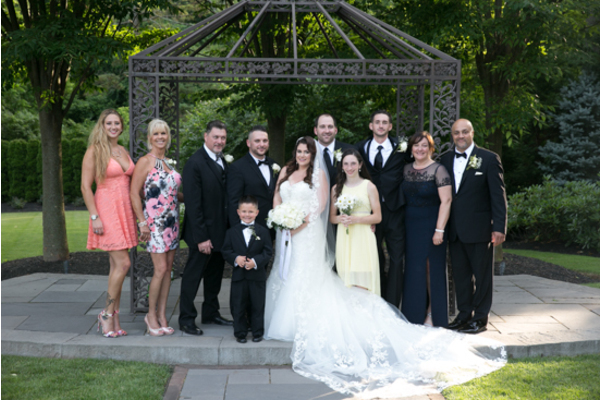 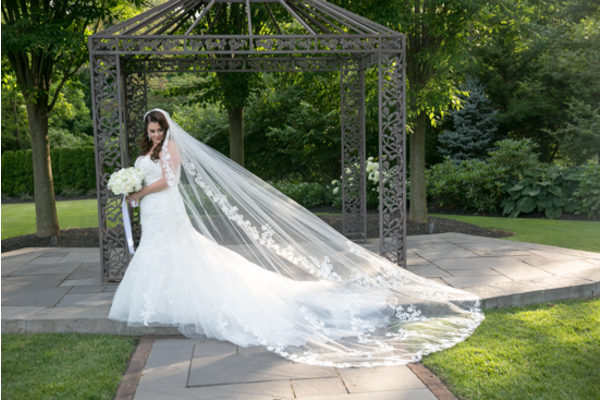 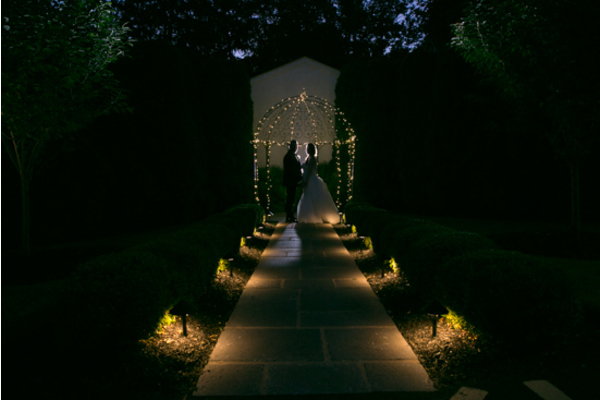 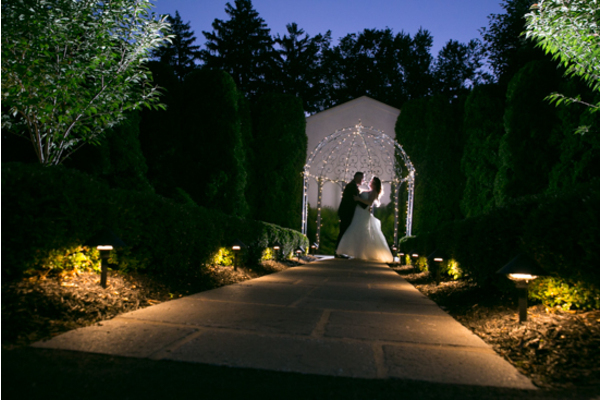 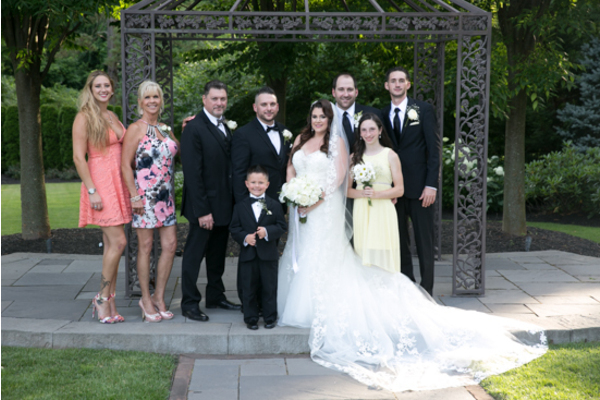 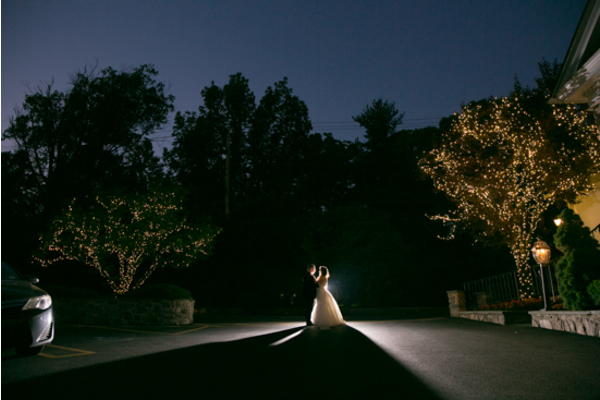 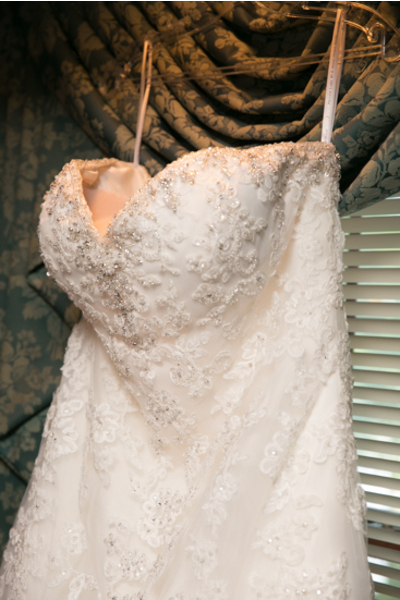 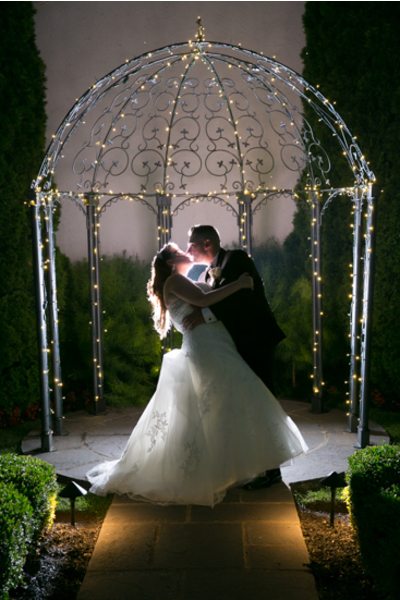 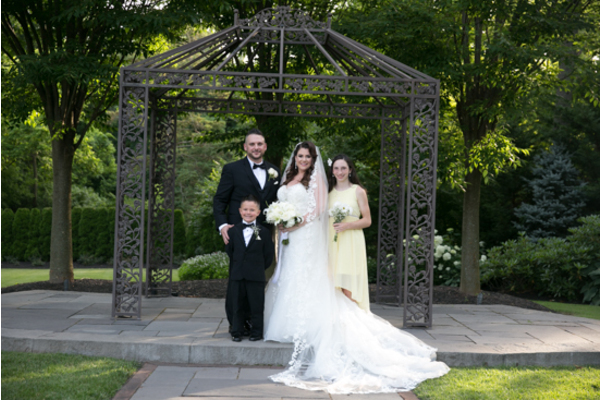 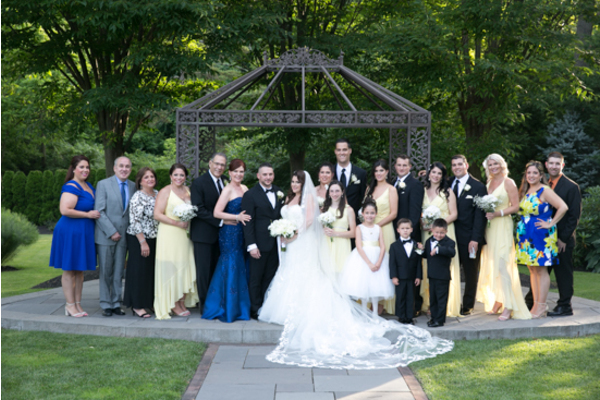 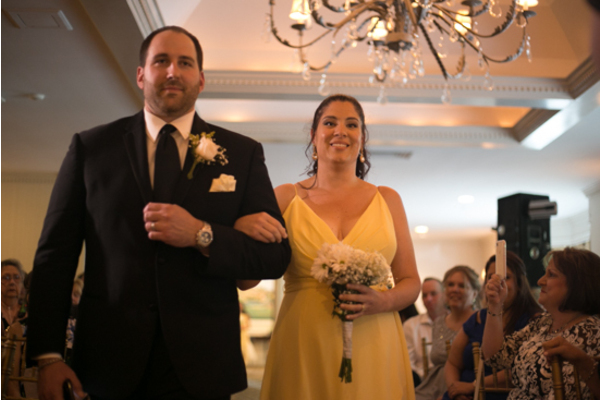 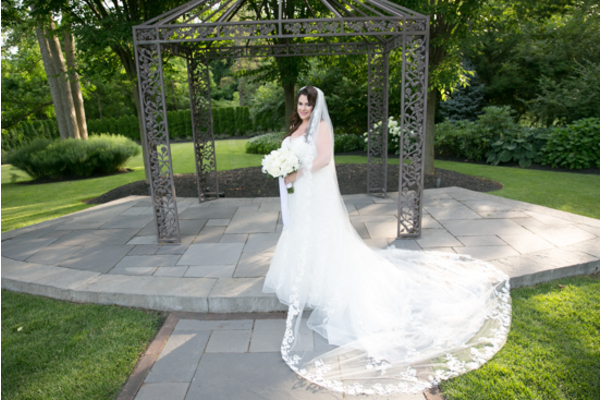 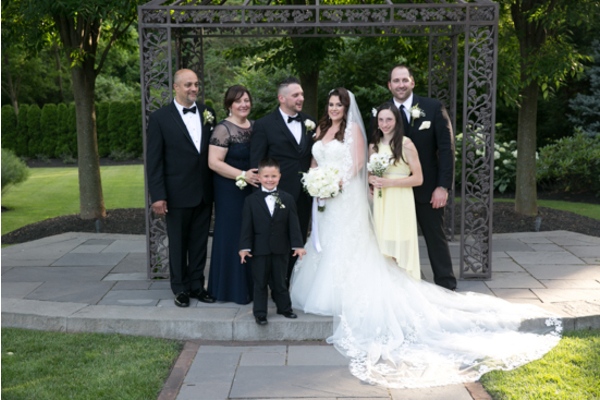 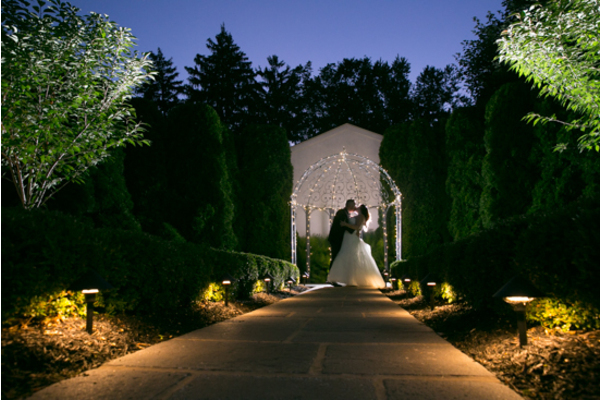 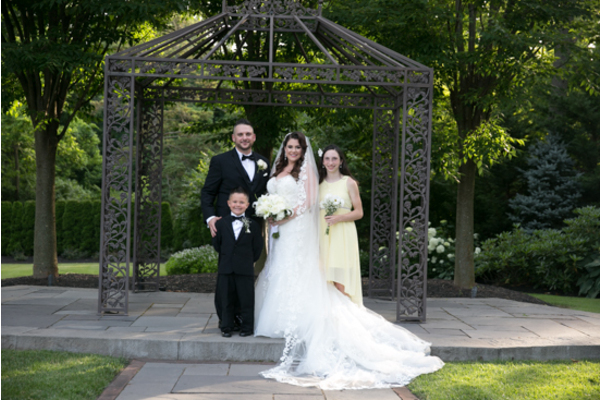 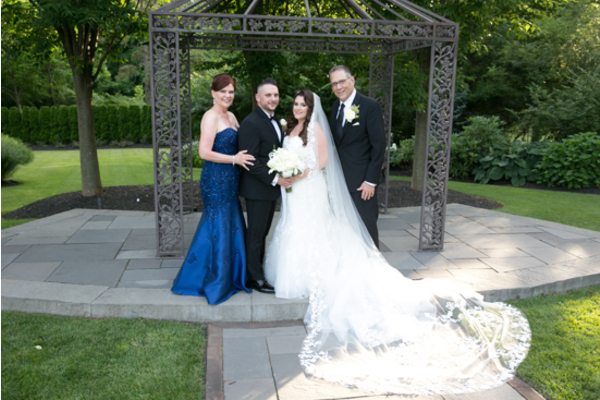 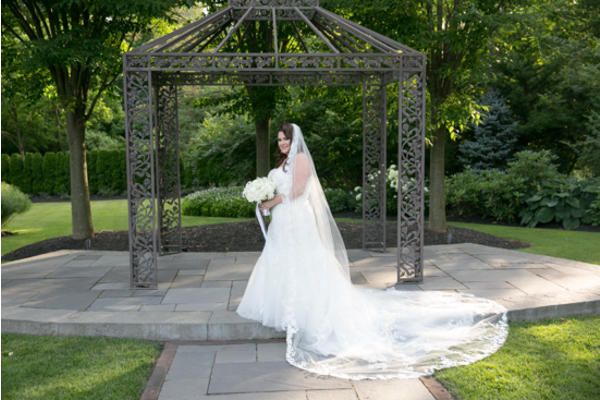 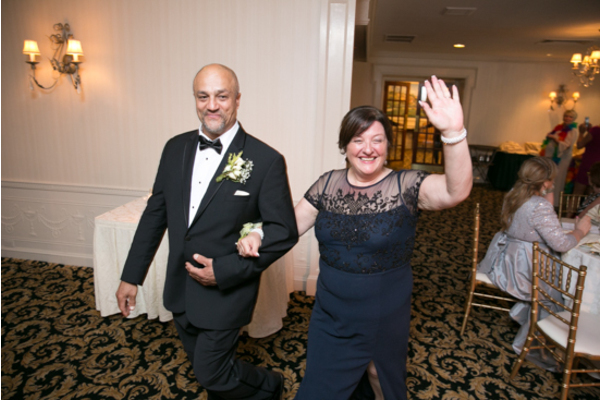 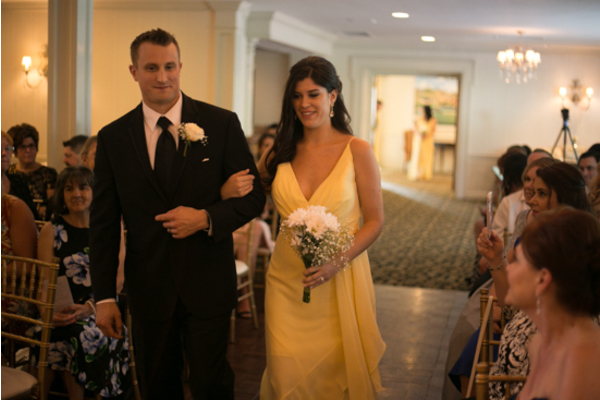 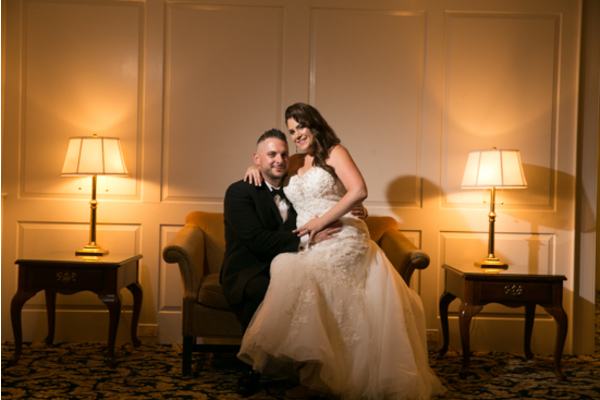 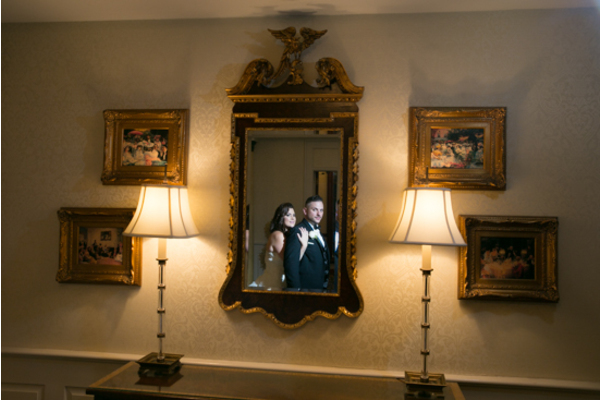 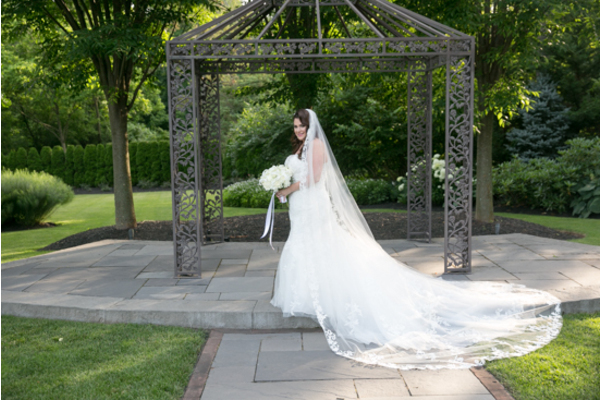 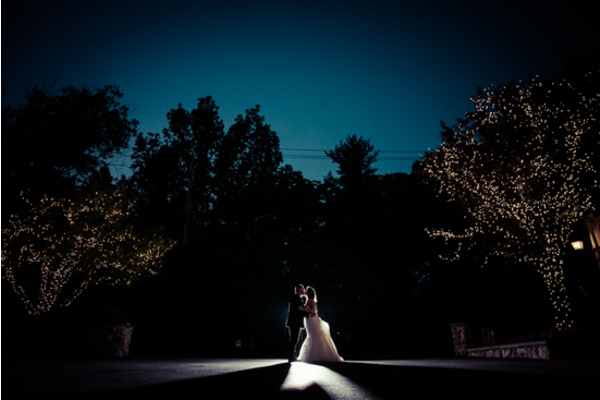 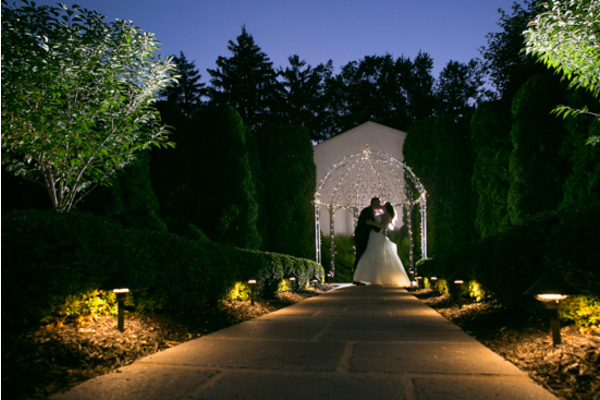 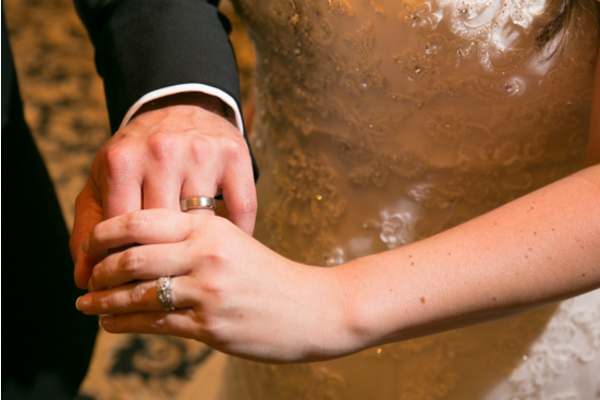 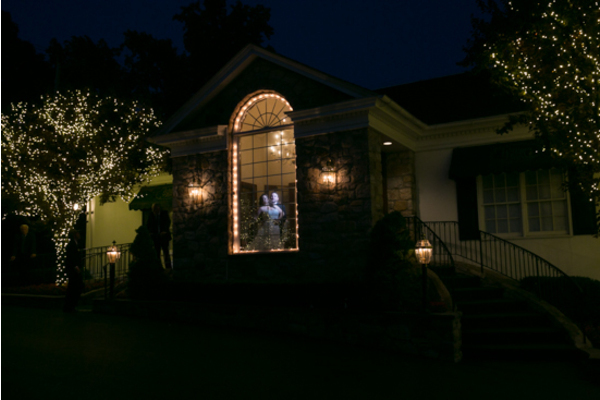 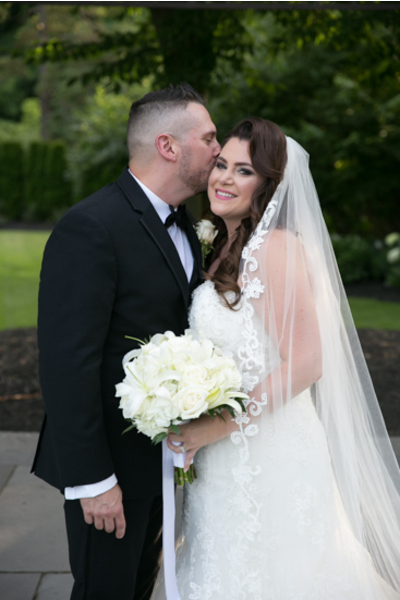 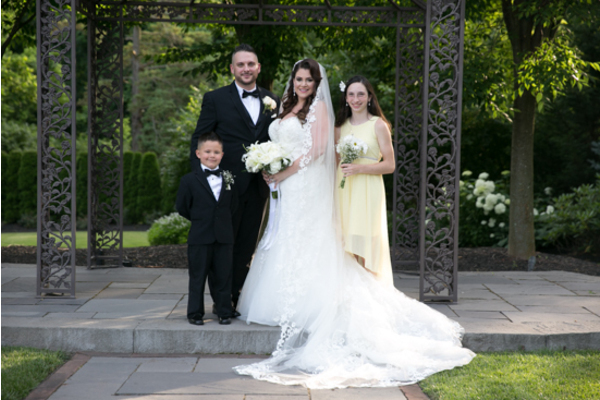 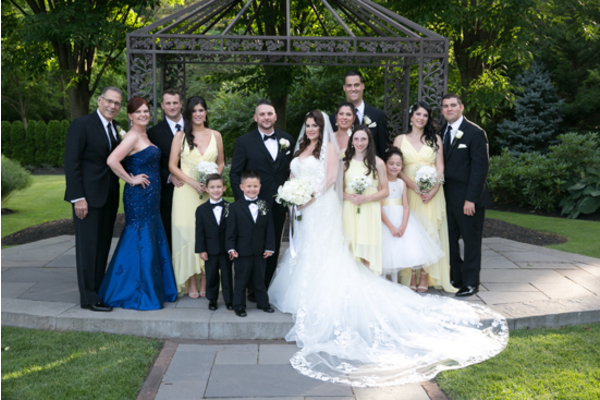 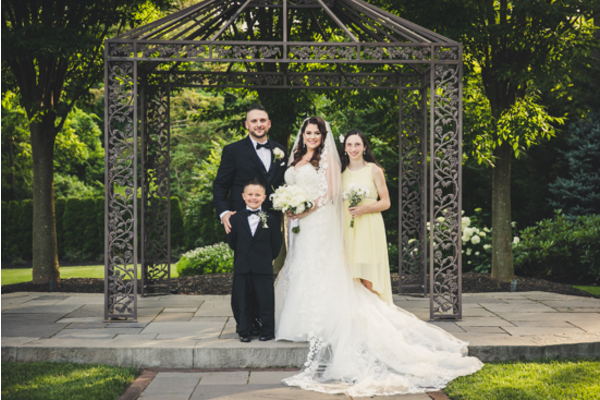 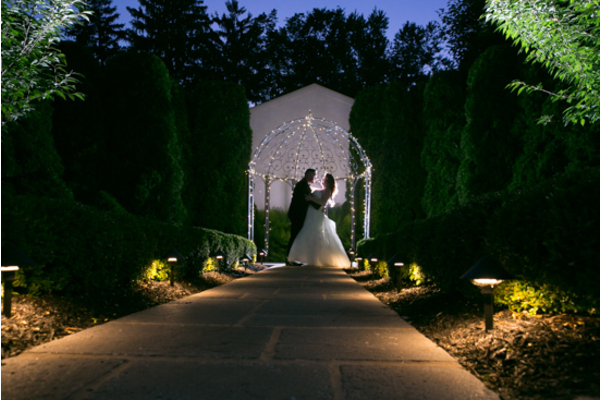 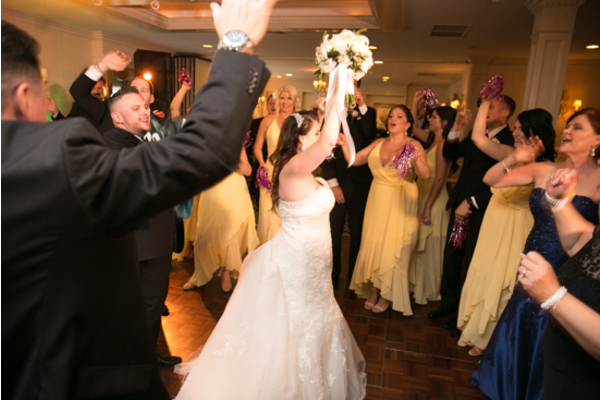 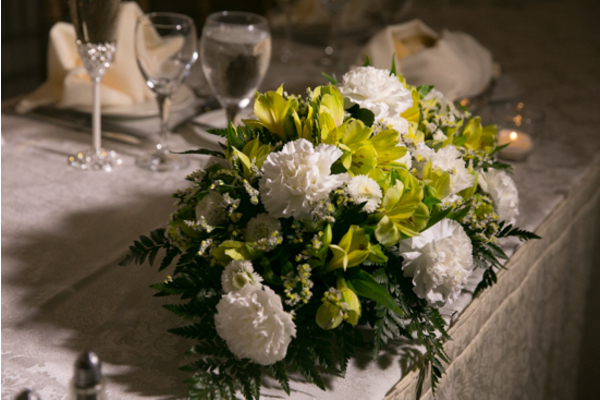 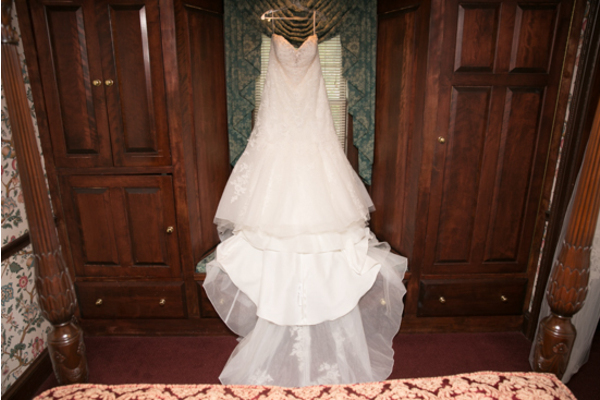 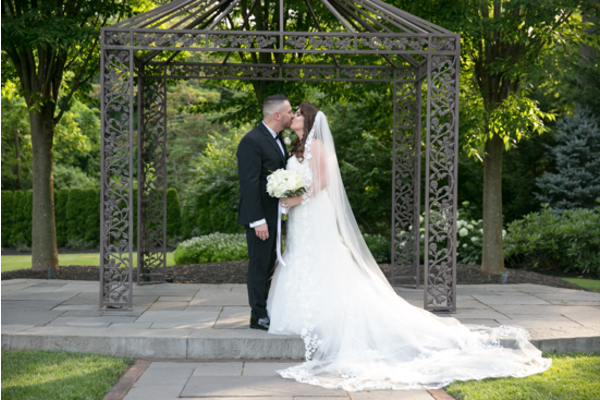 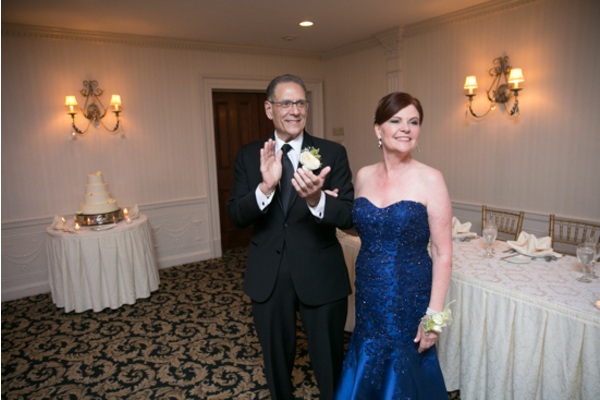 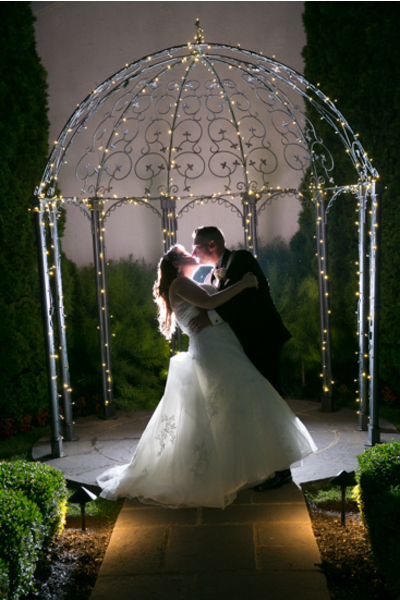 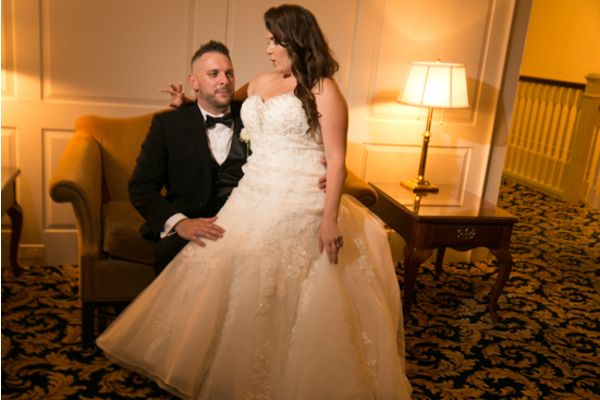 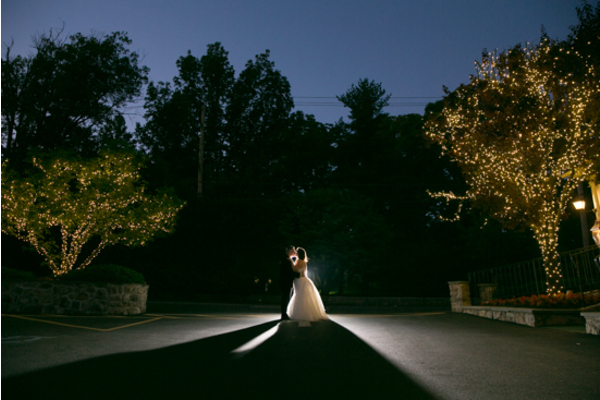 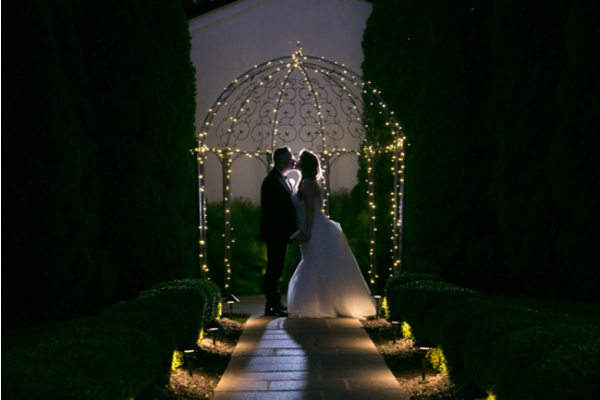 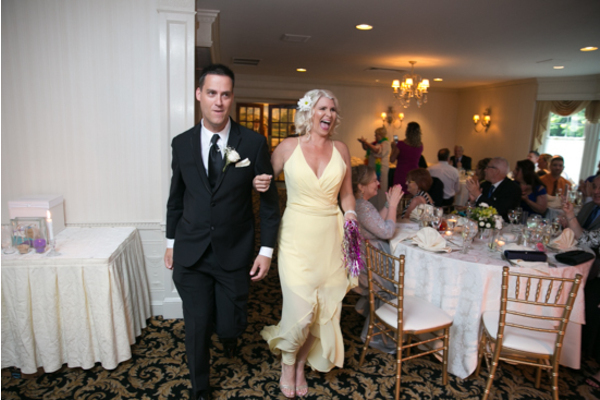 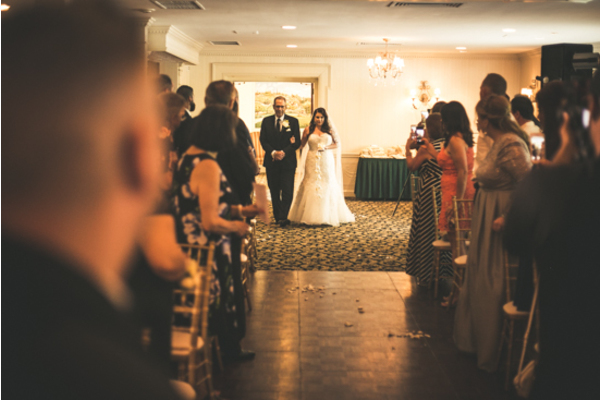 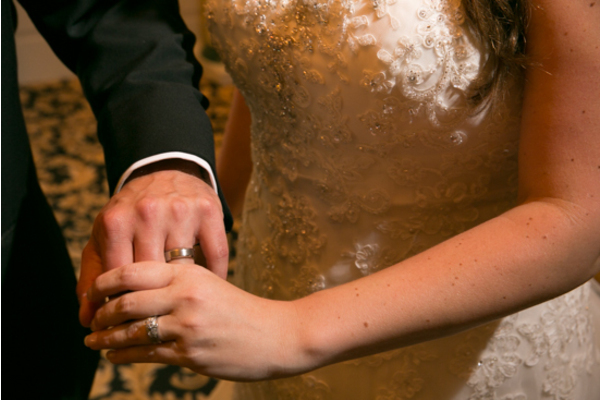 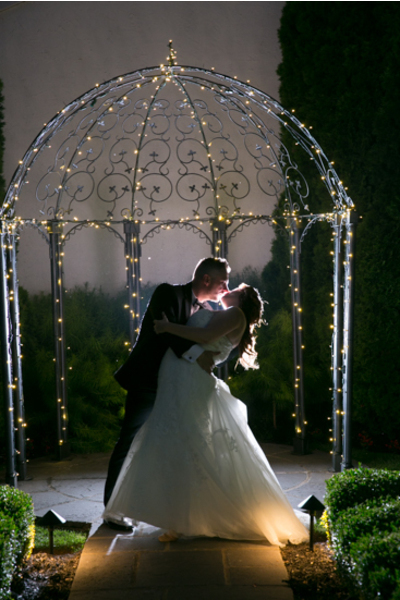 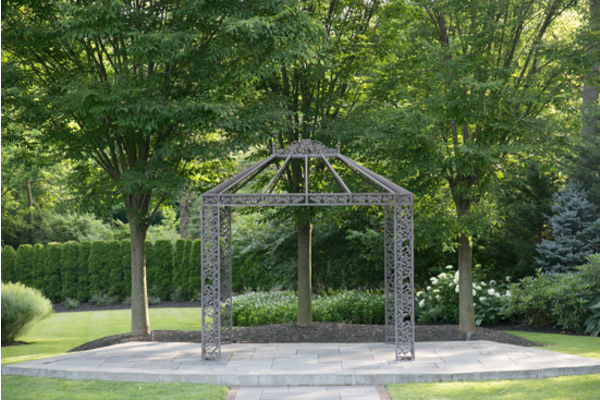 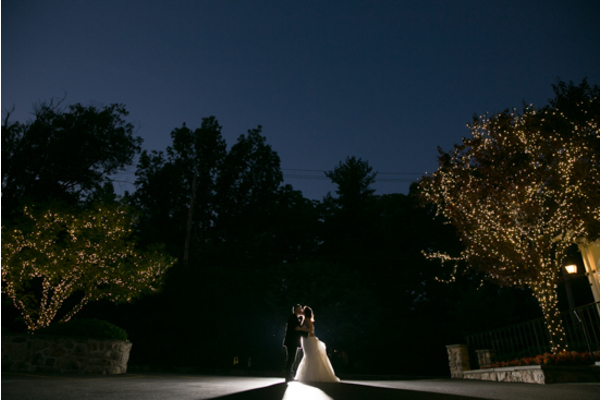 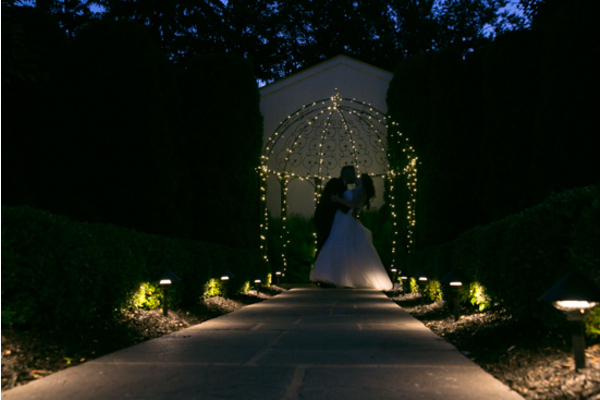 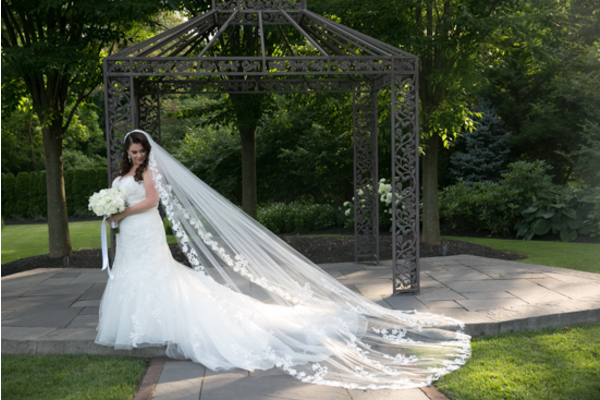 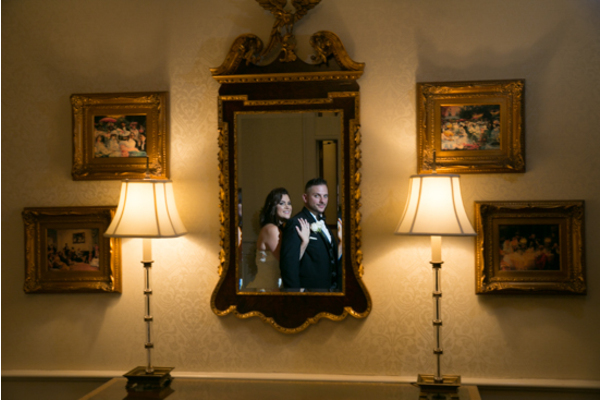 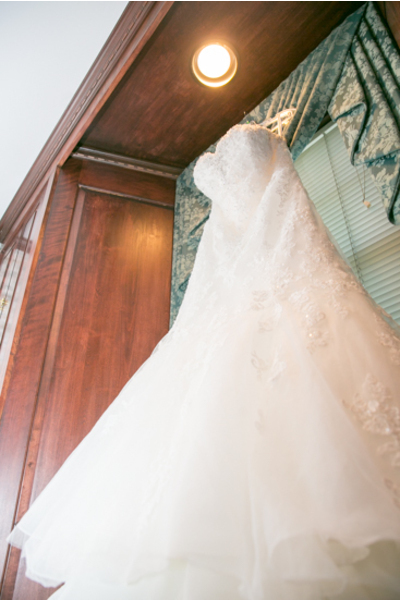 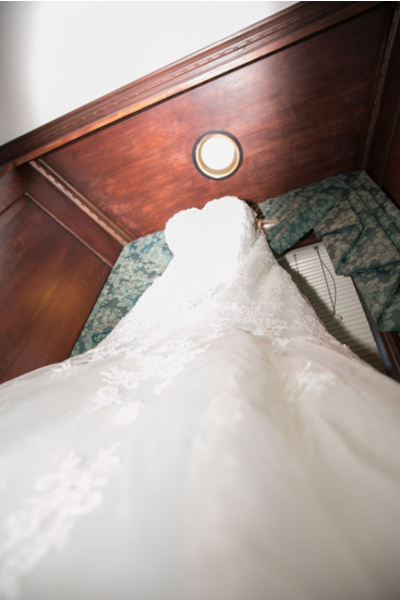 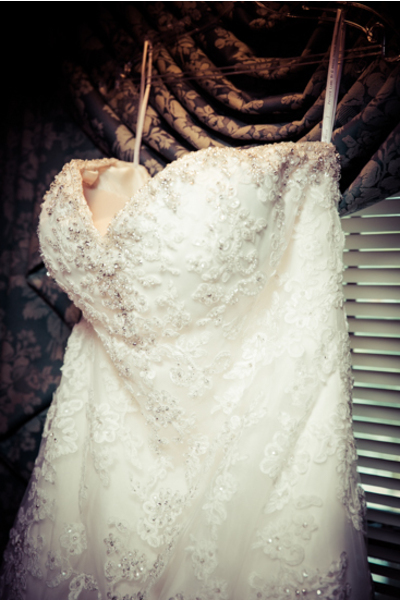 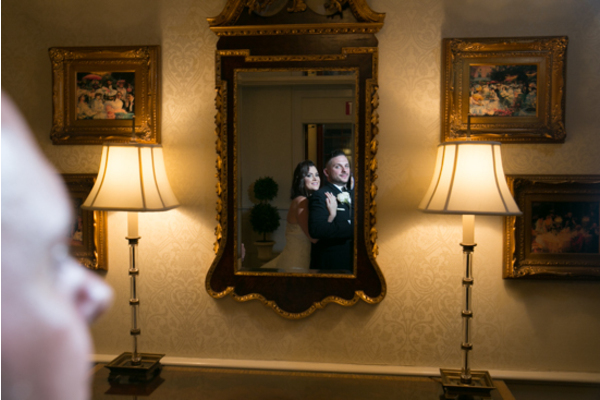 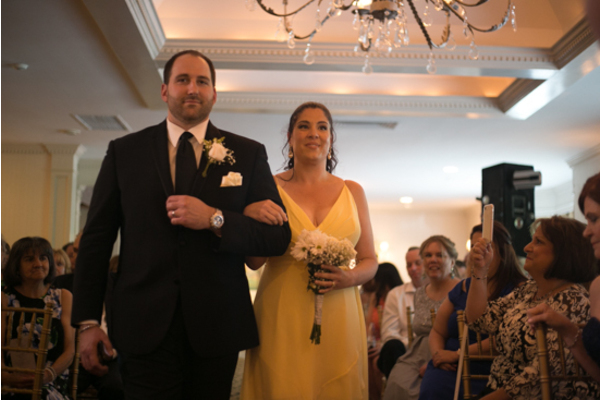 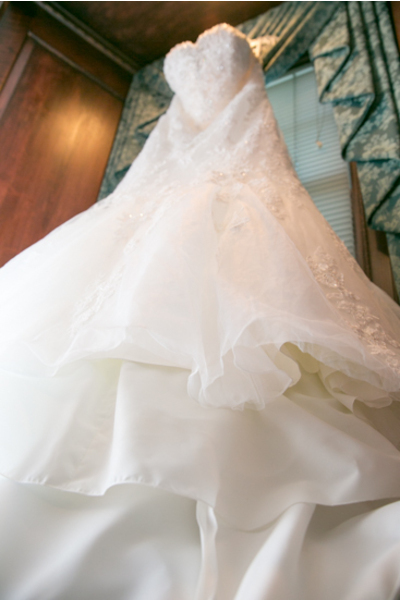 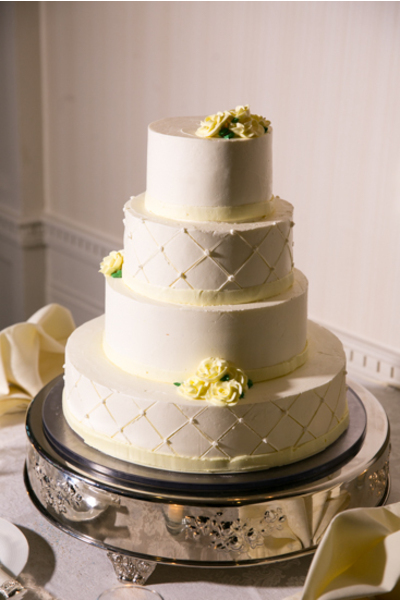 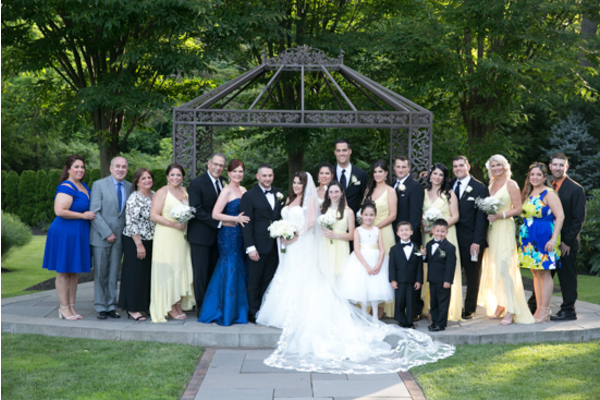 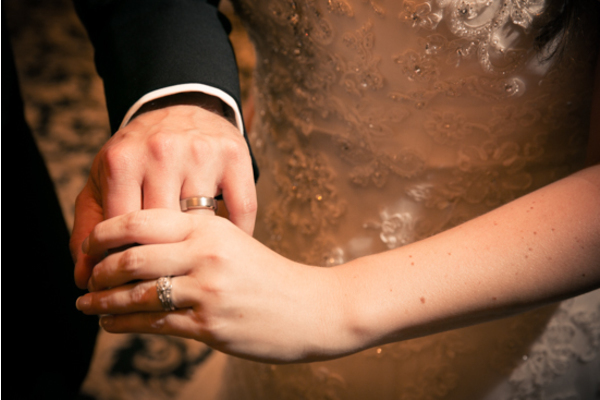 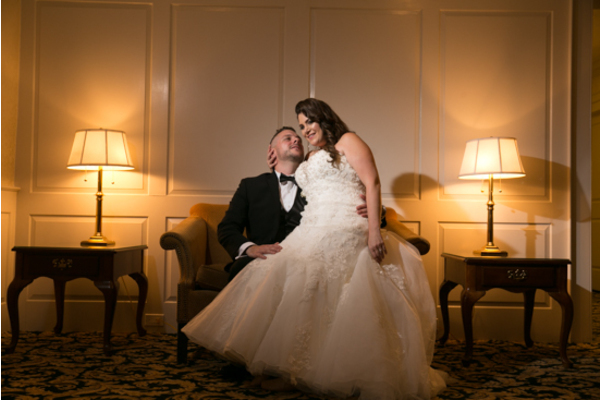 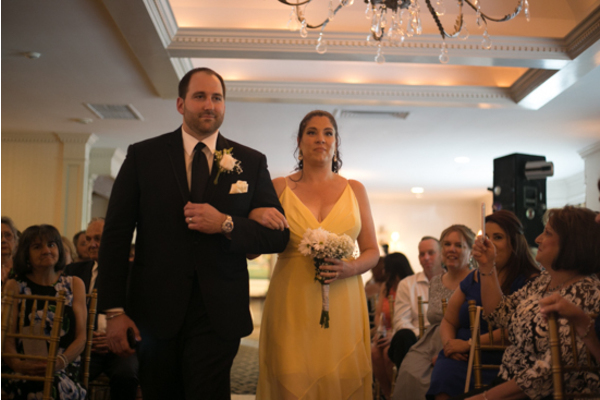 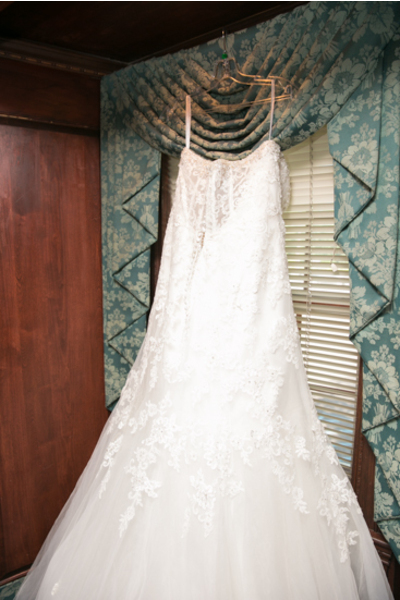 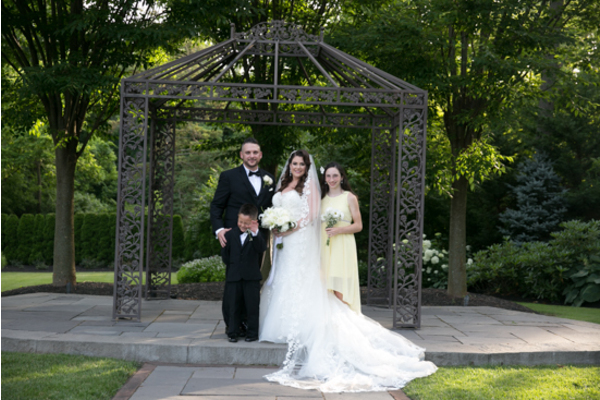 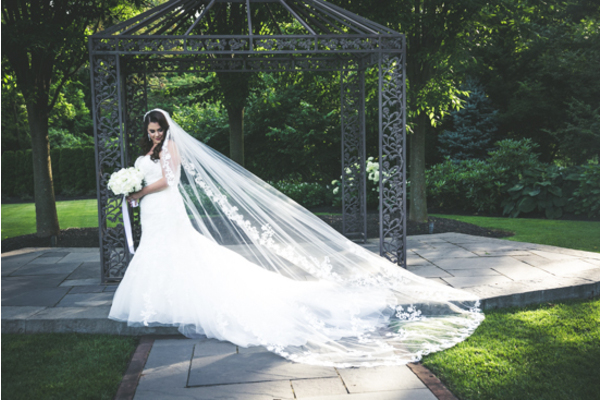 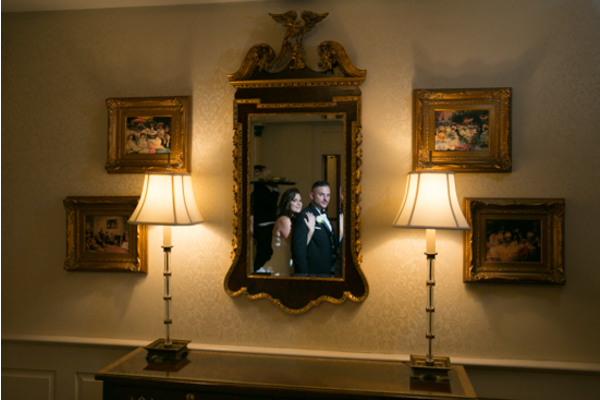 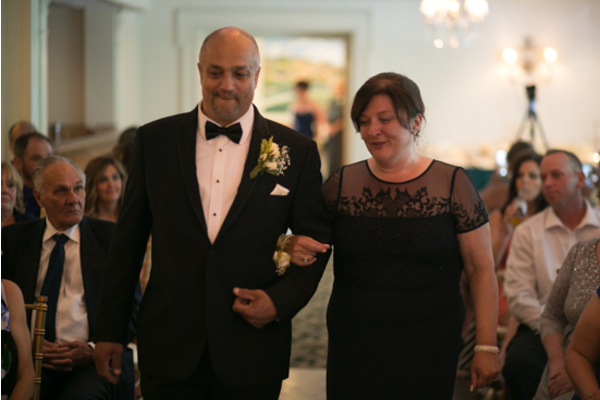 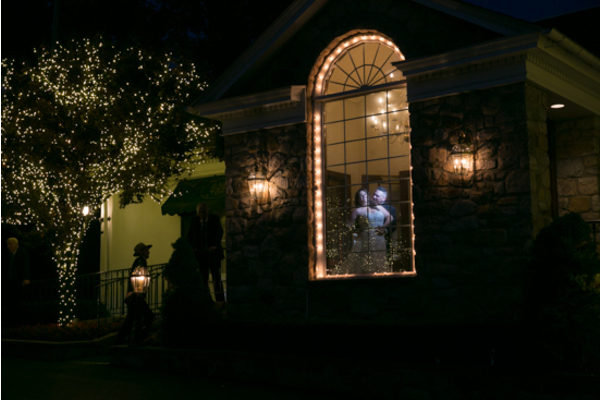 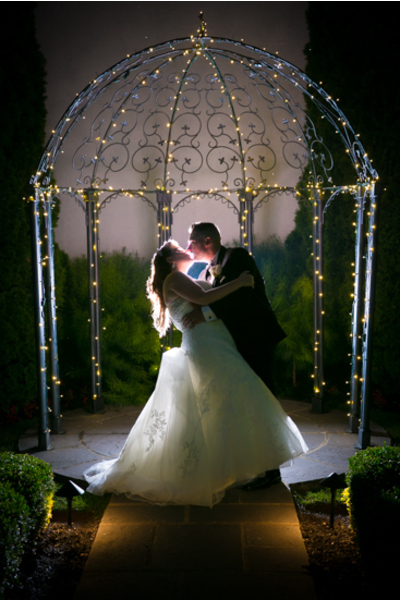 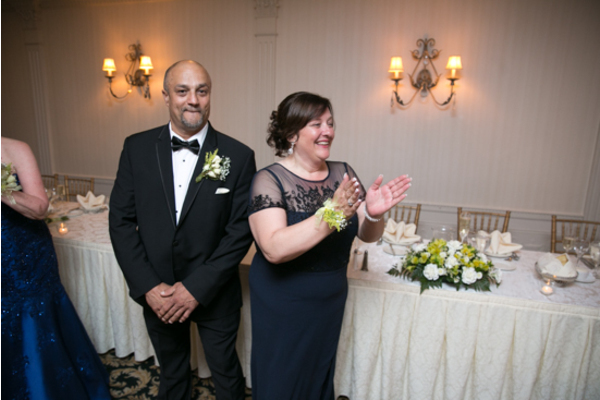 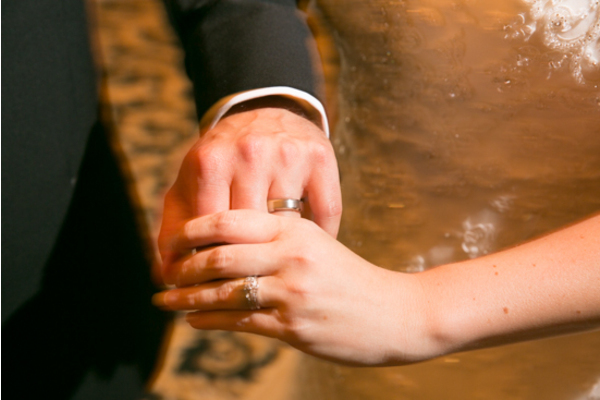 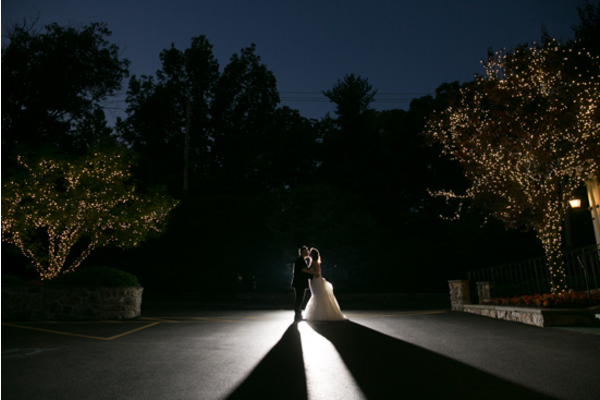 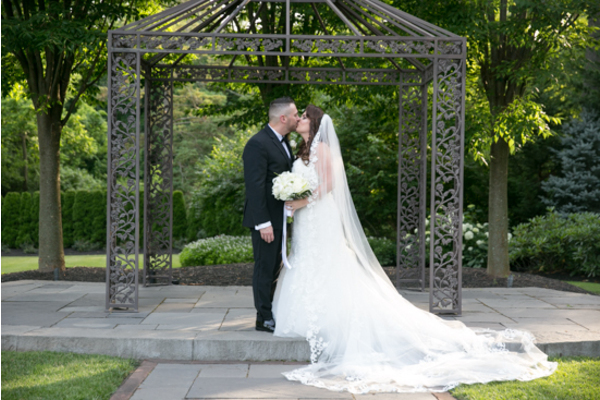 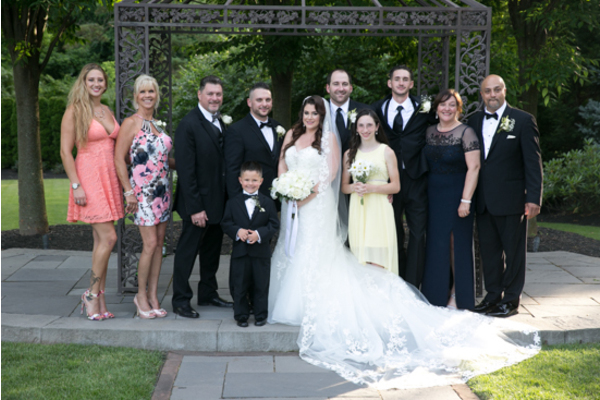 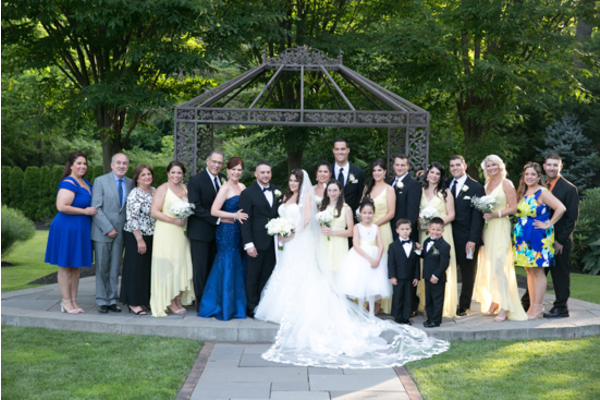 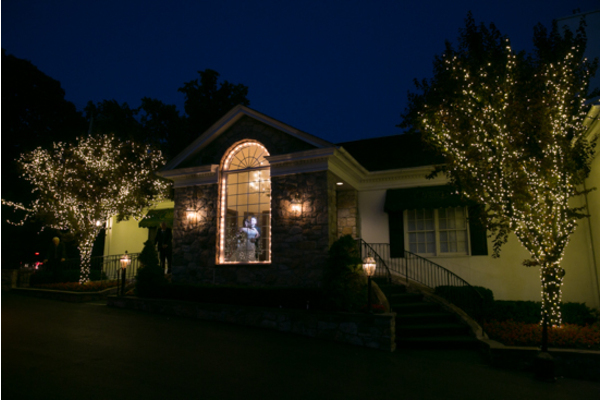 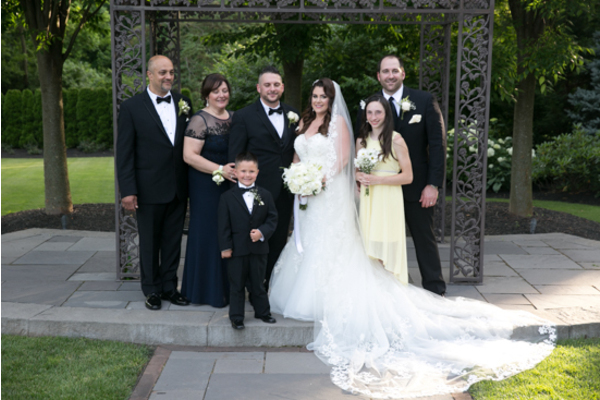 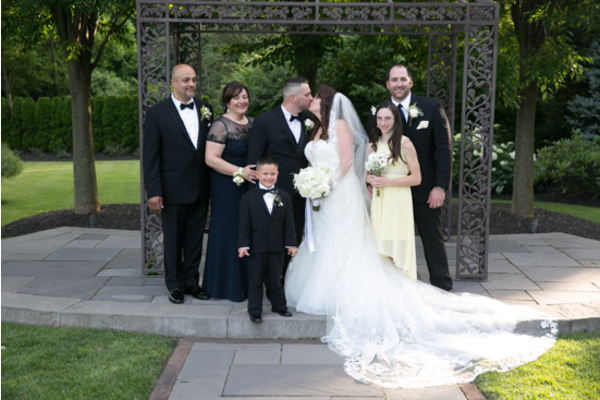 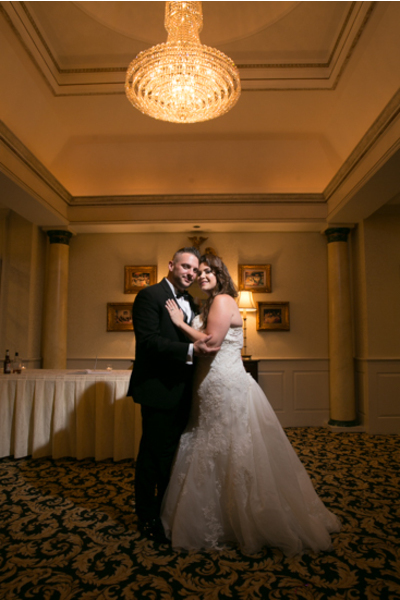 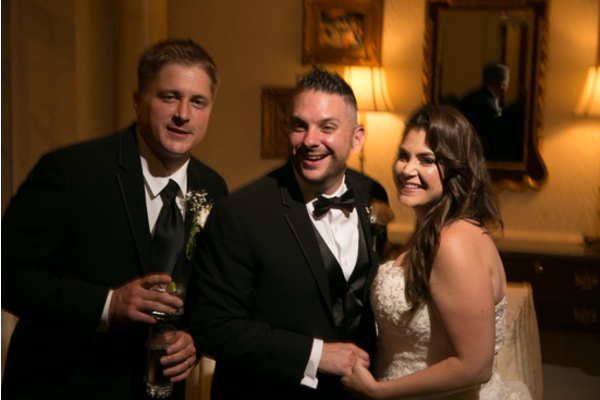 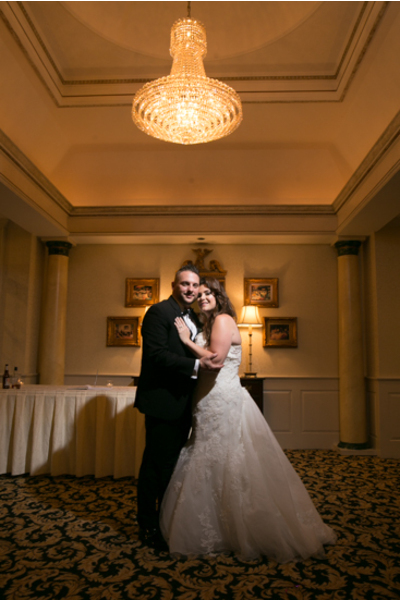 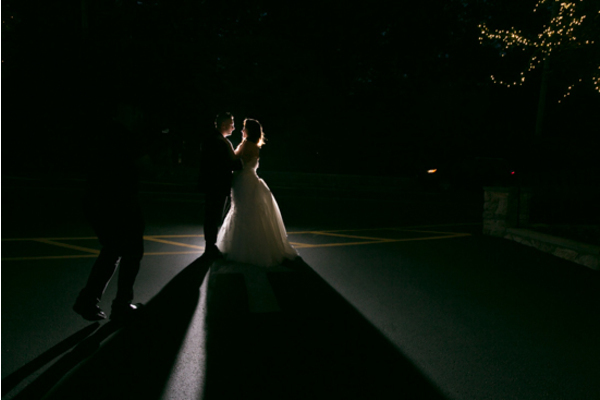 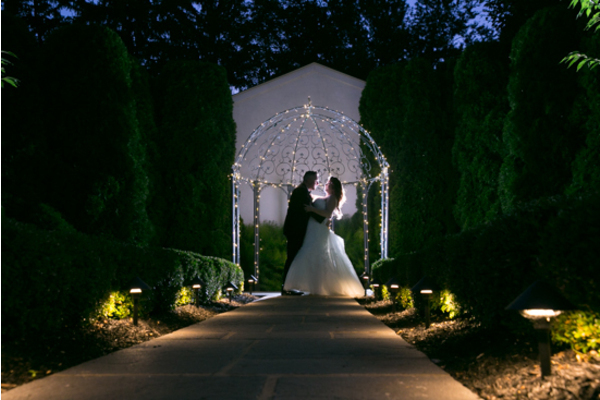 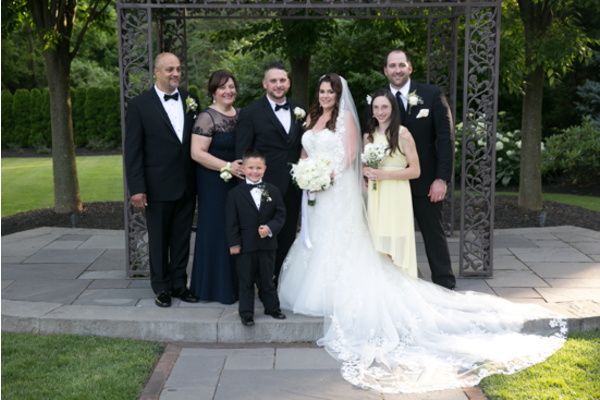 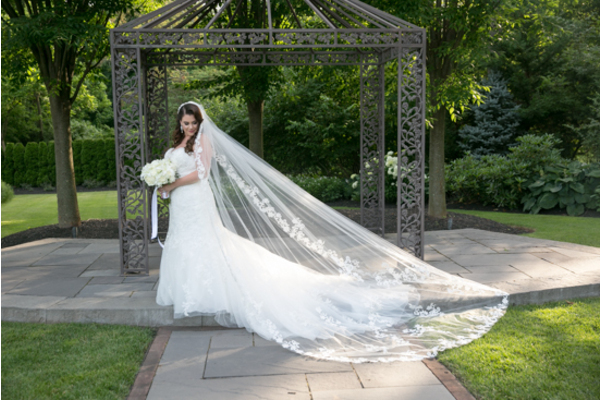 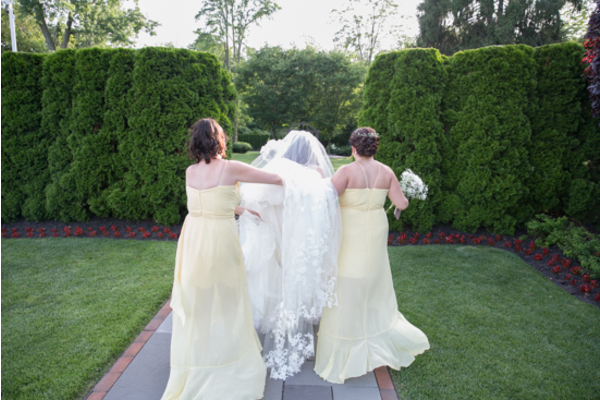 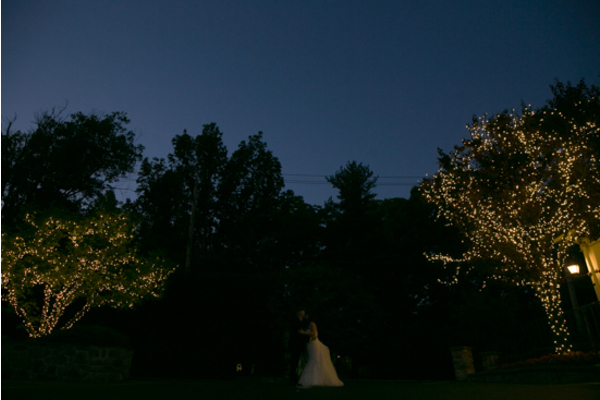 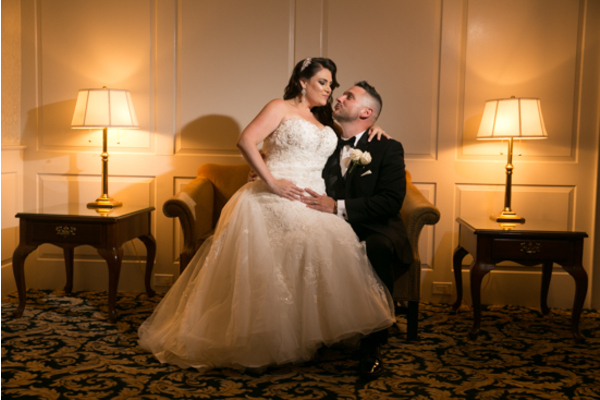 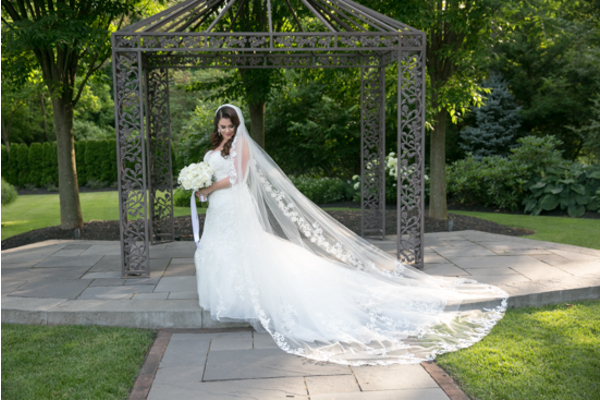 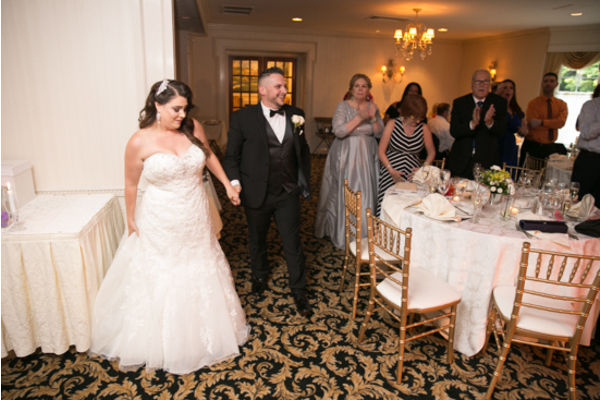 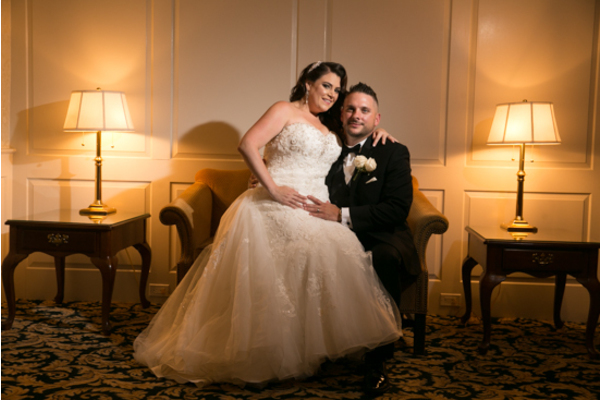 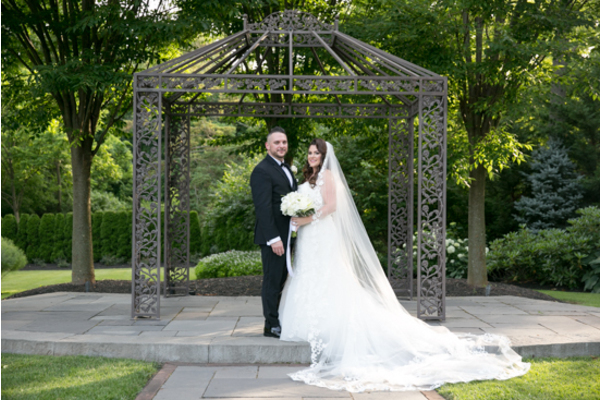 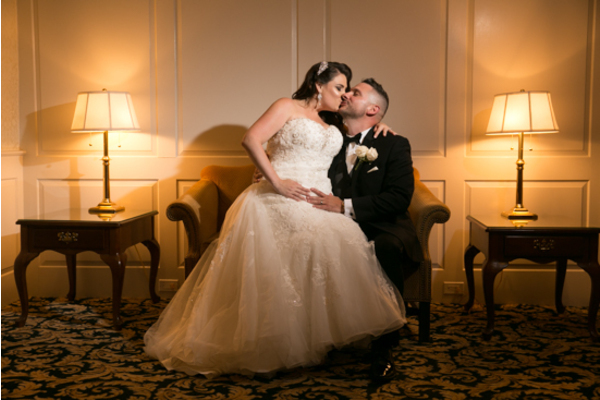 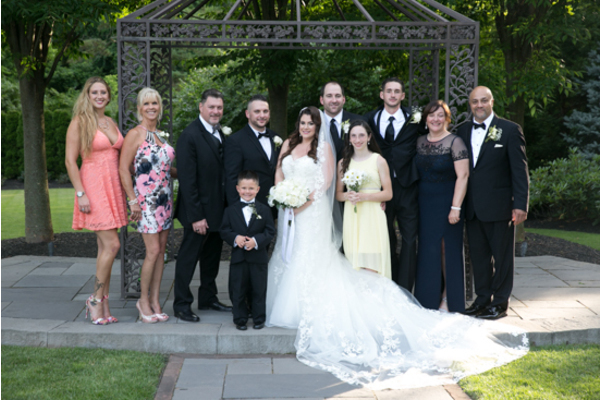 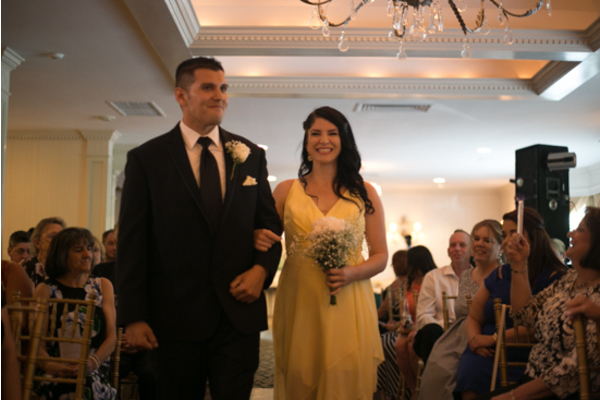 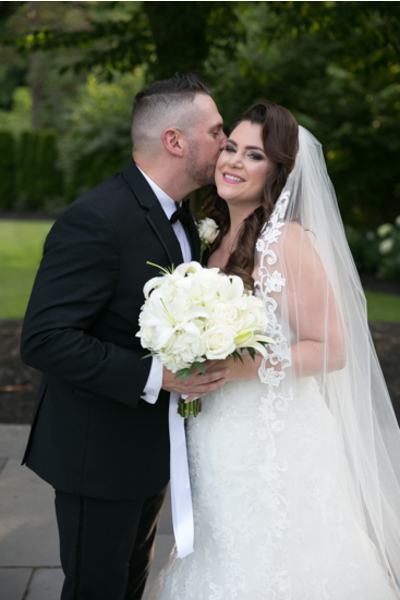 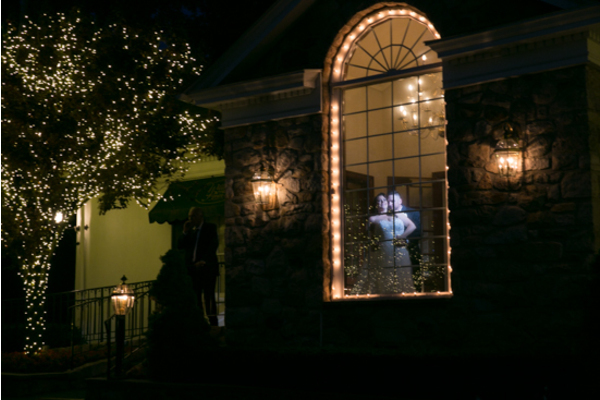 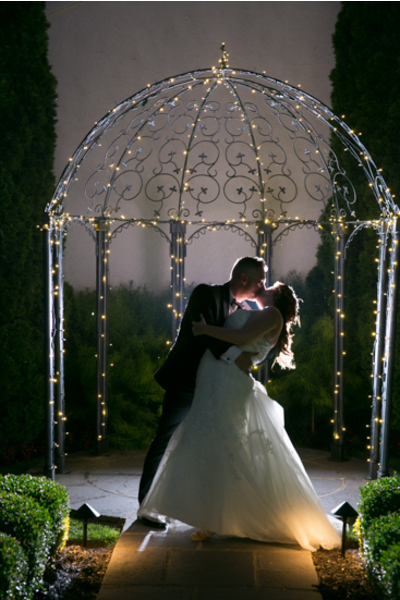 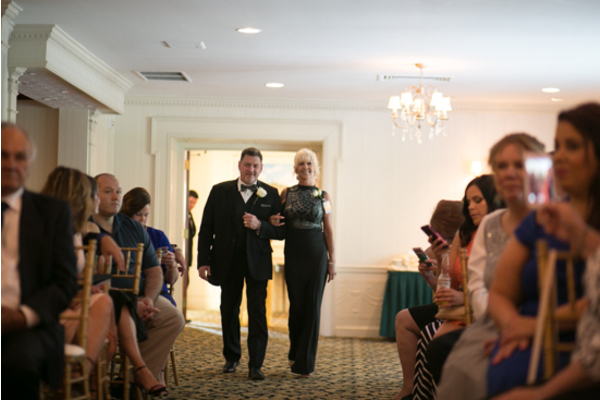 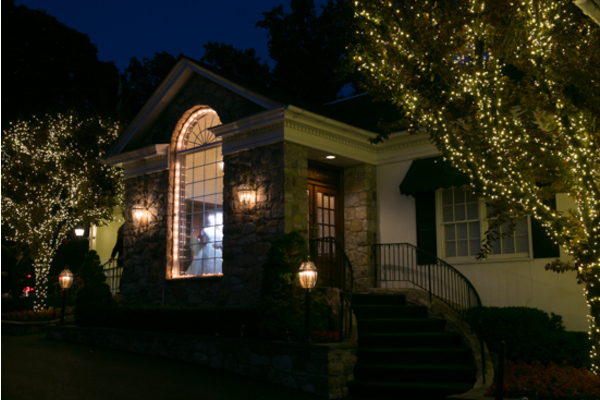 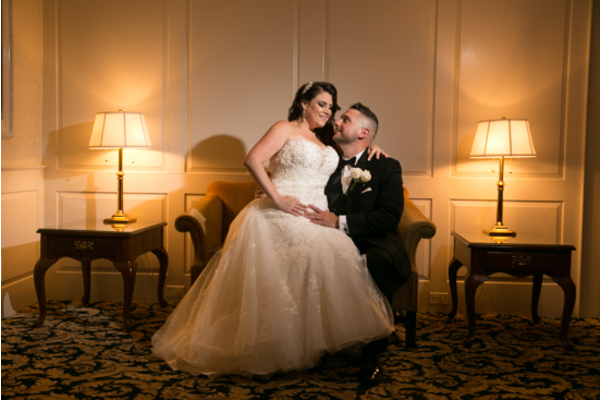 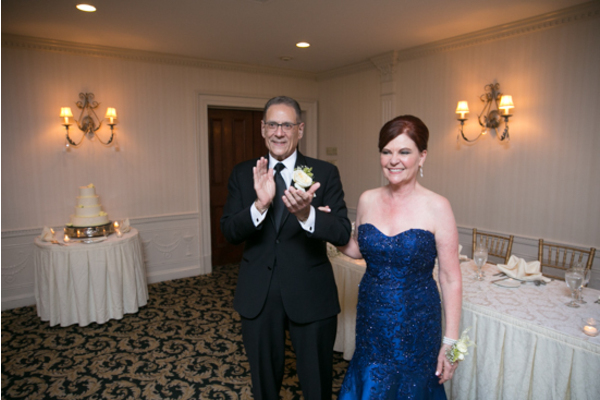 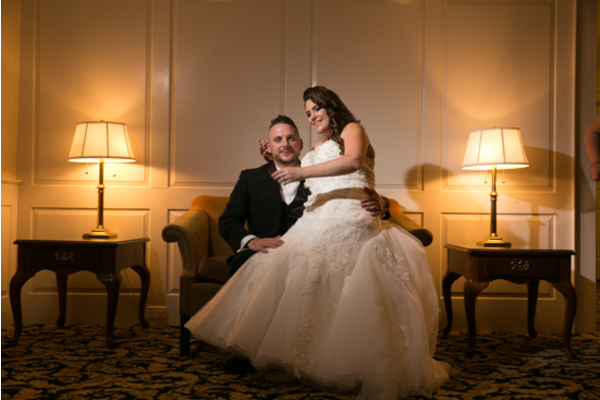 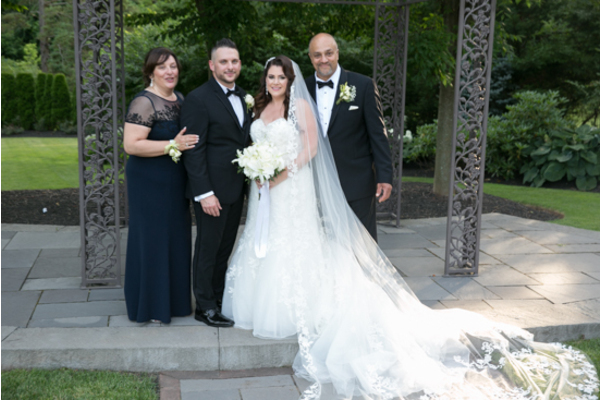 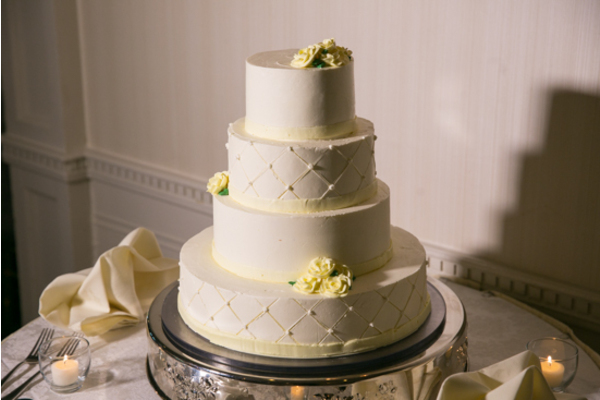 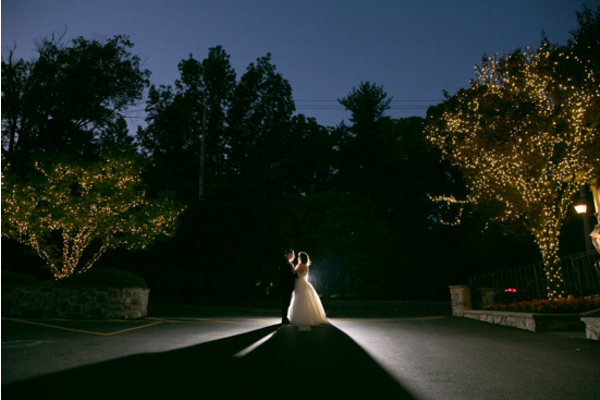 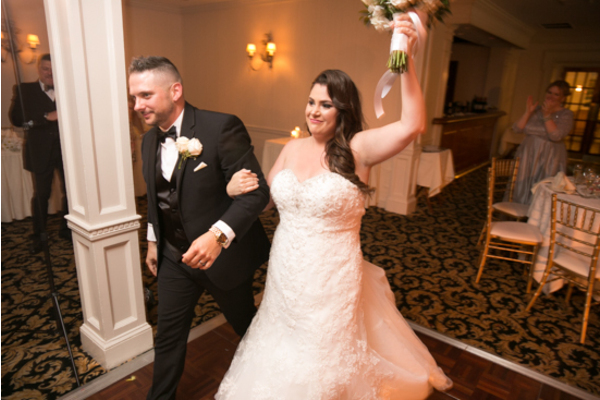 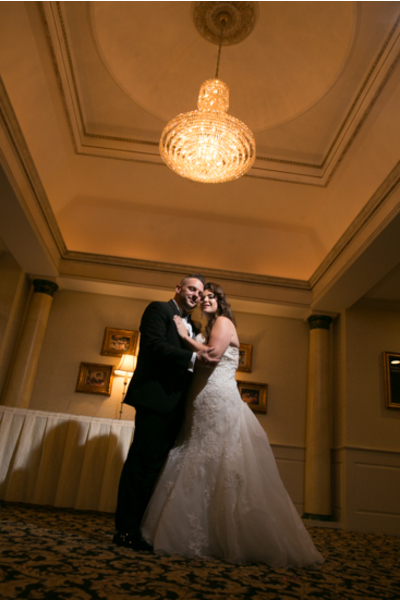 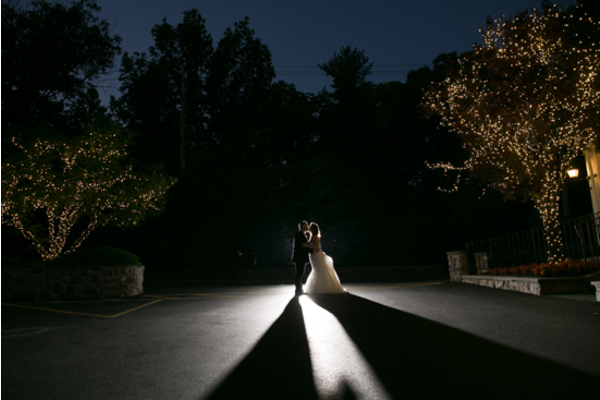 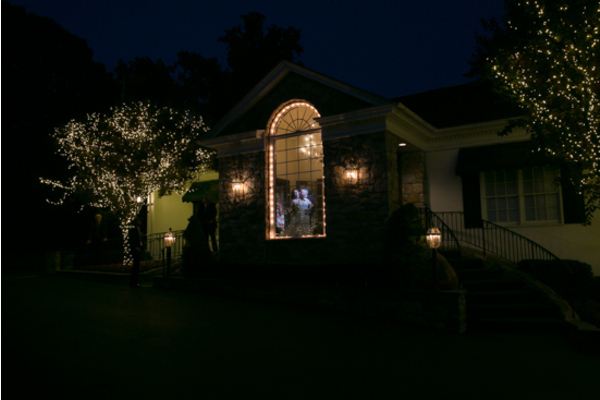 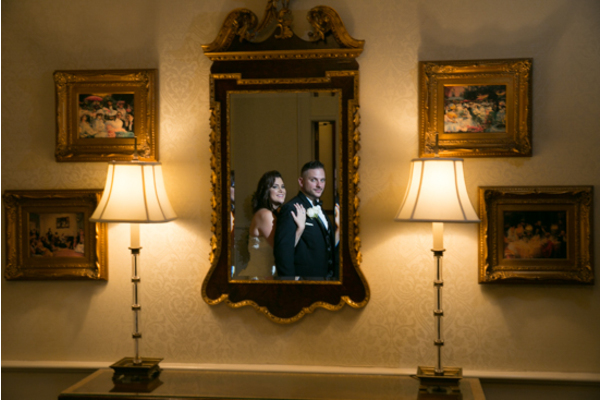 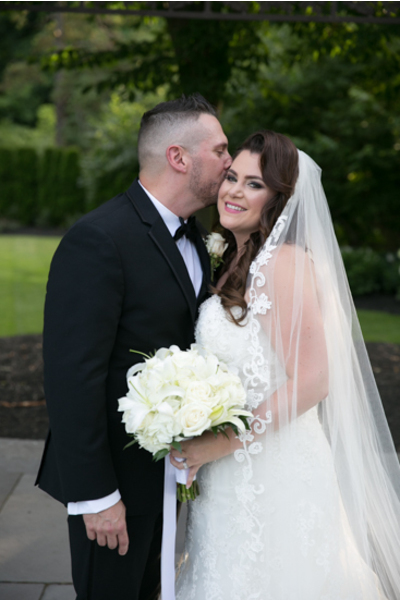 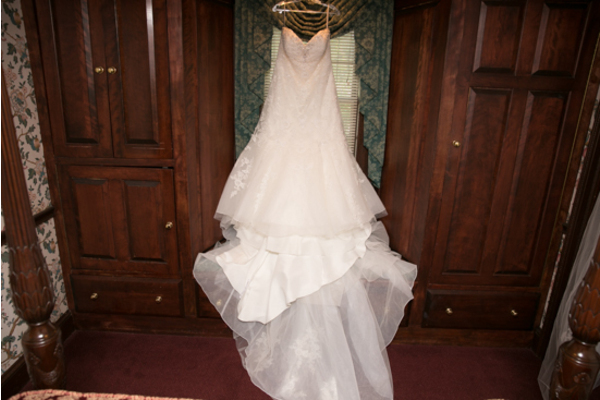 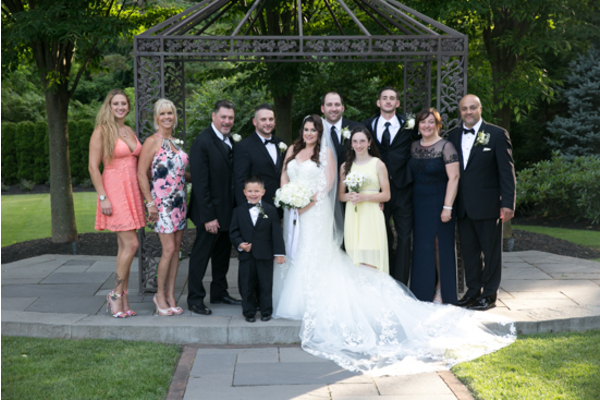 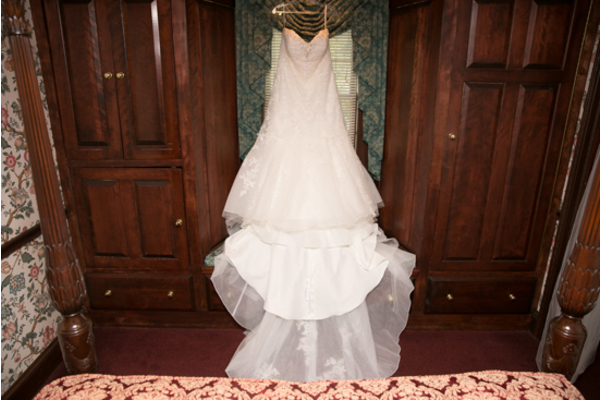 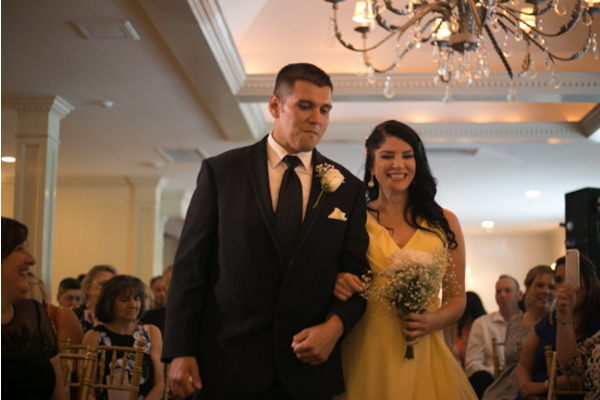 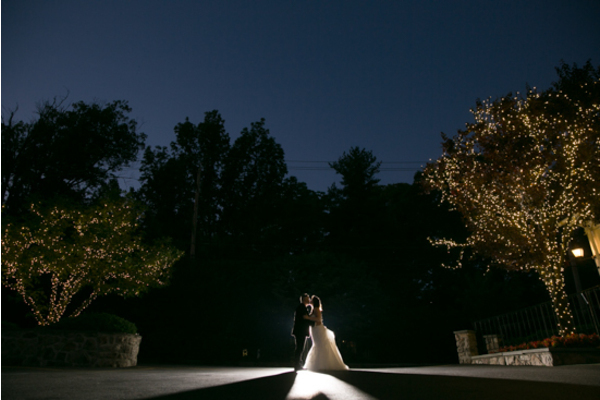 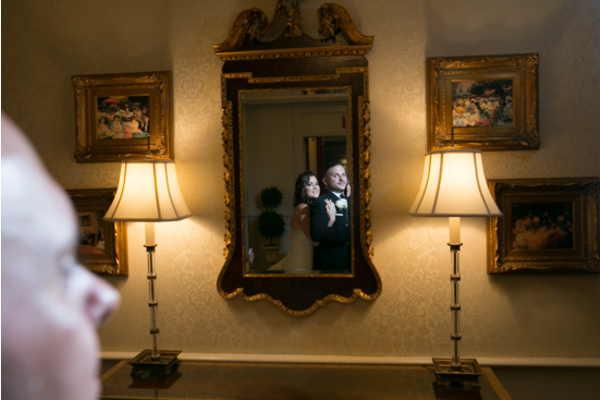 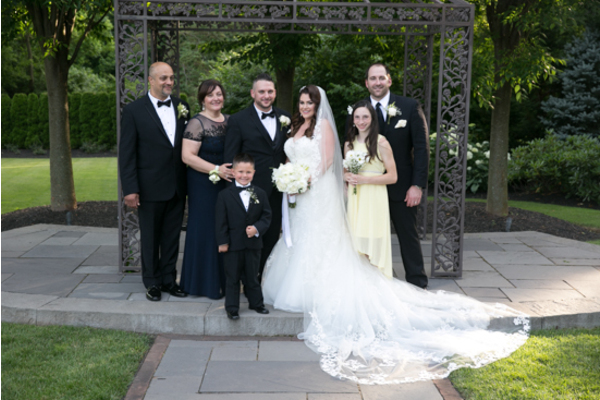 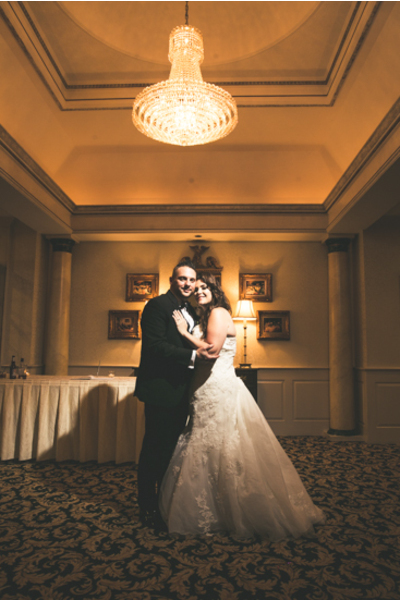 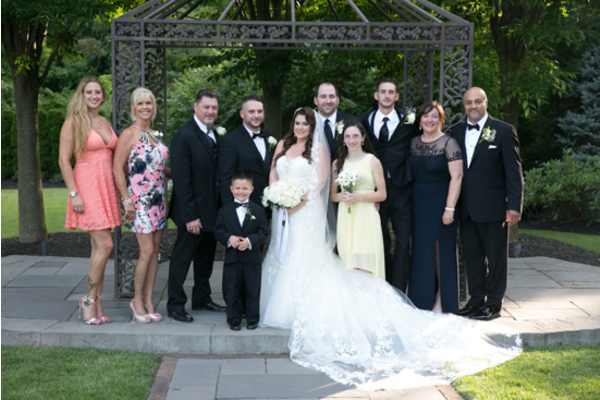 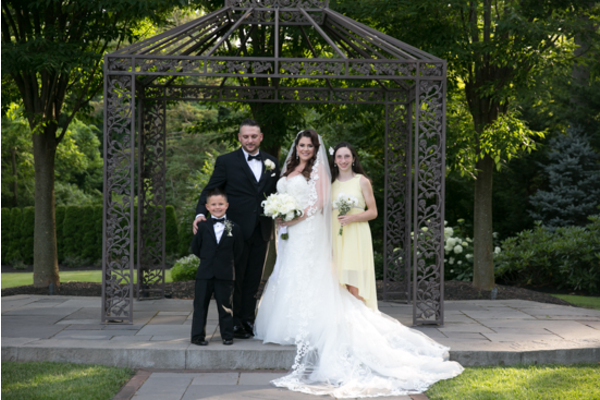 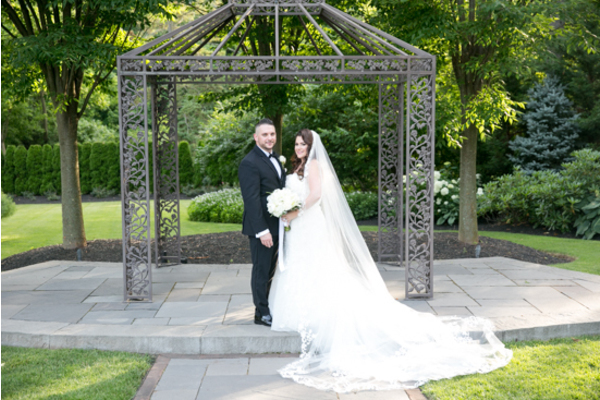 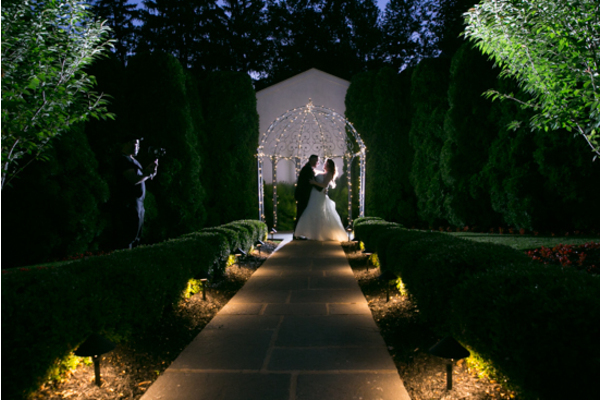 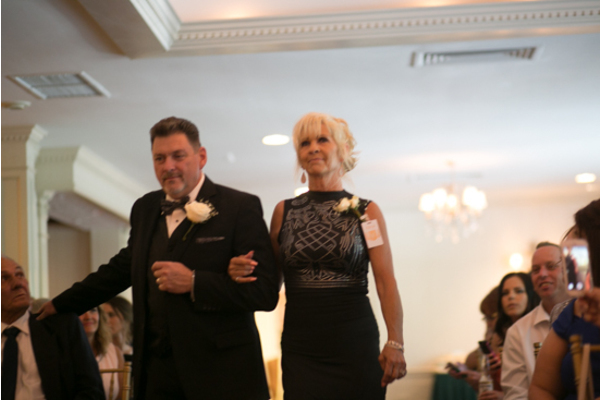 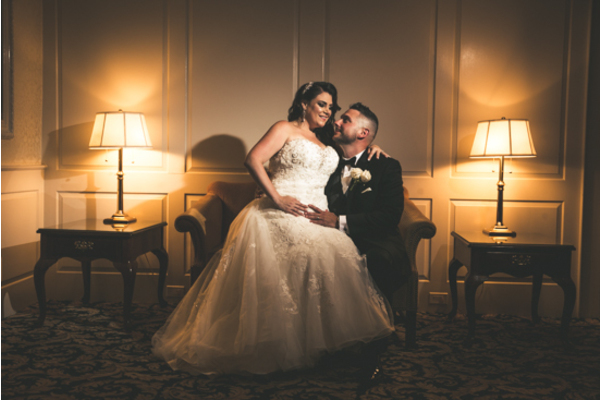 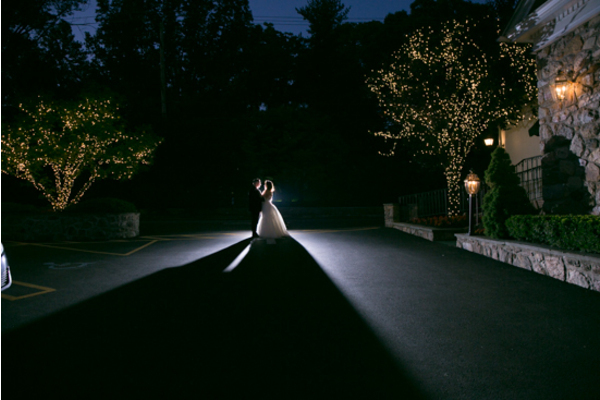 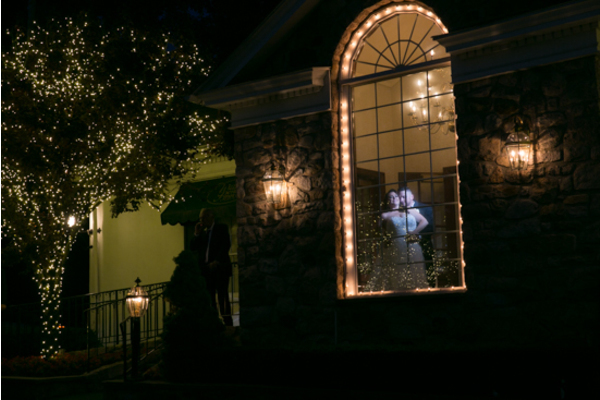 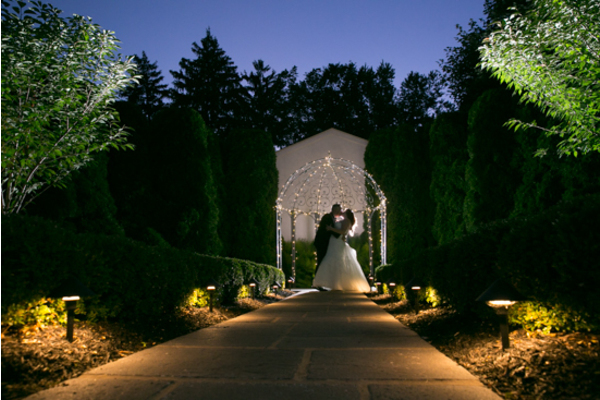 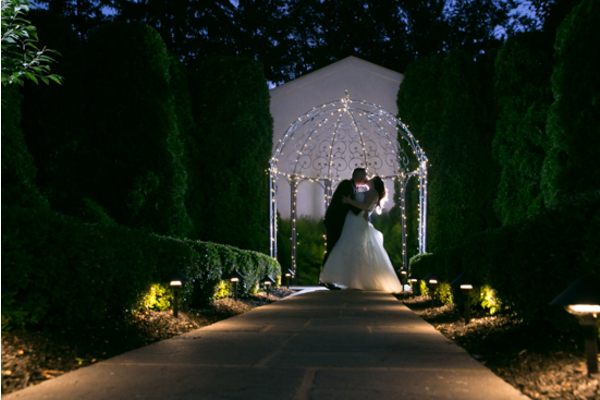 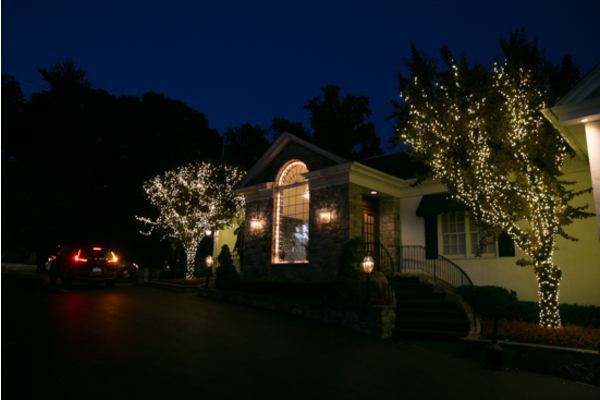 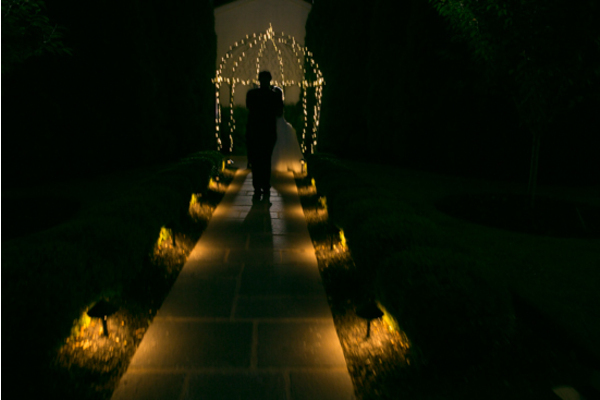 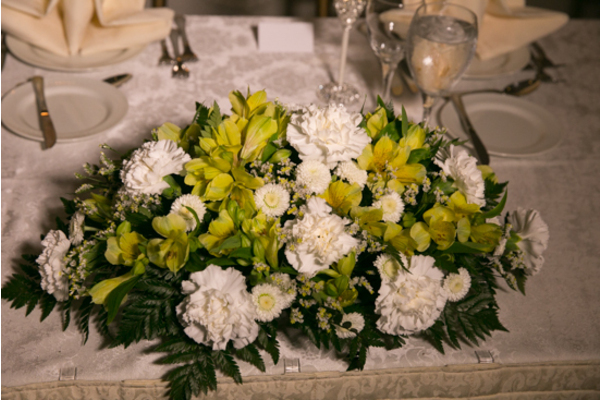 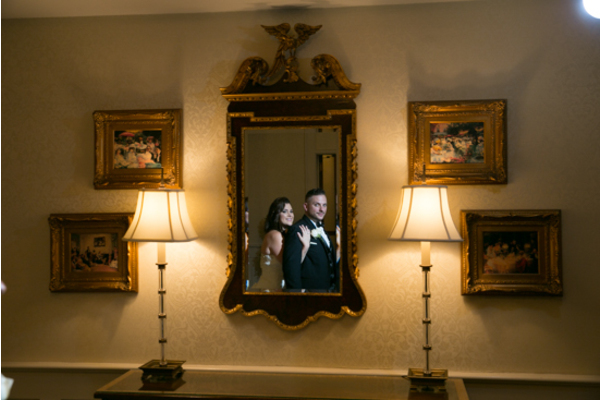 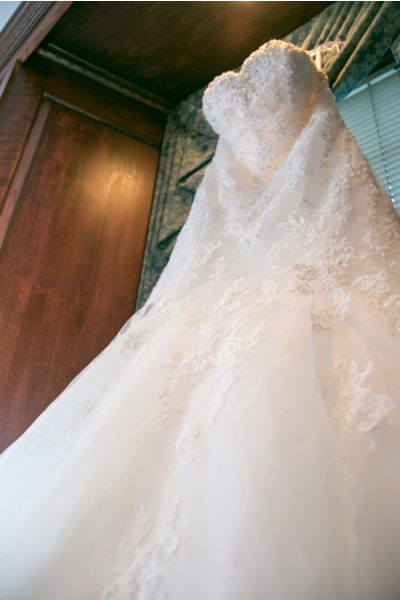 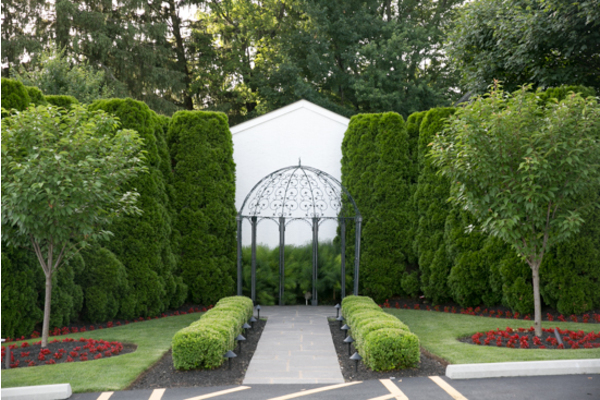 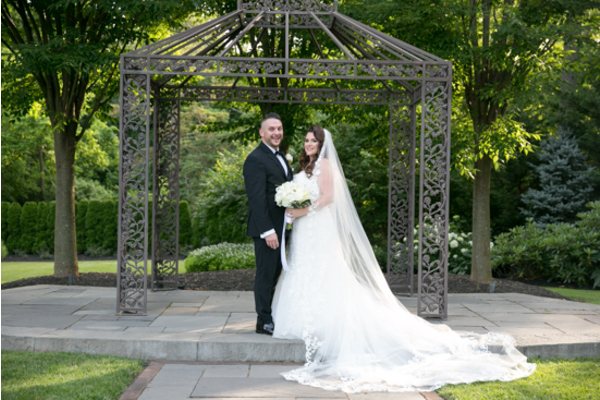 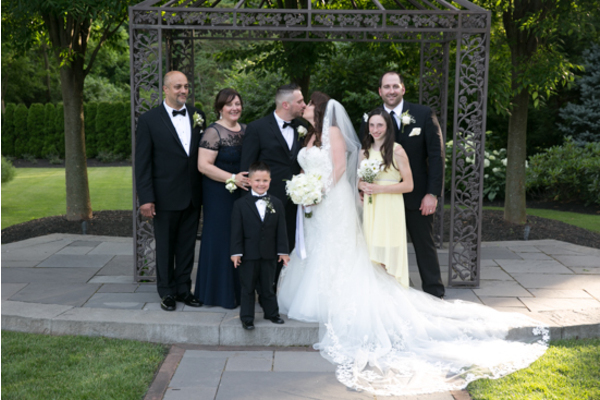 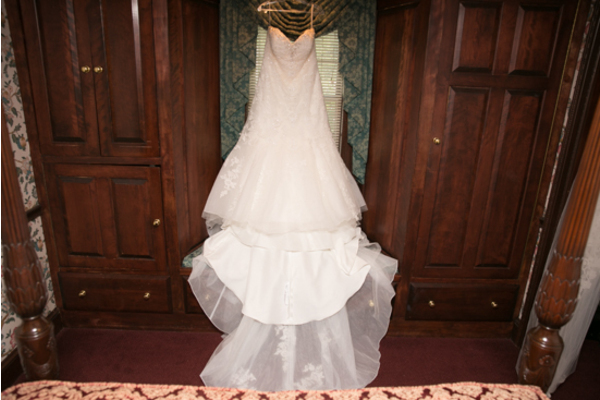 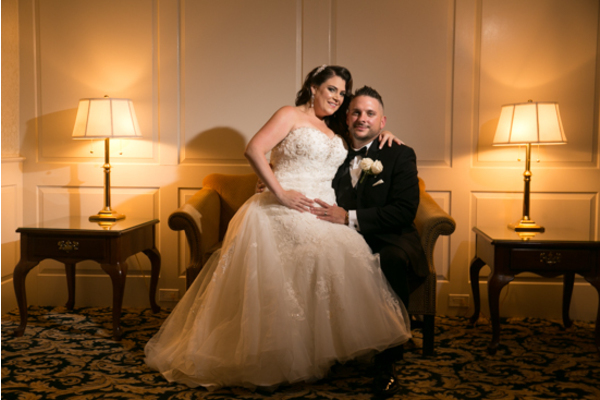 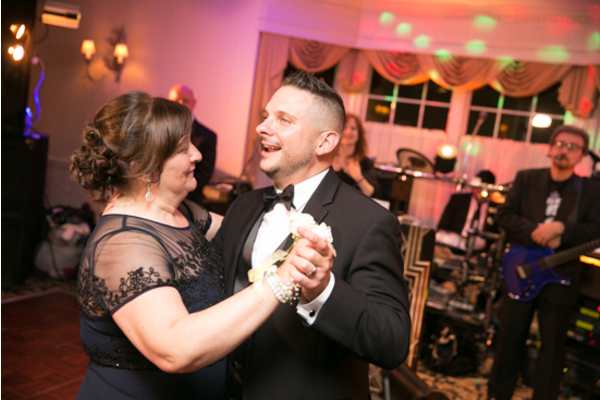 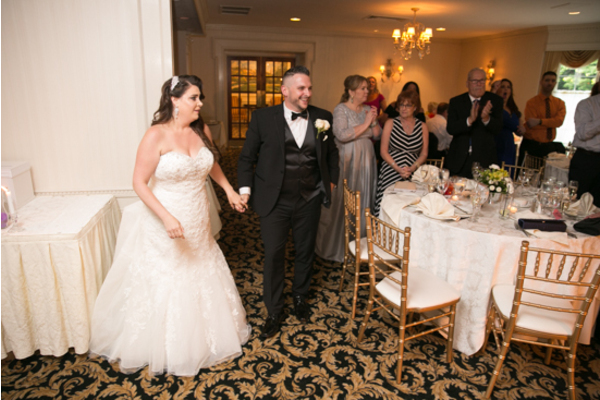 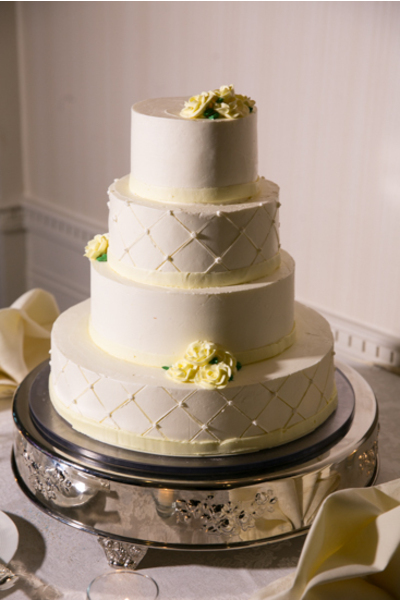 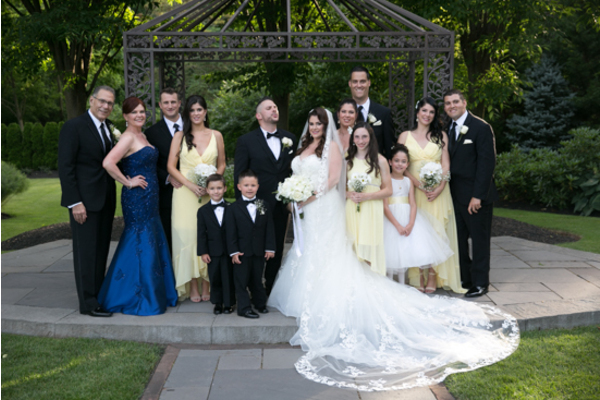 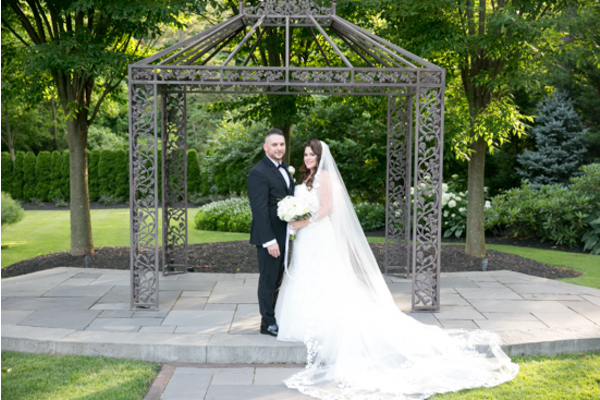 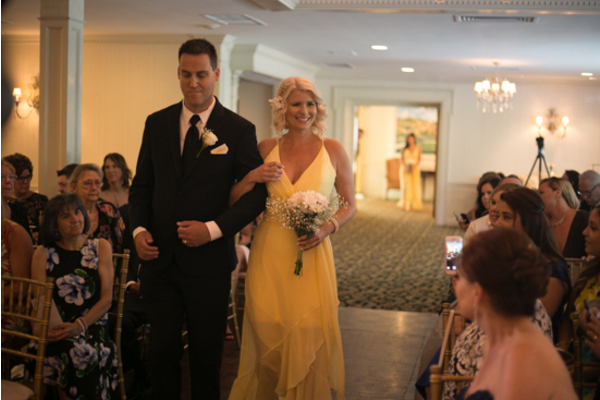 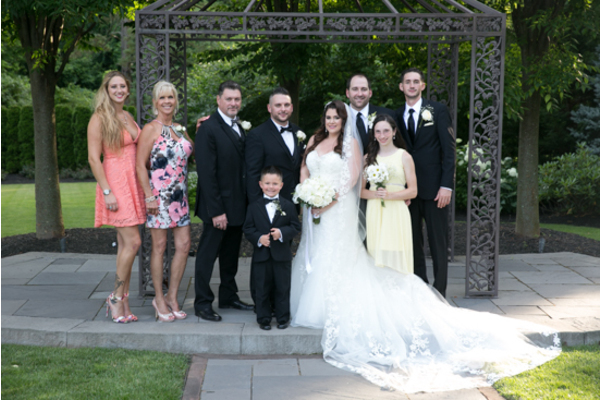 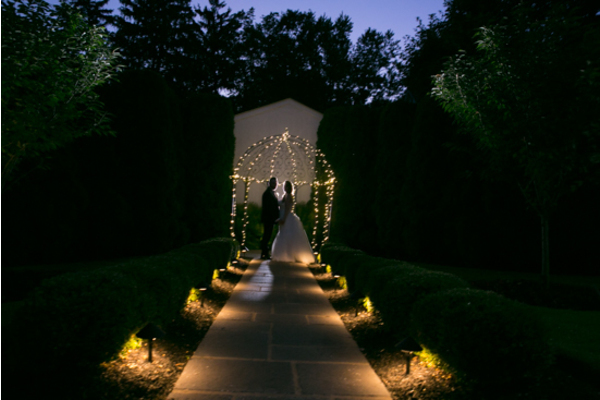 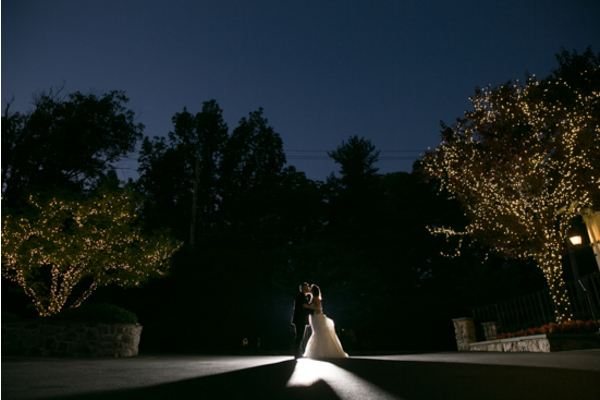 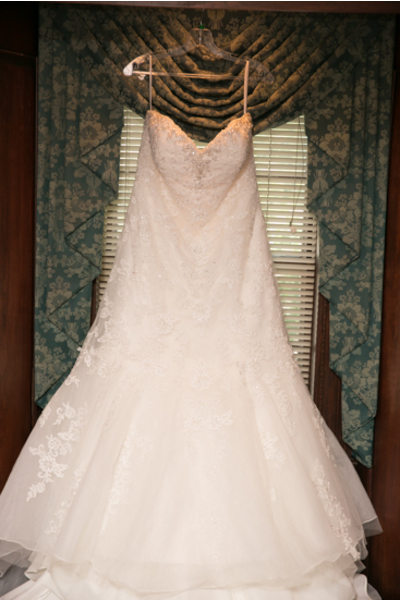 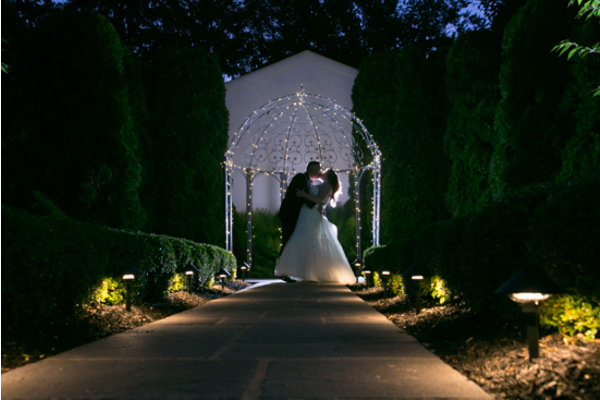 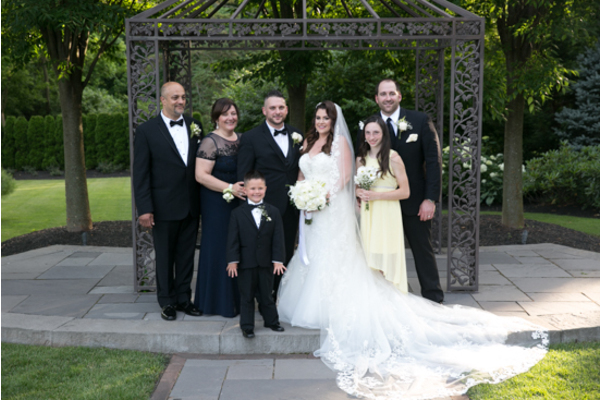 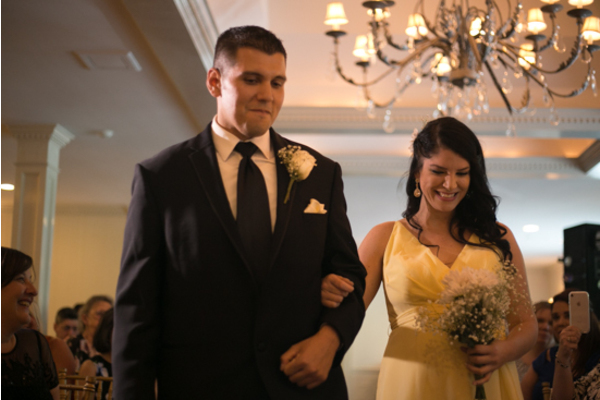 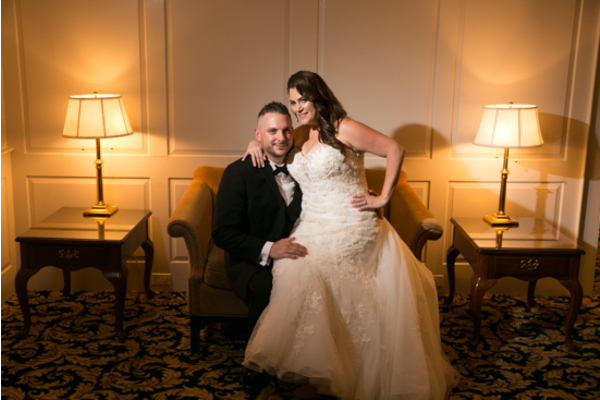 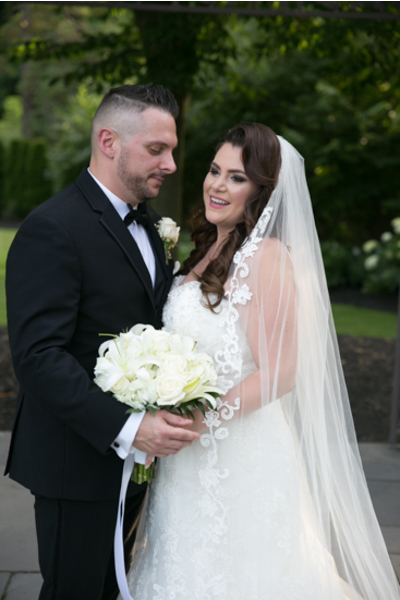 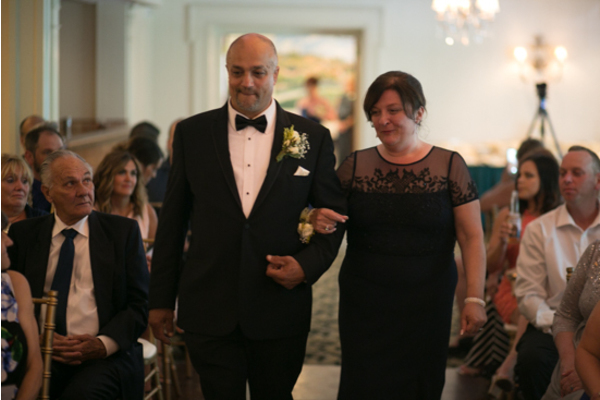 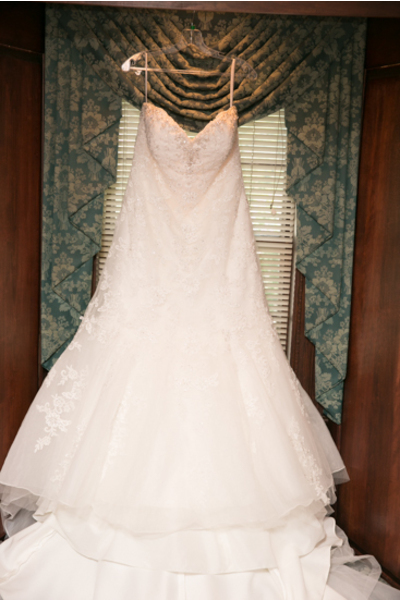 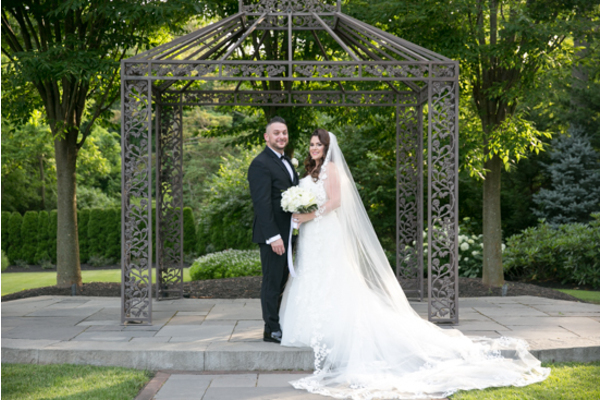 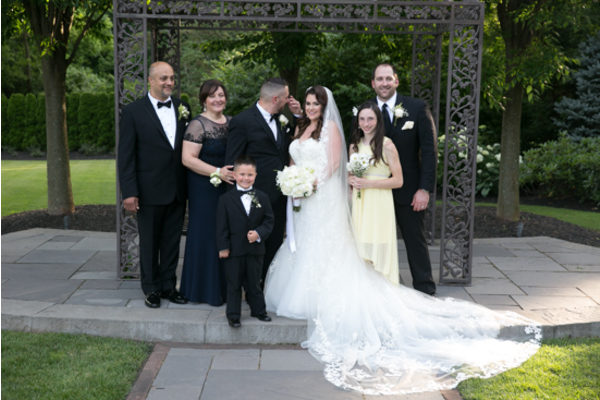 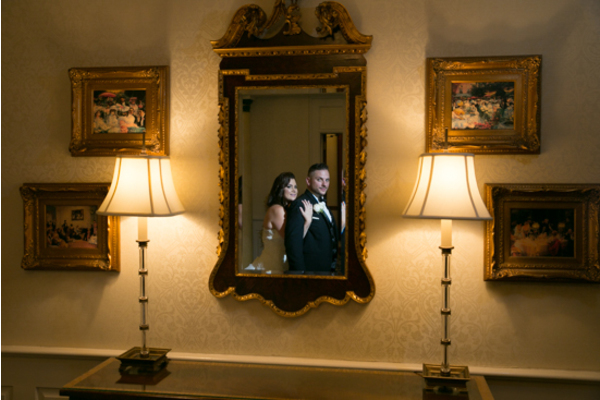 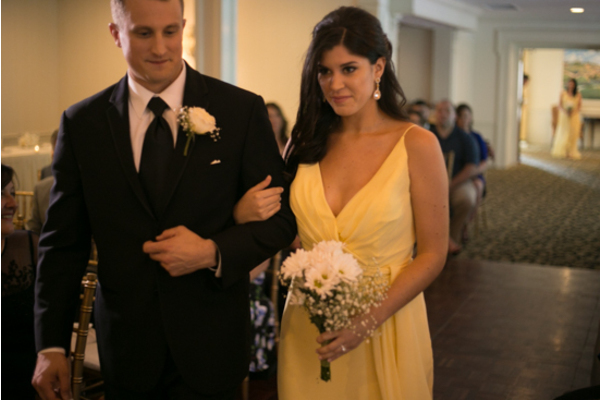 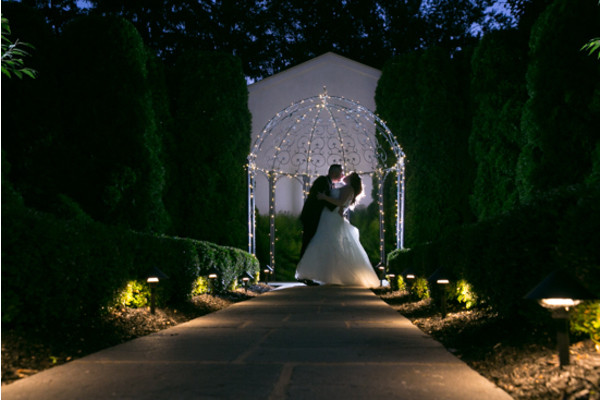 This lovely couple got hitched at the wonderful William Penn Inn, in Gwynedd, PA. 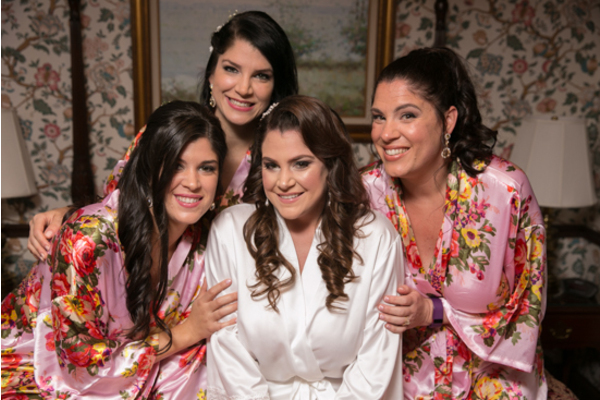 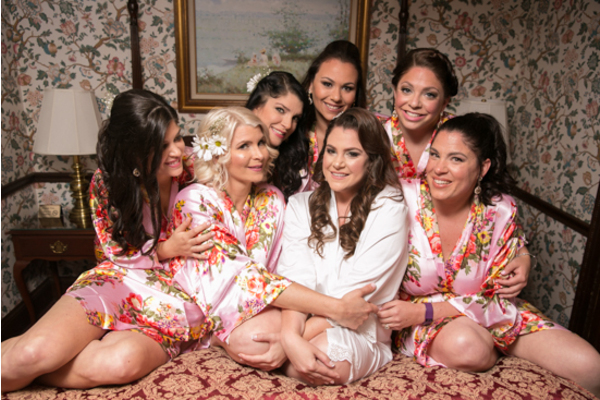 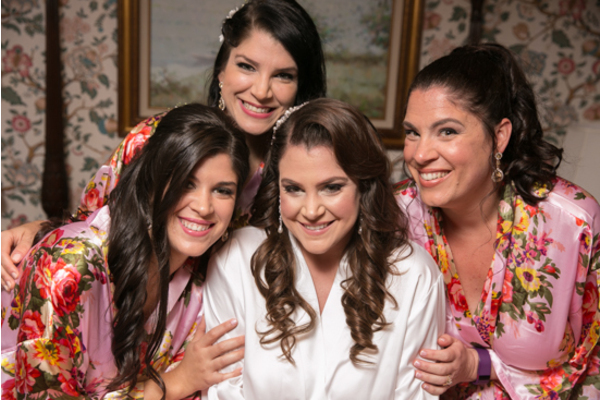 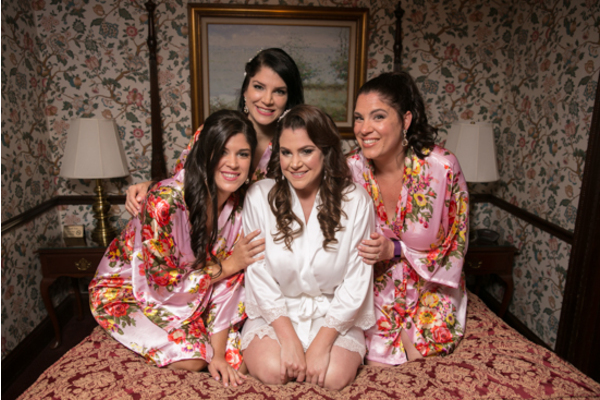 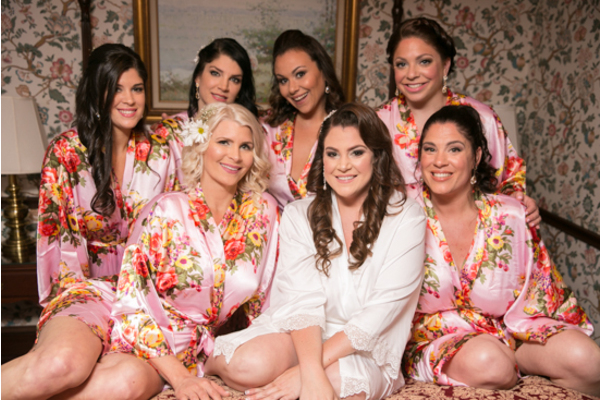 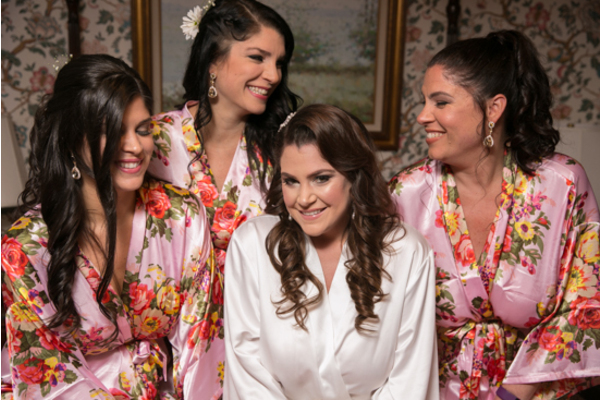 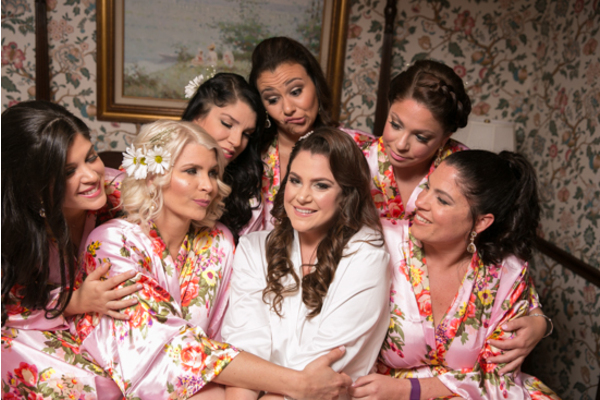 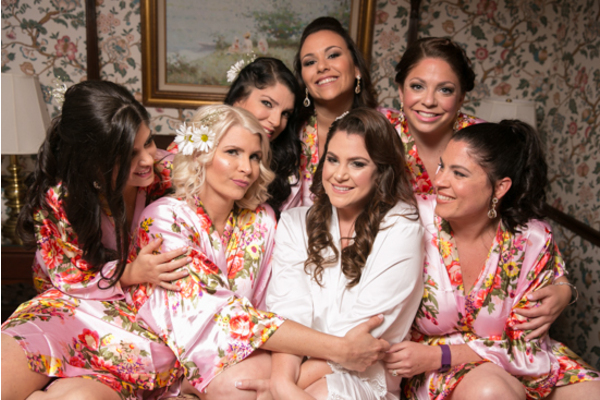 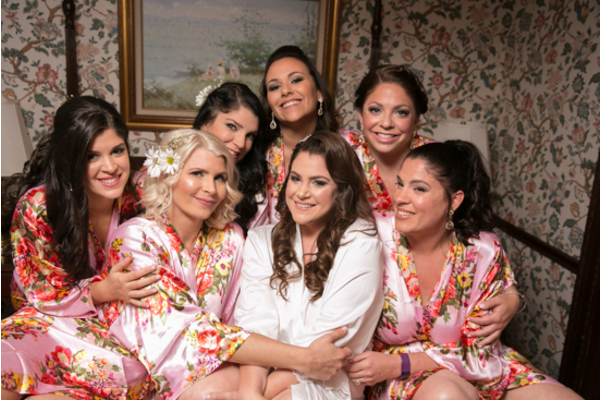 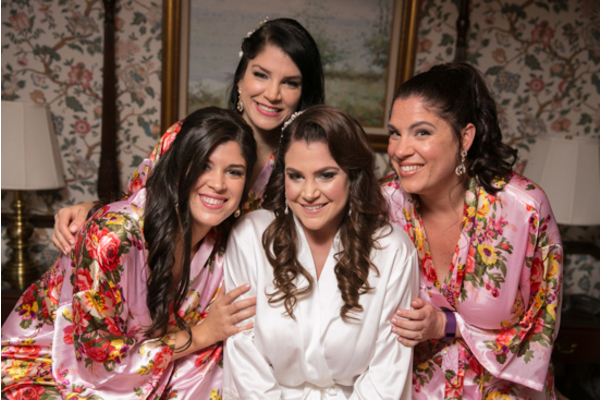 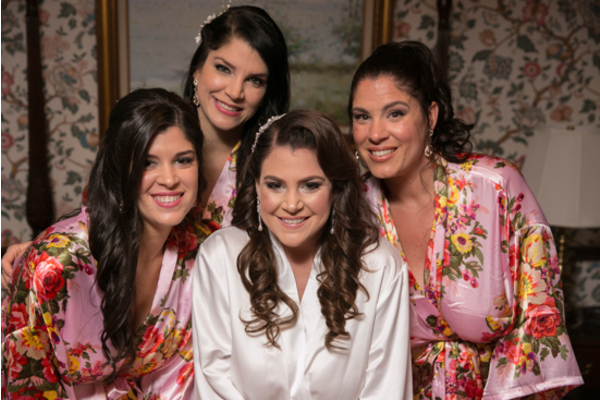 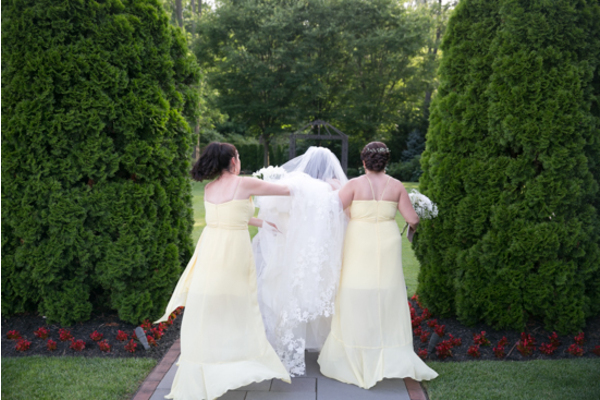 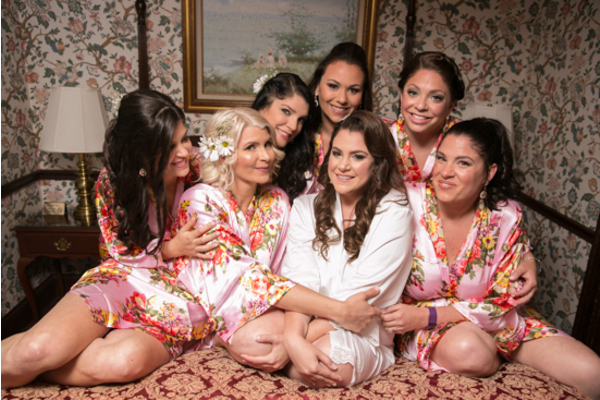 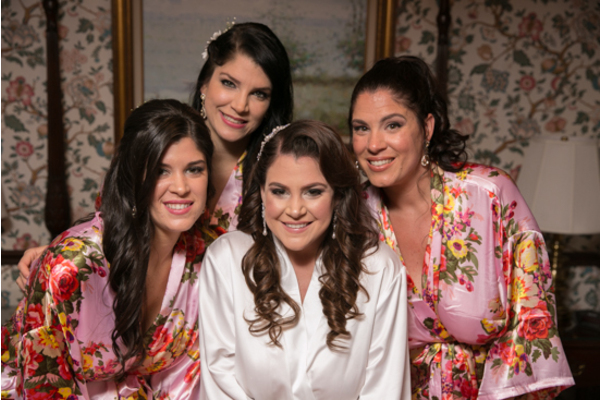 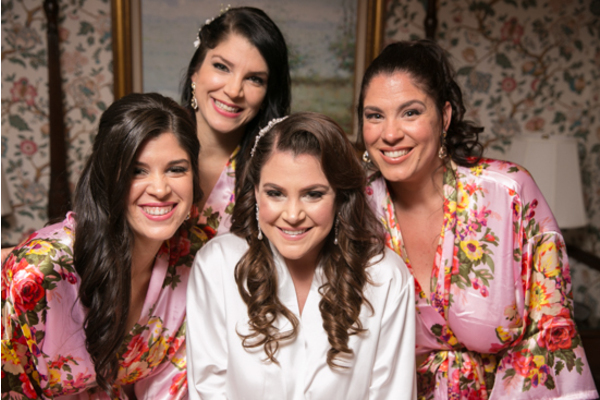 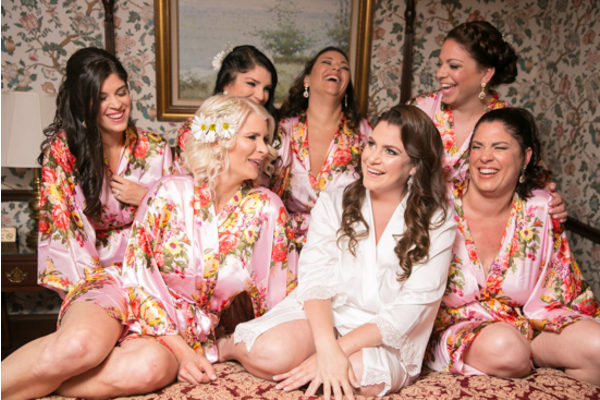 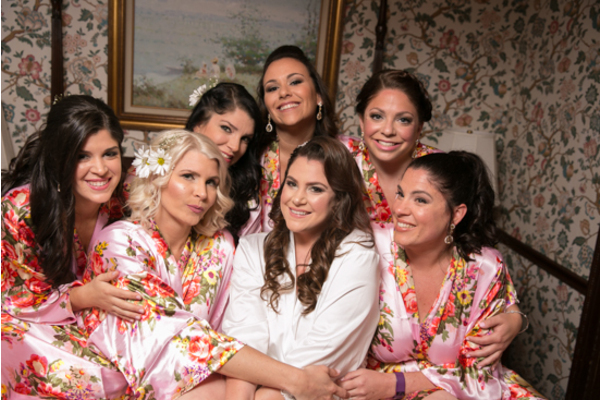 Wedding day jitters were never a problem for Tricia because she had her favorite bridesmaids in matching floral robes by her side. 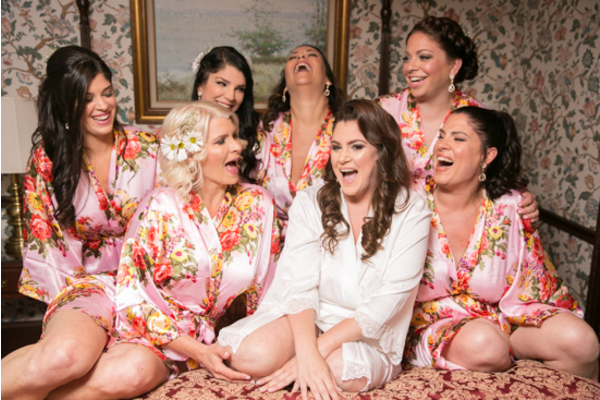 Talking and laughing on a bed in the room made all the girls reminisce about past memories together. 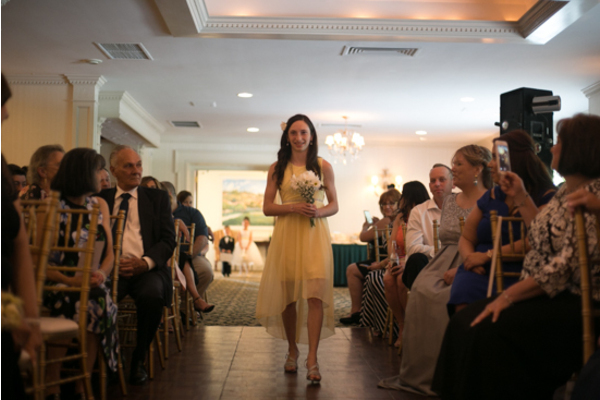 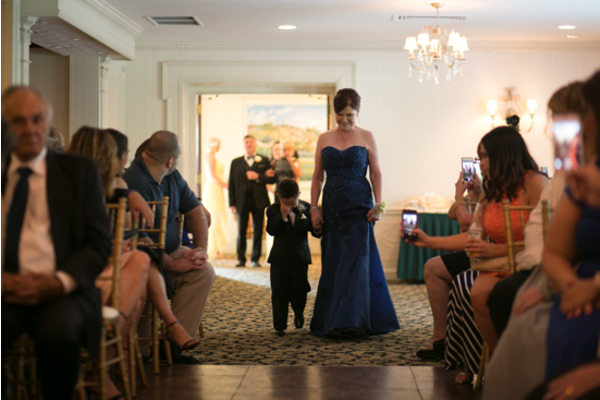 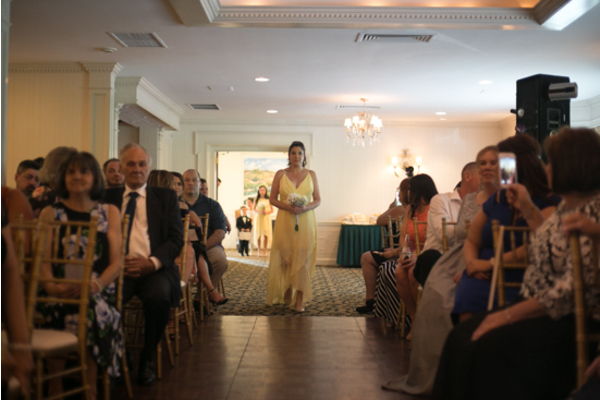 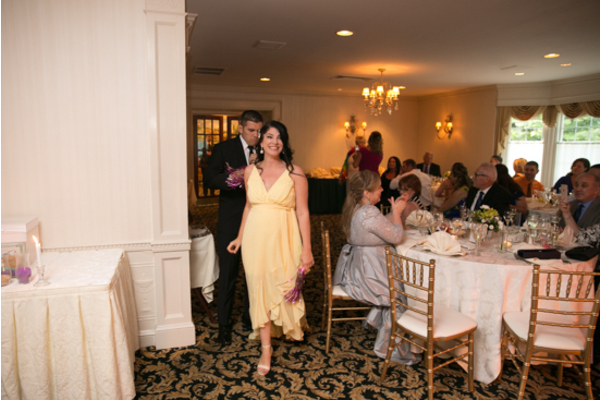 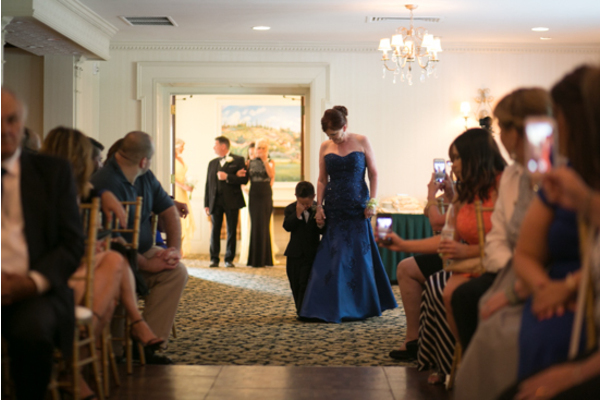 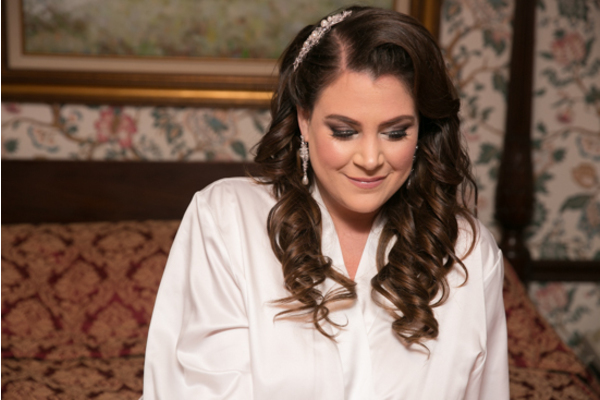 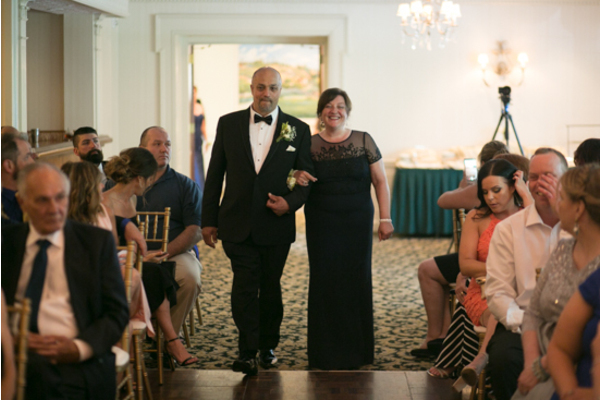 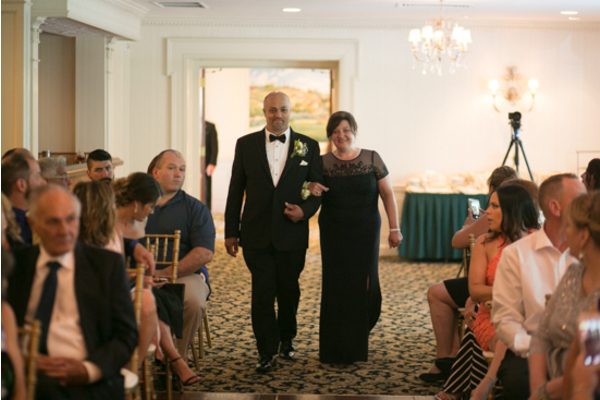 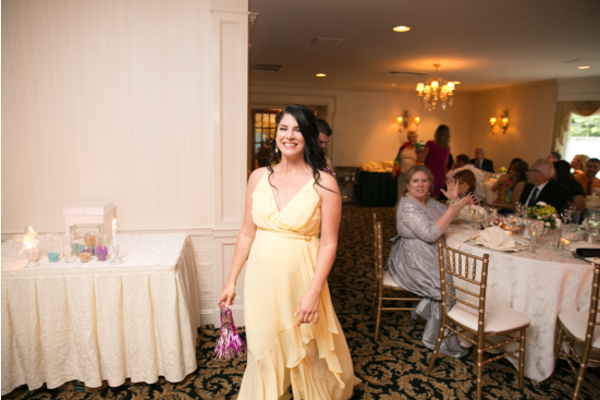 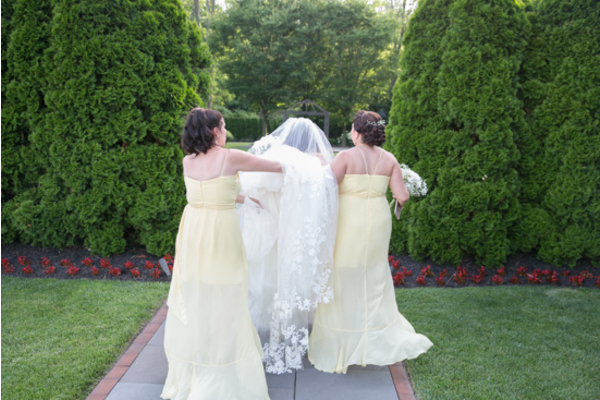 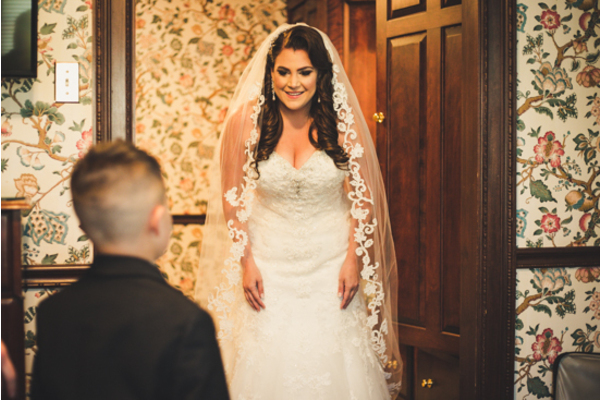 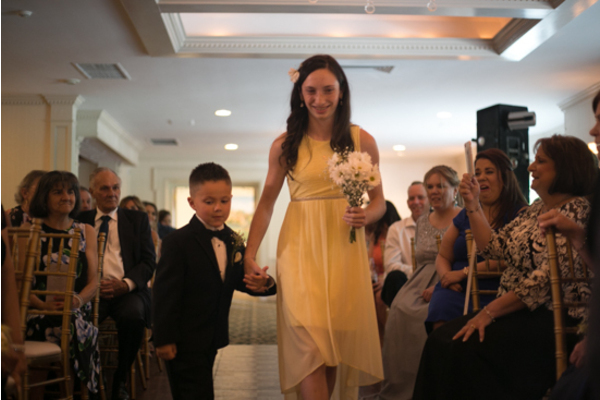 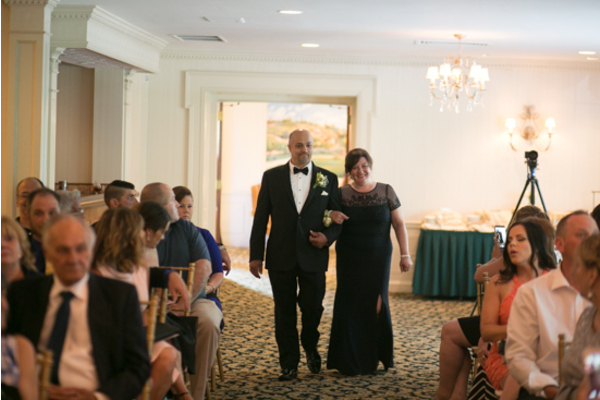 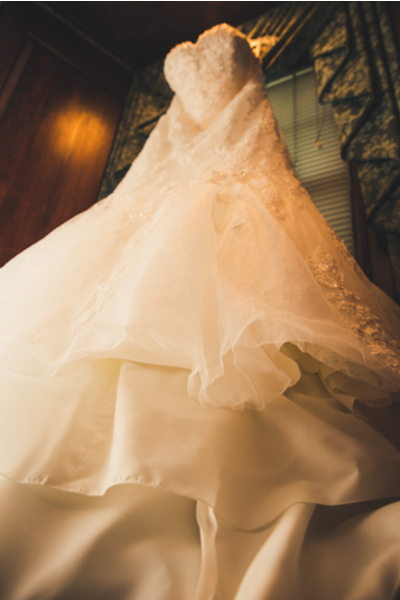 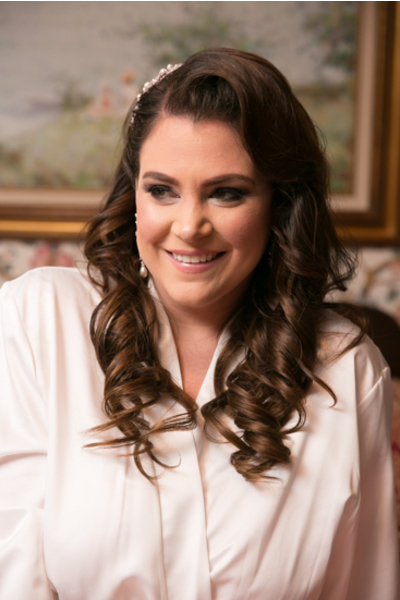 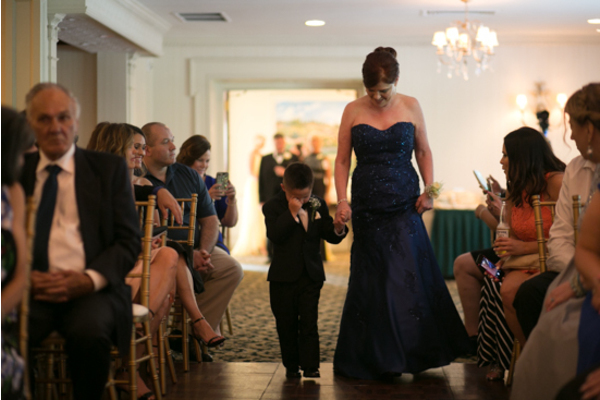 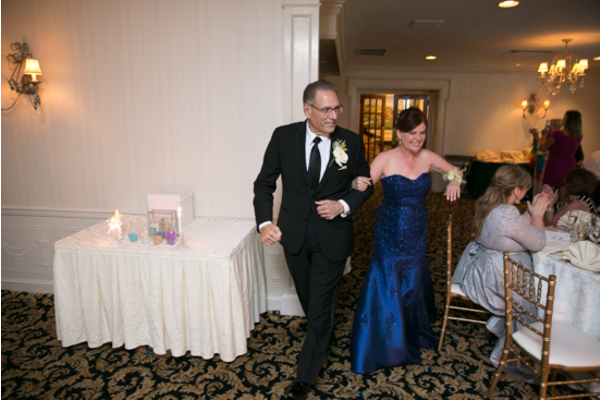 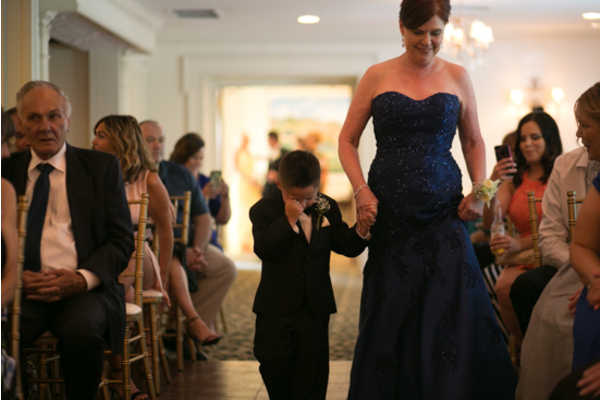 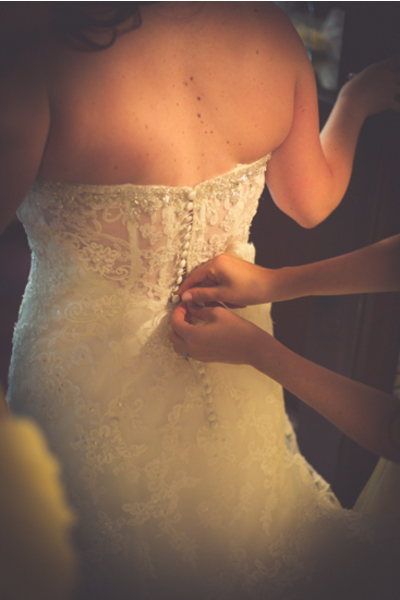 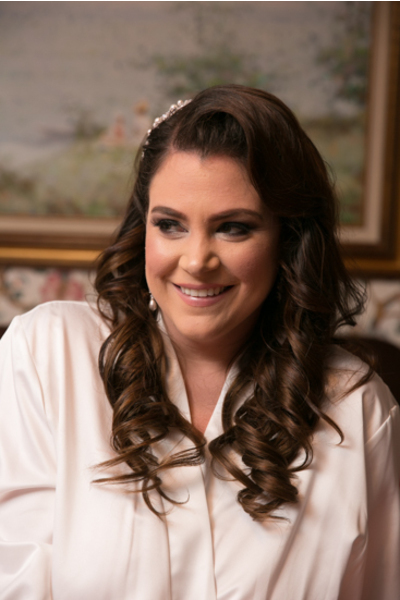 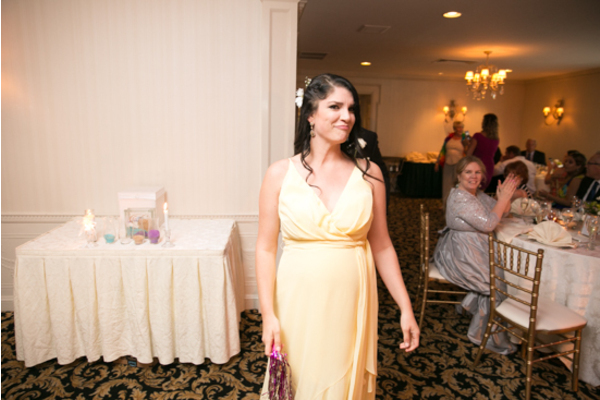 After slipping on her dress, Tricia made her way to greet her favorite little boy and then her father. 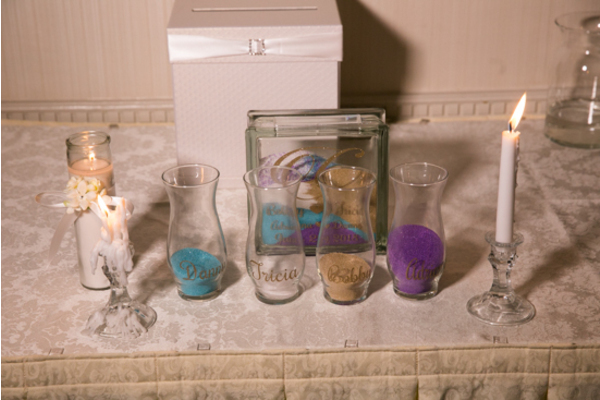 This father daughter first look was memorable and emotional. 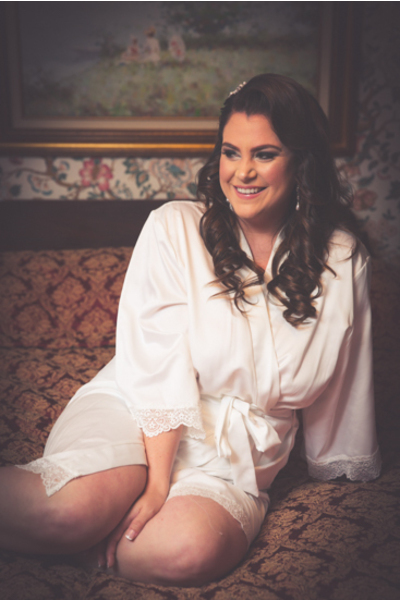 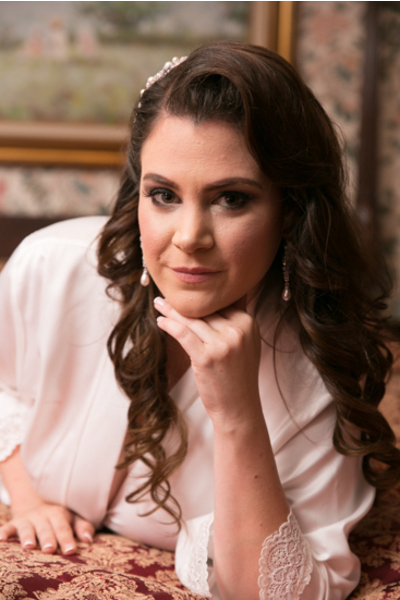 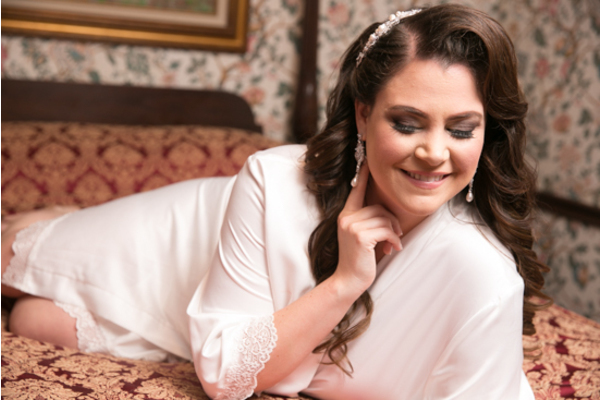 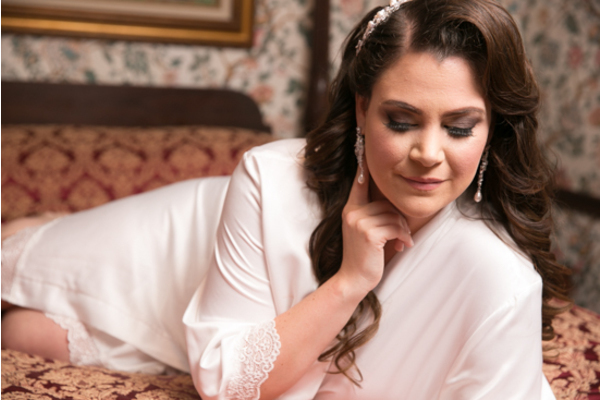 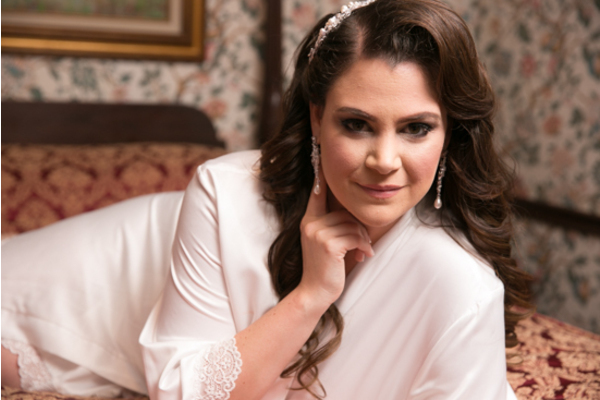 Daddy’s little girl was not so little anymore,she was now grown, gorgeous and a bride-to-be, ready to be given away to her future husband. 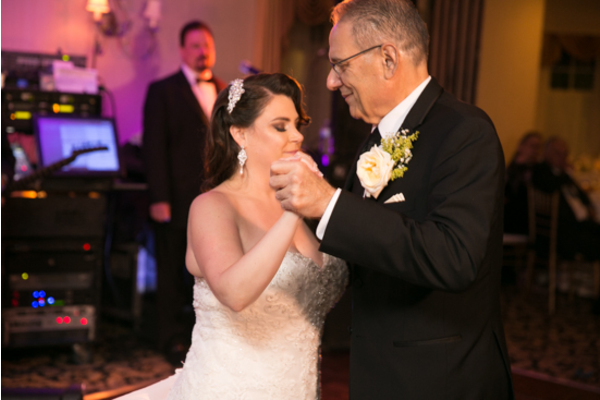 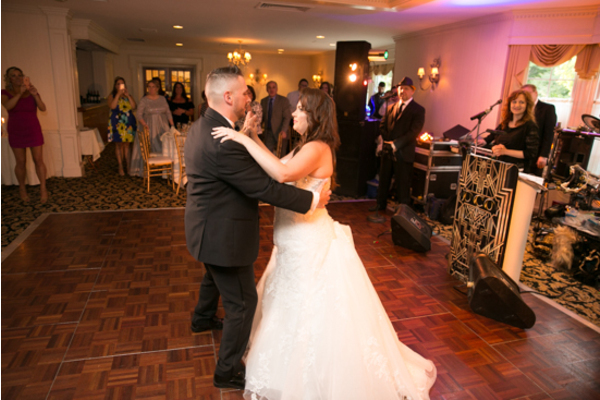 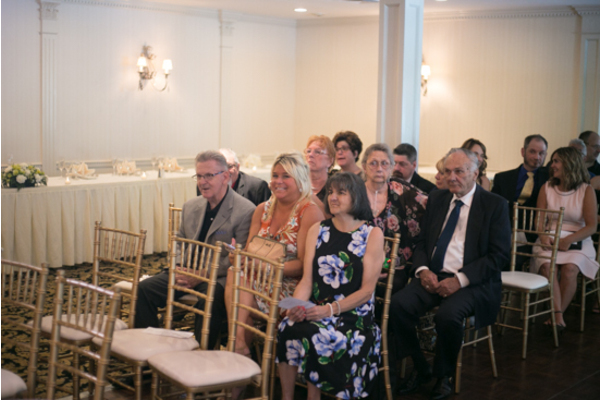 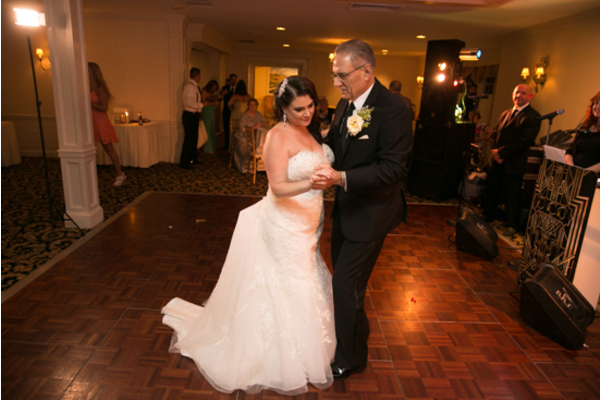 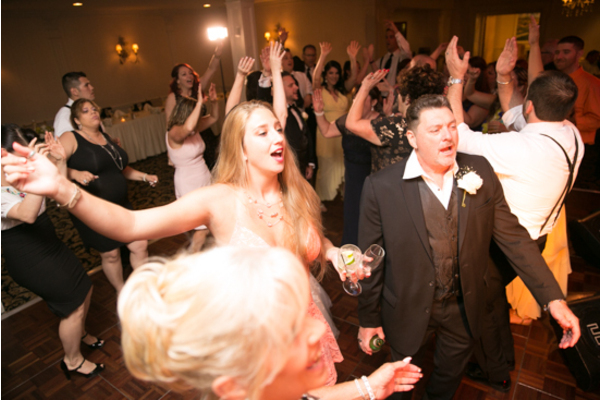 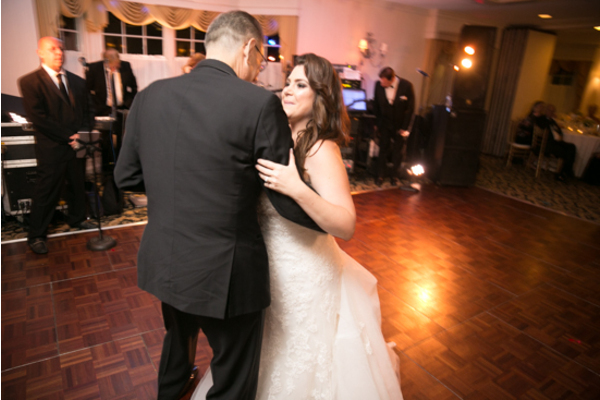 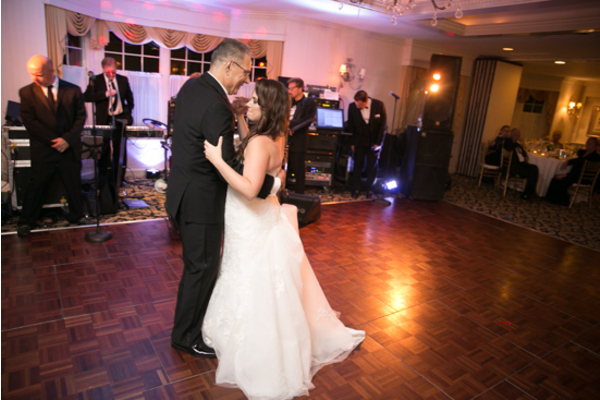 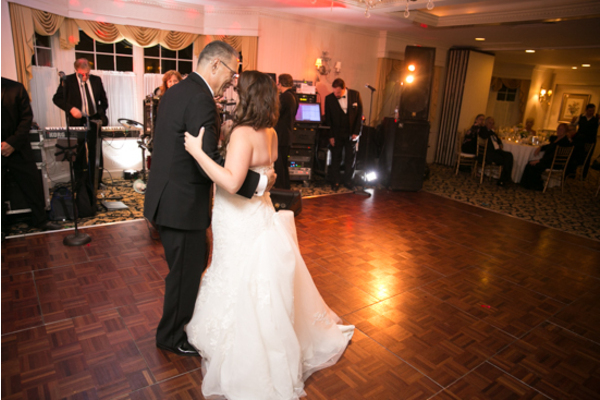 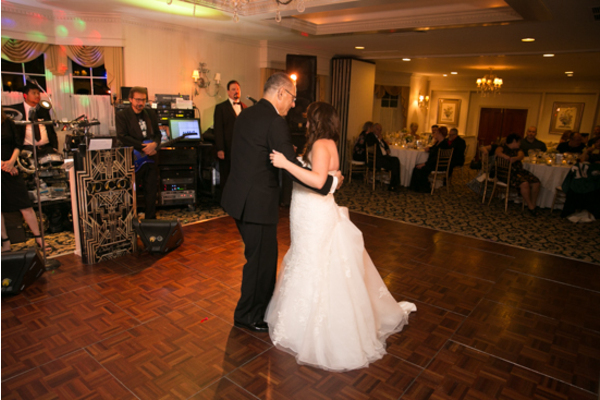 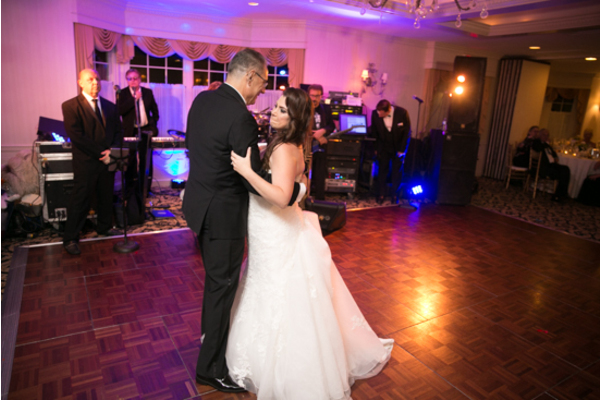 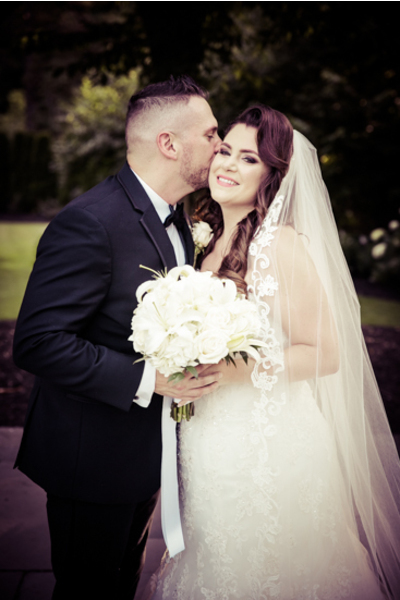 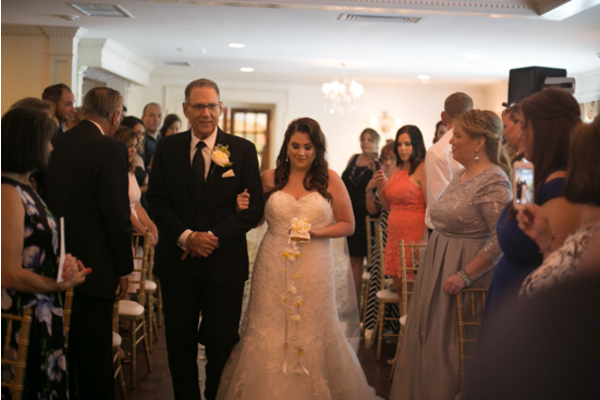 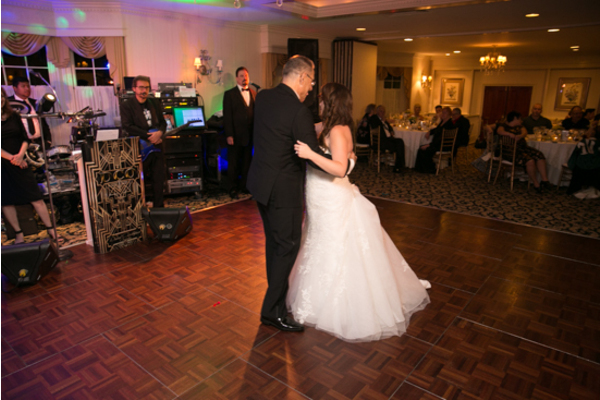 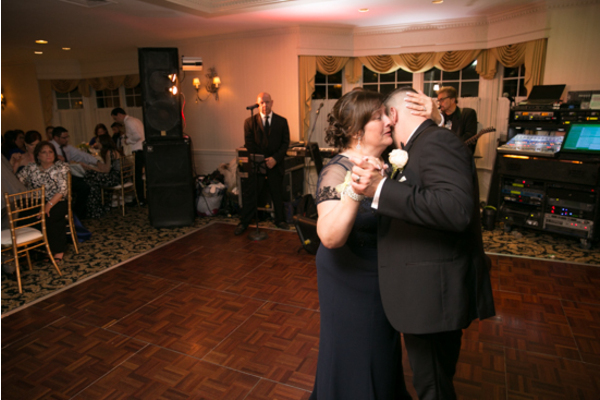 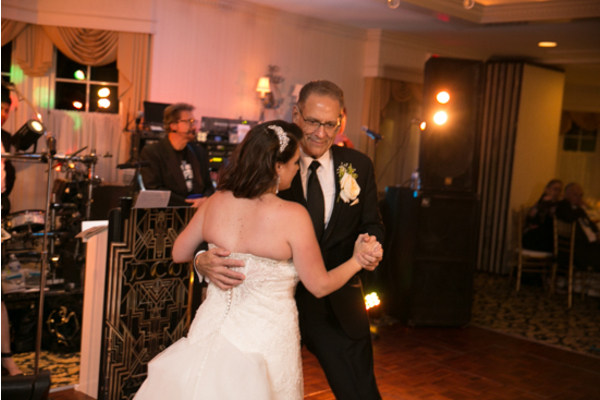 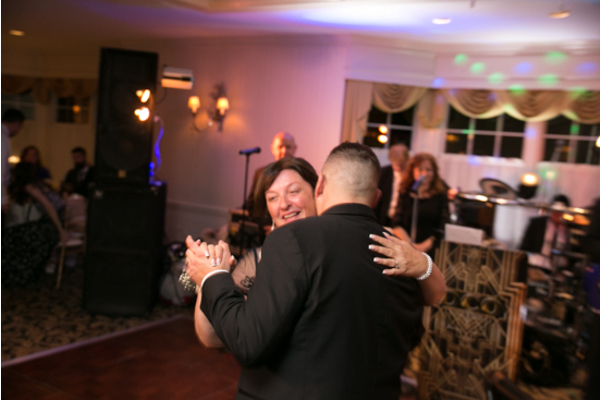 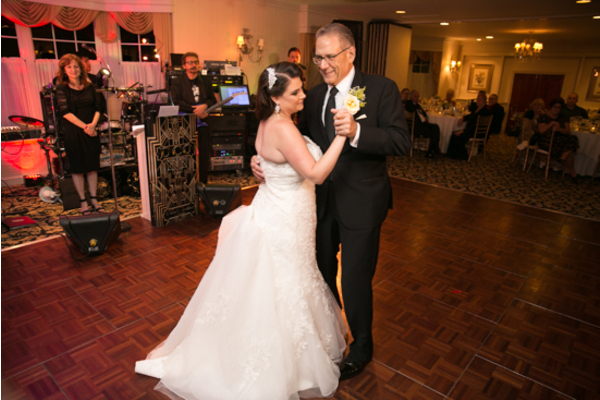 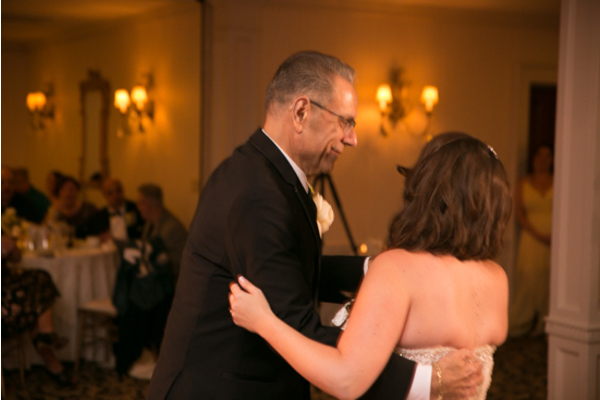 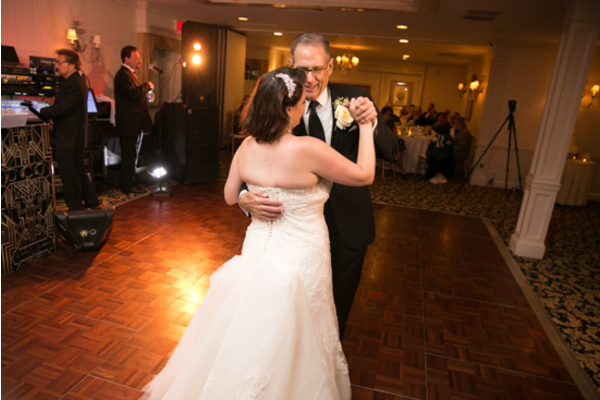 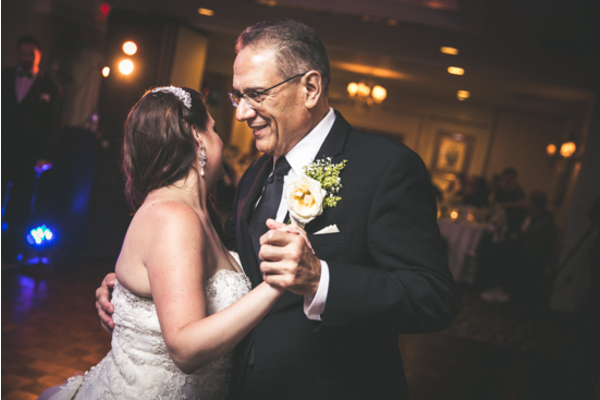 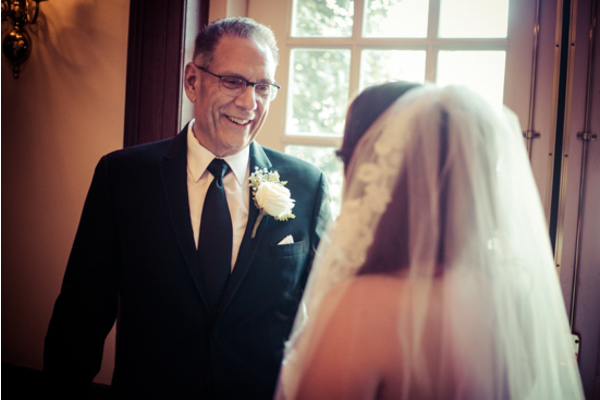 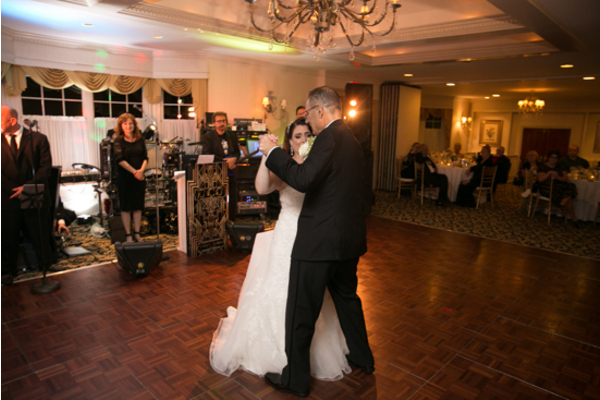 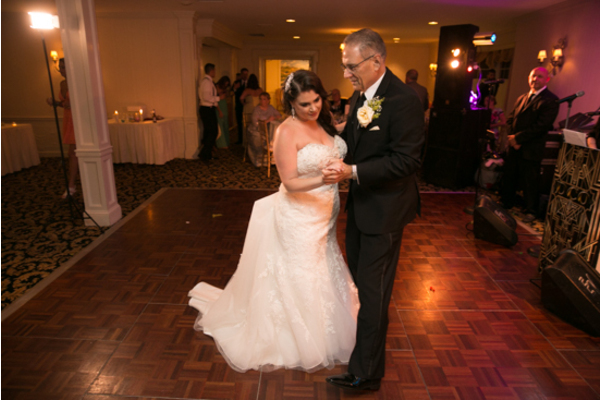 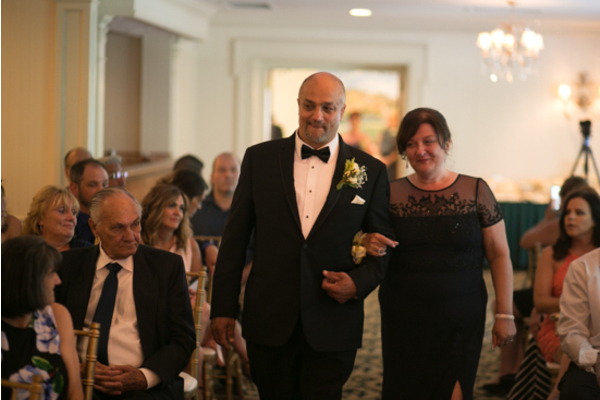 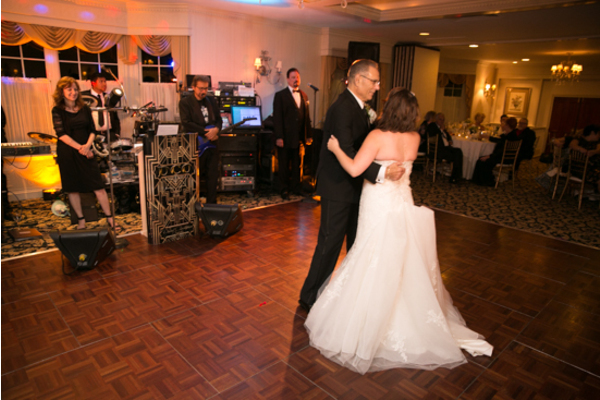 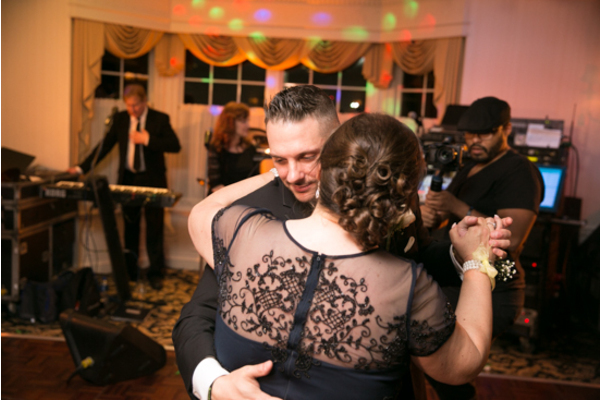 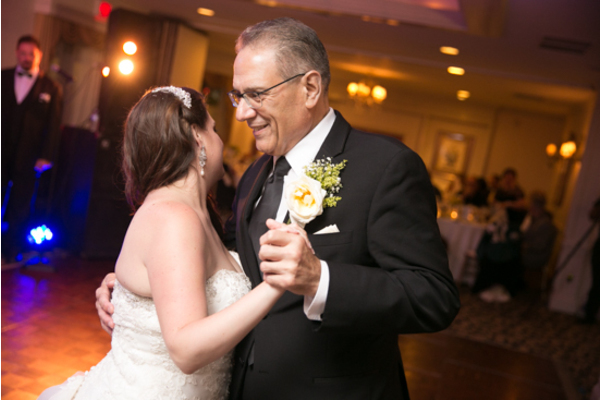 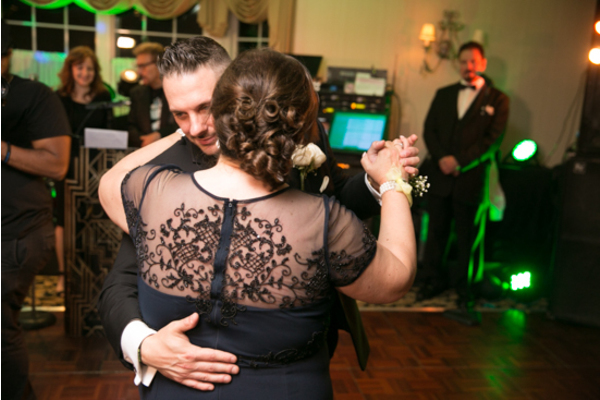 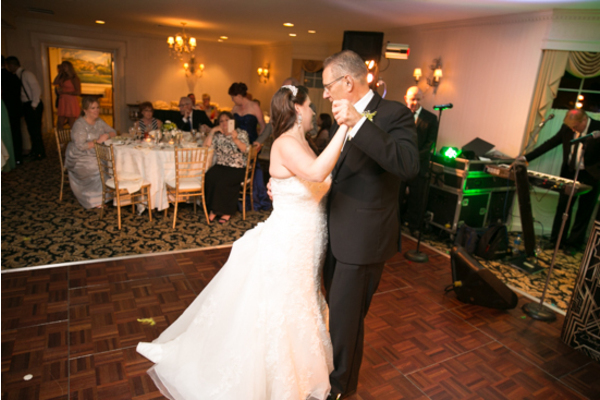 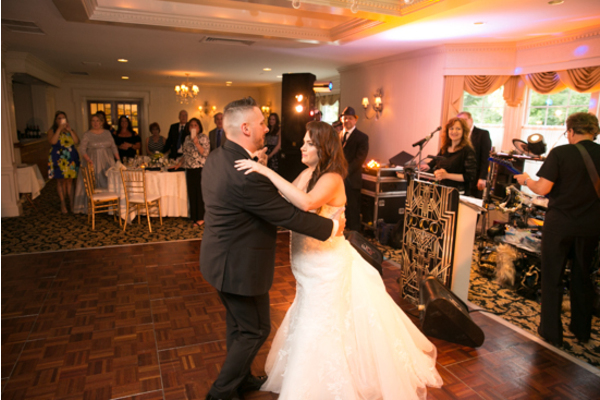 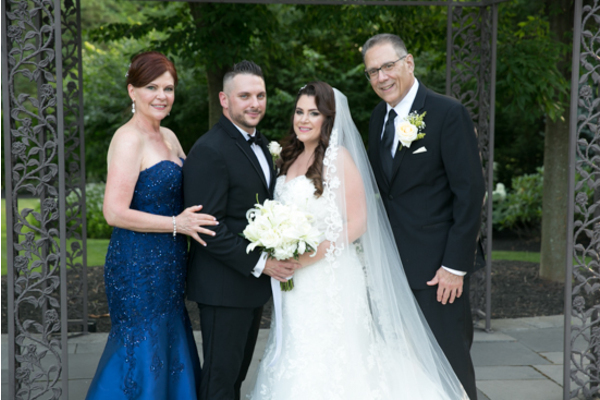 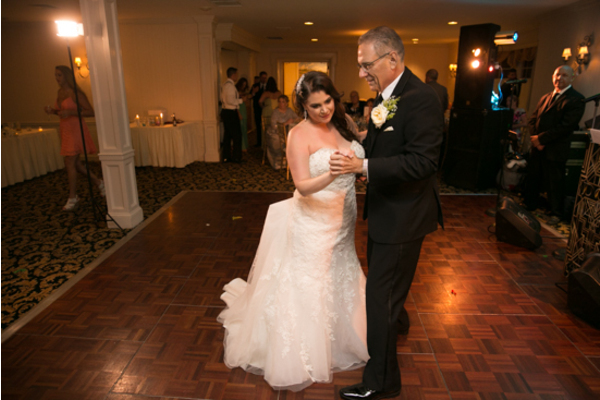 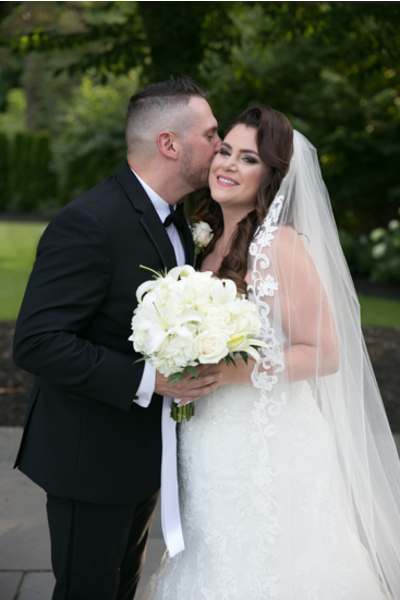 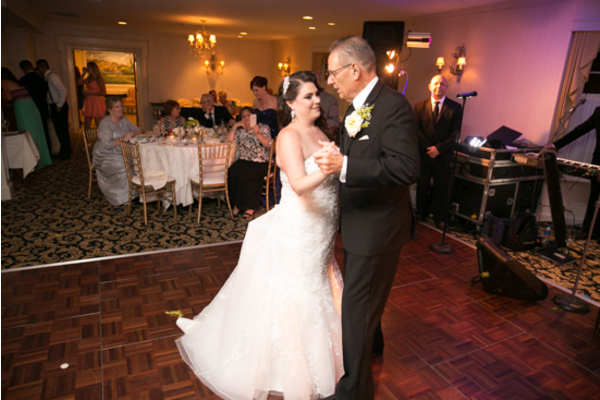 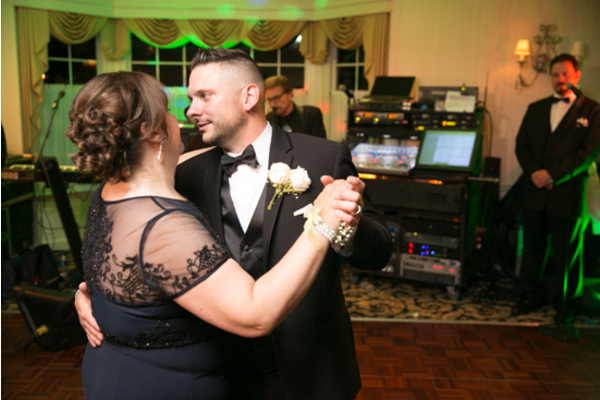 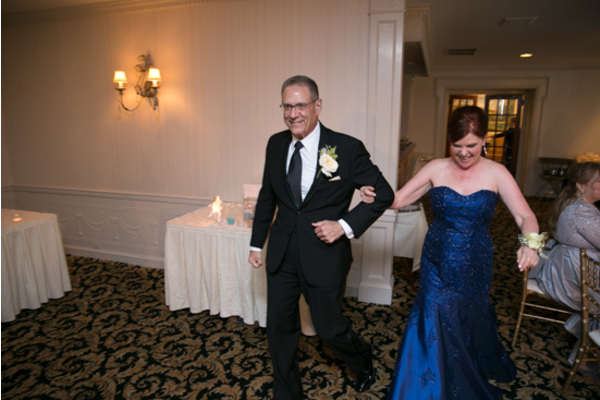 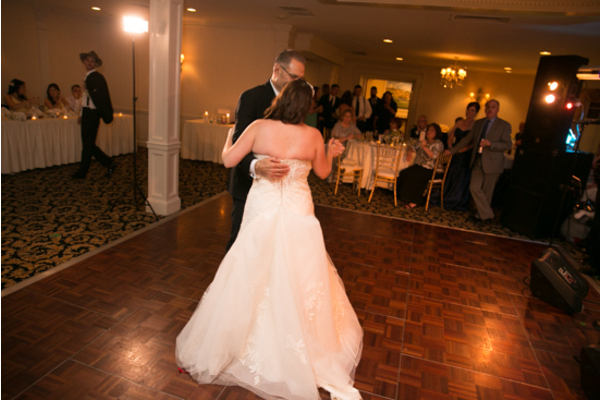 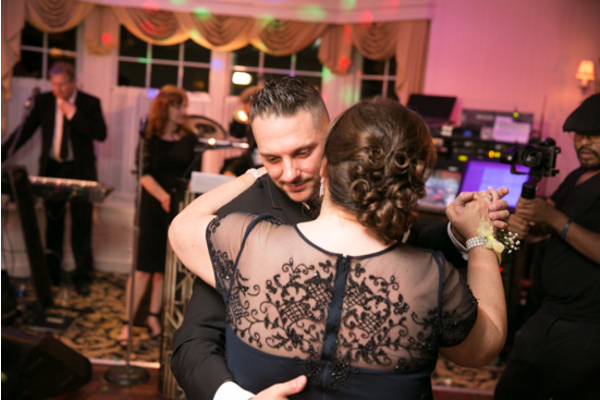 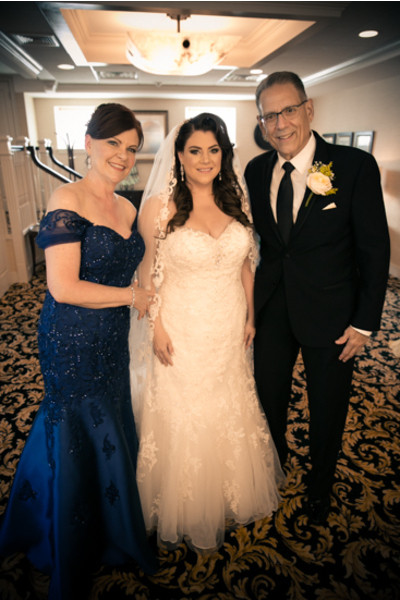 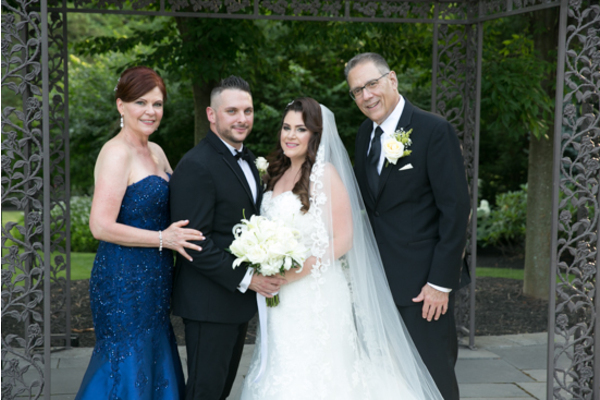 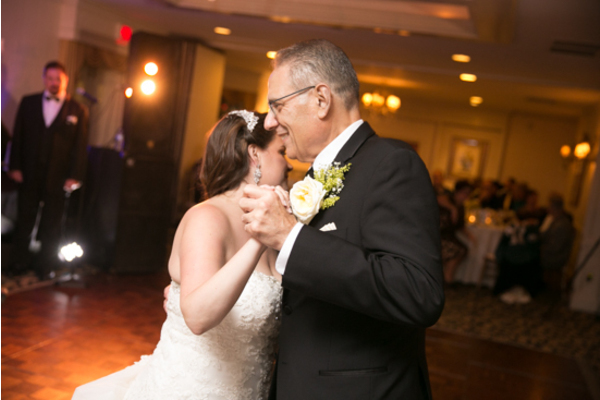 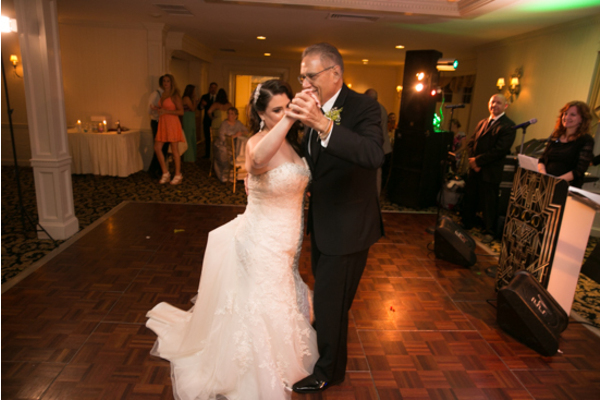 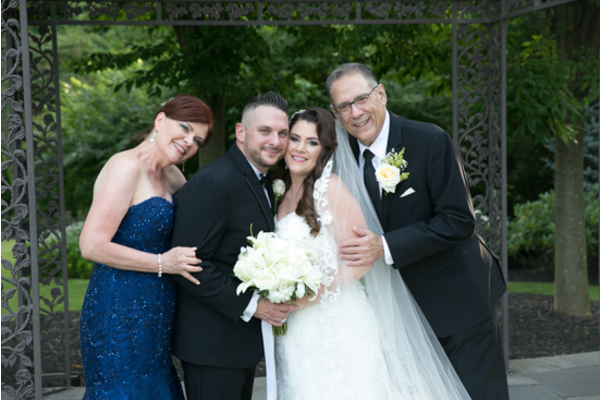 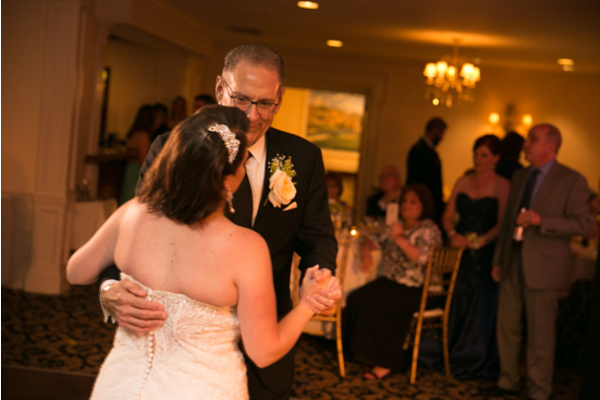 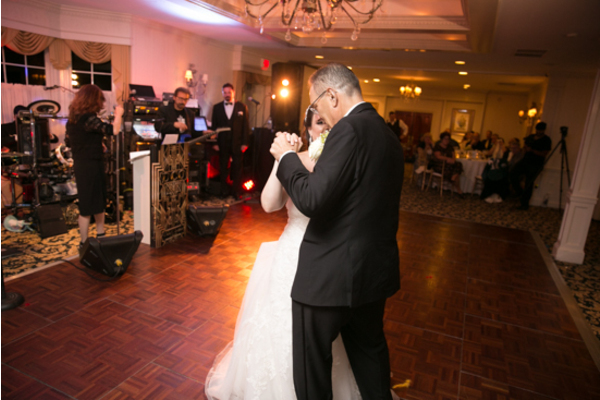 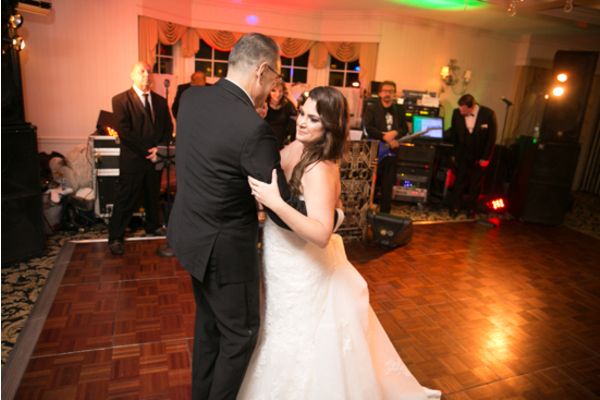 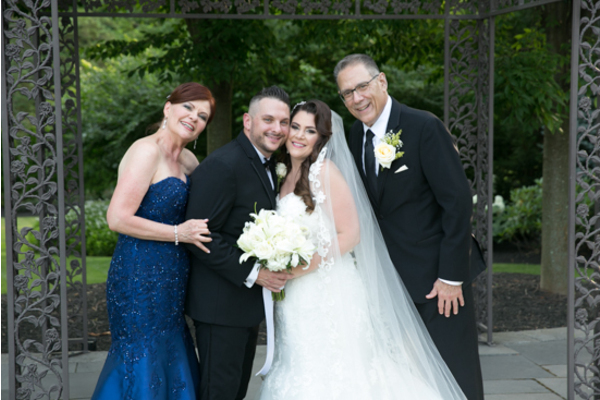 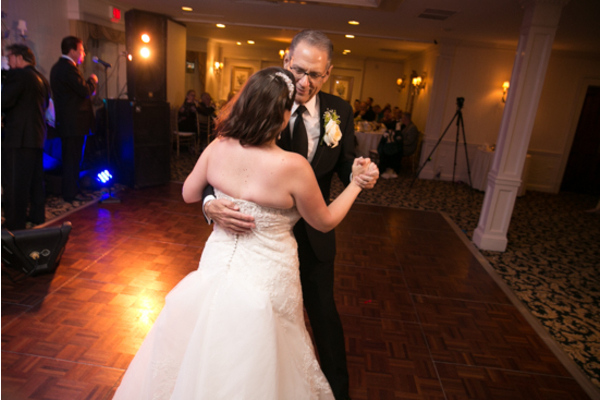 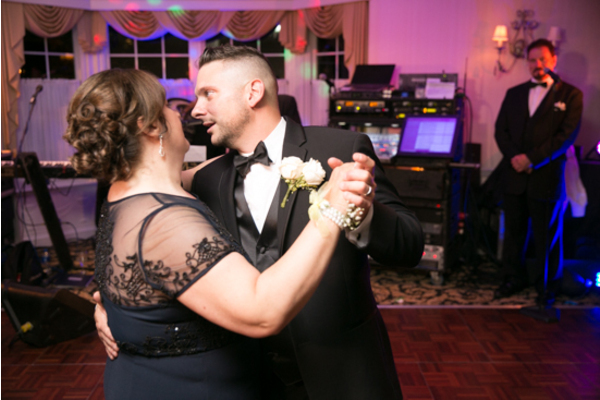 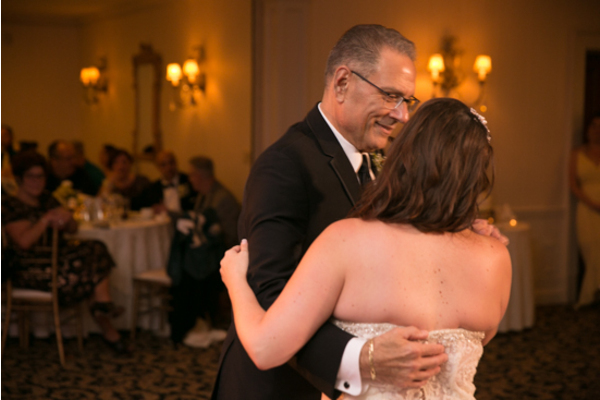 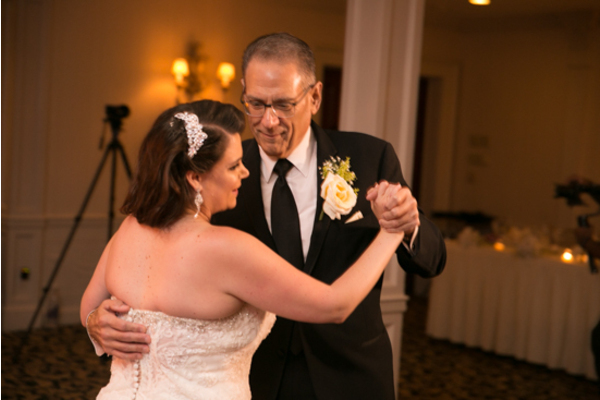 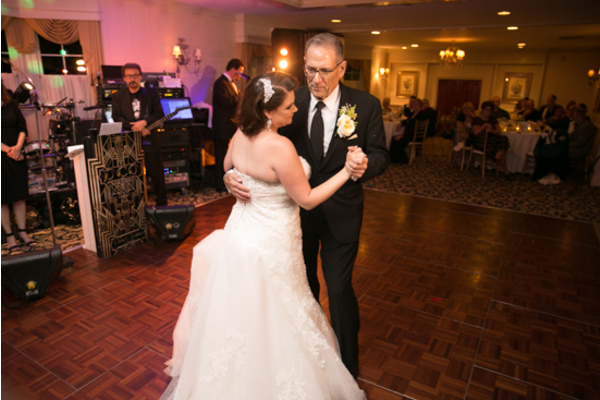 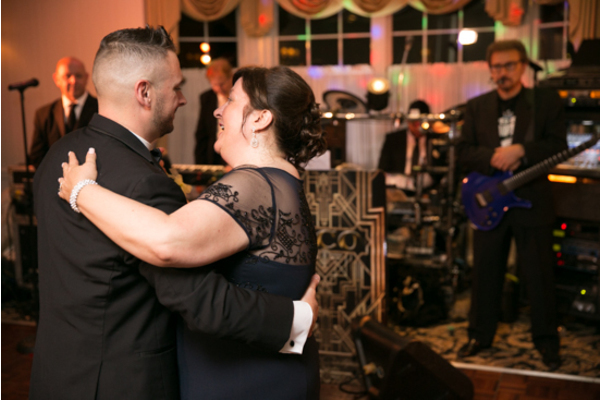 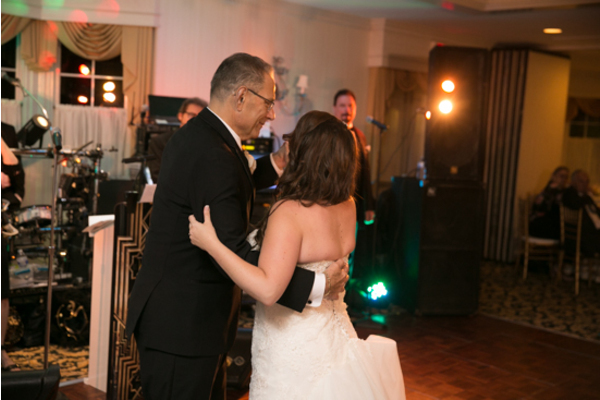 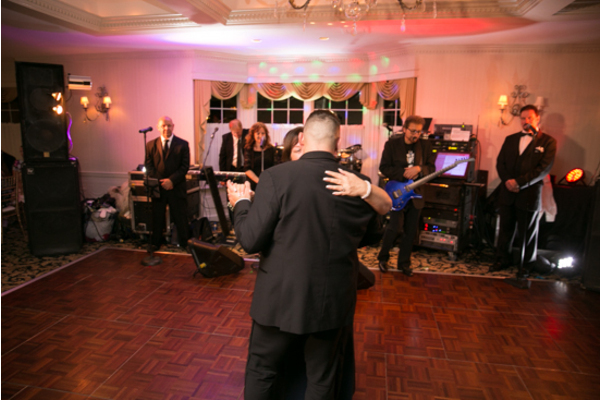 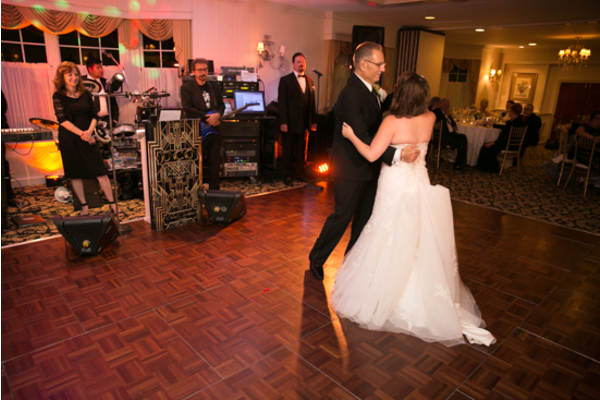 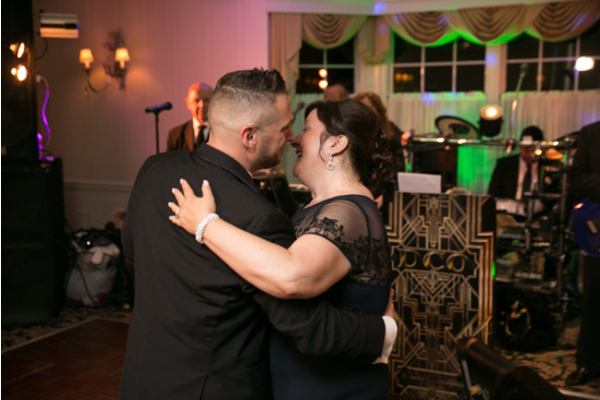 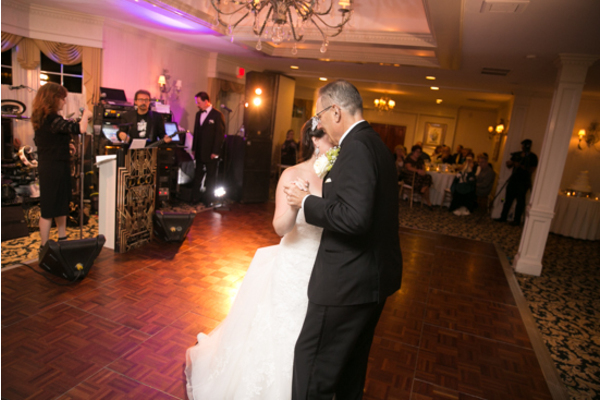 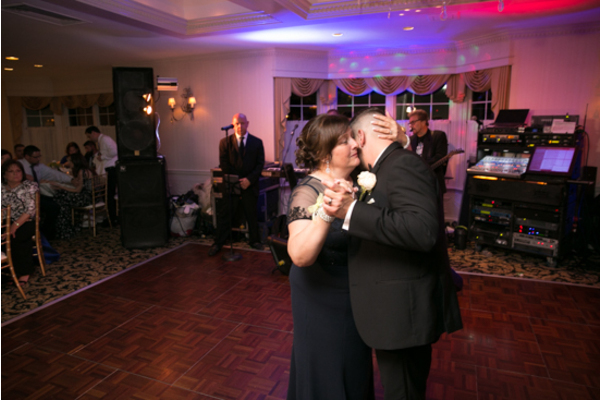 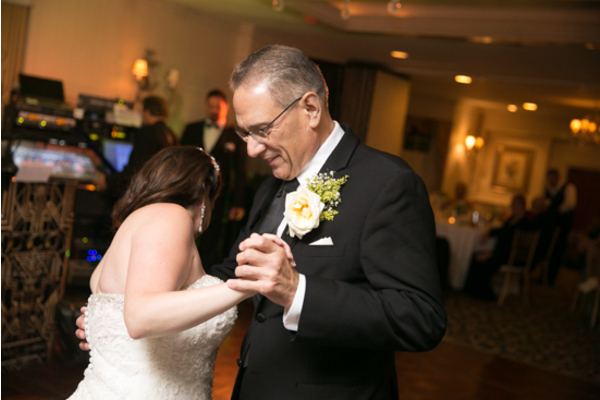 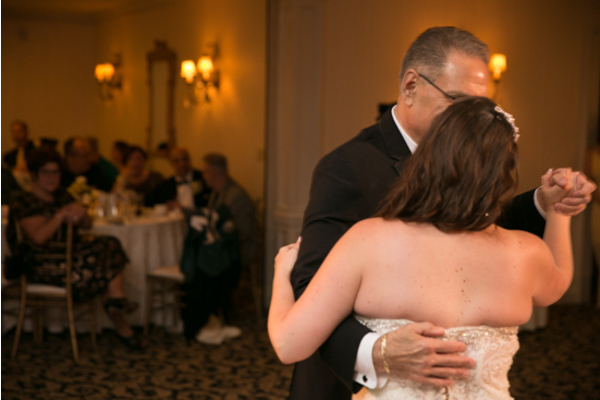 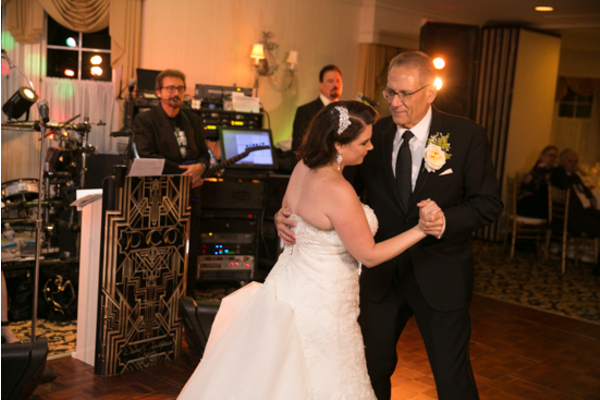 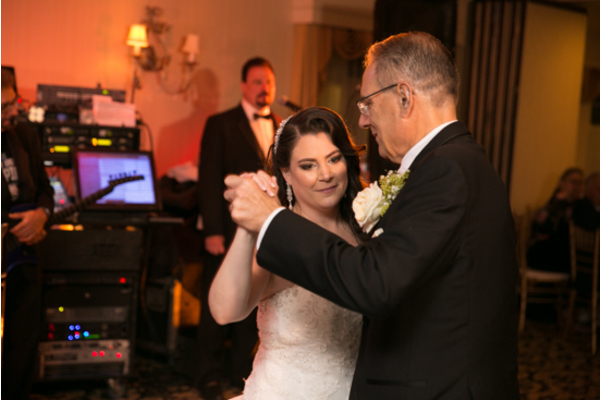 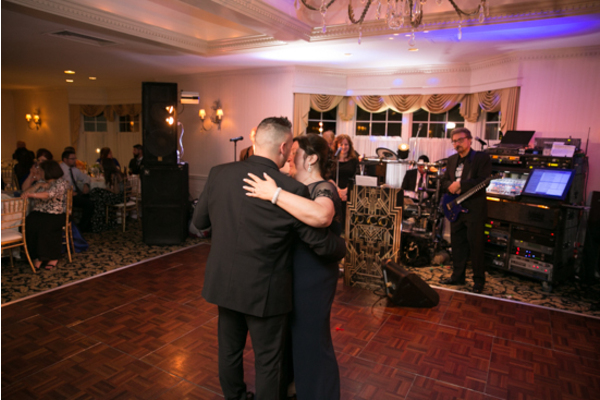 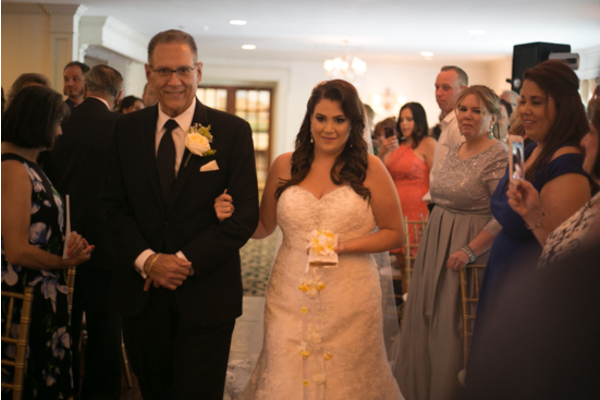 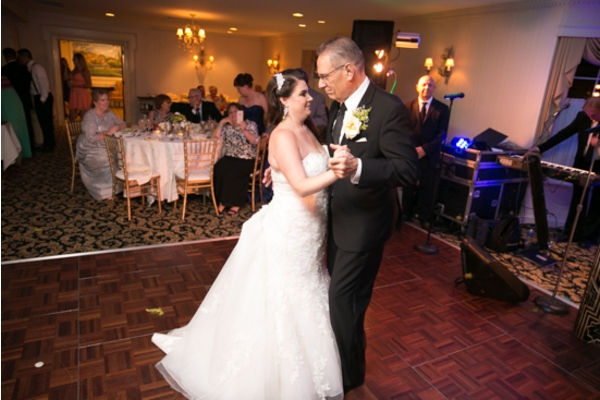 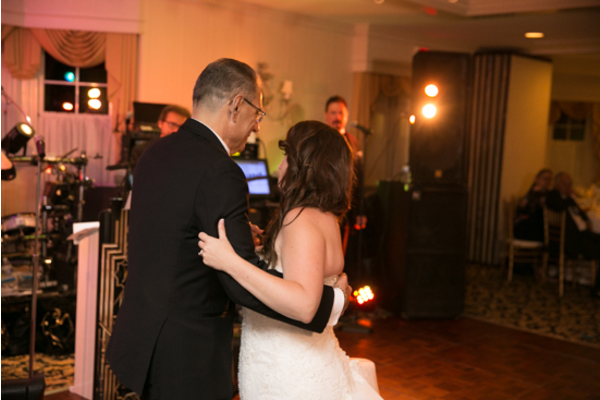 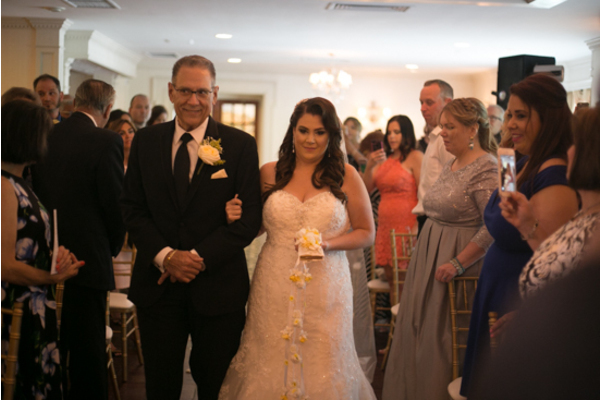 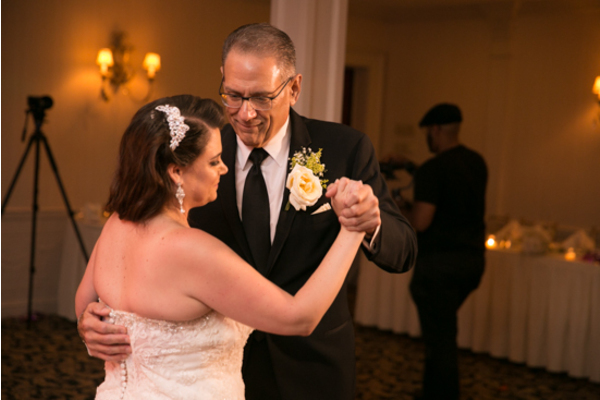 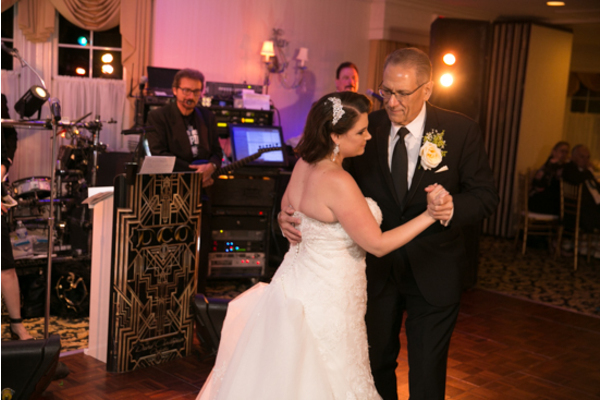 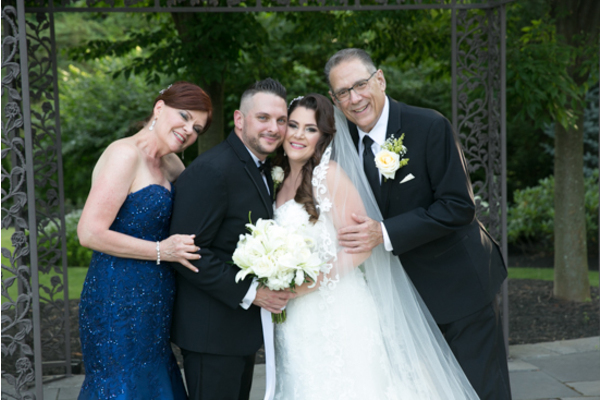 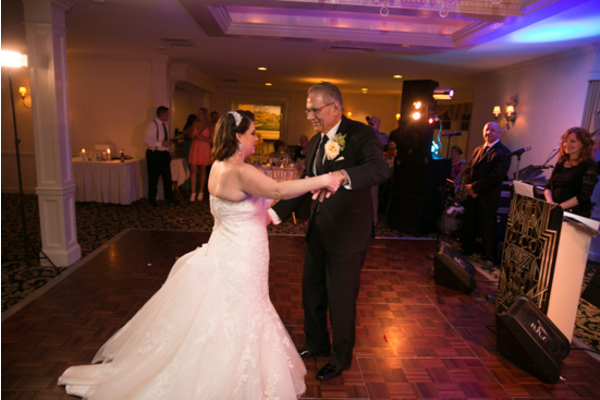 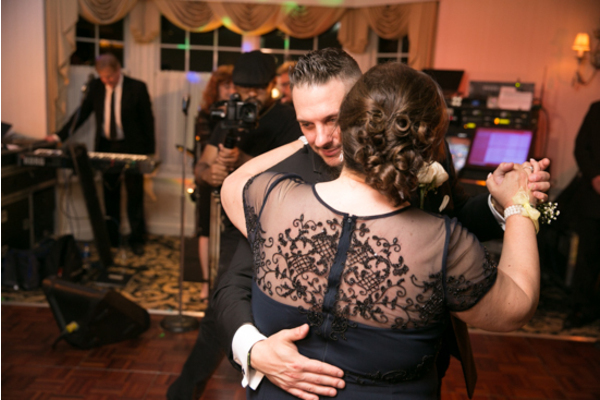 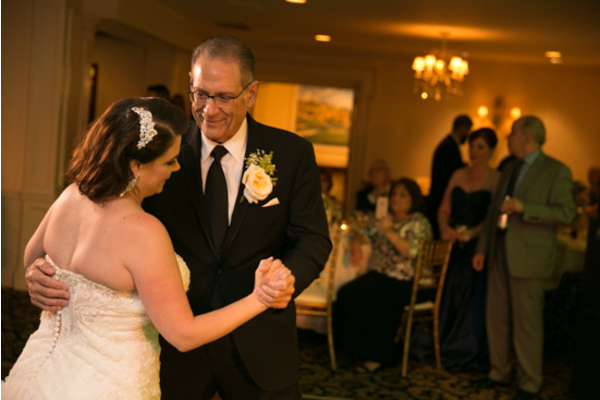 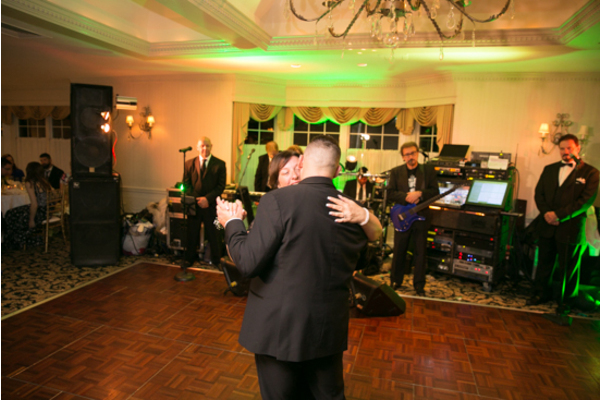 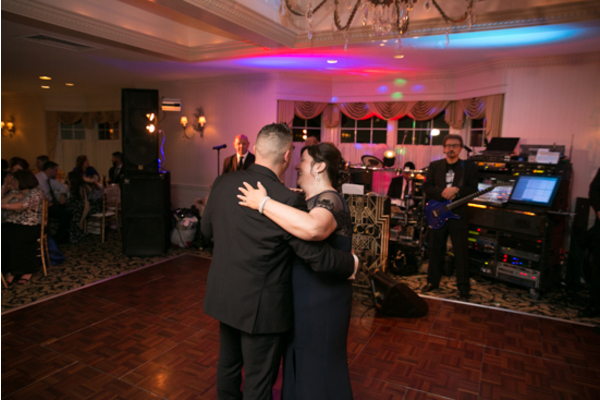 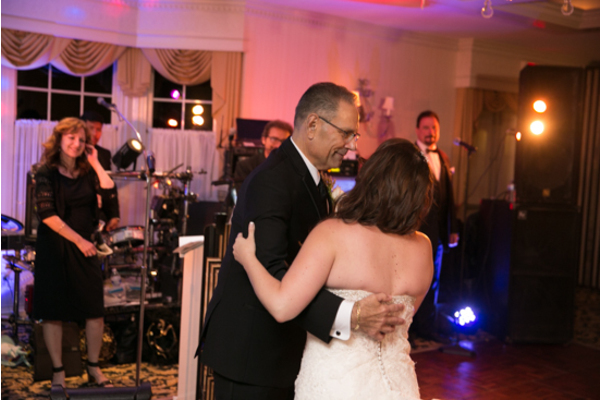 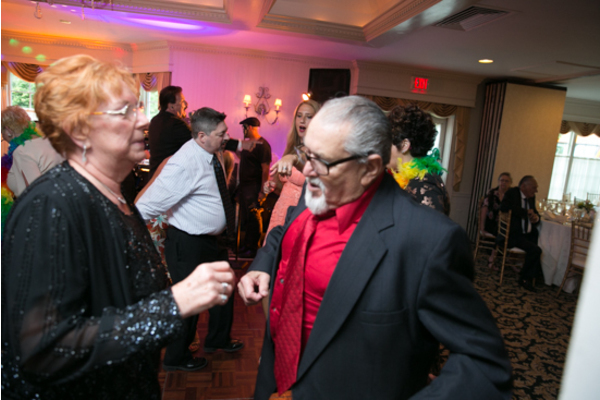 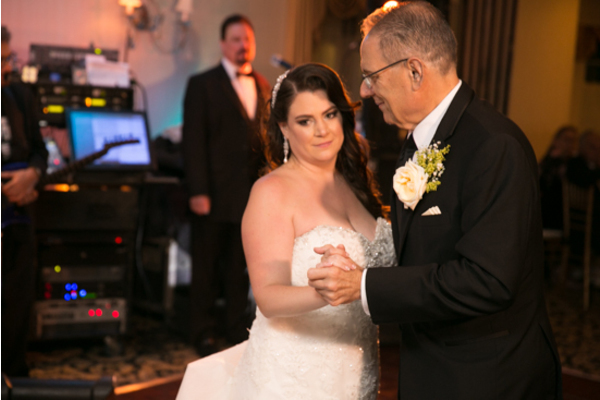 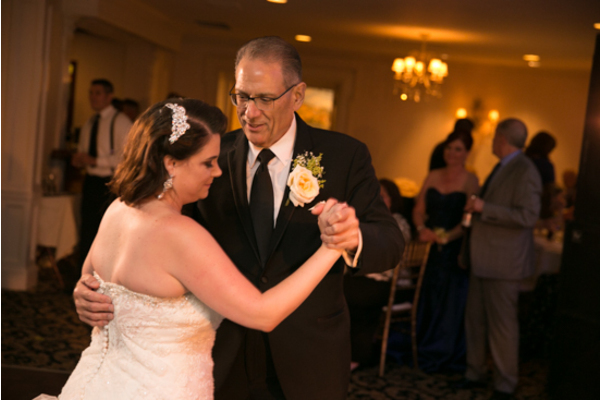 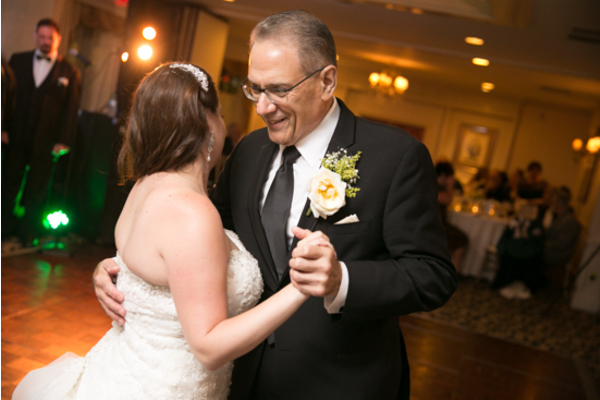 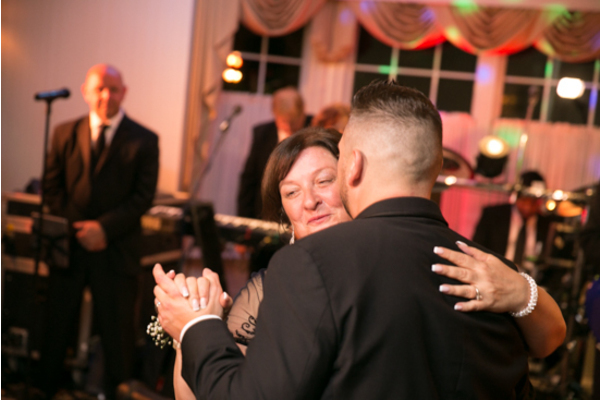 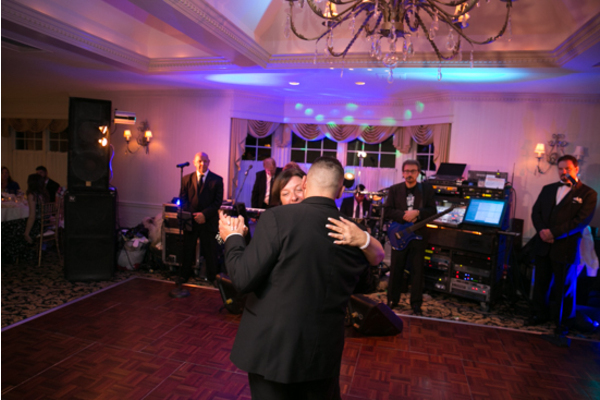 Our NJ Wedding Photographer captured Tricia and her father as they hugged and shared a special moment with each other making sure not to . 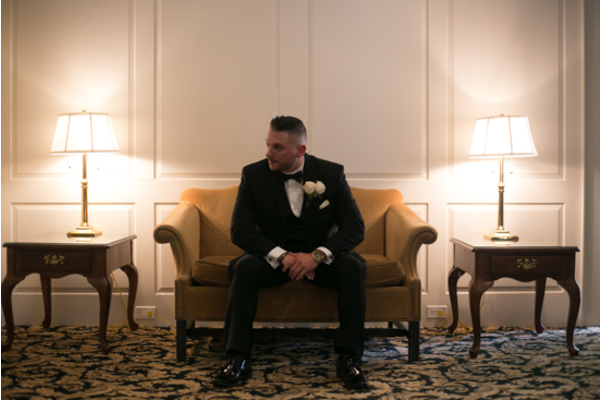 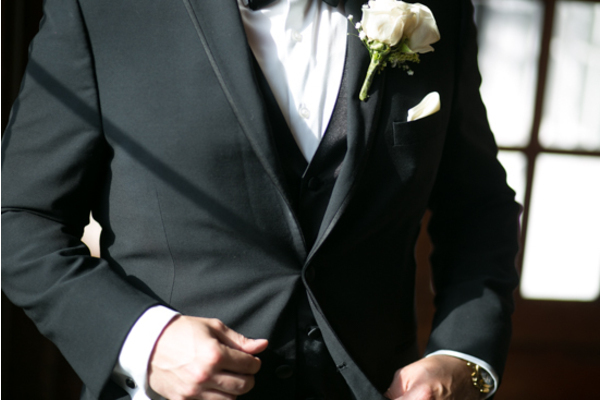 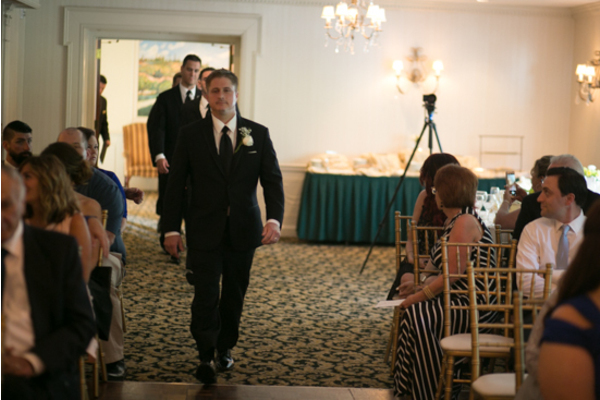 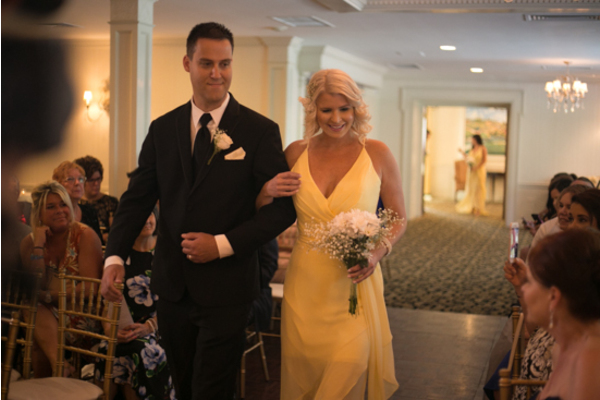 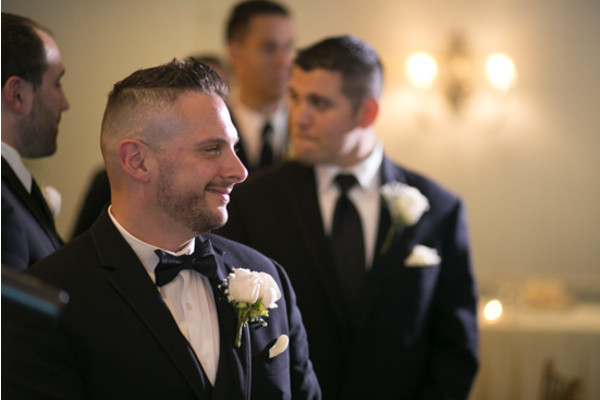 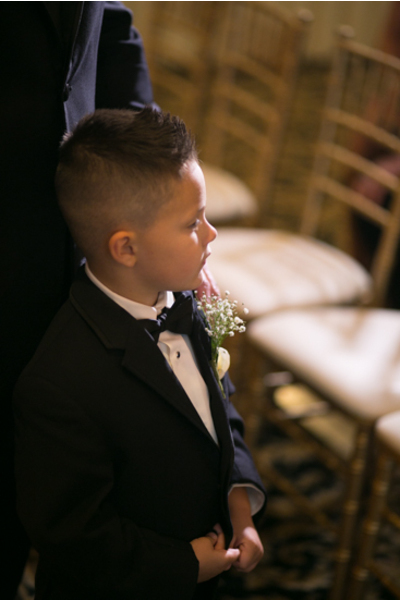 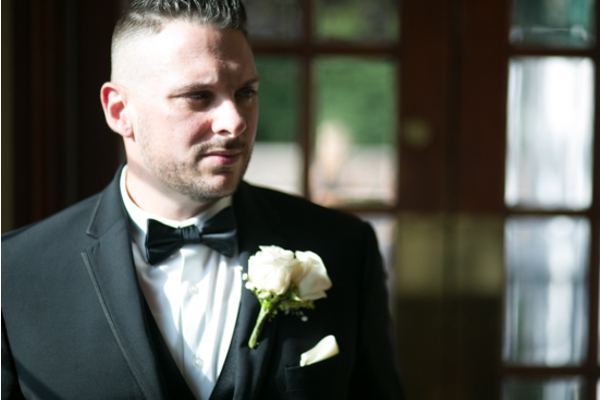 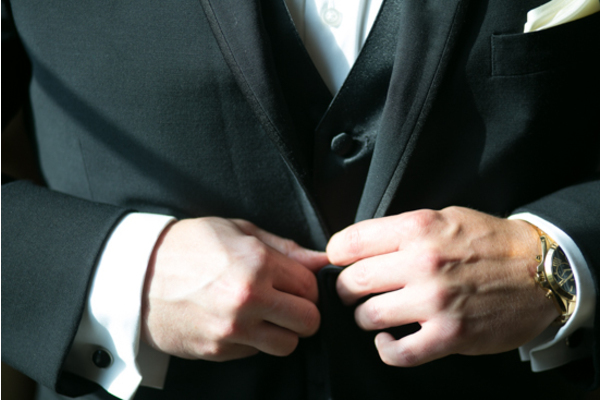 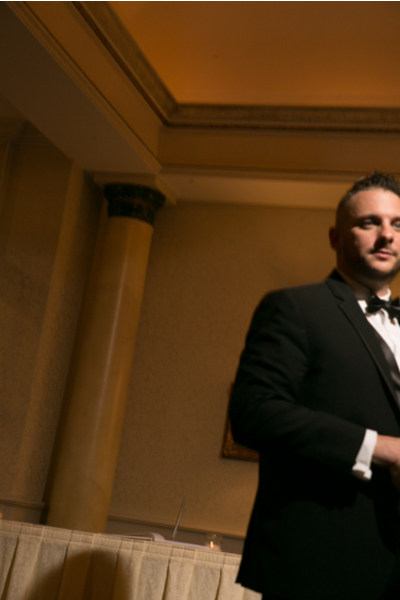 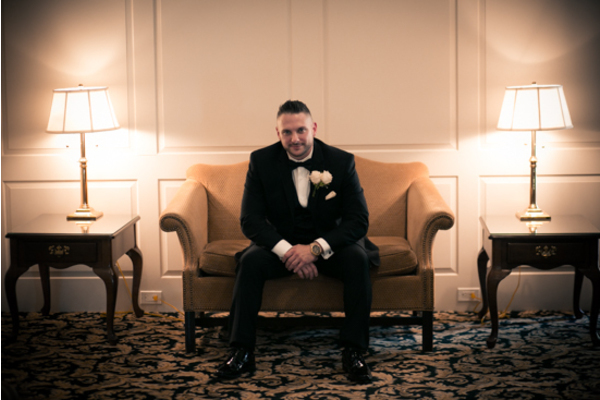 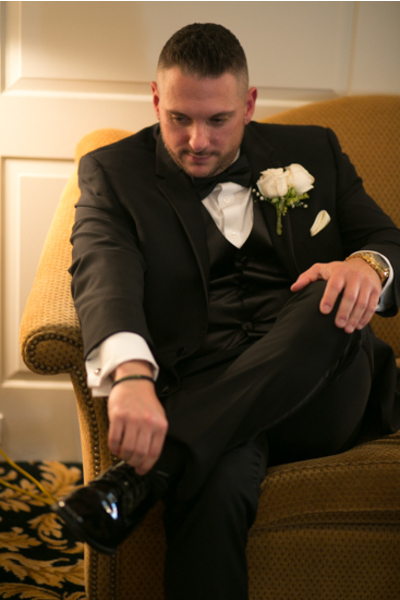 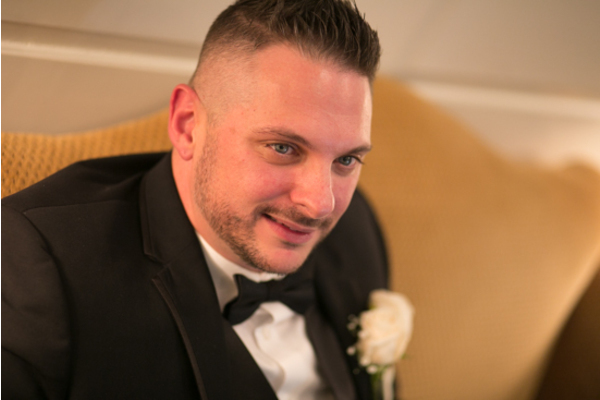 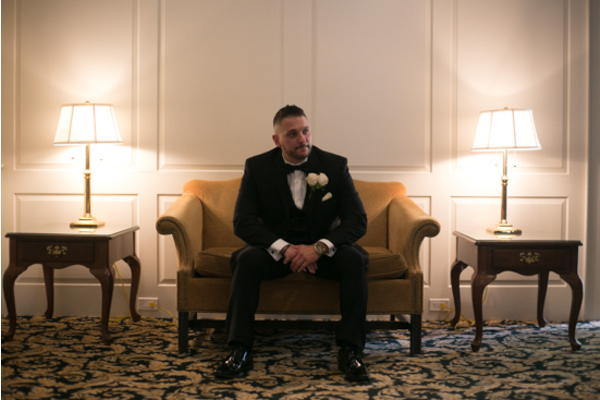 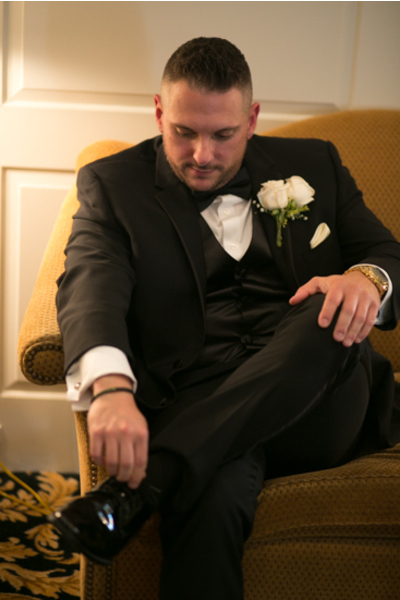 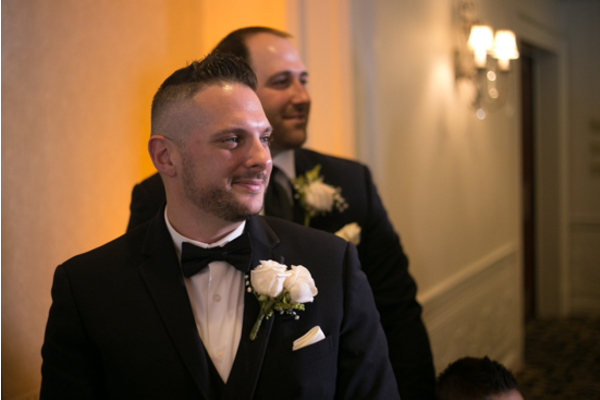 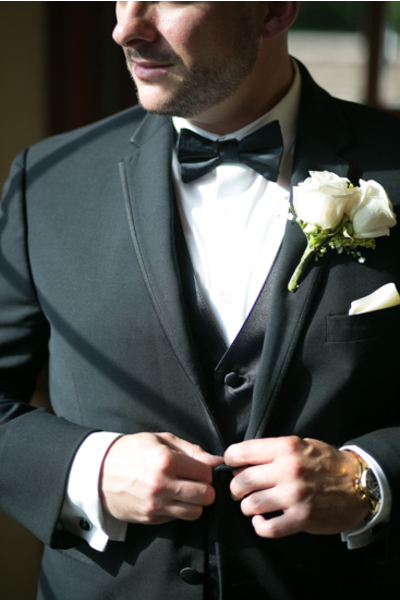 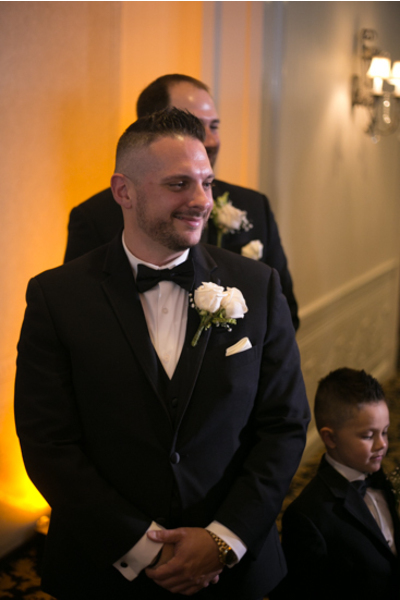 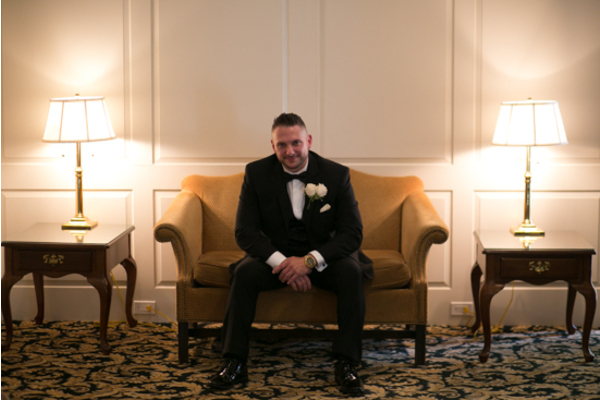 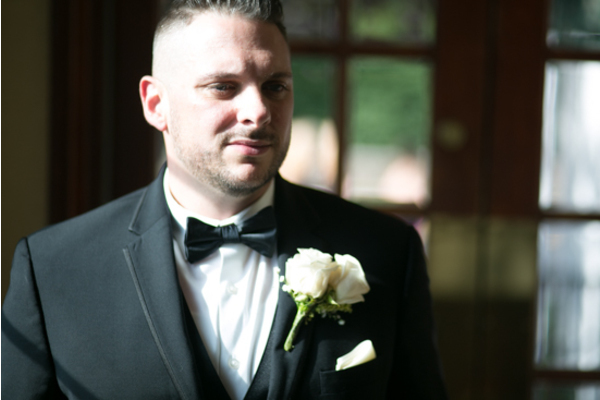 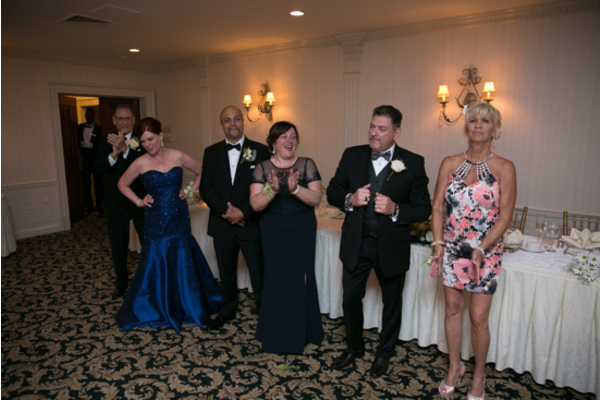 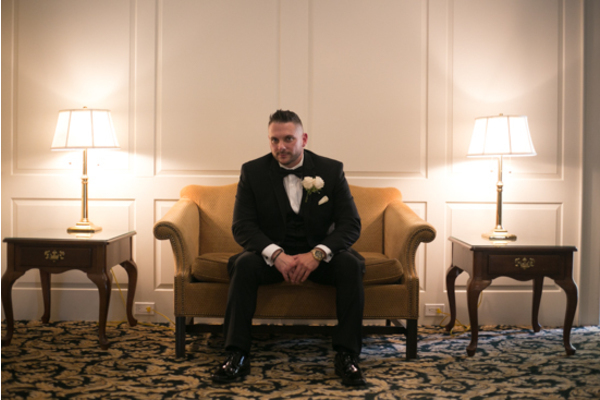 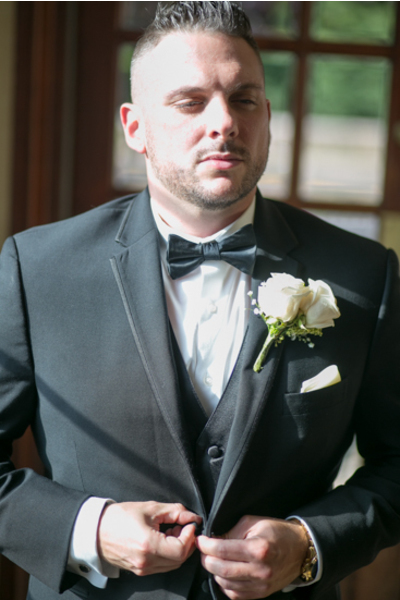 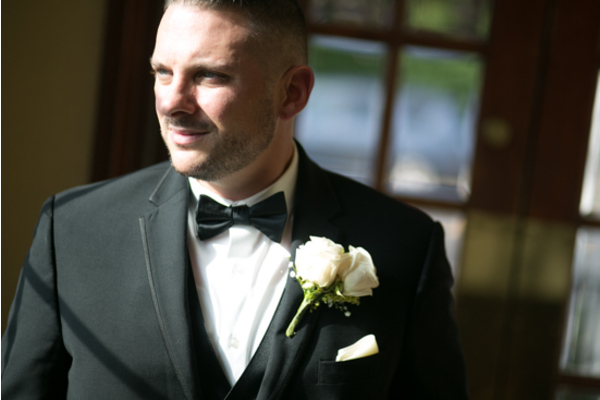 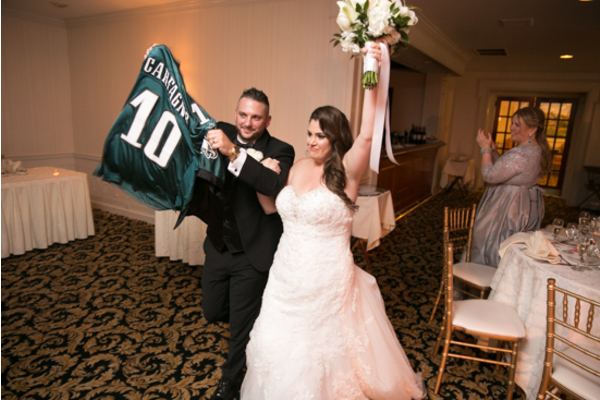 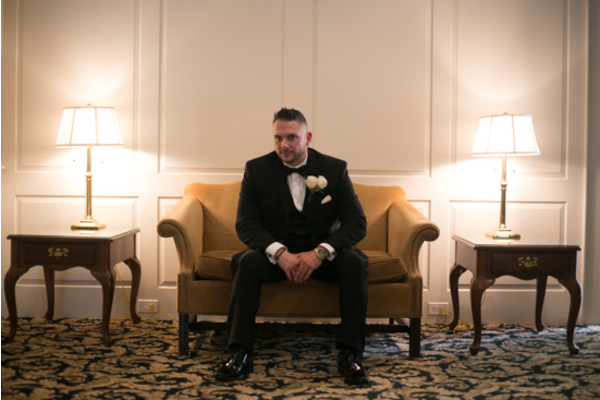 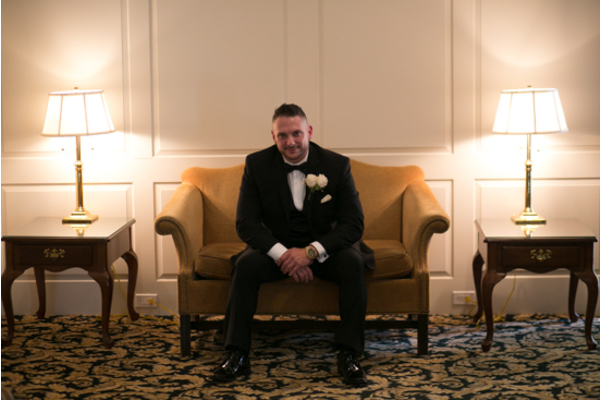 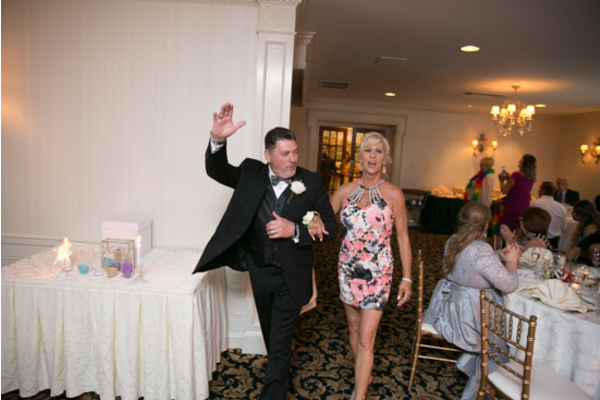 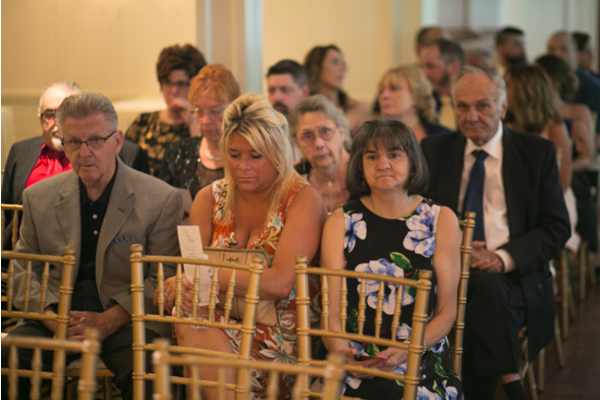 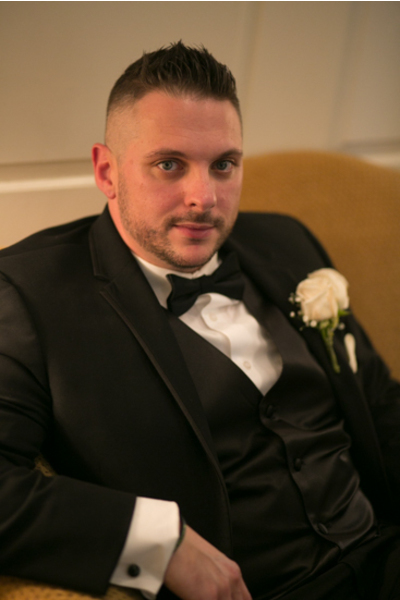 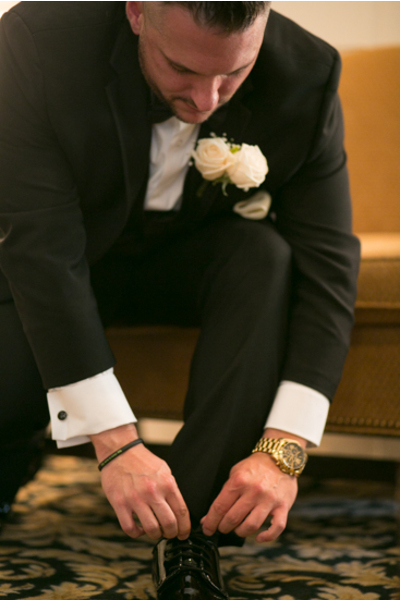 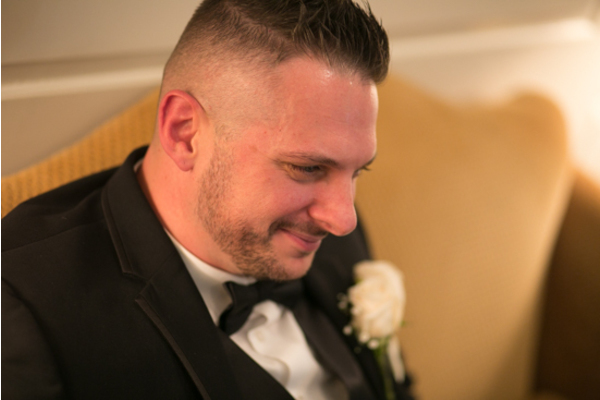 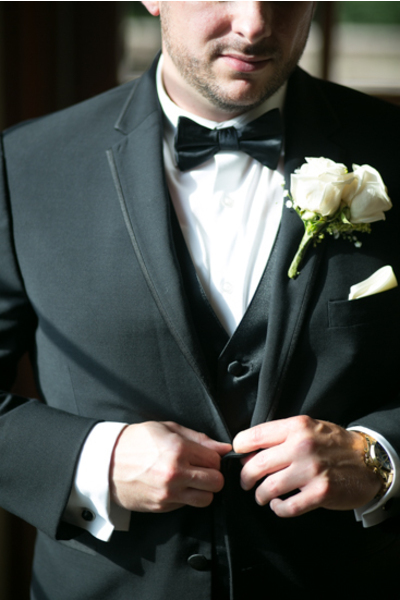 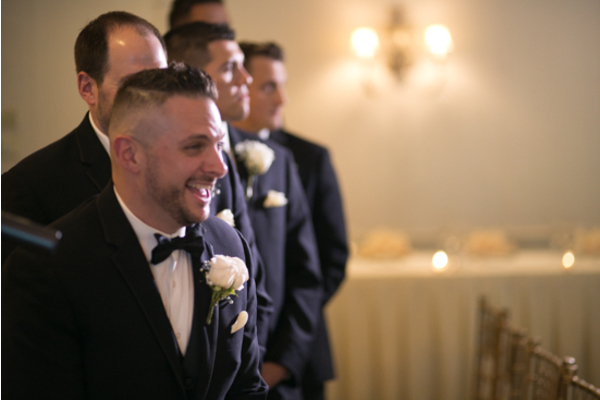 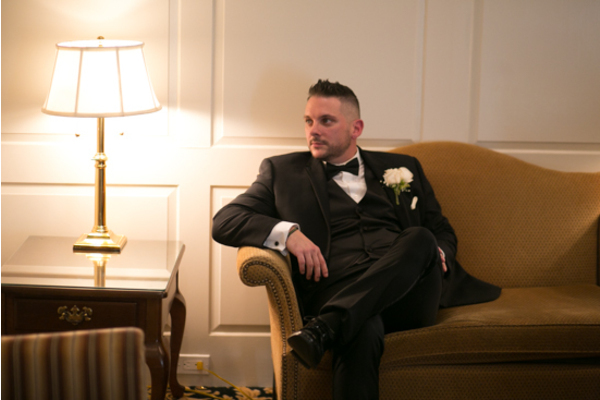 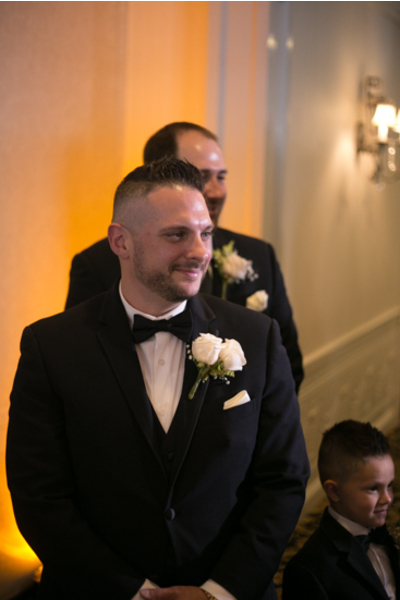 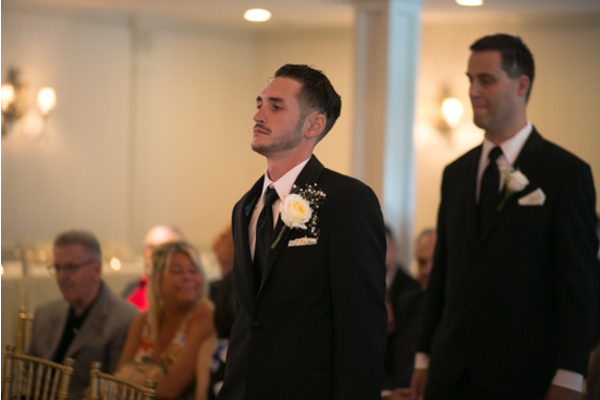 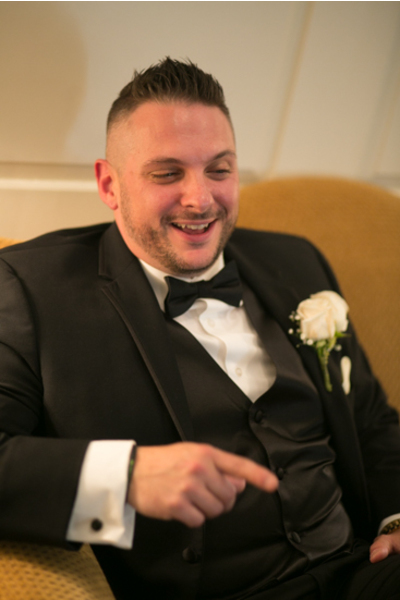 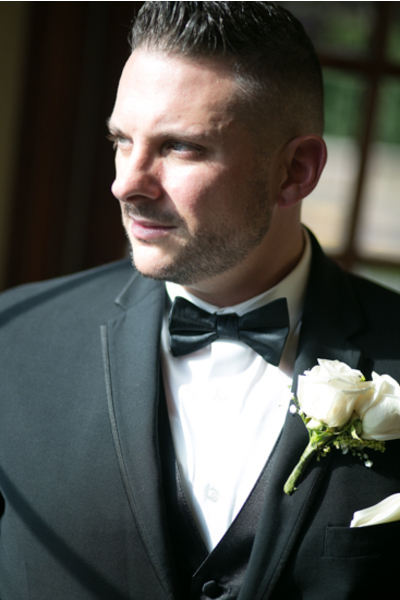 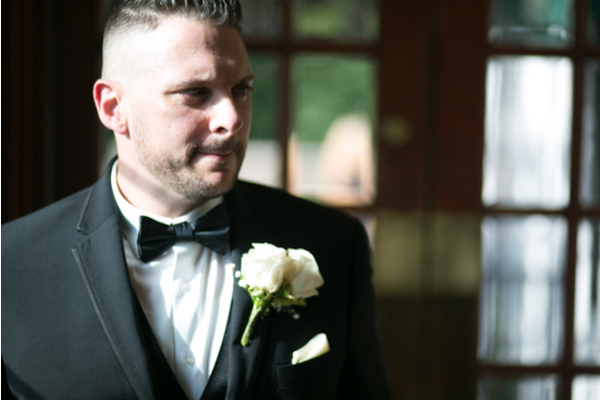 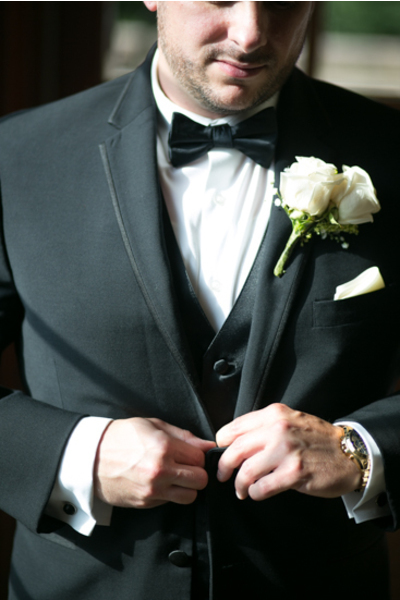 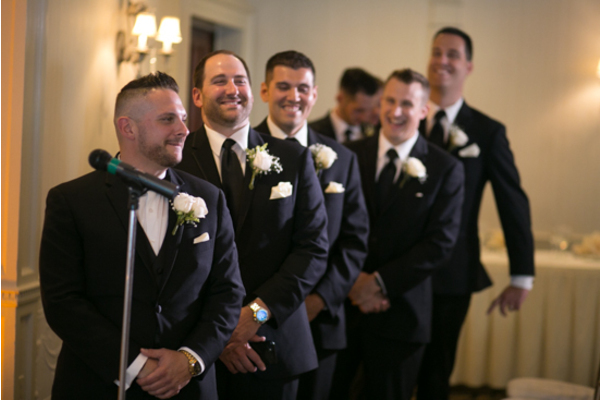 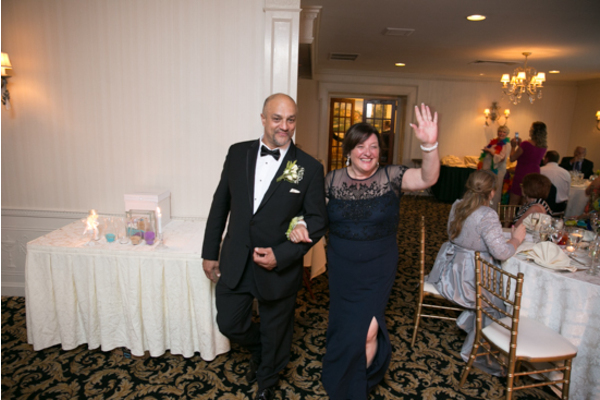 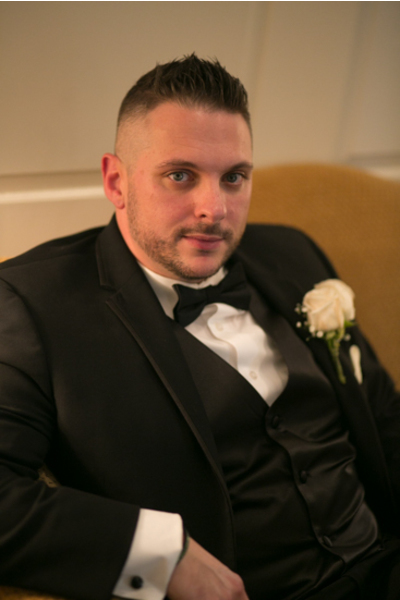 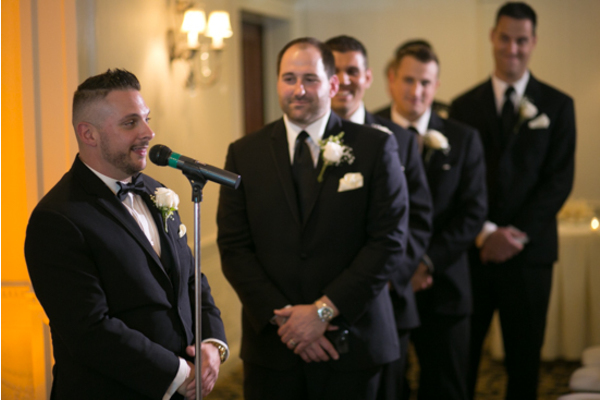 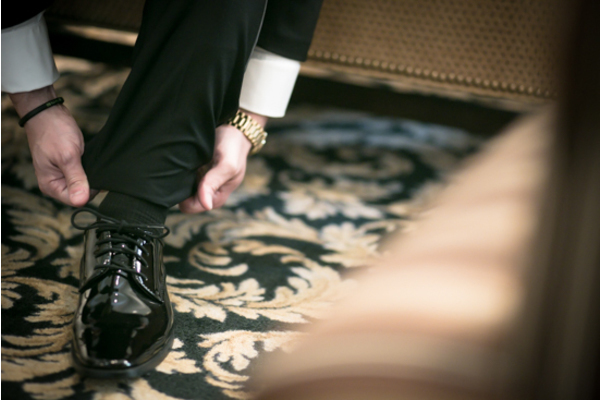 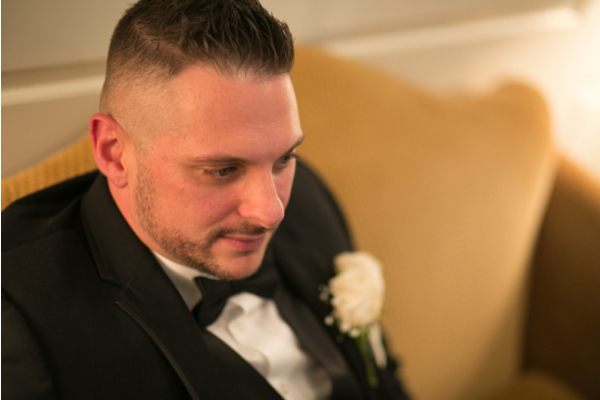 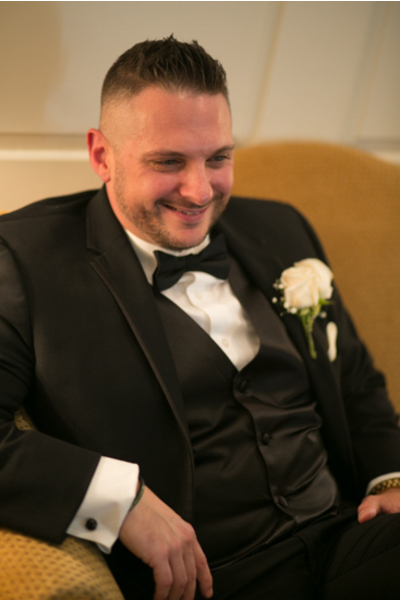 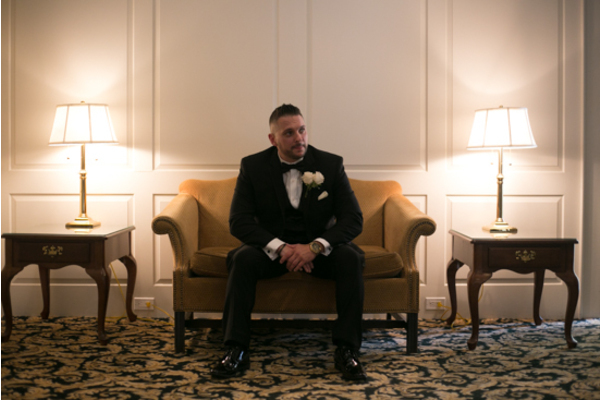 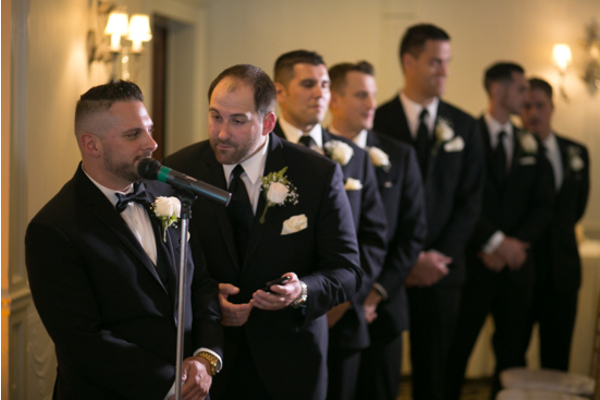 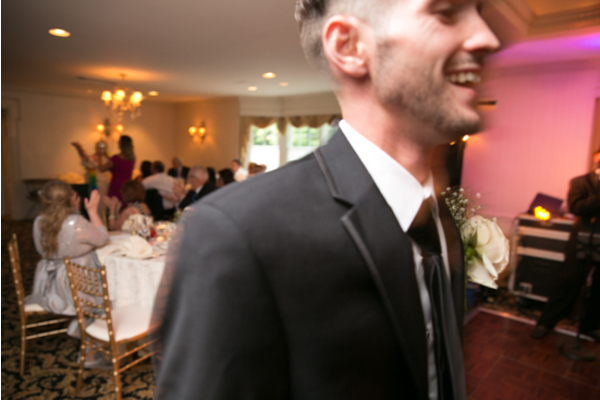 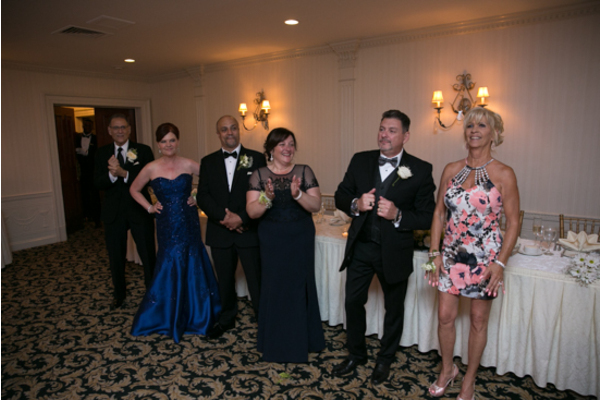 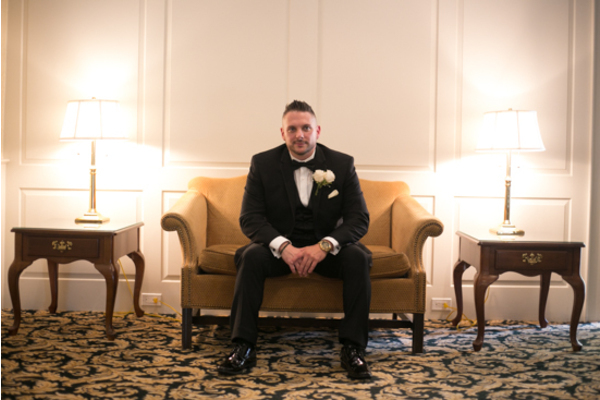 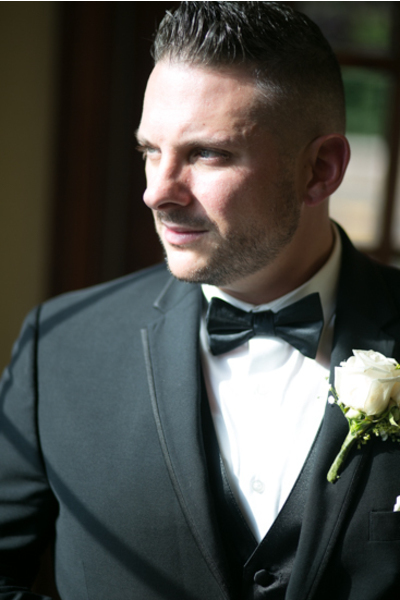 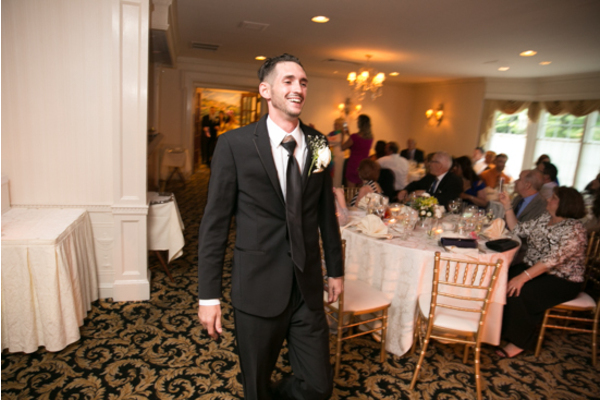 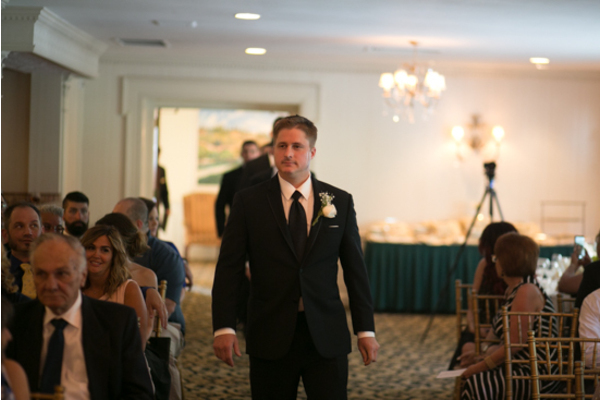 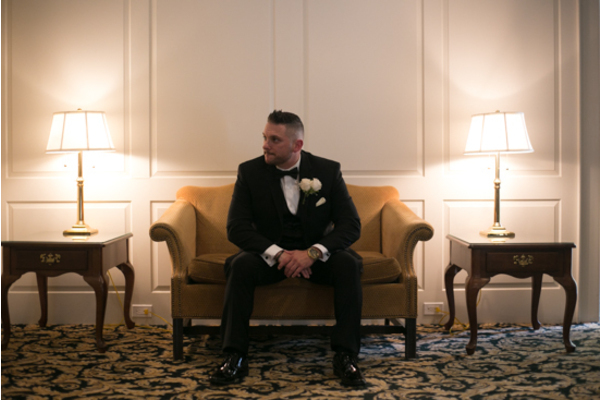 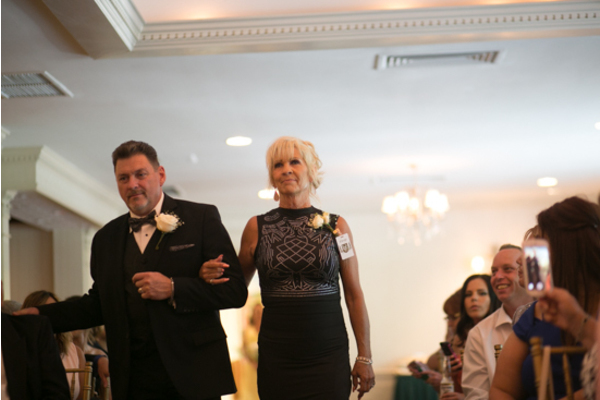 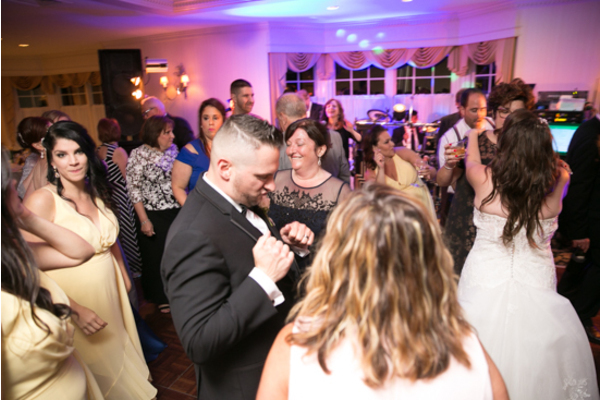 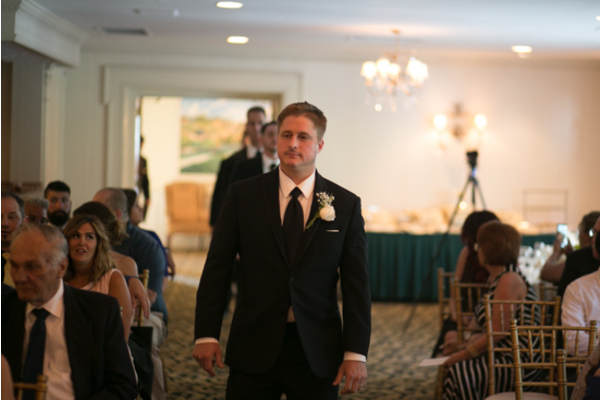 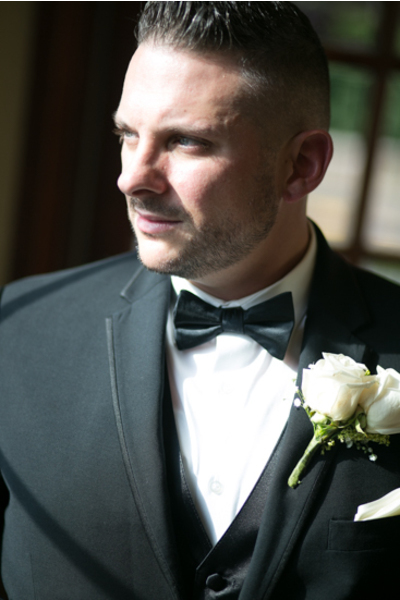 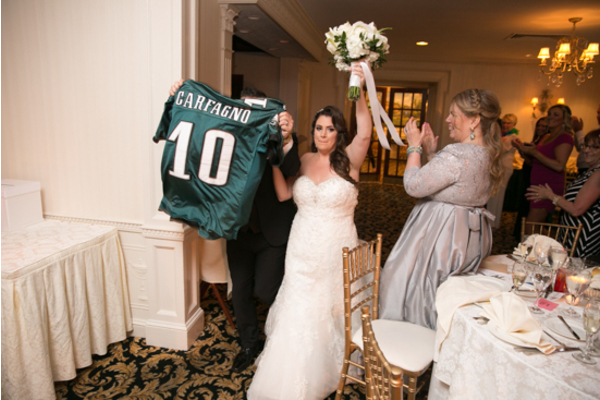 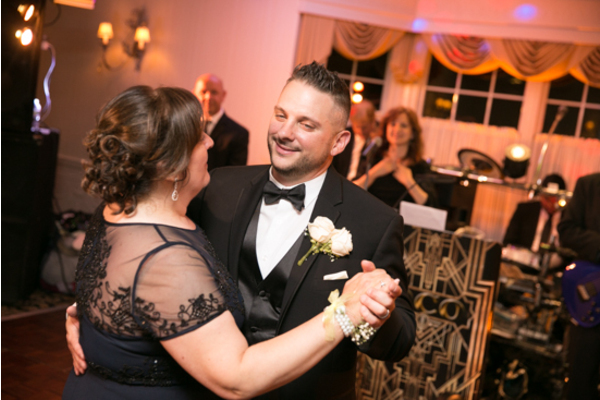 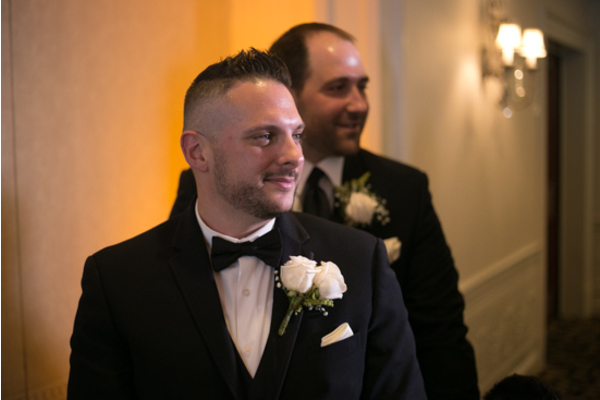 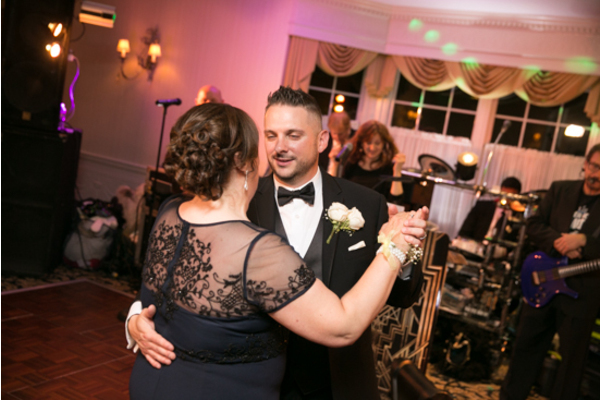 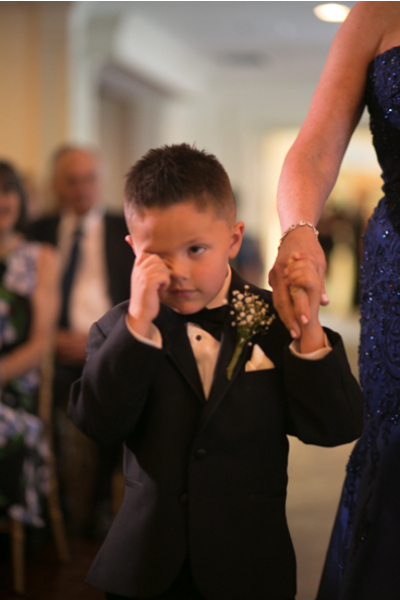 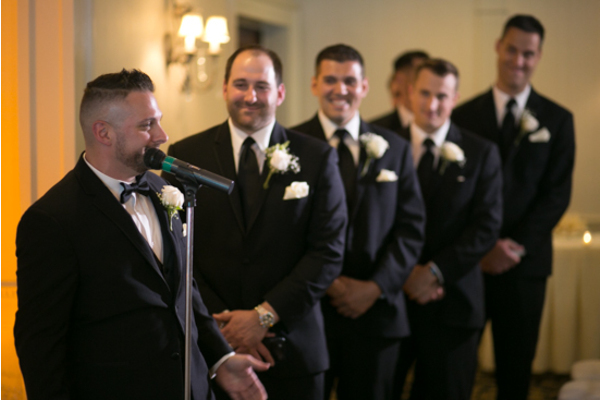 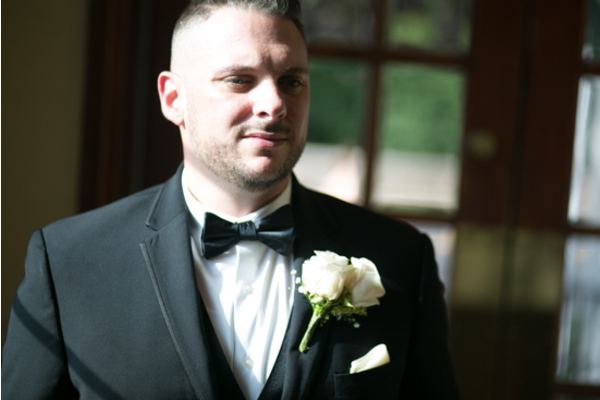 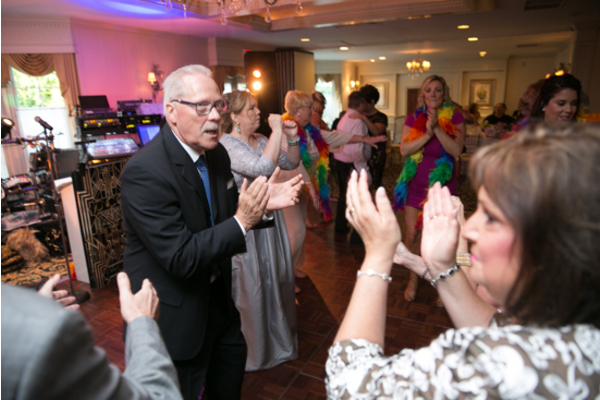 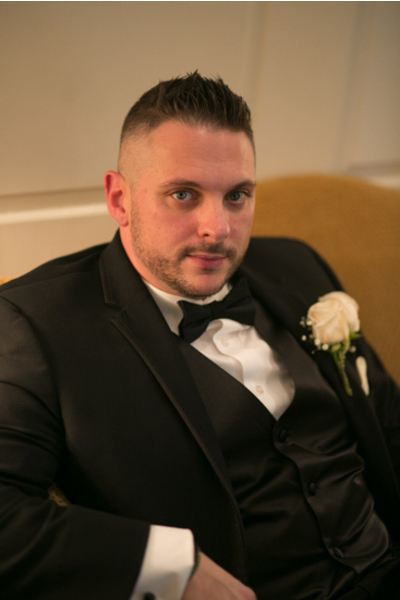 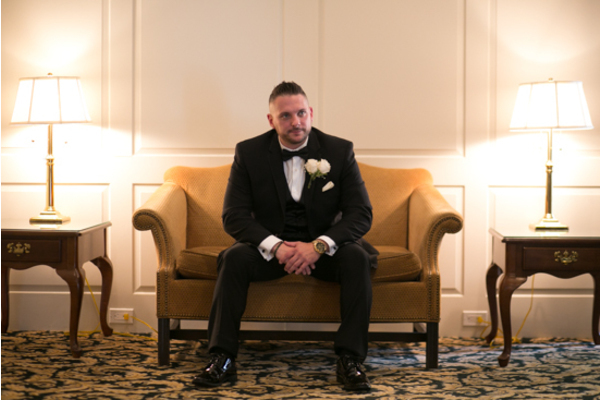 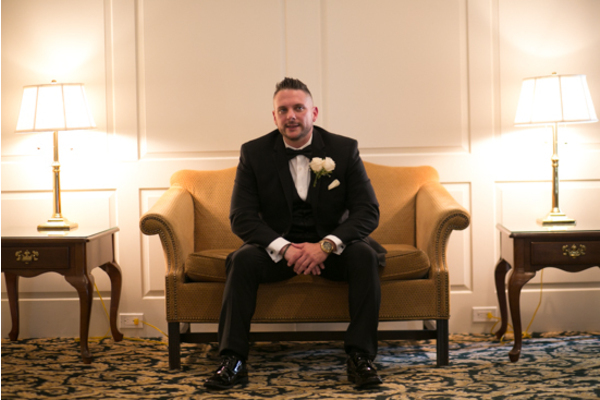 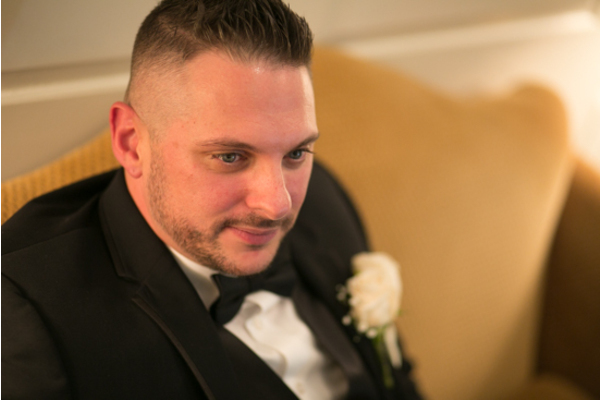 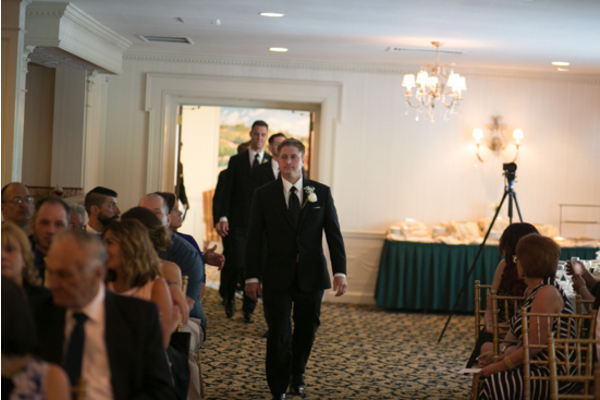 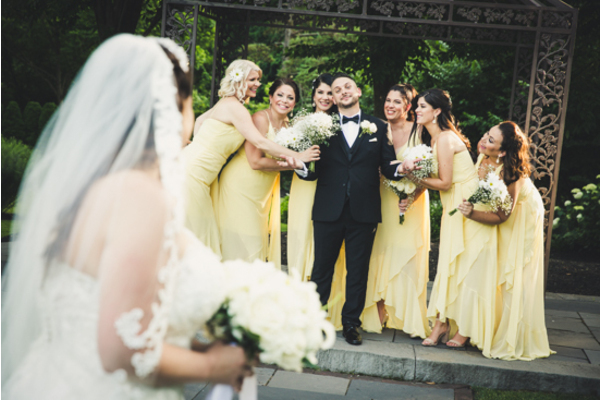 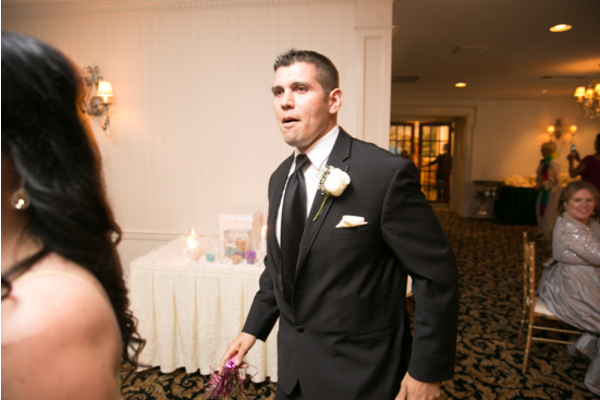 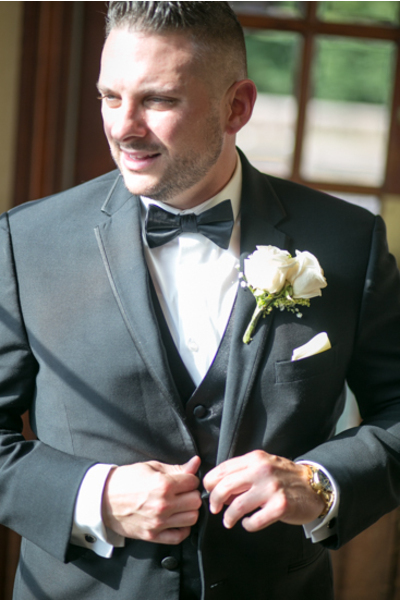 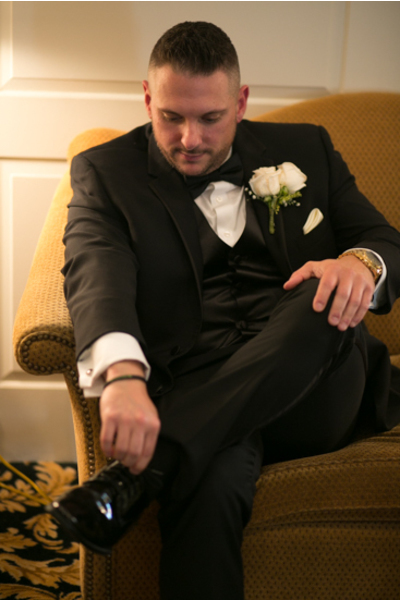 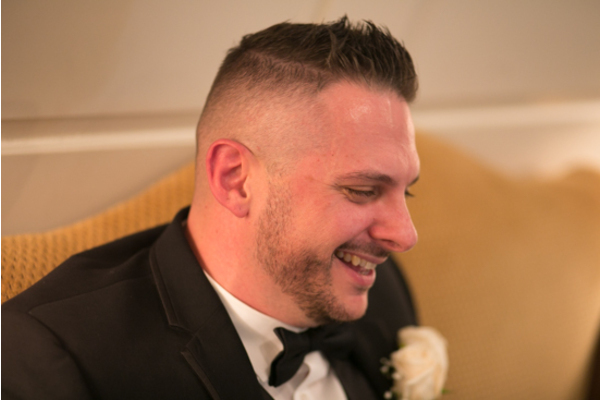 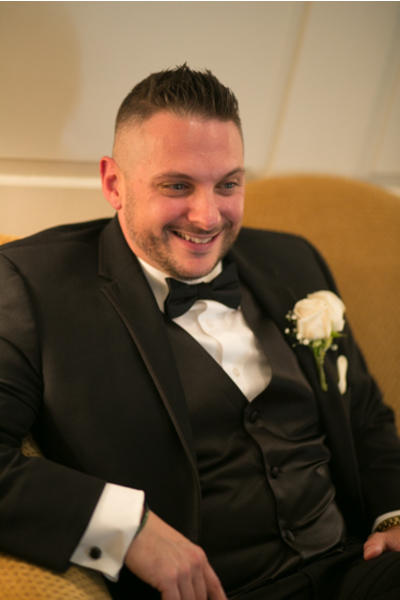 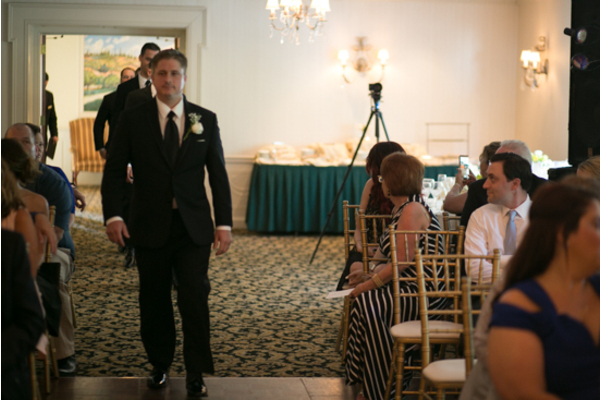 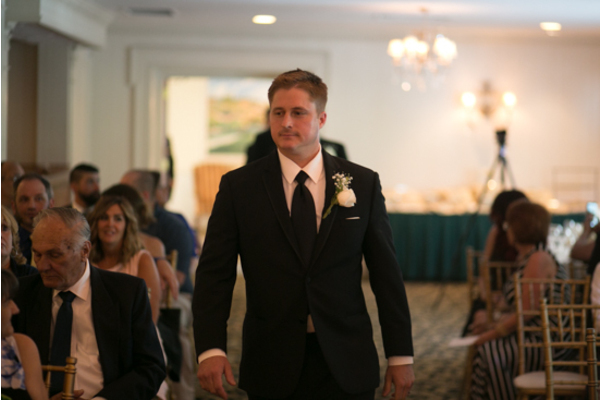 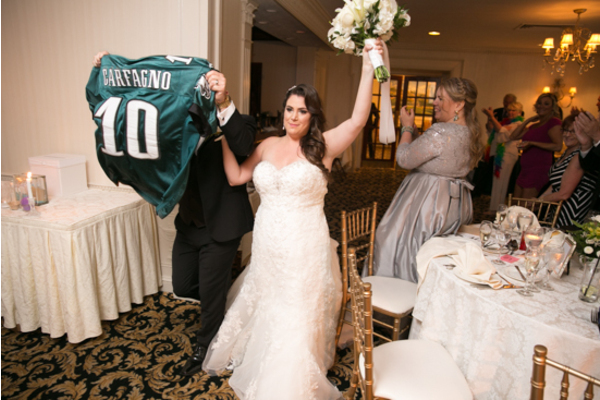 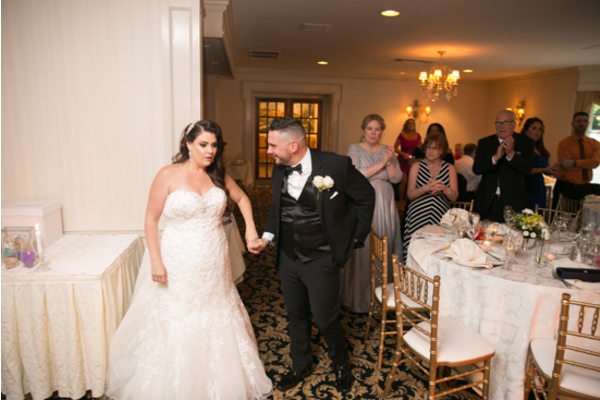 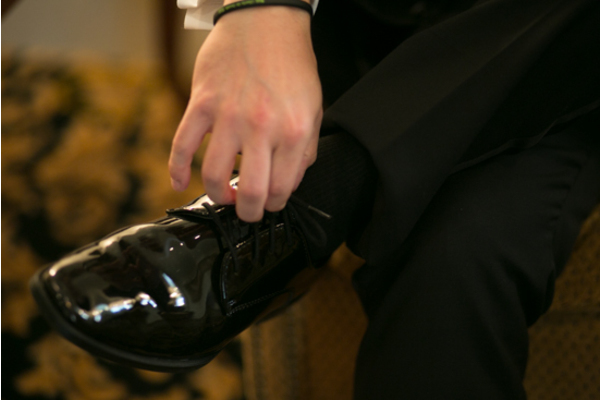 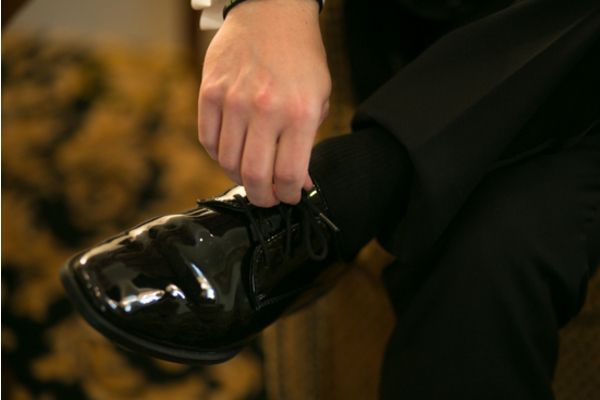 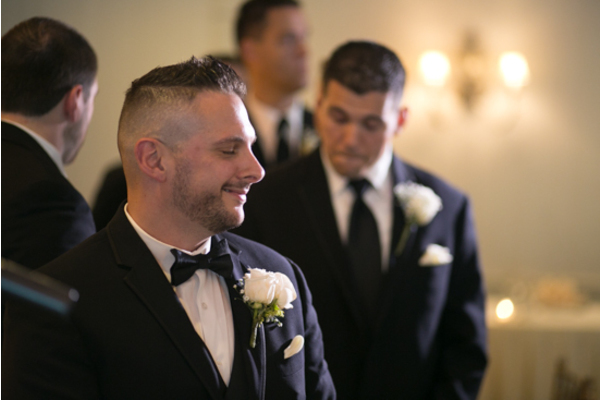 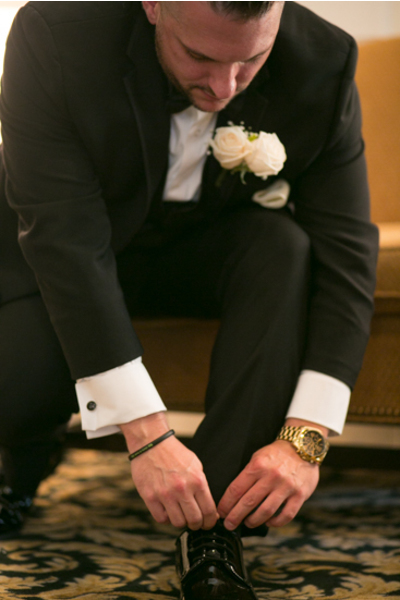 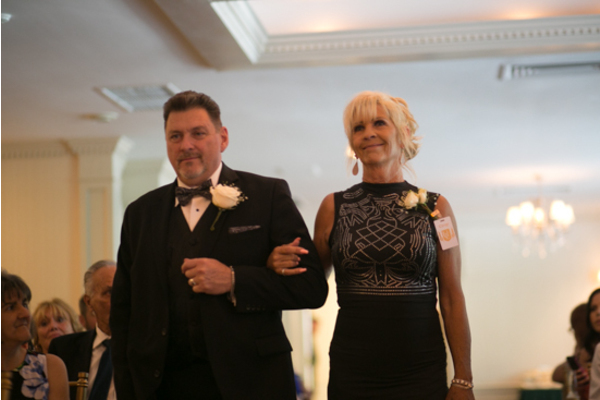 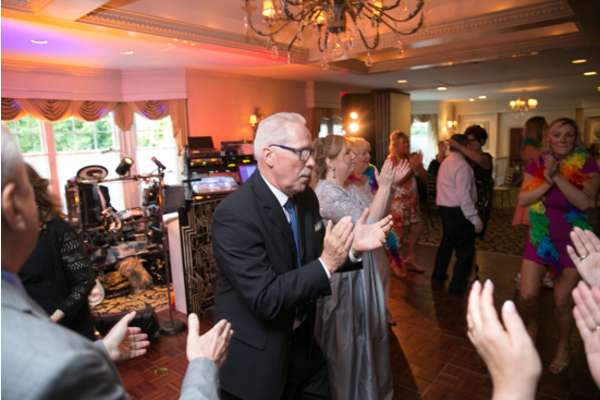 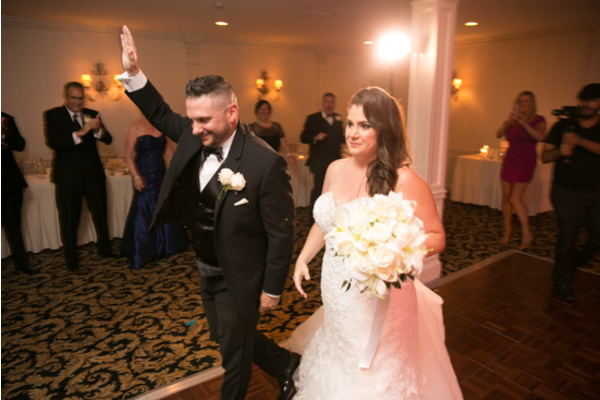 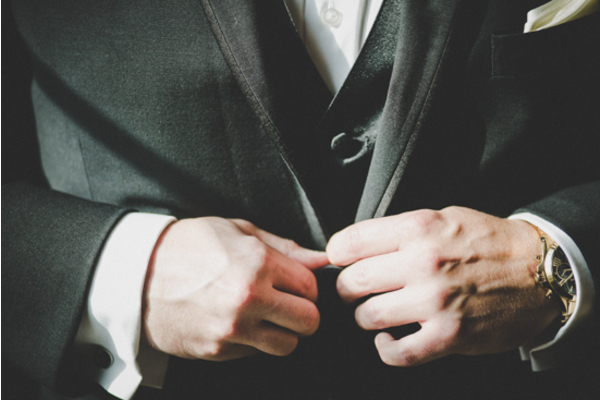 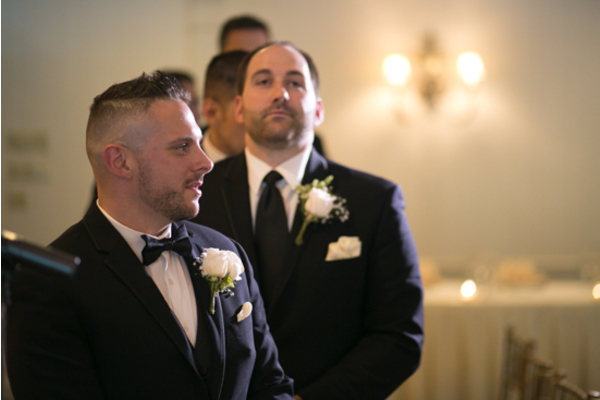 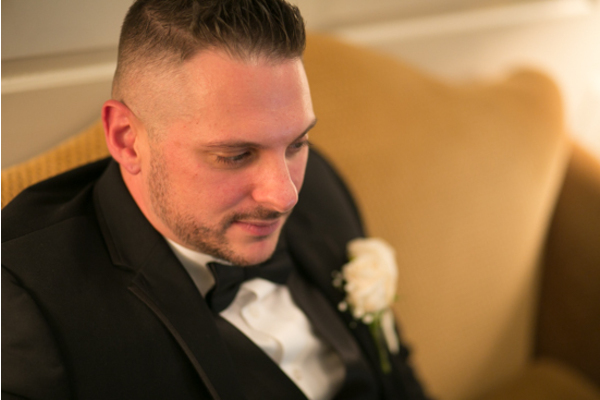 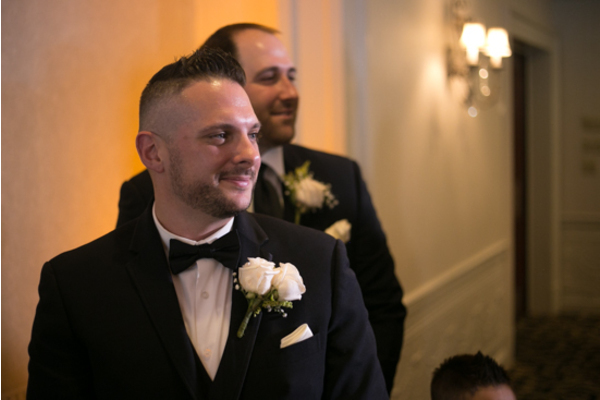 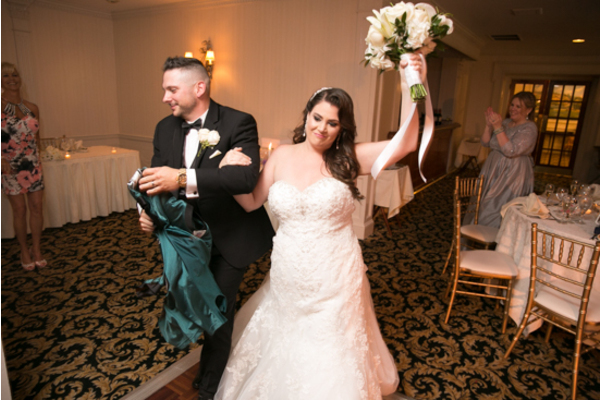 After buttoning up his jacket and sliding on his shoes, Bobby made his way to the alter where he awaited the arrival of his fiance. 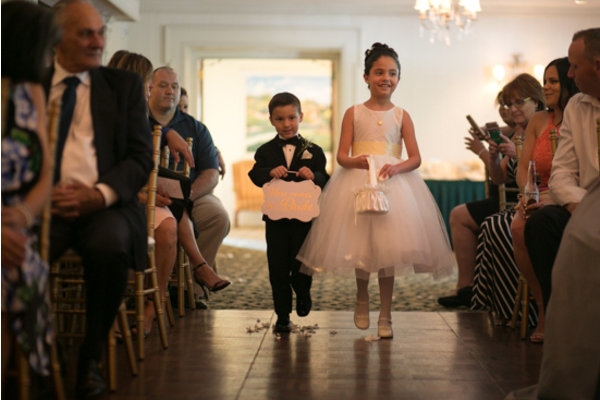 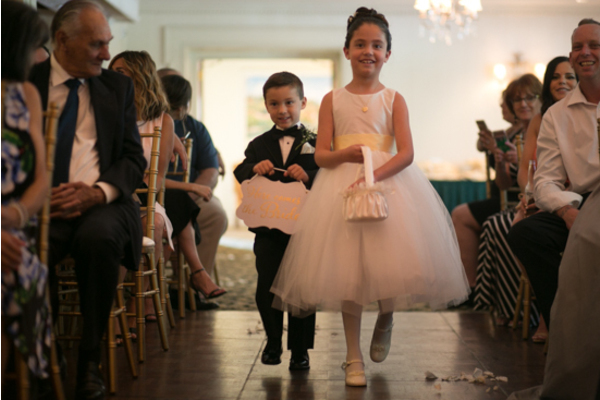 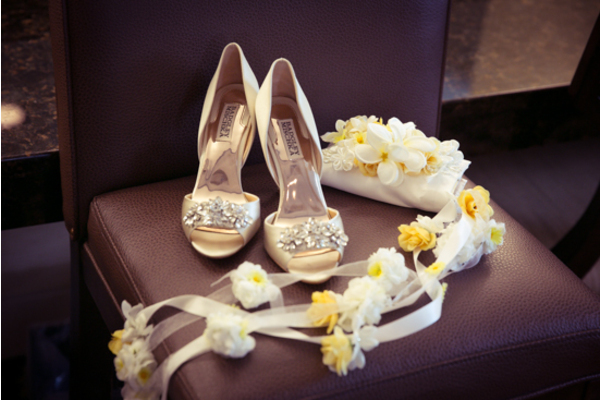 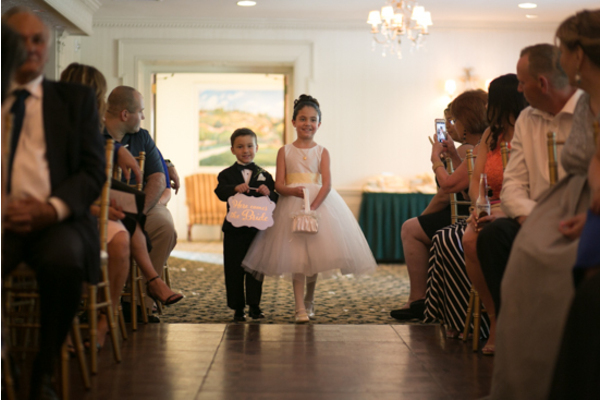 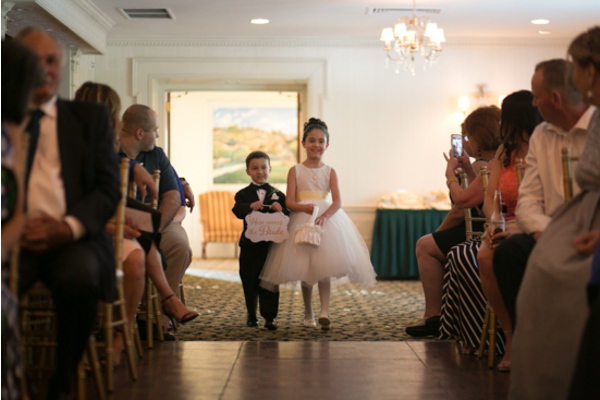 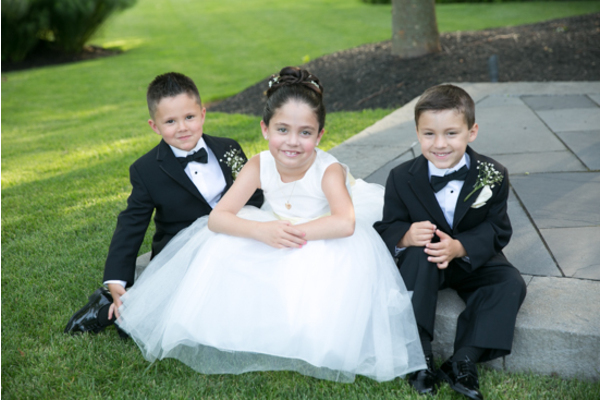 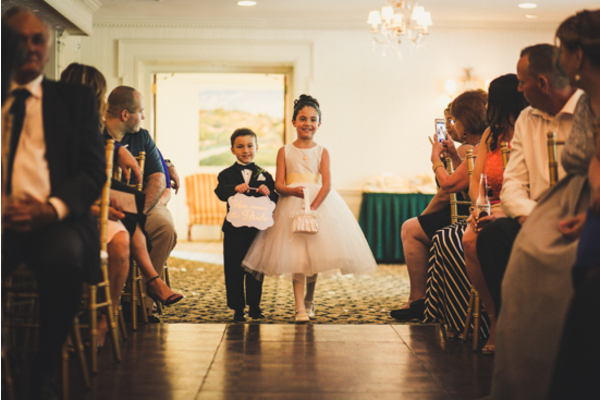 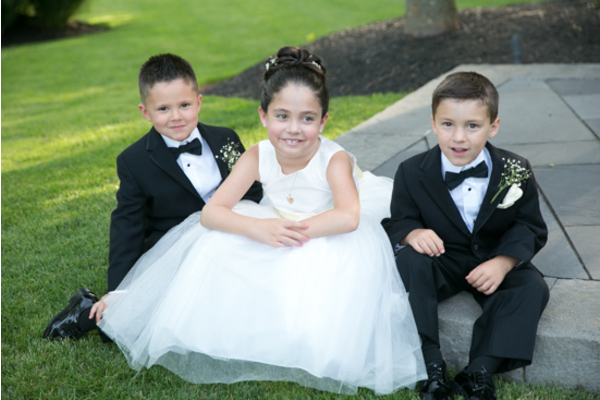 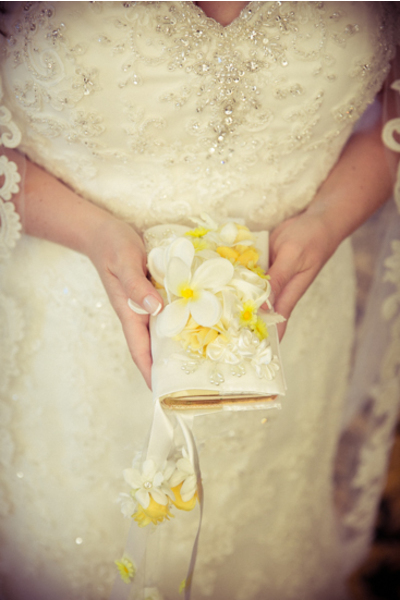 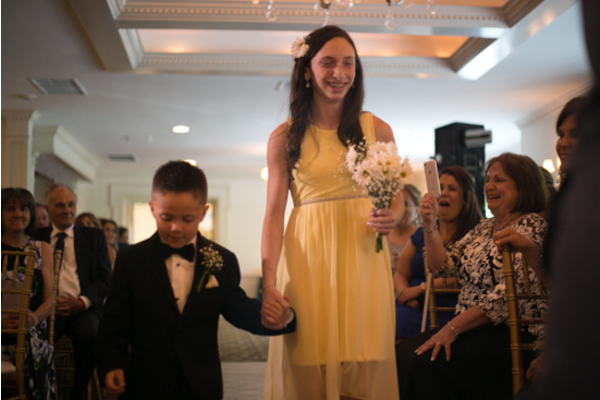 With a ring bearer and a flower girl as cute can this wedding was perfect. 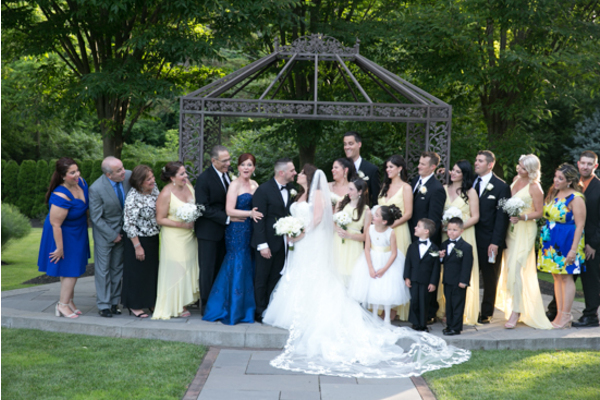 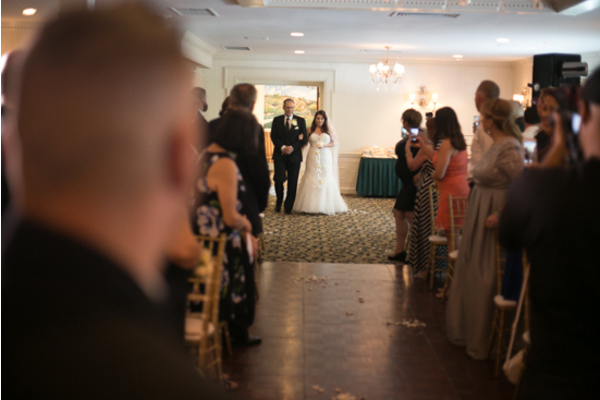 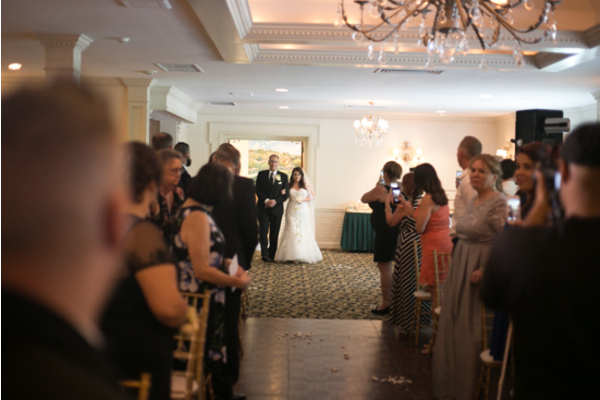 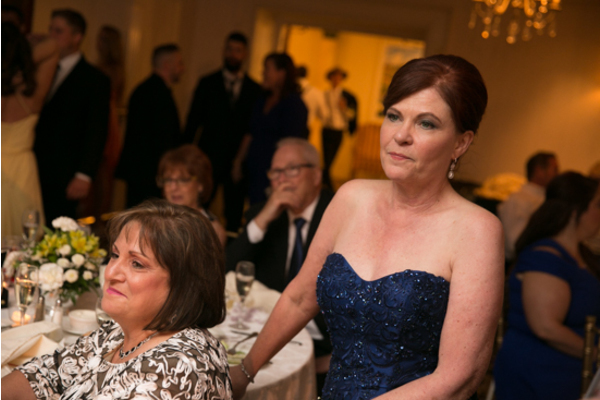 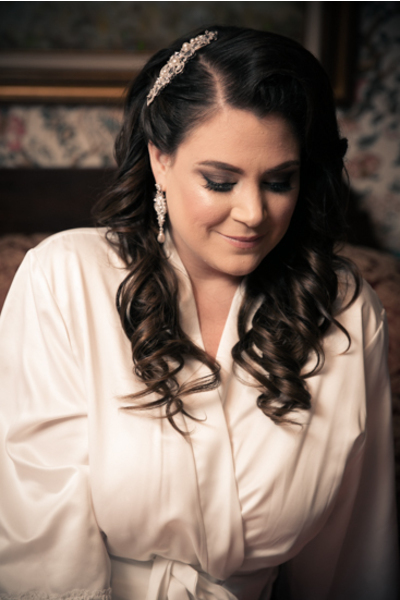 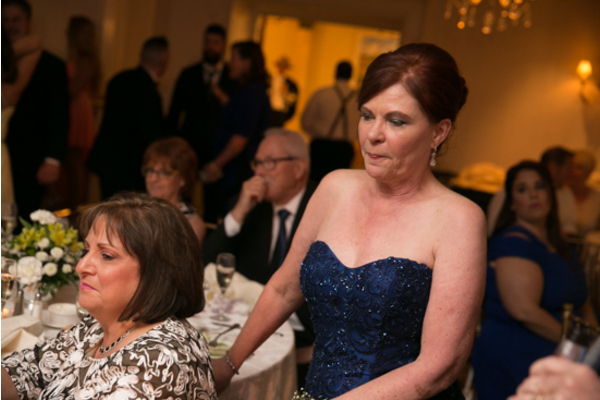 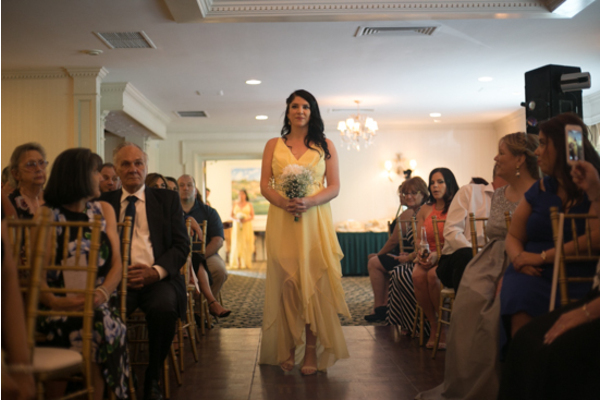 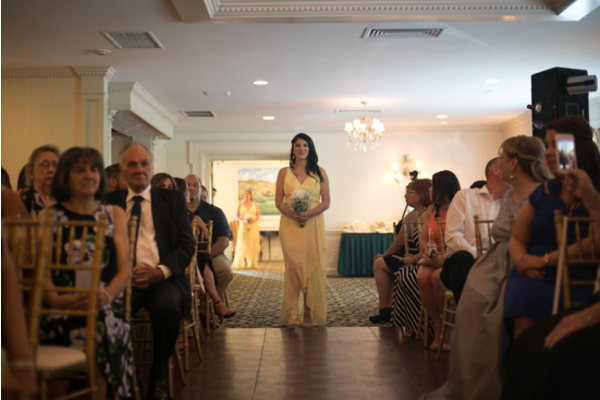 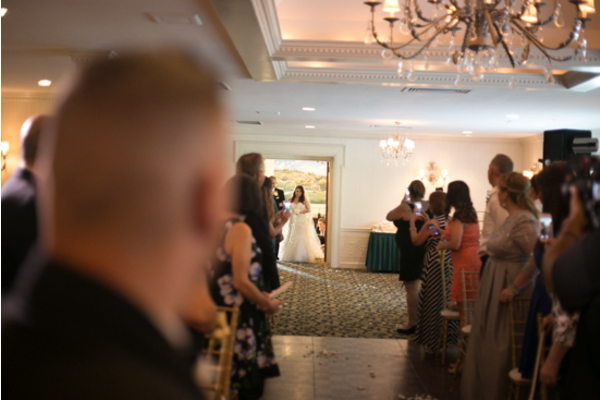 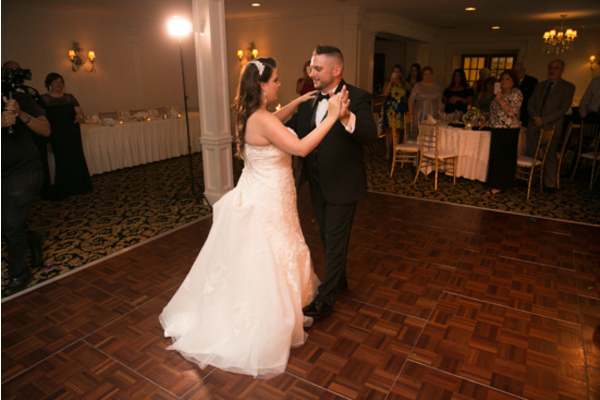 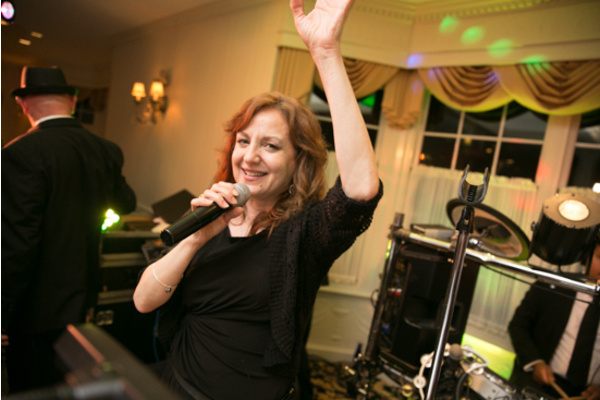 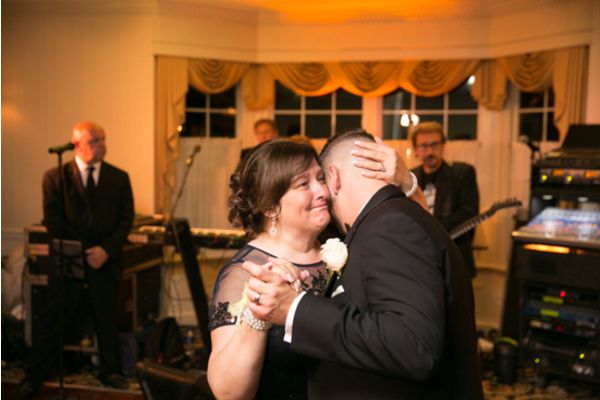 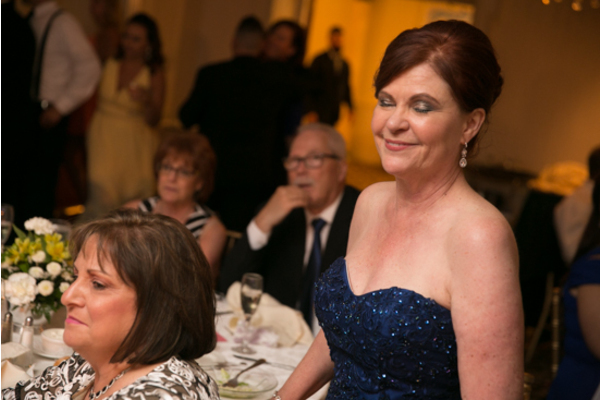 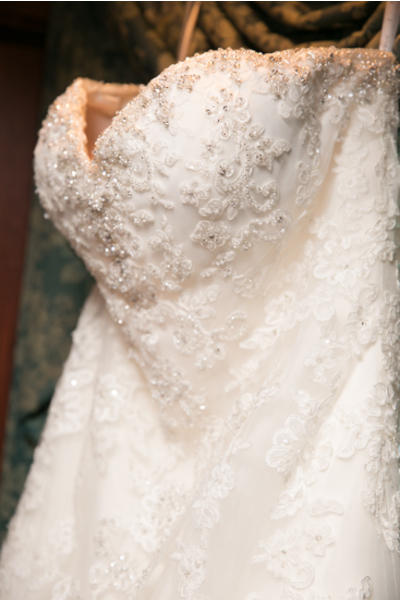 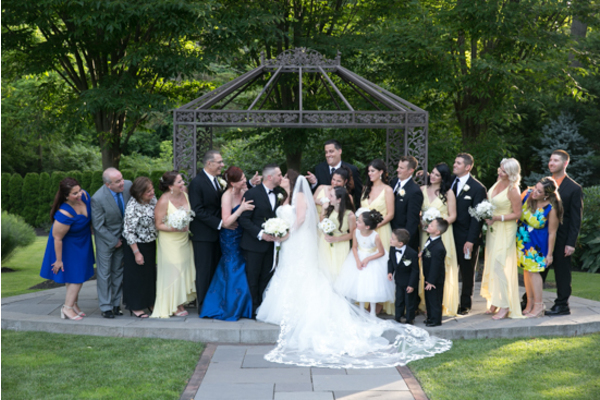 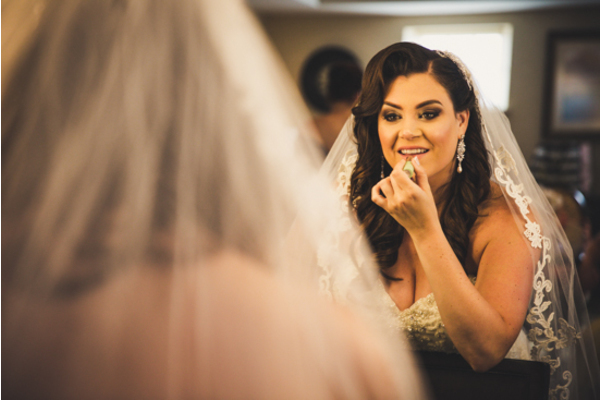 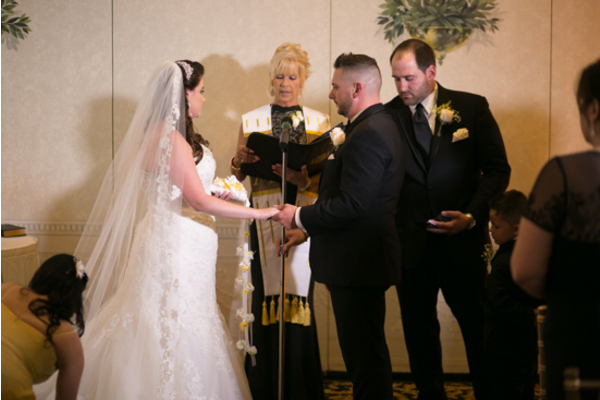 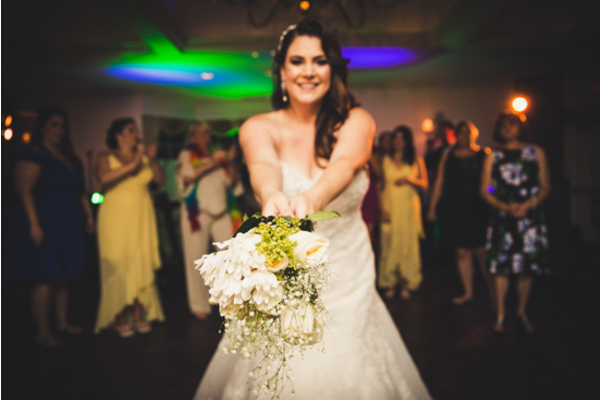 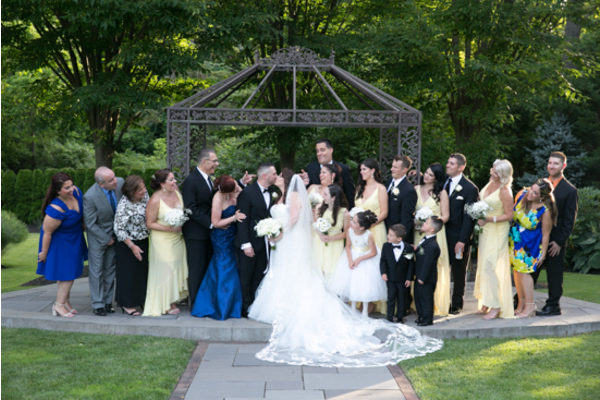 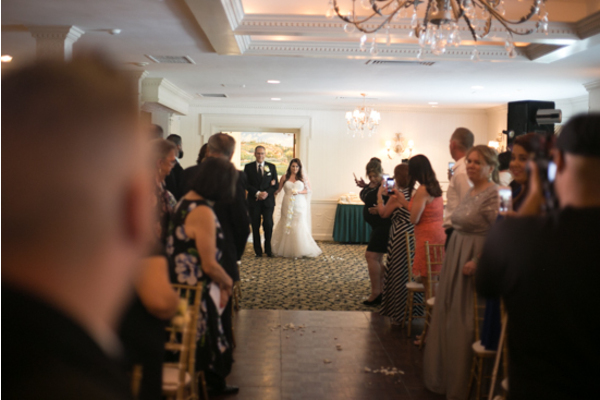 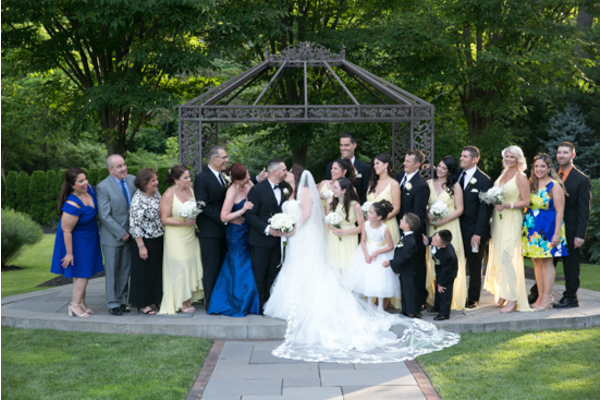 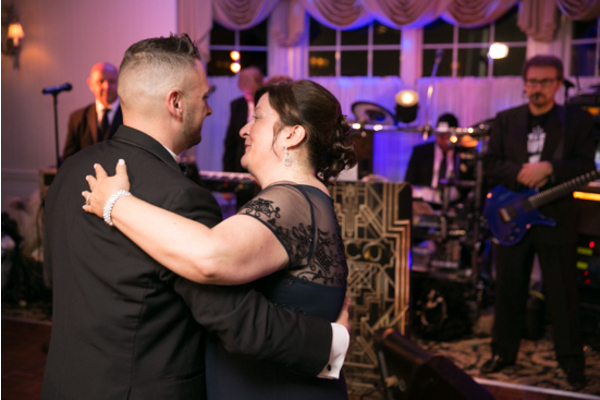 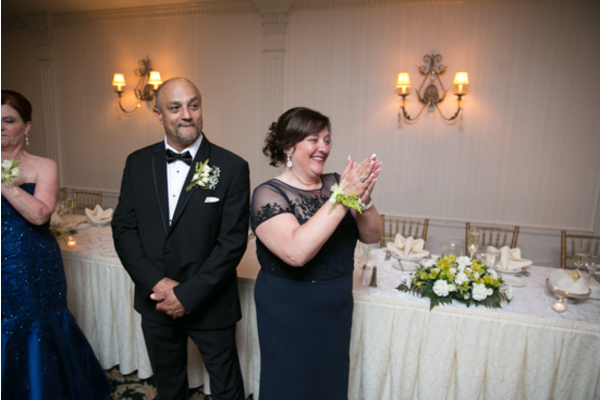 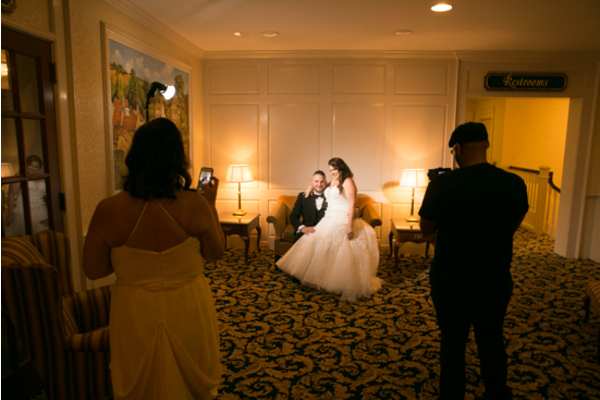 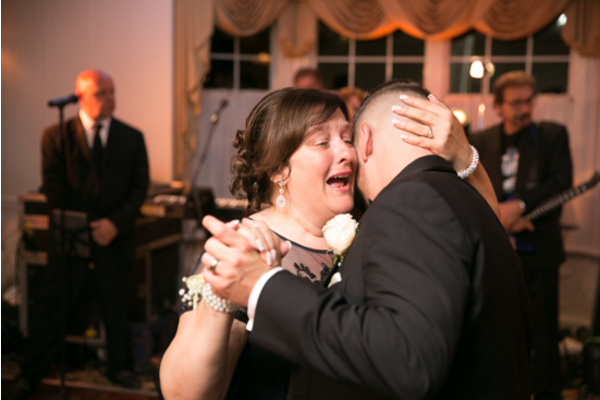 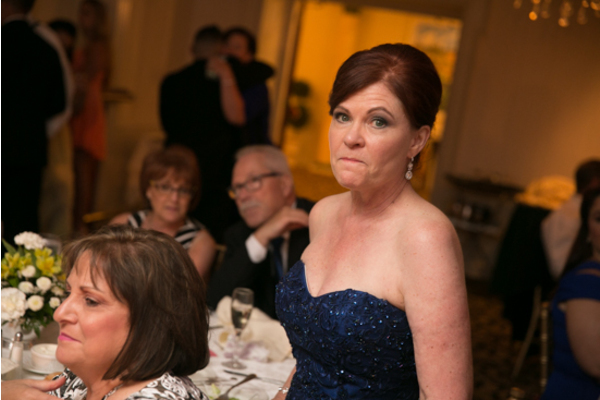 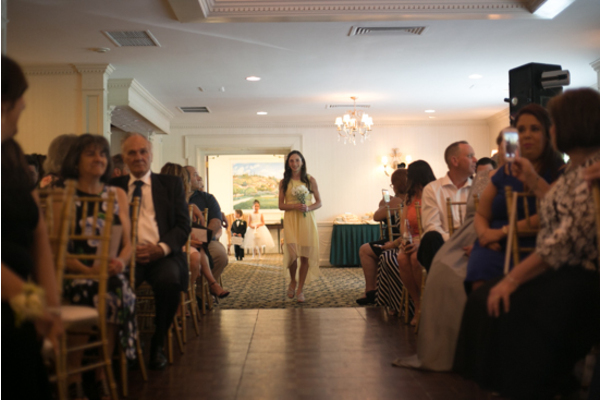 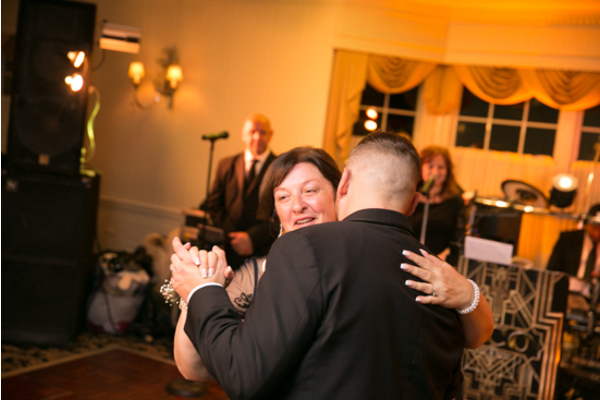 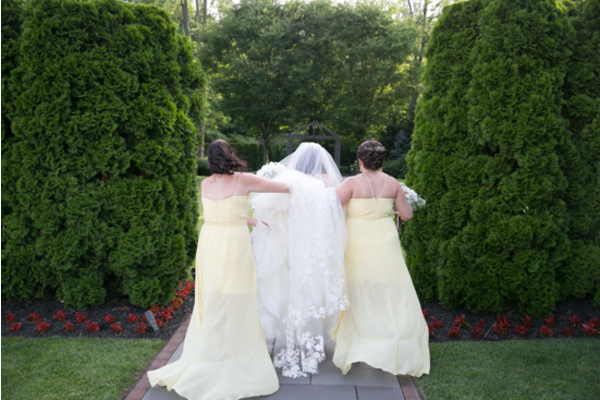 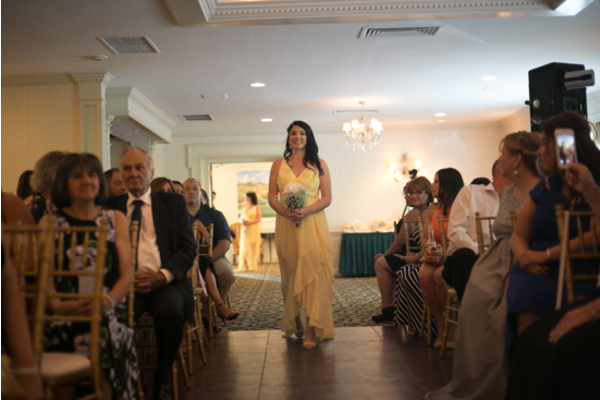 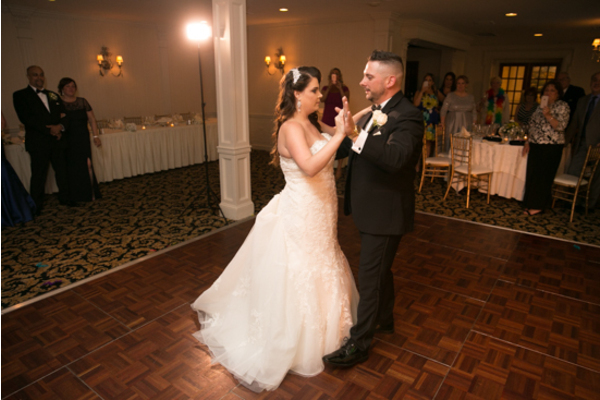 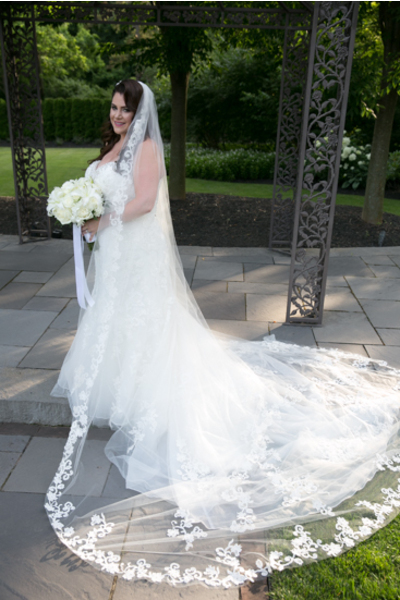 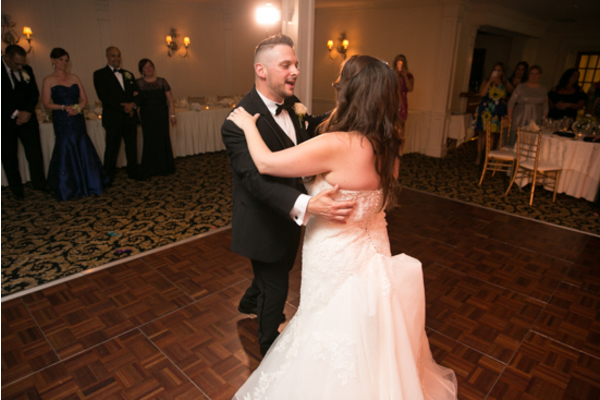 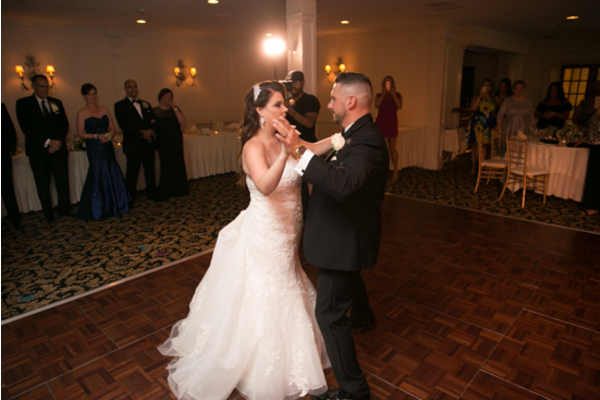 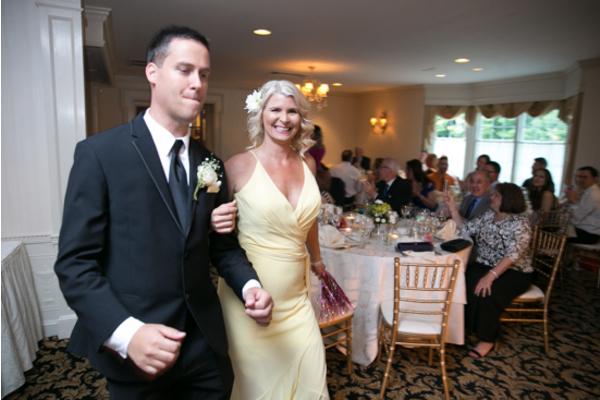 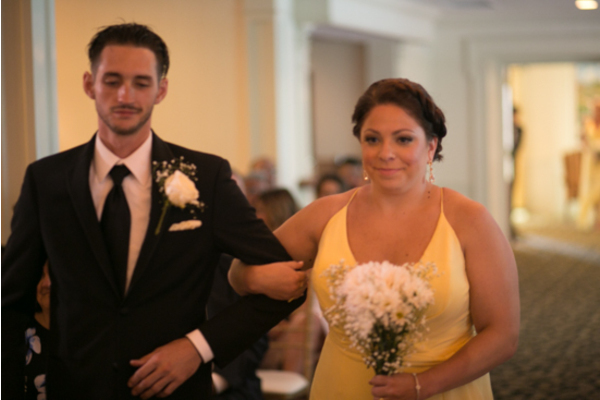 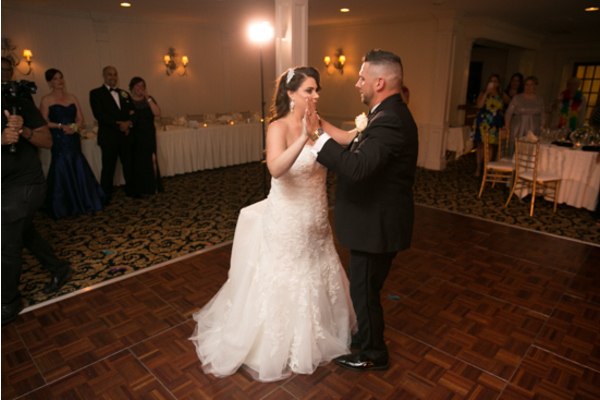 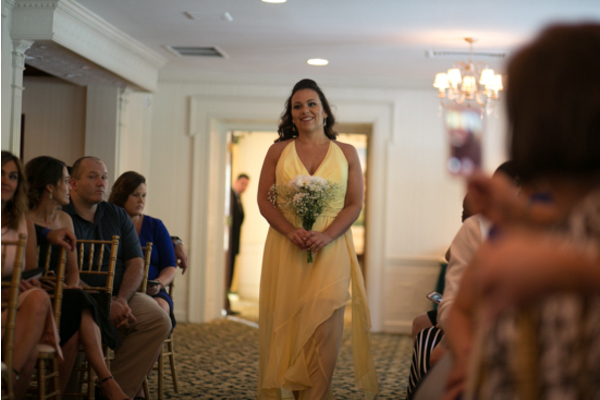 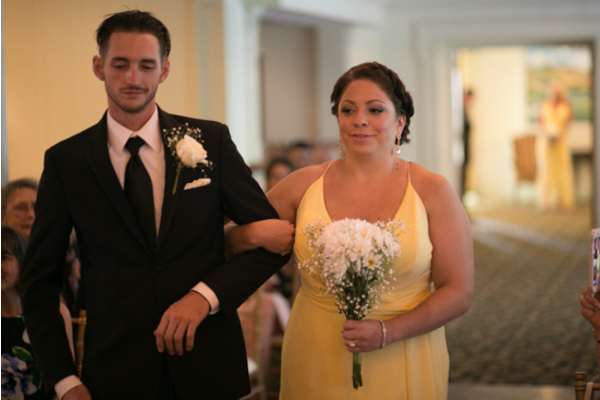 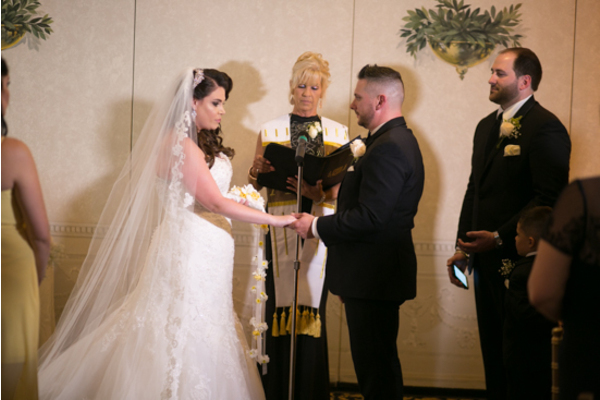 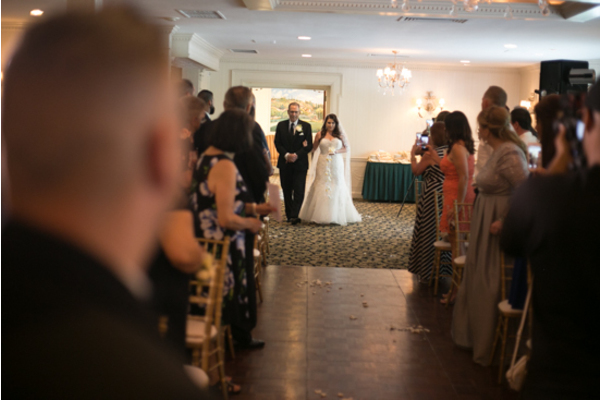 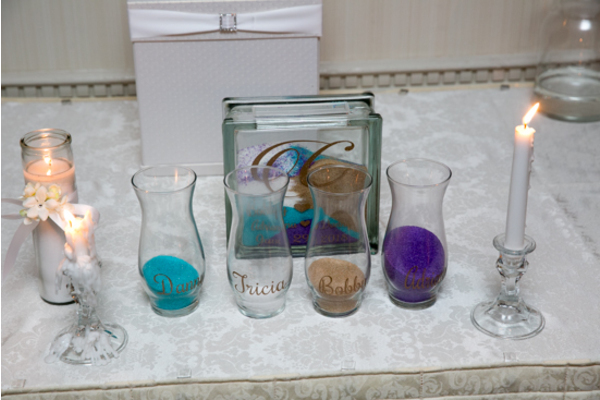 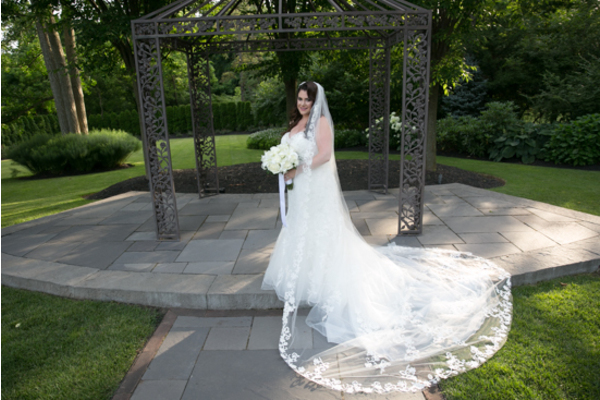 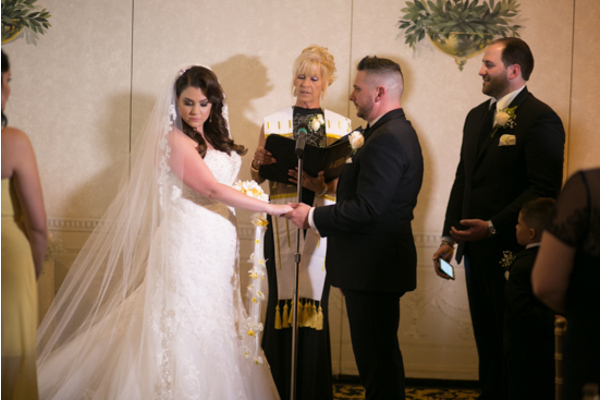 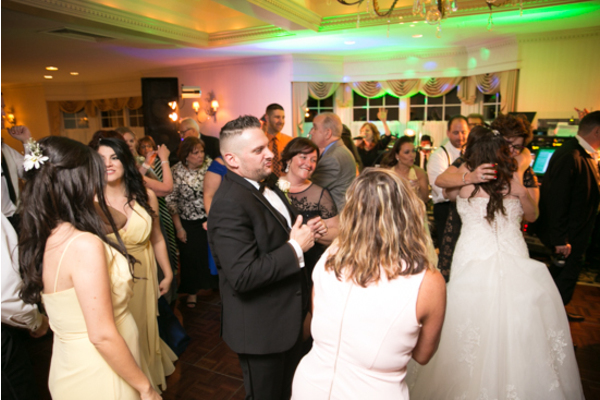 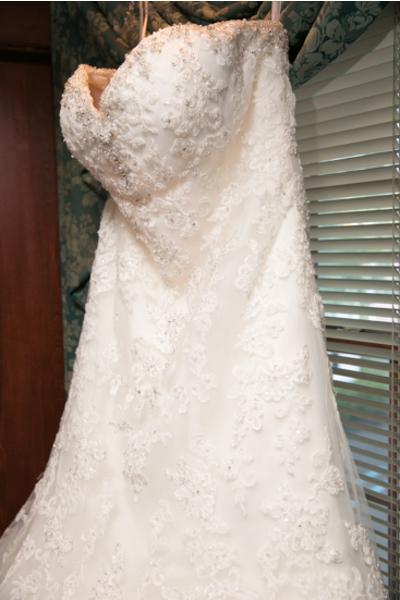 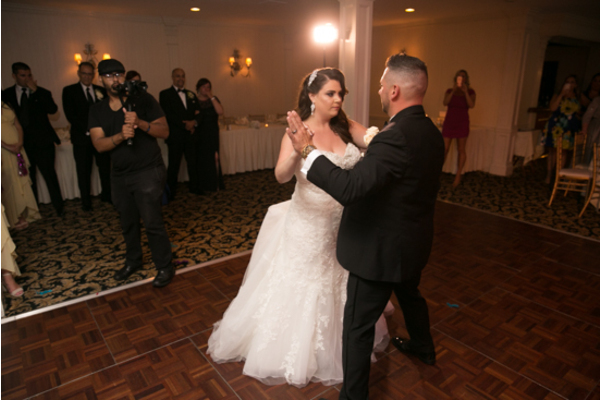 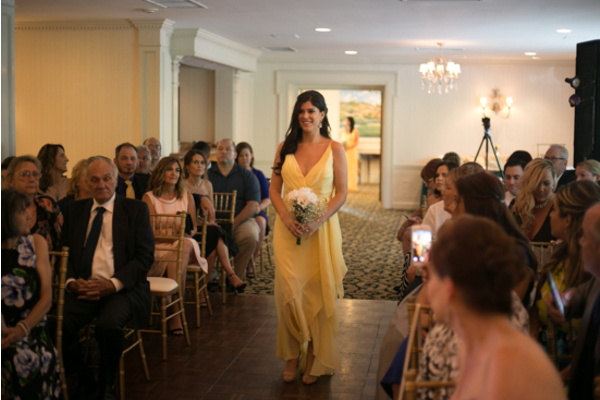 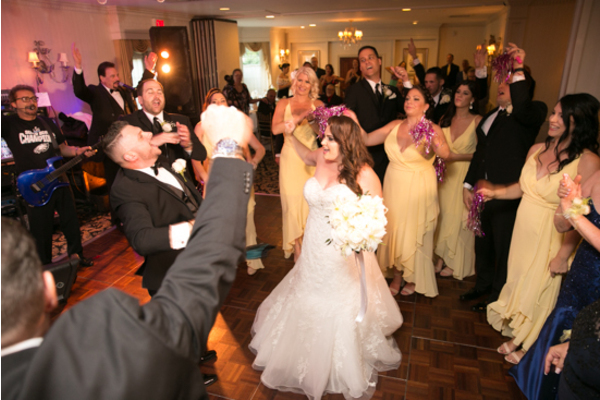 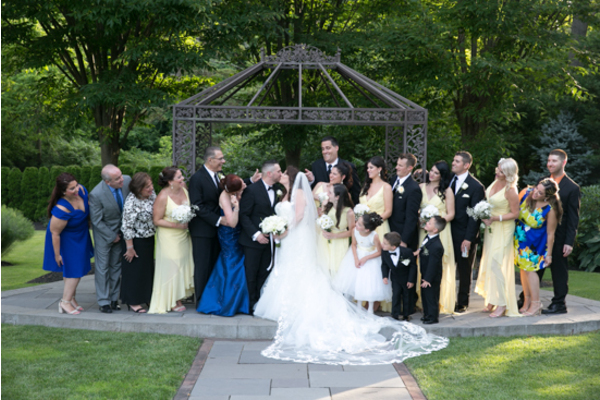 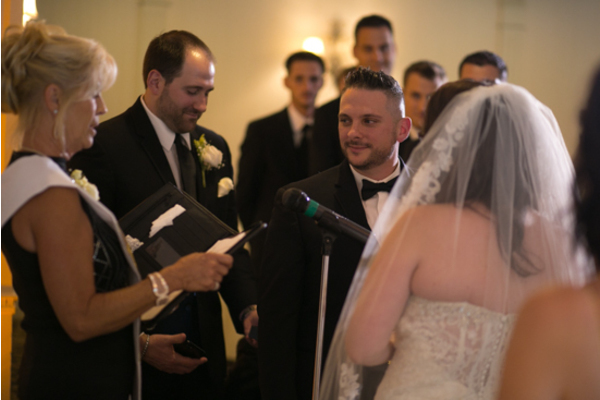 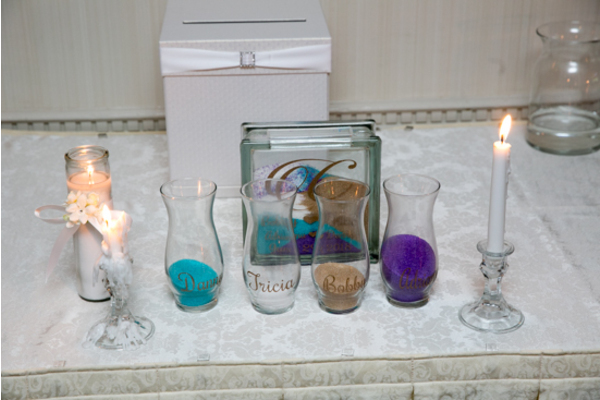 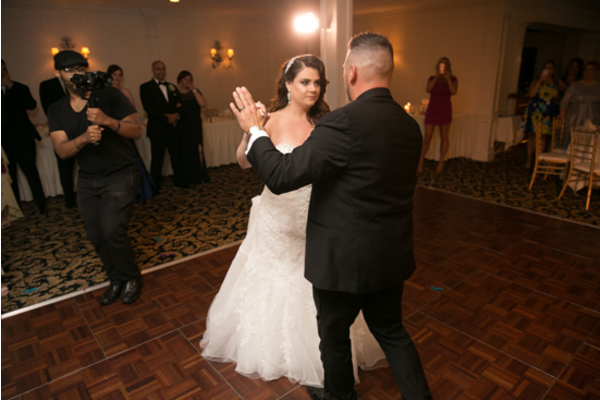 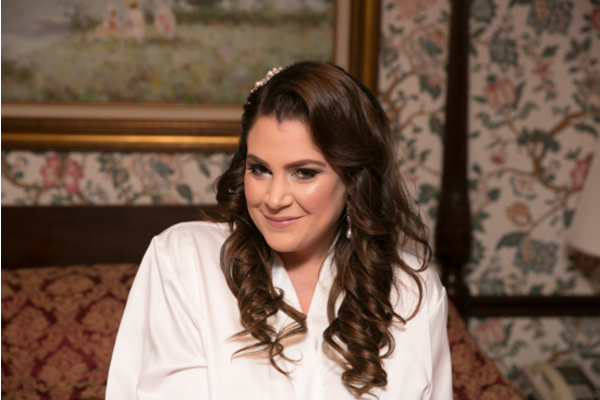 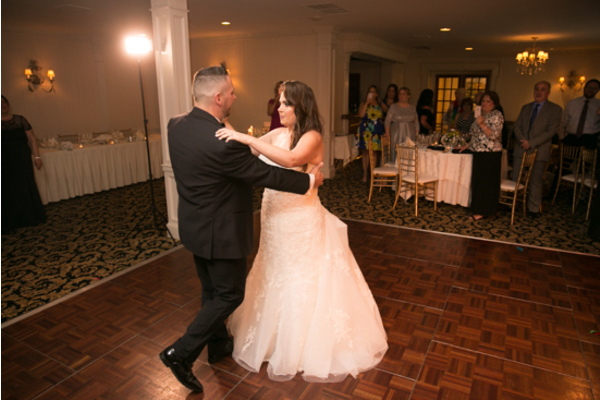 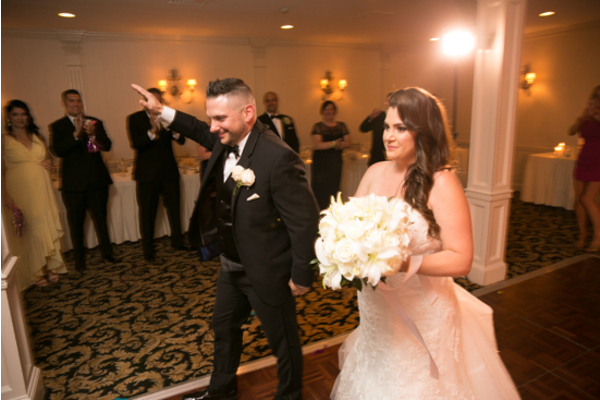 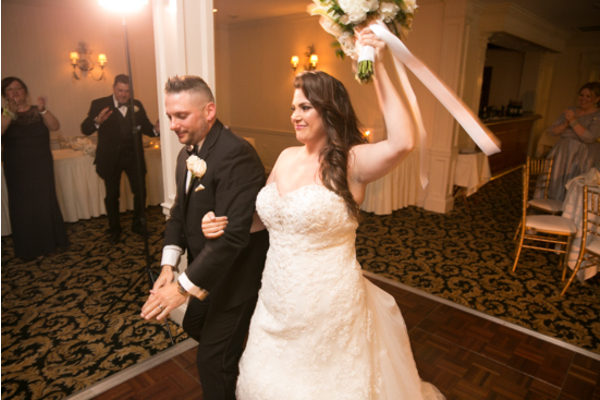 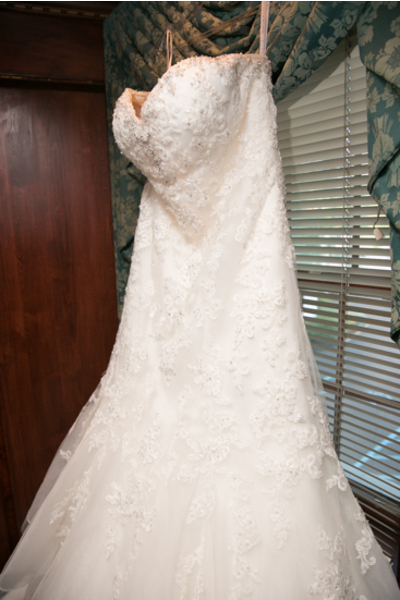 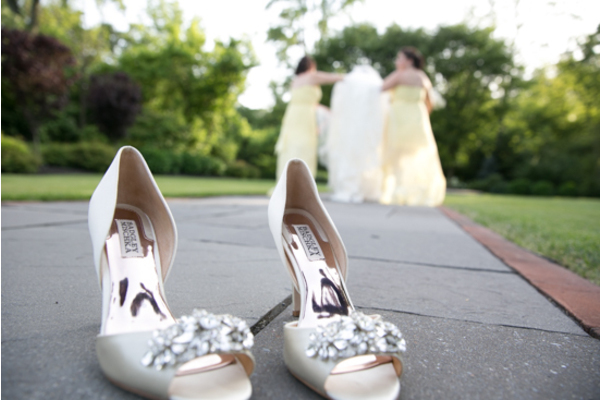 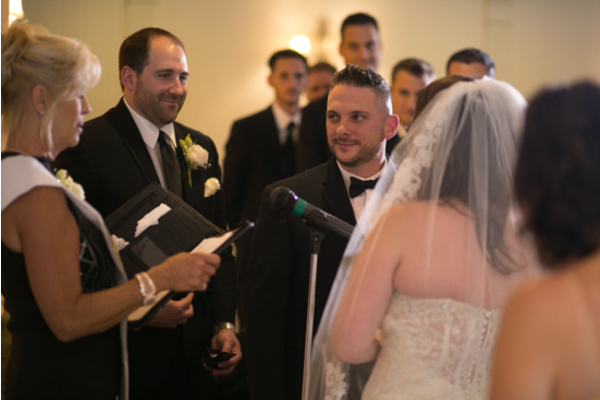 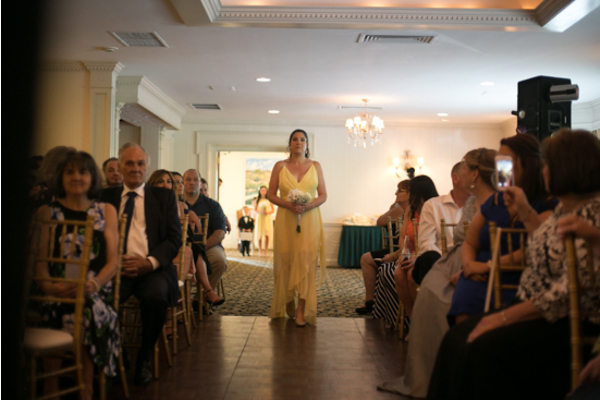 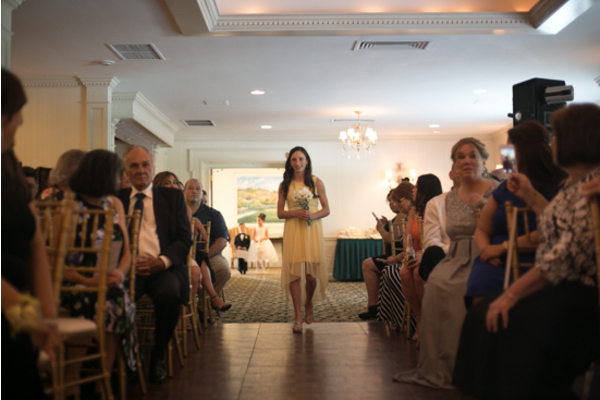 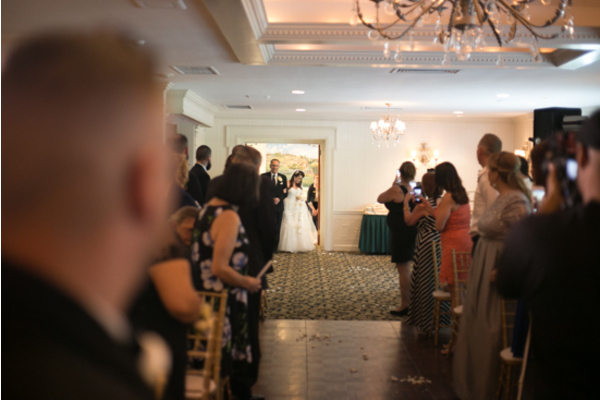 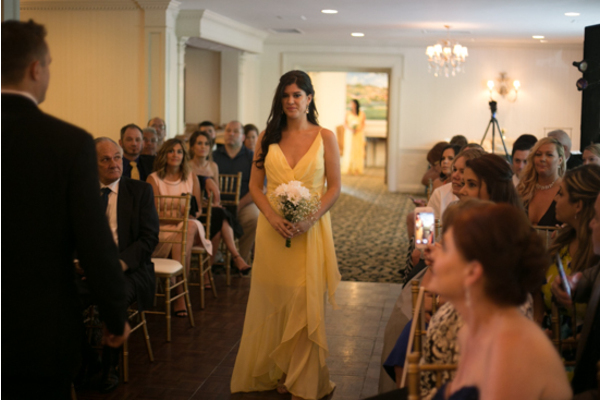 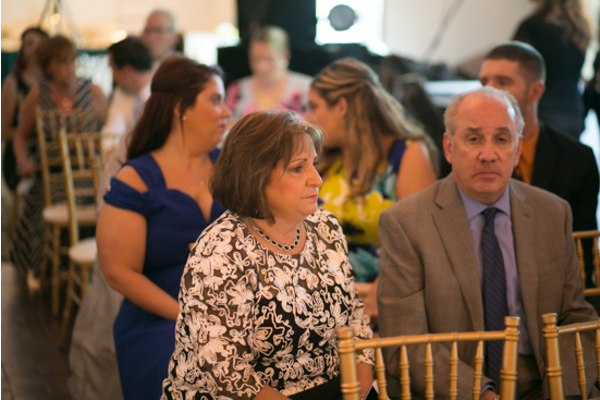 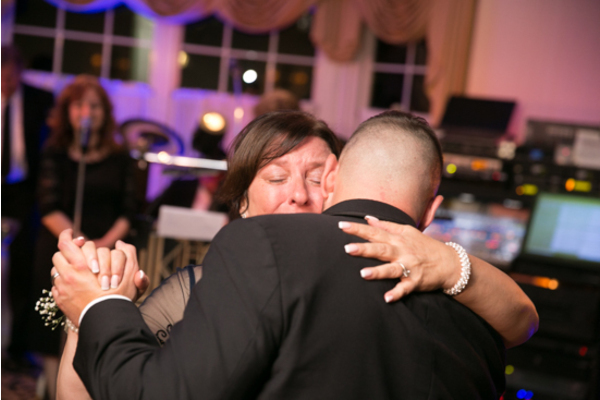 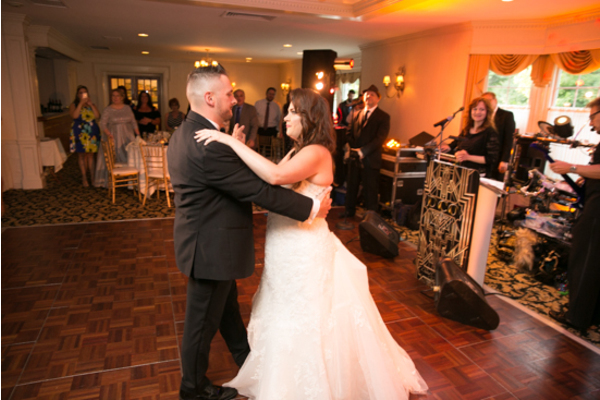 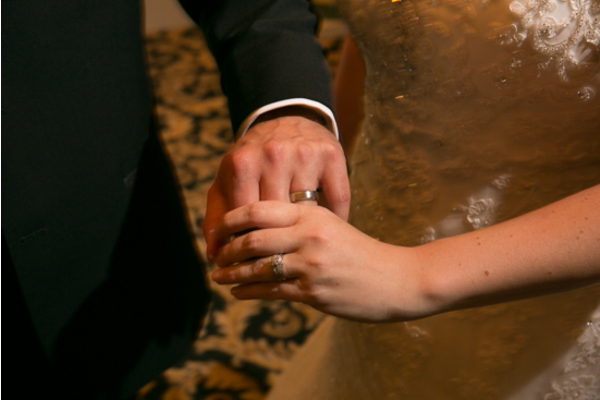 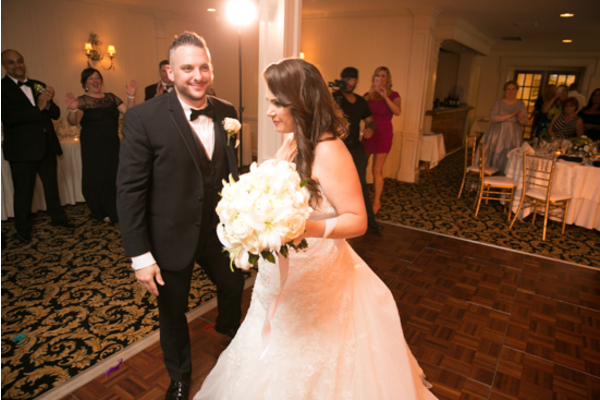 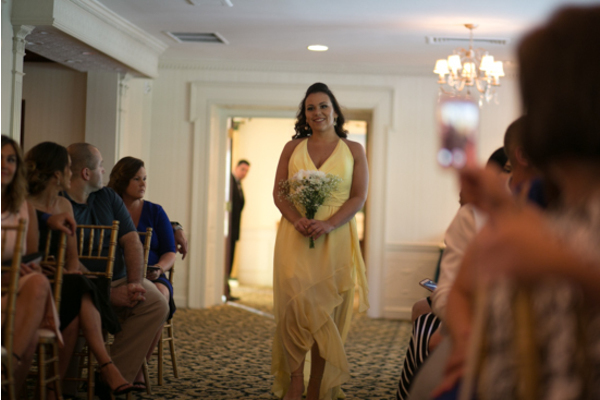 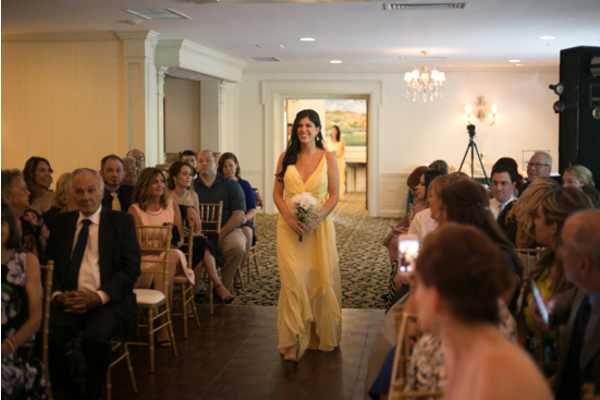 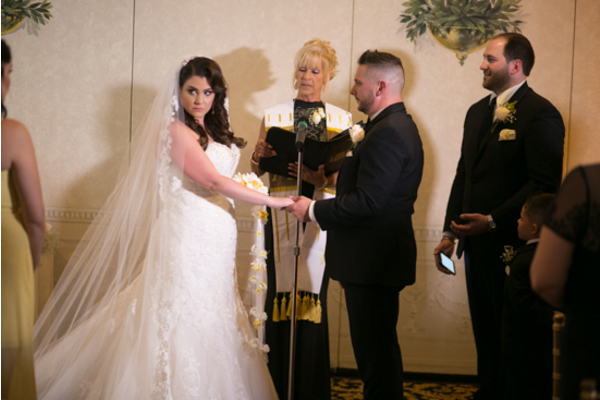 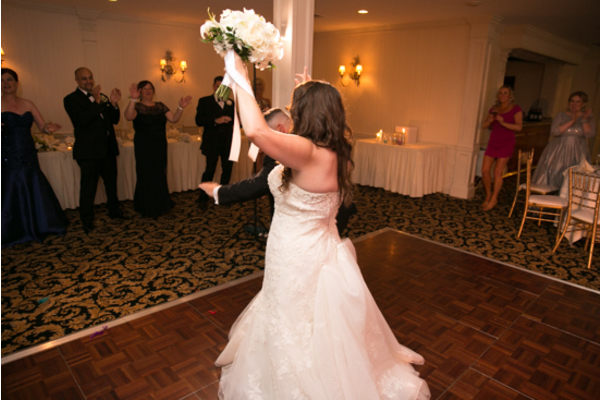 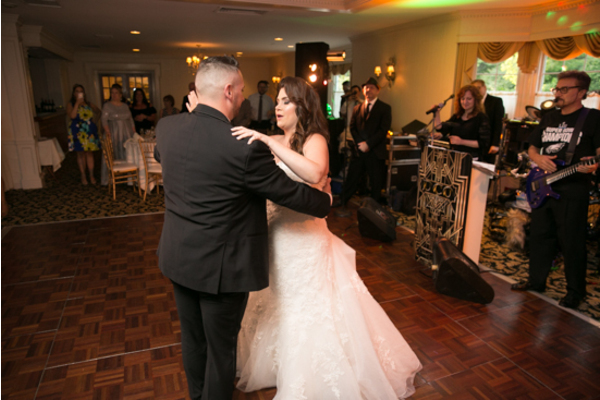 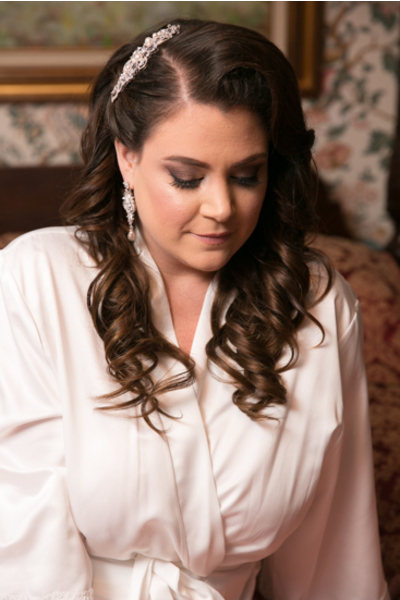 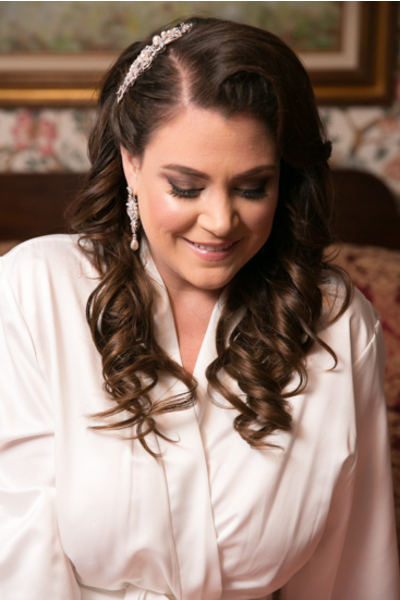 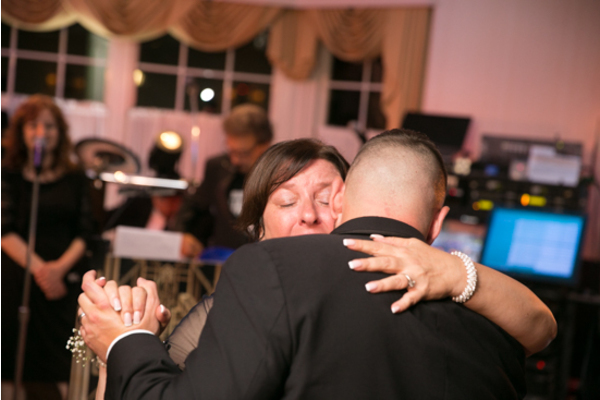 As the lovely couple exchanged their vows our NJ Wedding Videographer caught Tricia who couldn’t hold back her tears. 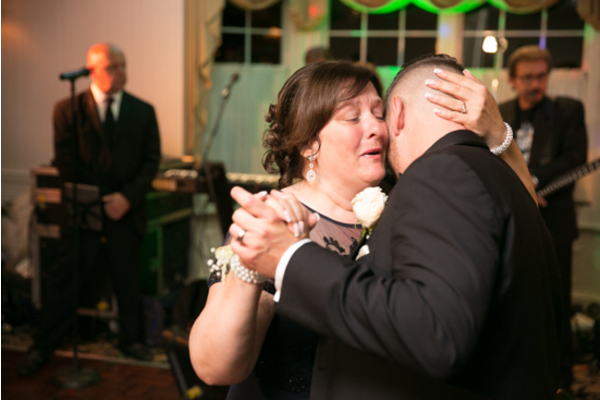 The love these two had for one another was indescribable and everyone could feel it. 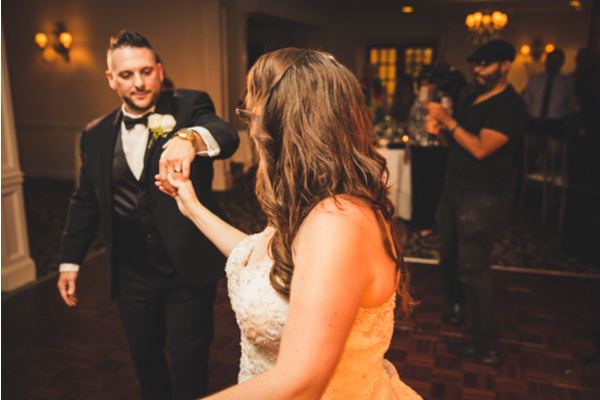 After exchanging rings and sealing it all with a kiss, it was time to celebrate! 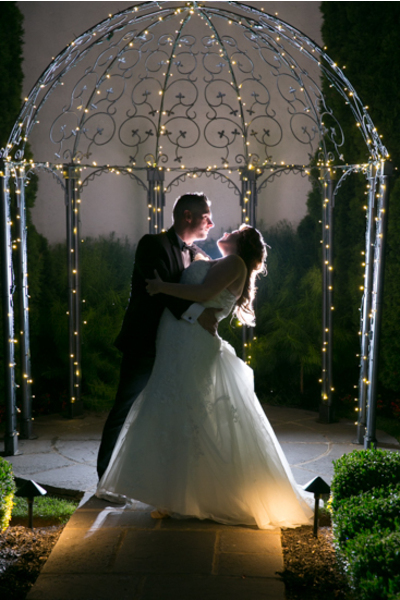 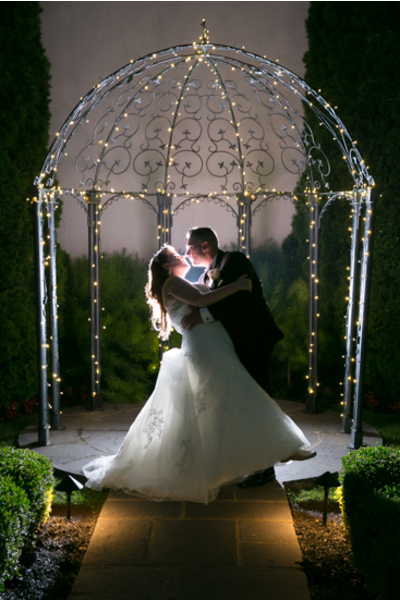 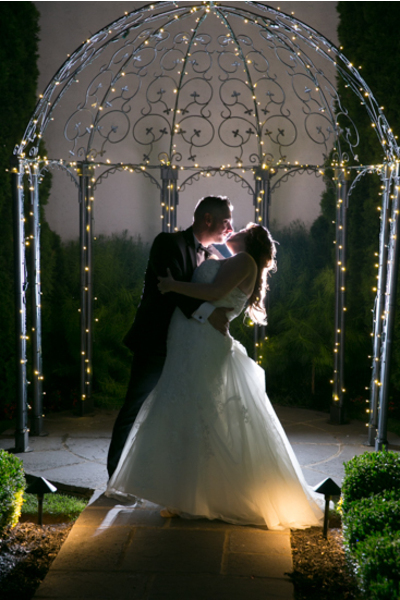 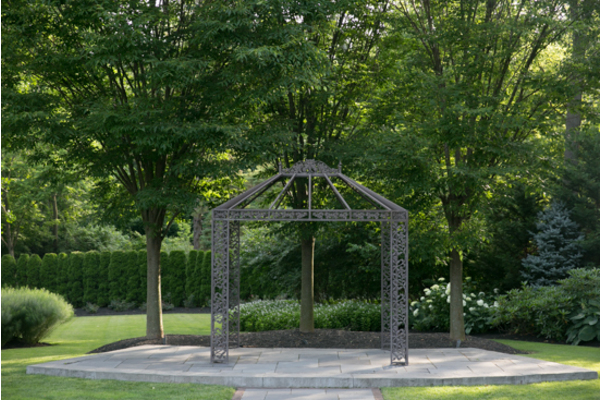 While everyone was dancing the night away this gorgeous couple slipped away with our NJ Wedding Photographer for an outdoor private night shoot by the gazebo. 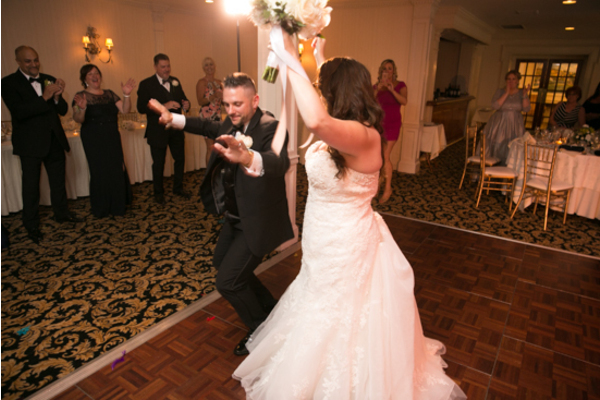 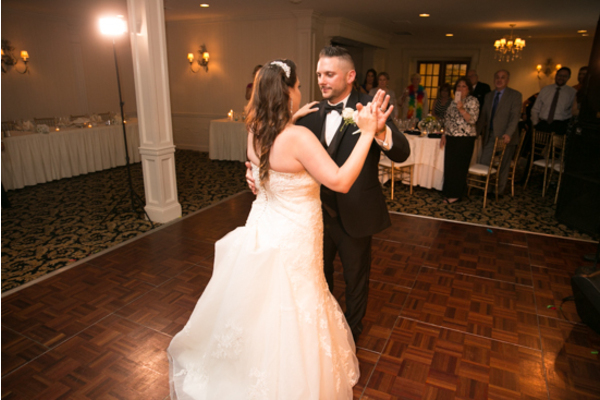 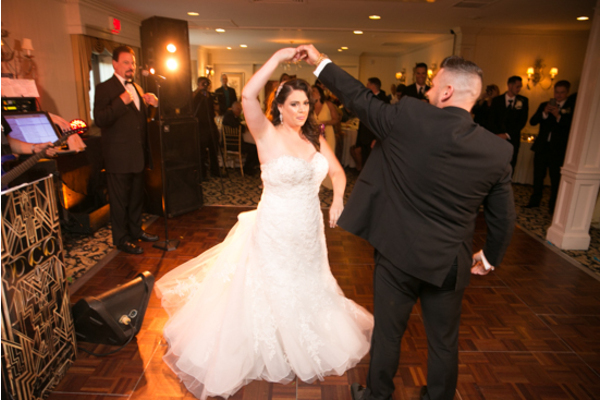 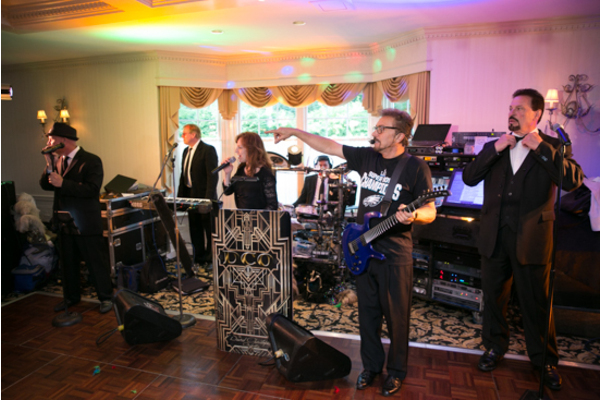 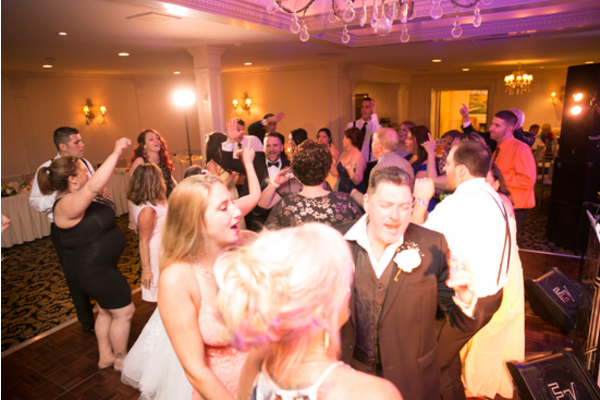 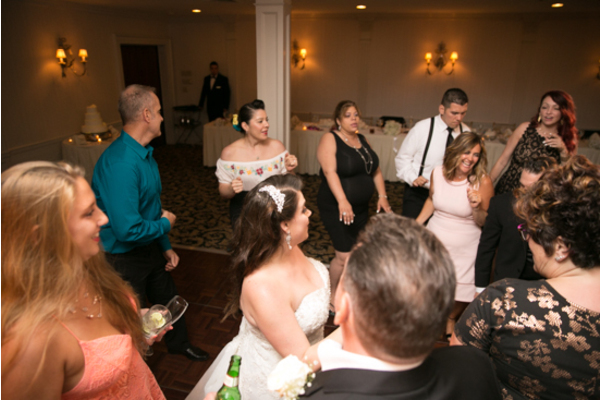 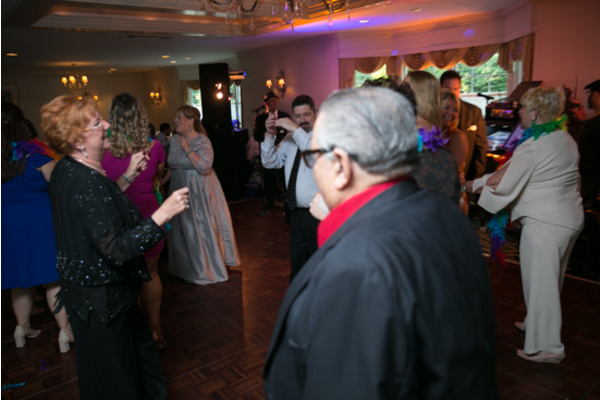 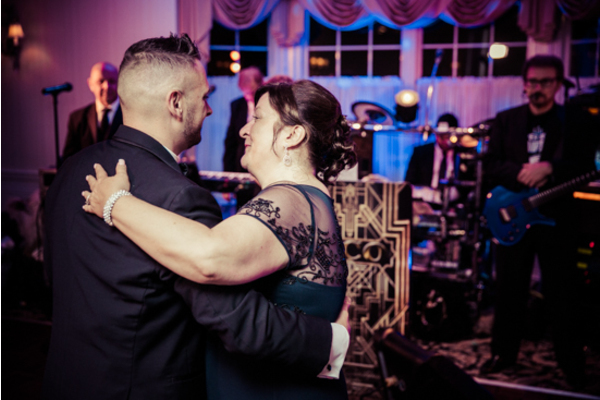 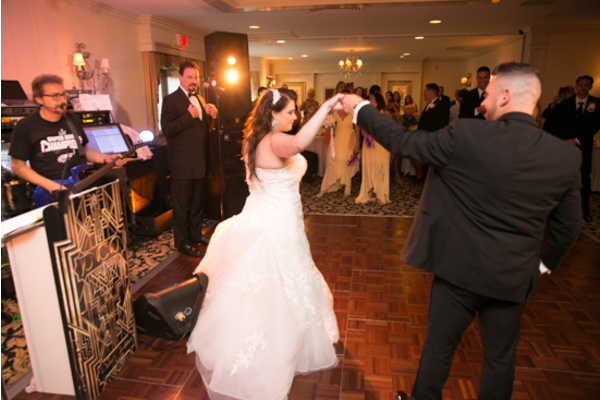 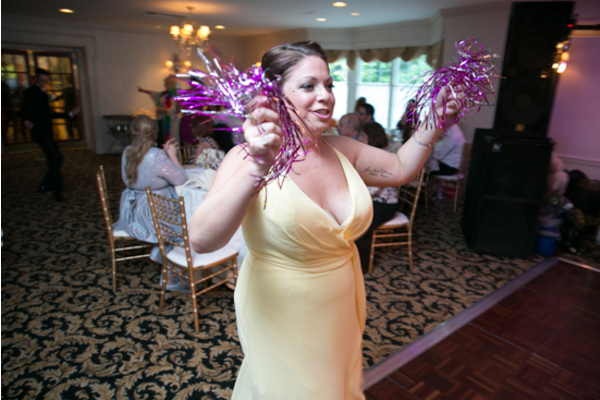 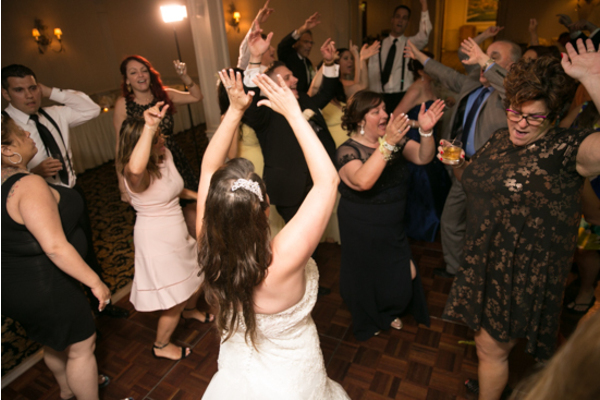 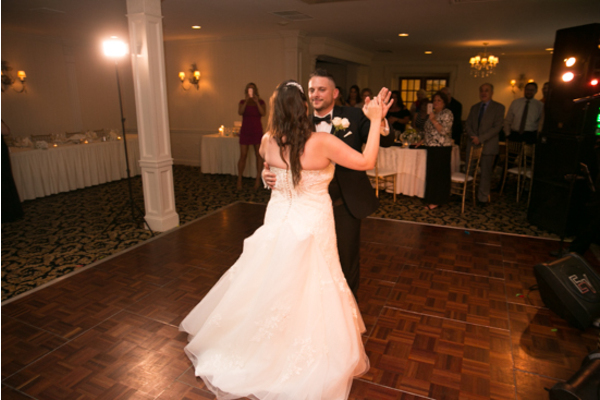 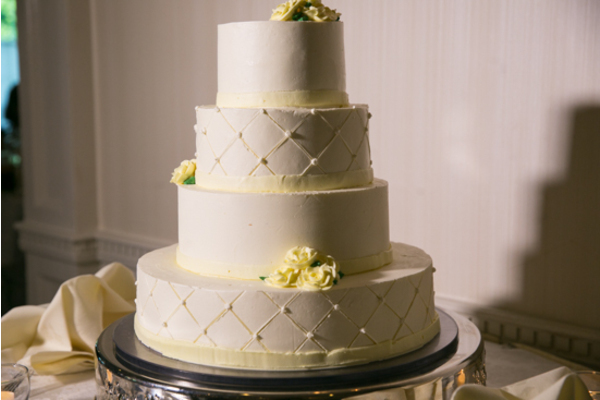 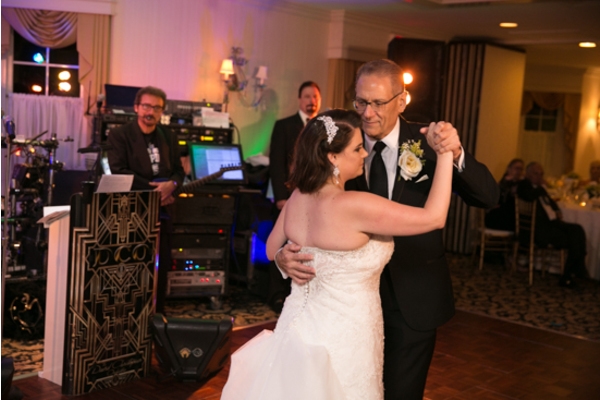 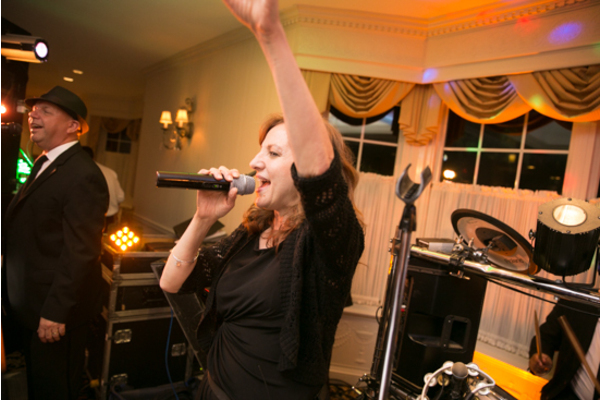 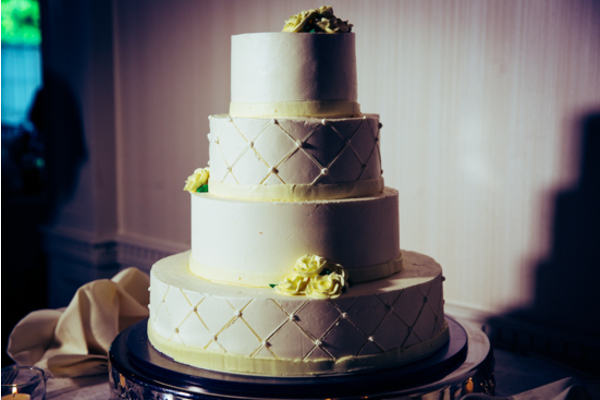 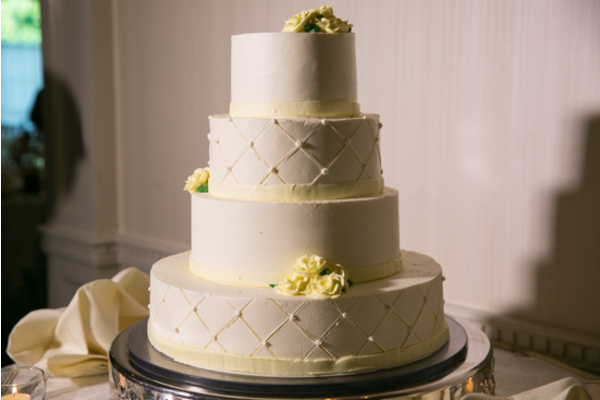 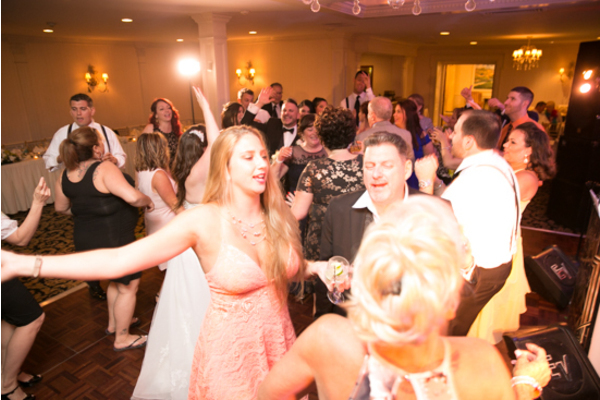 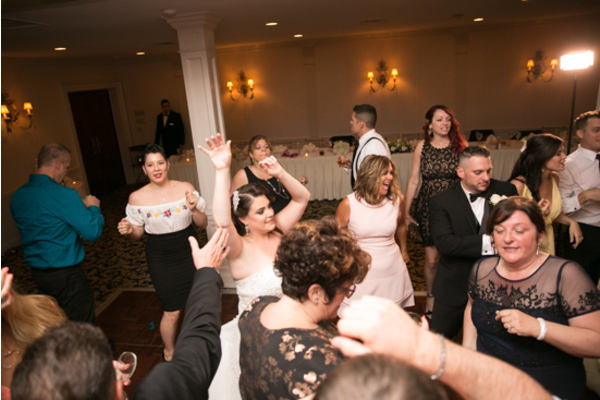 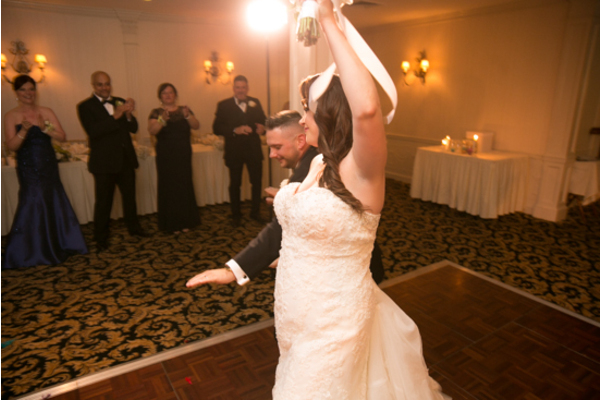 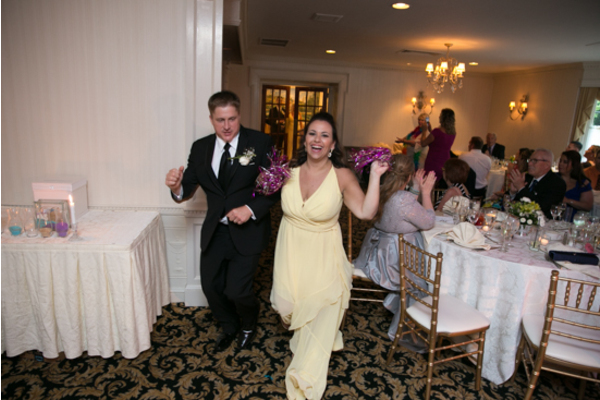 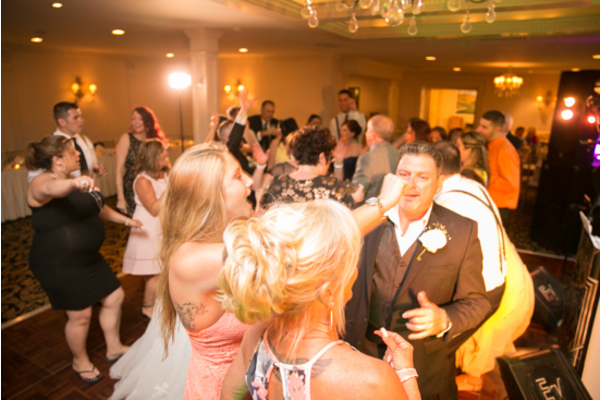 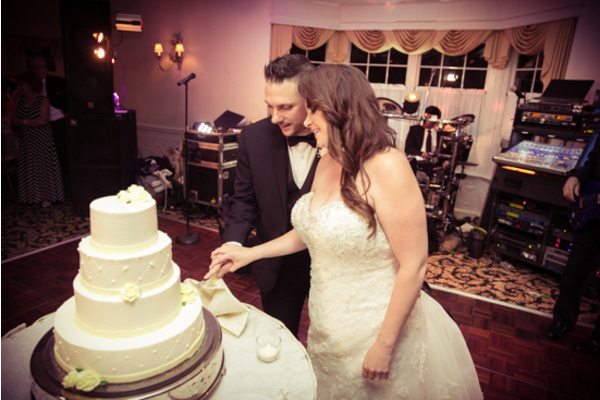 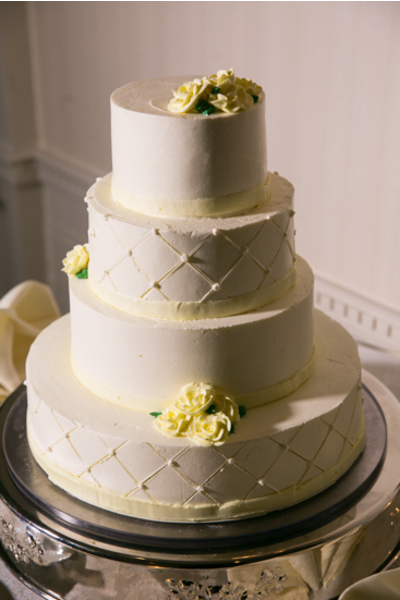 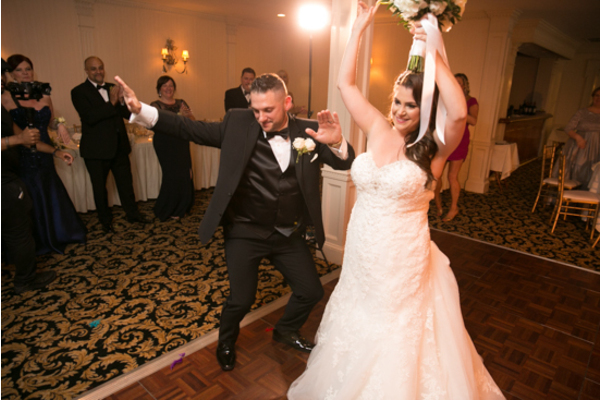 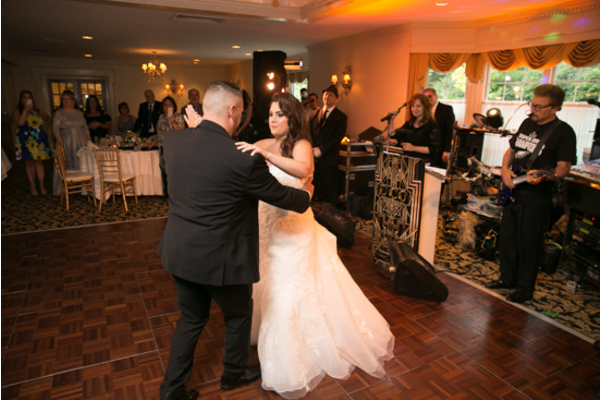 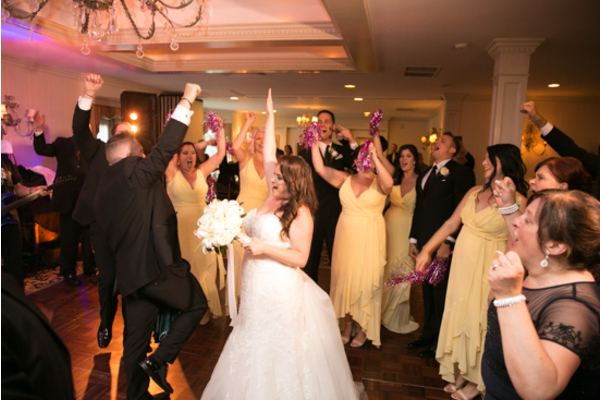 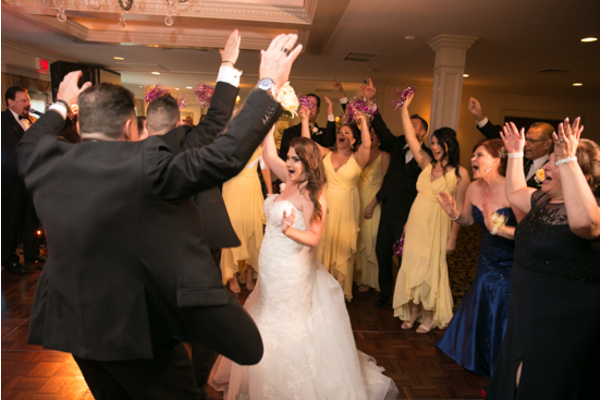 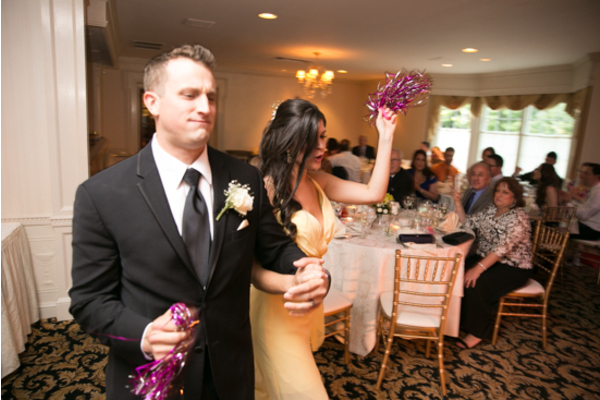 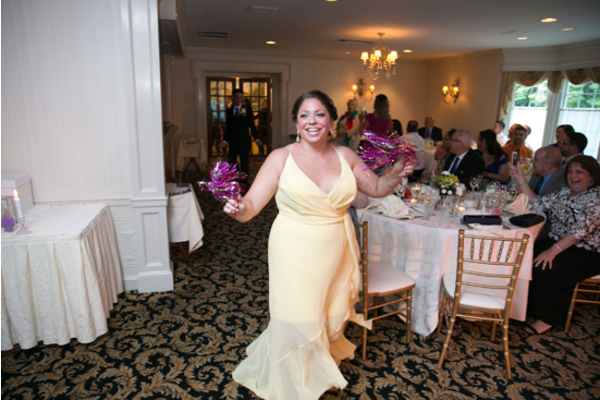 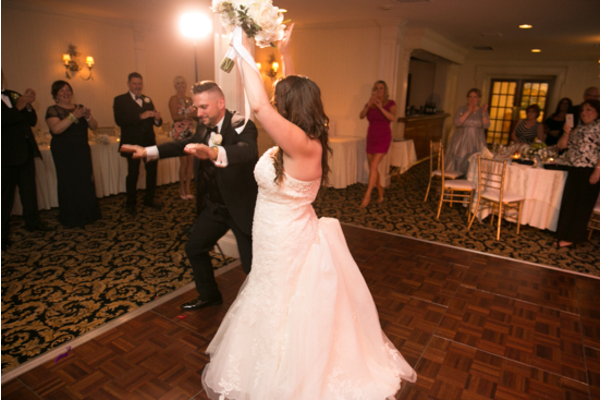 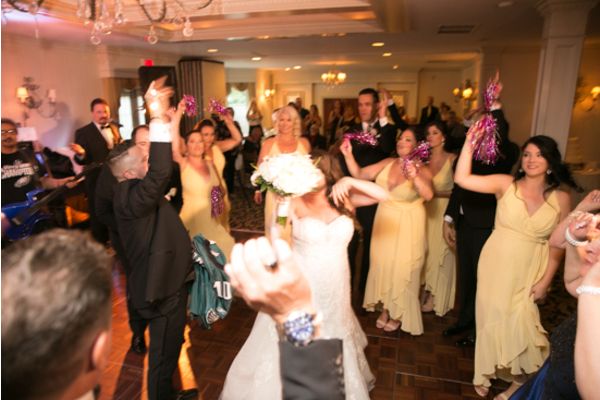 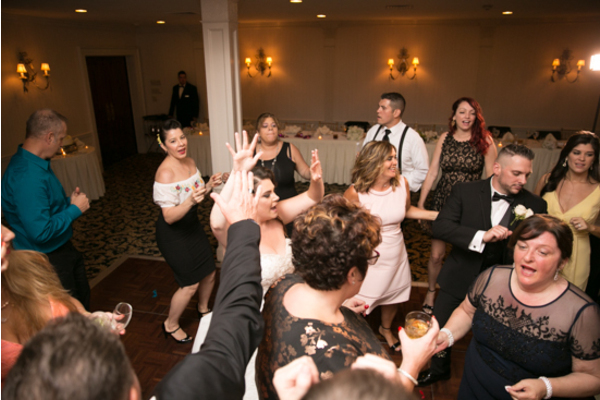 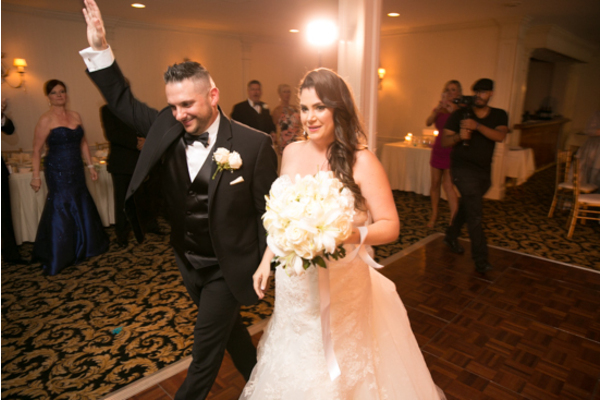 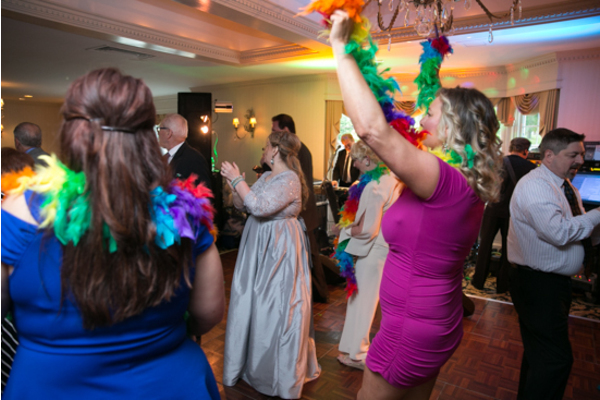 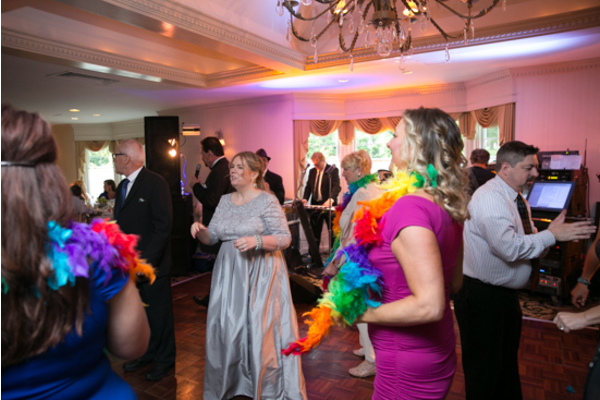 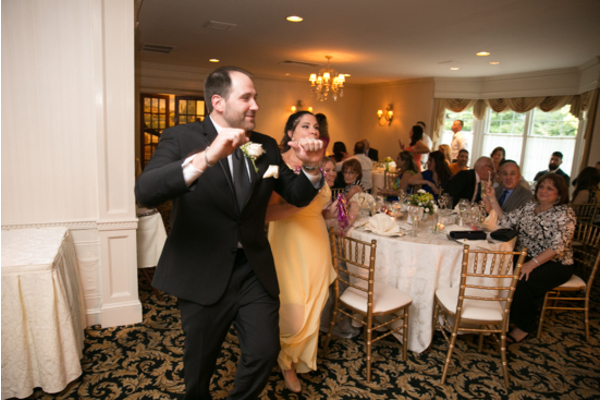 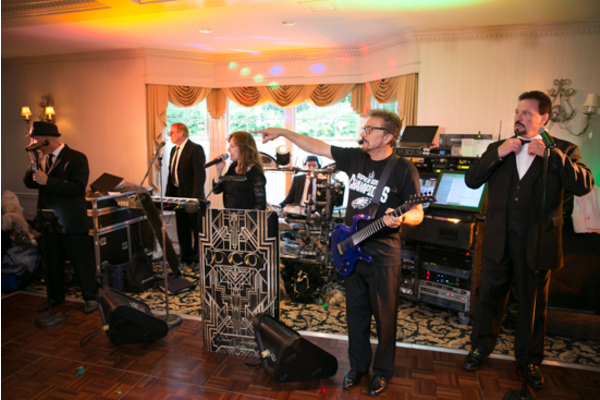 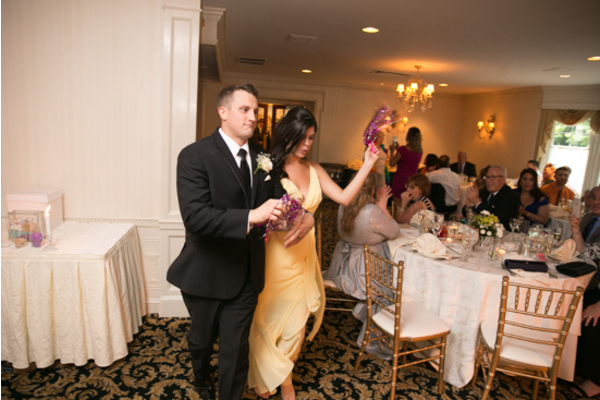 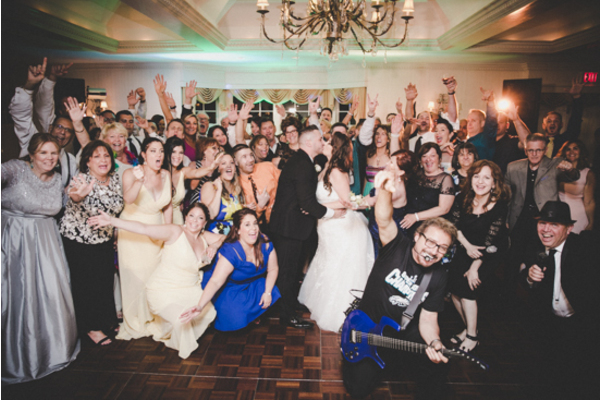 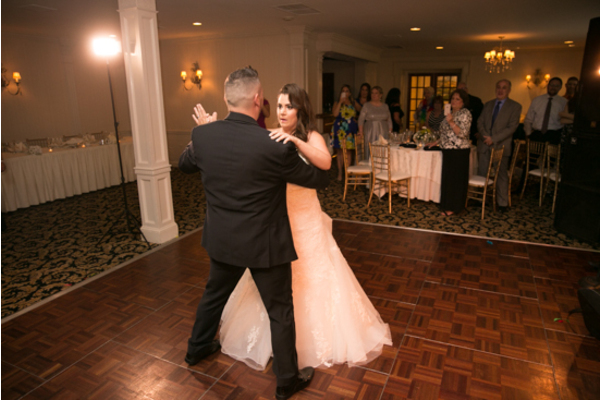 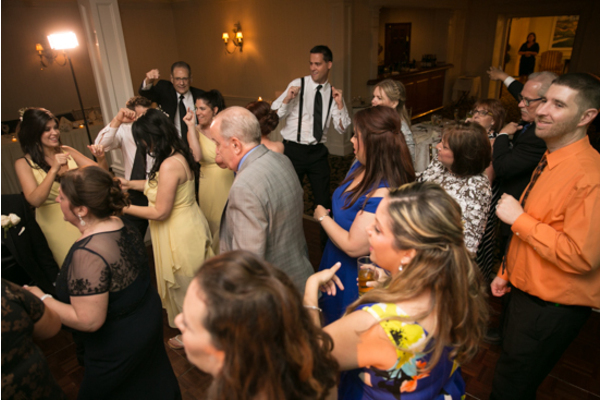 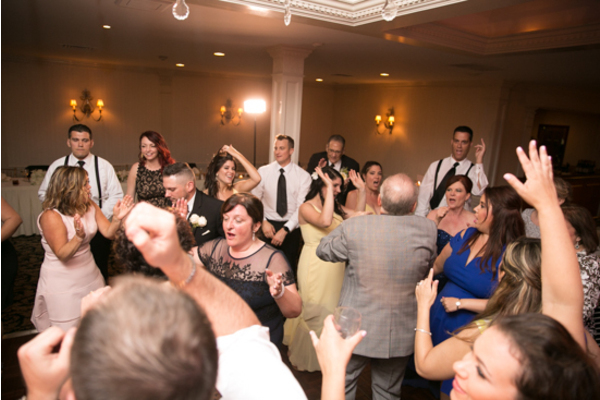 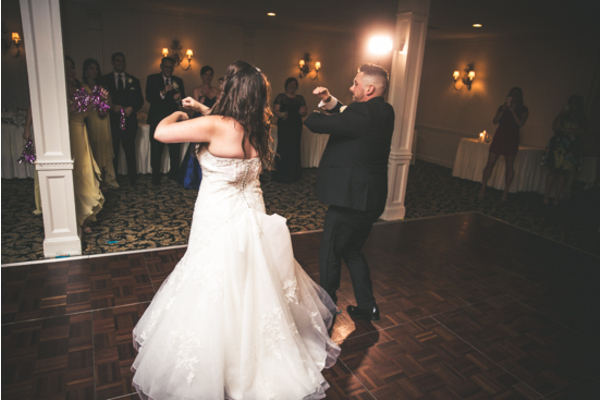 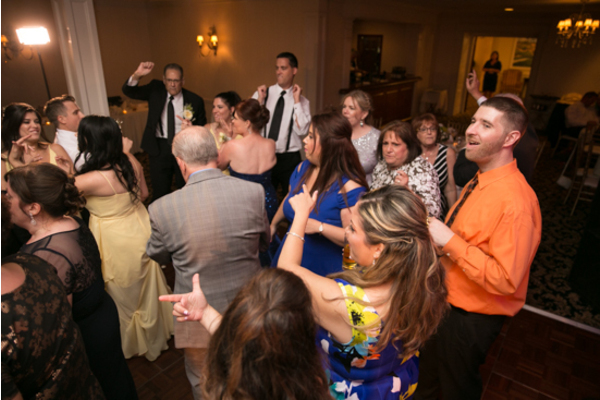 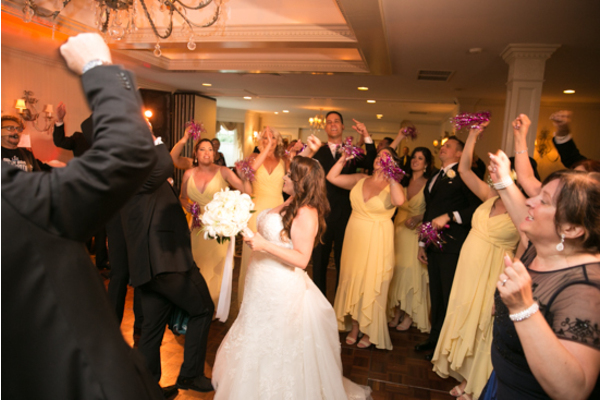 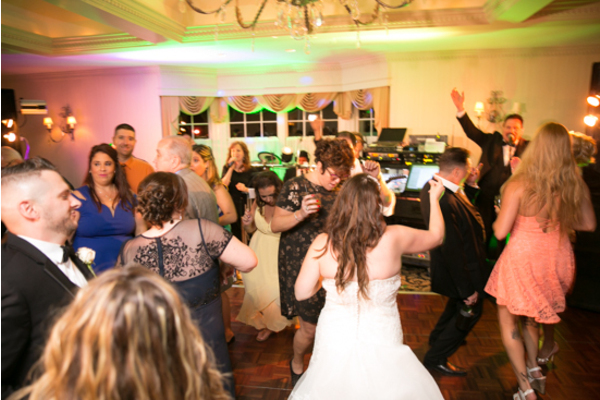 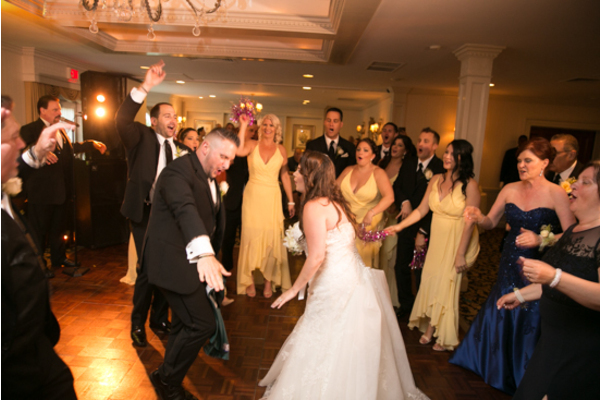 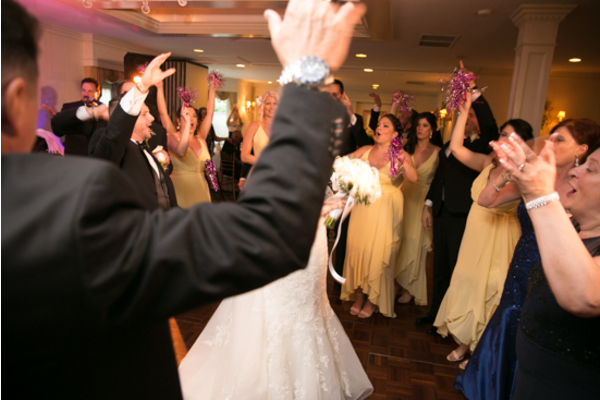 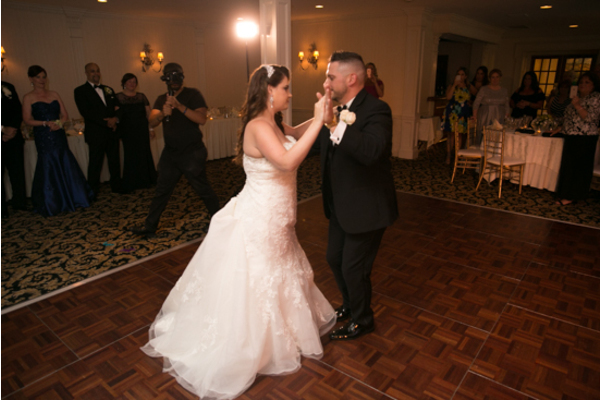 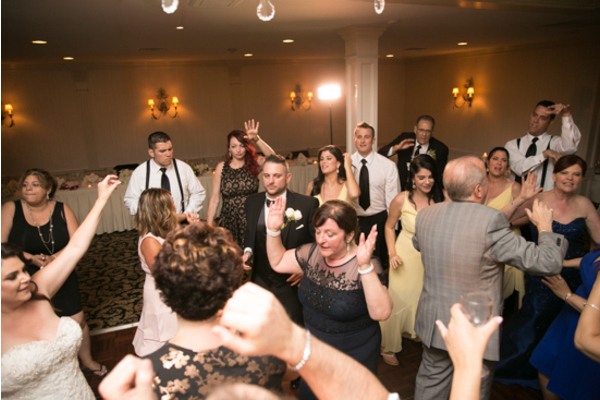 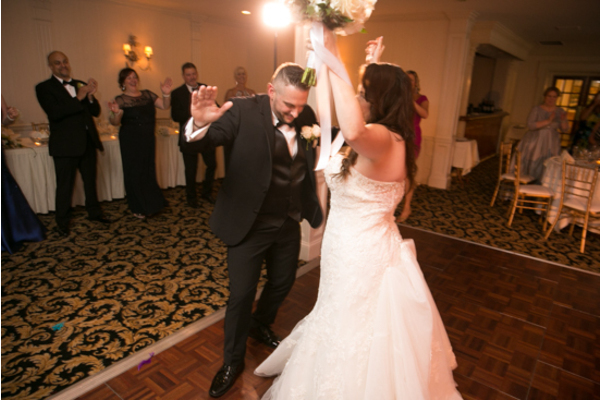 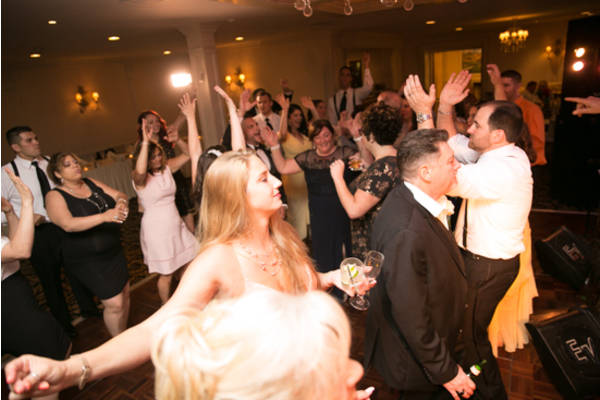 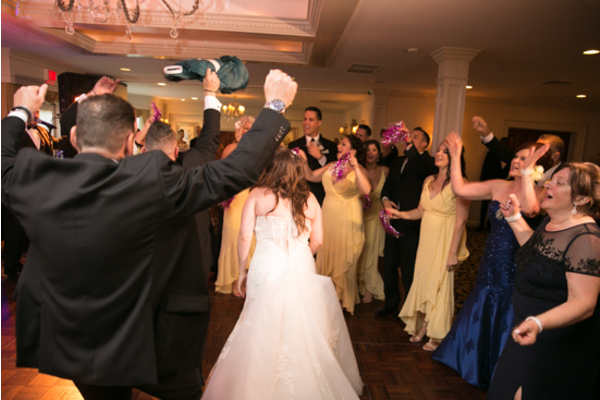 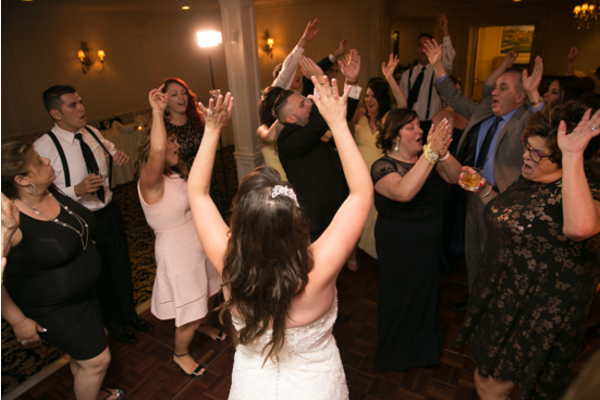 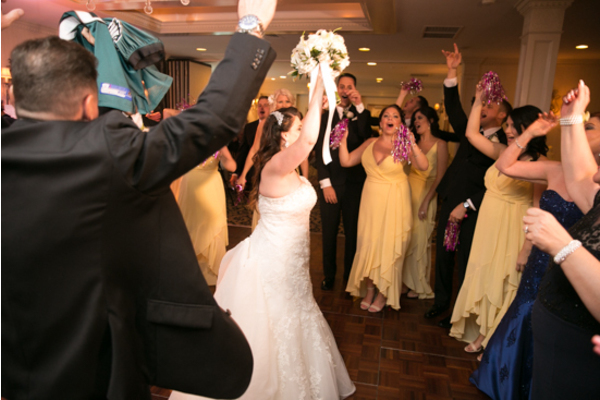 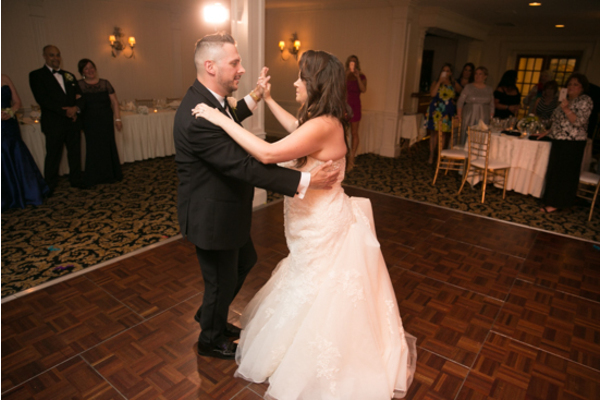 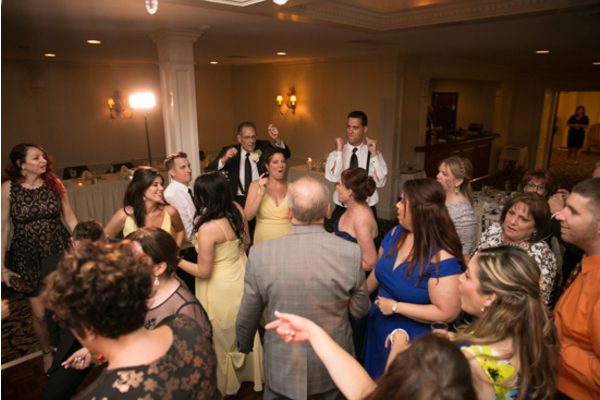 From the cake to the crazy dance moves this wedding was truly amazing! 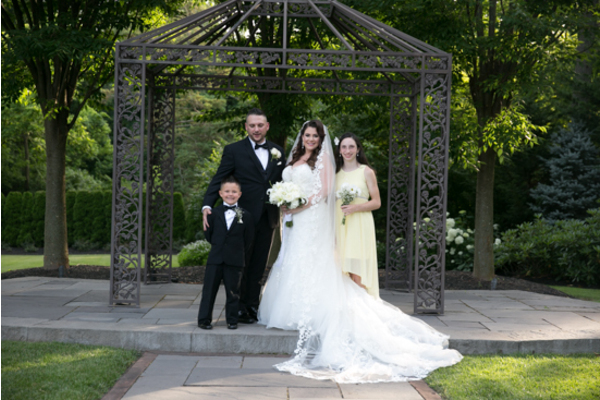 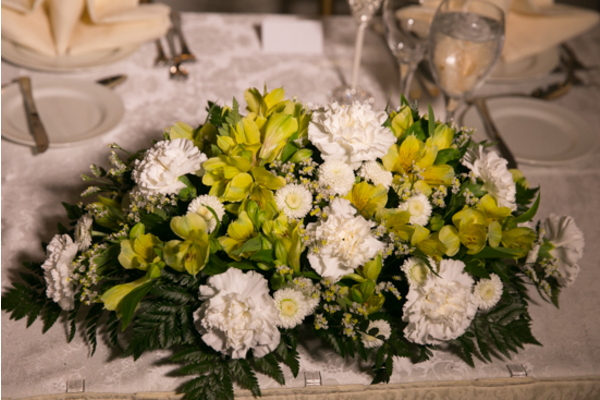 Congratulations, again to the newlyweds! 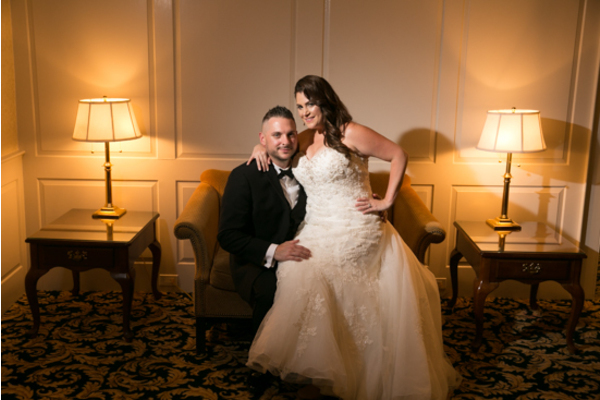 We hope you have a fantastic, fun loving, and adventure filled marriage!